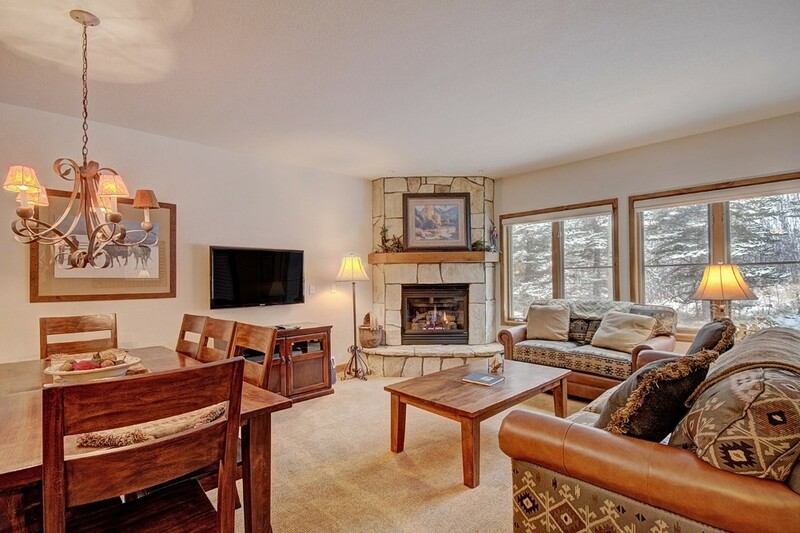 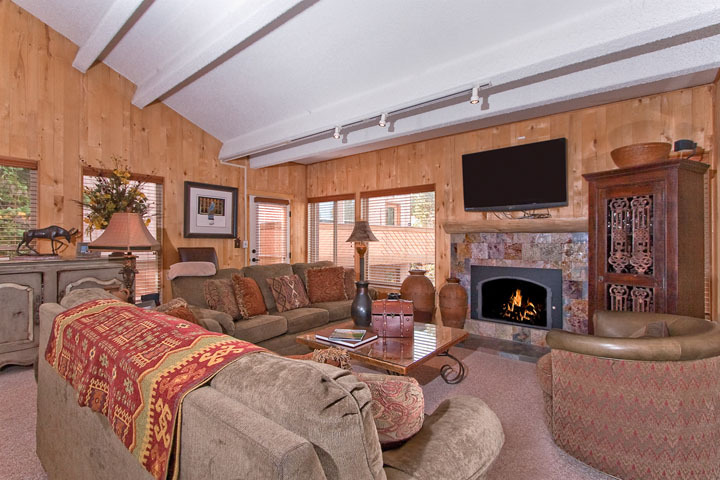 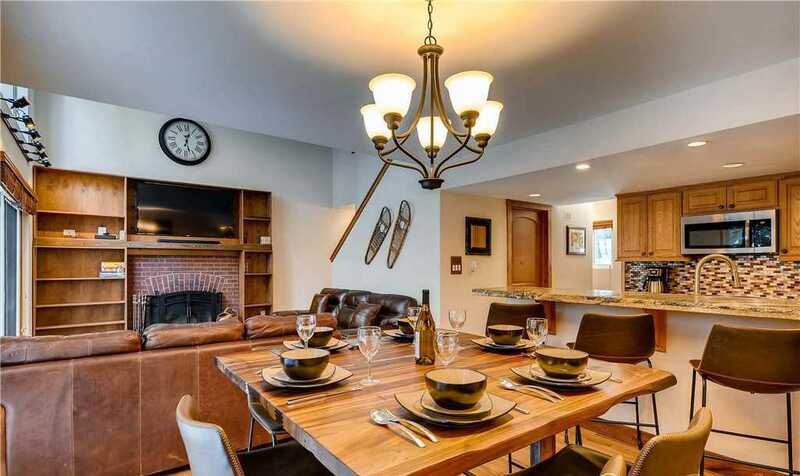 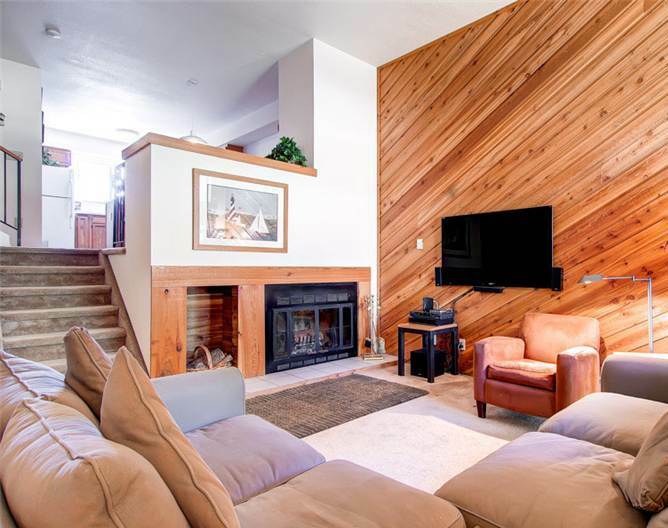 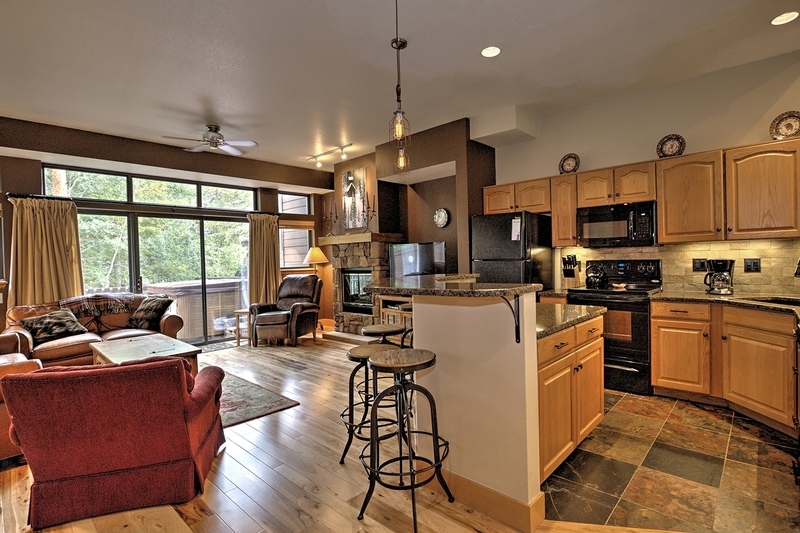 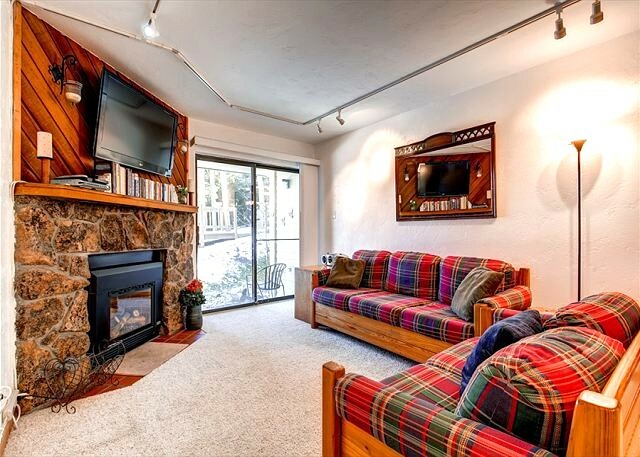 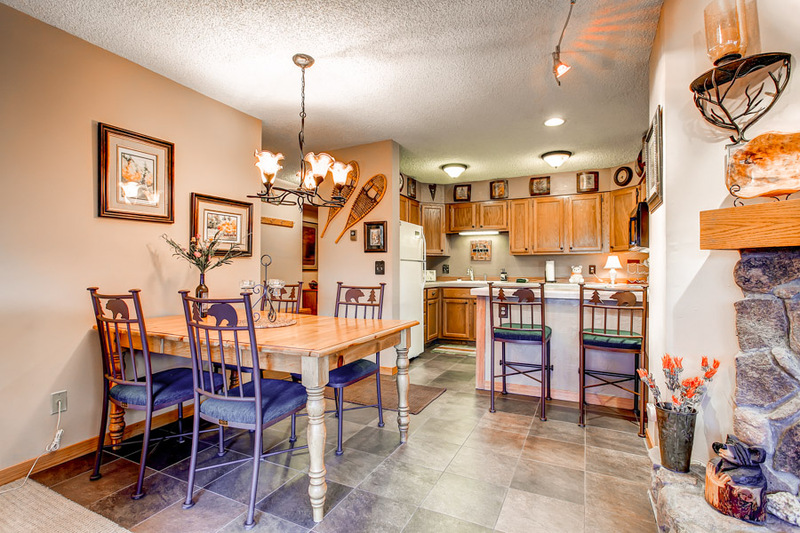 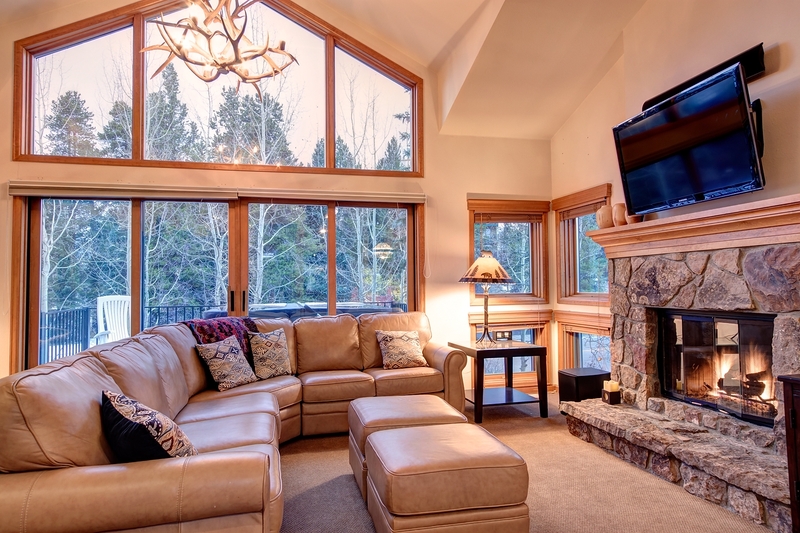 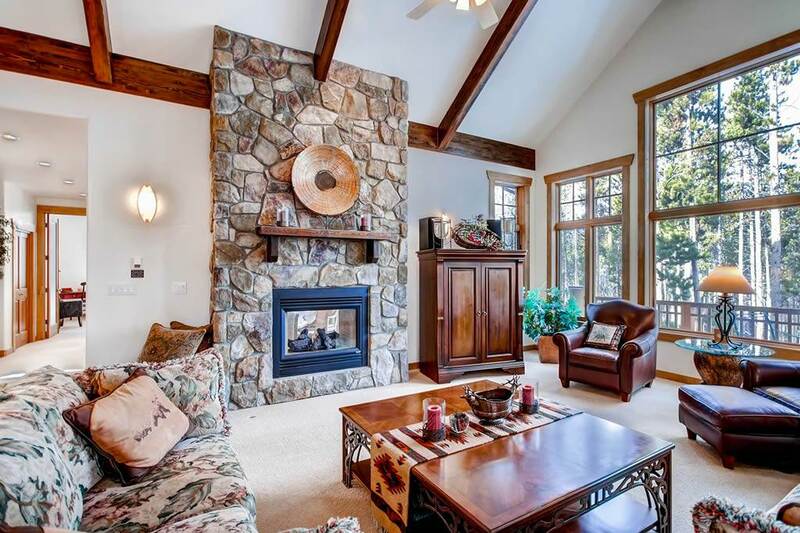 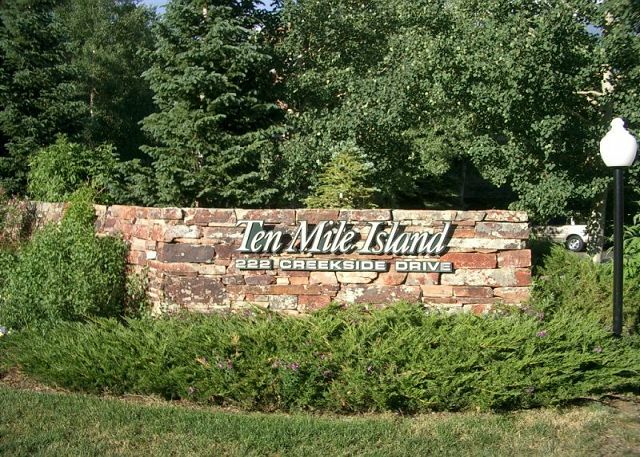 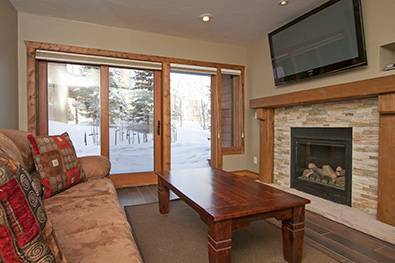 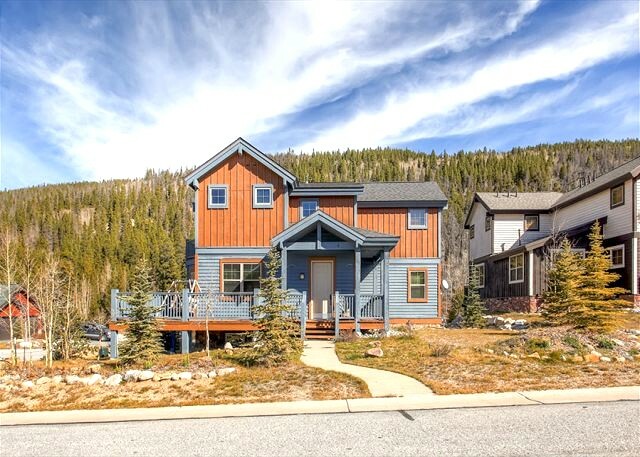 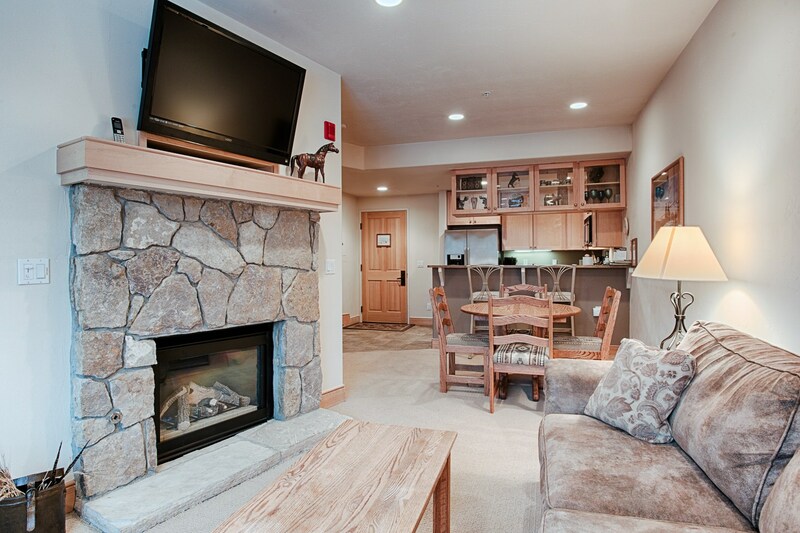 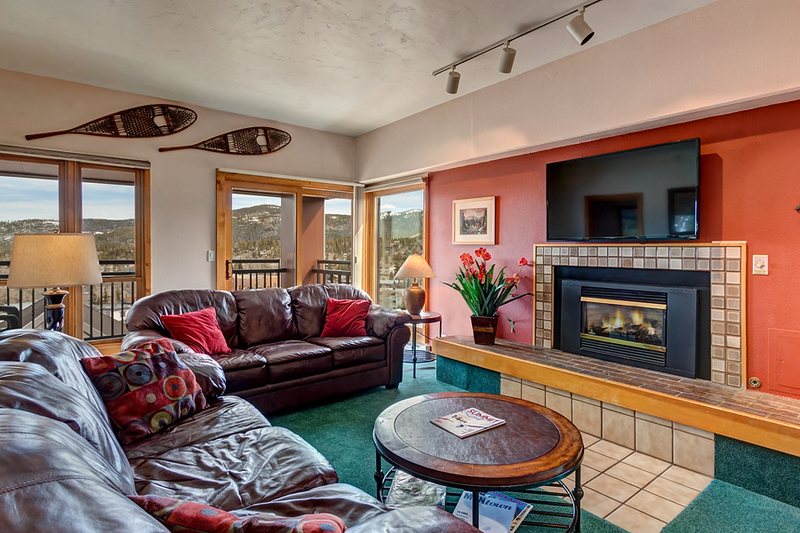 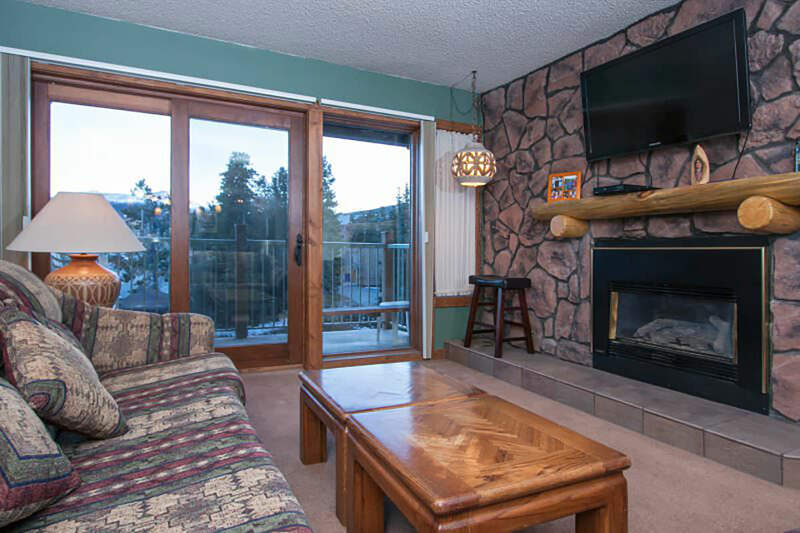 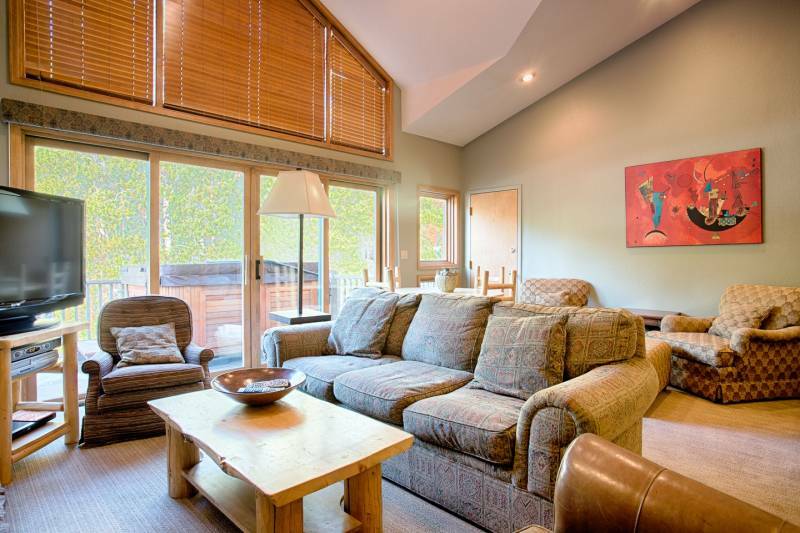 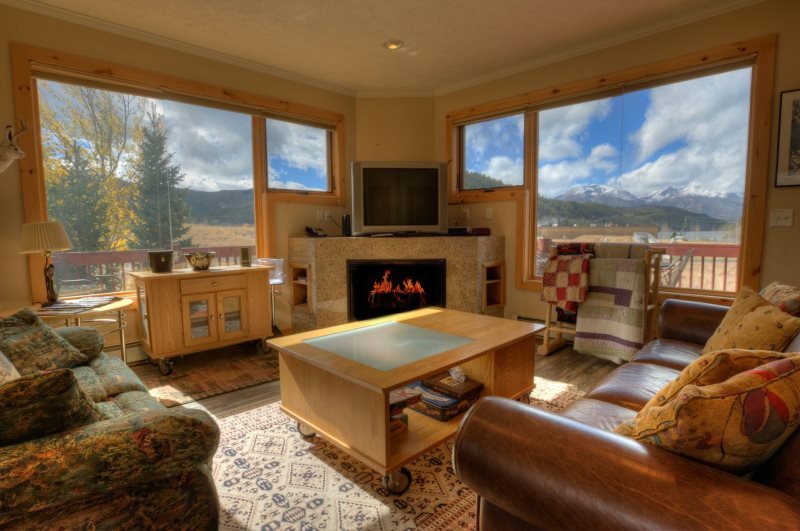 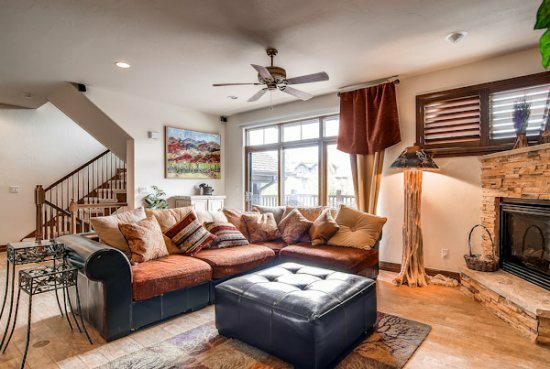 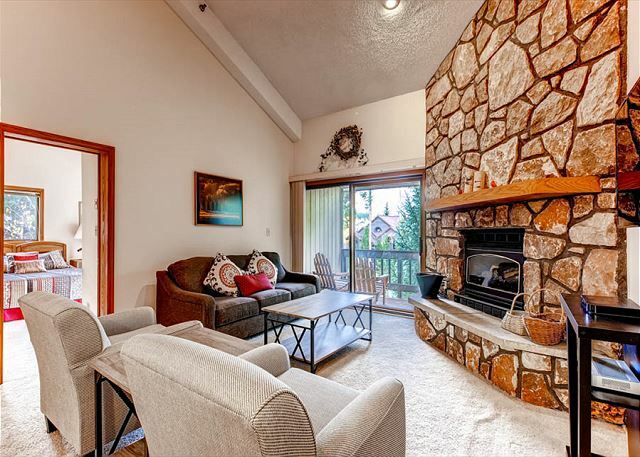 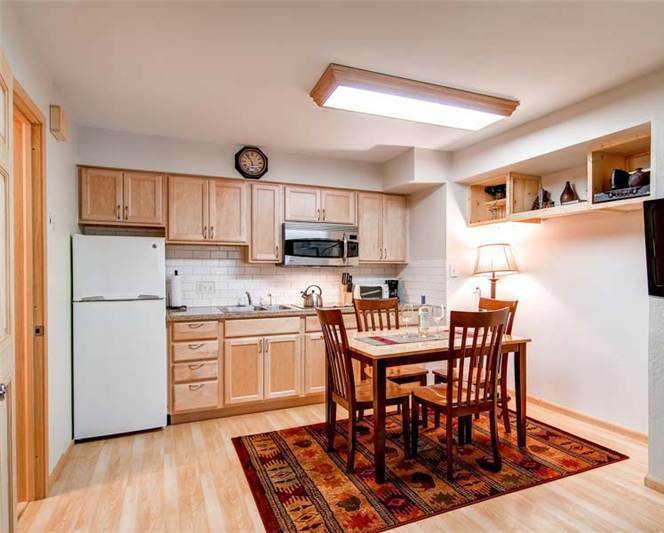 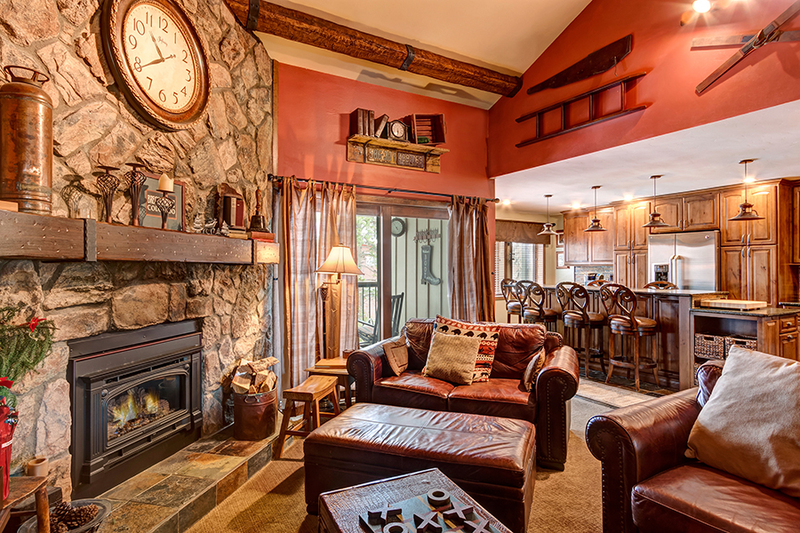 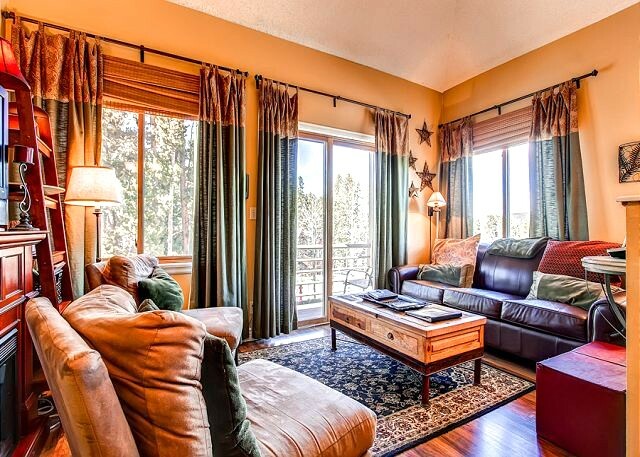 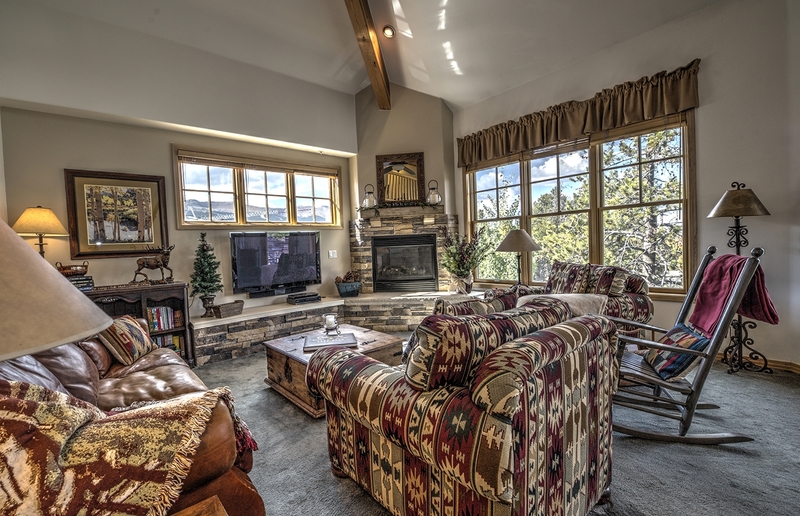 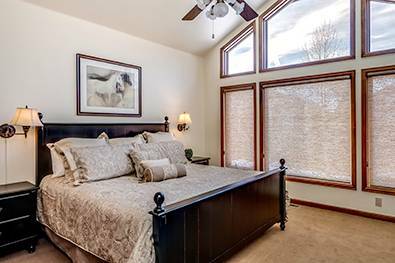 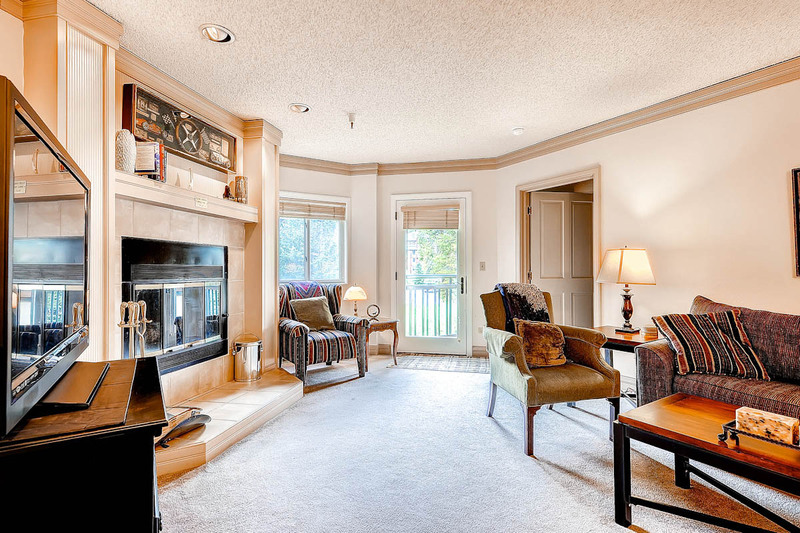 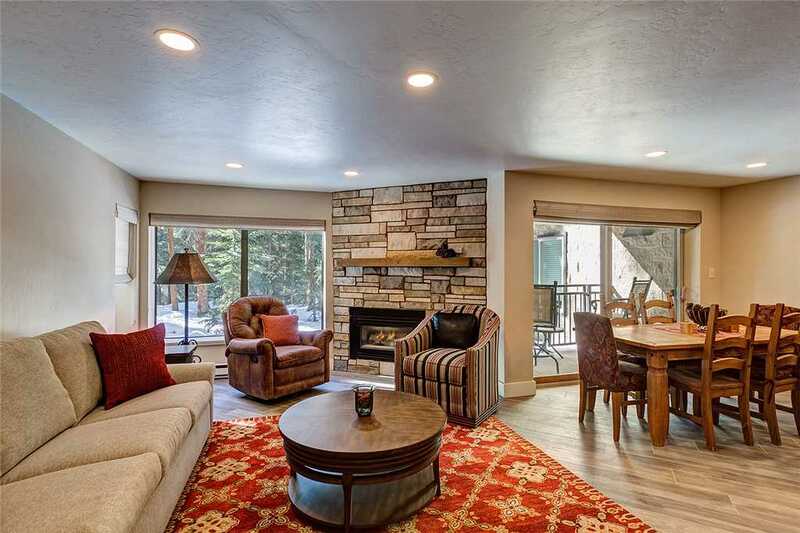 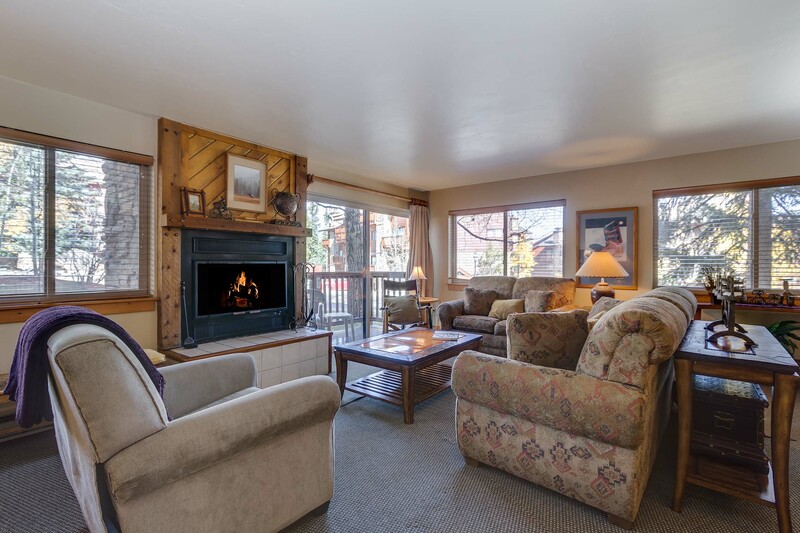 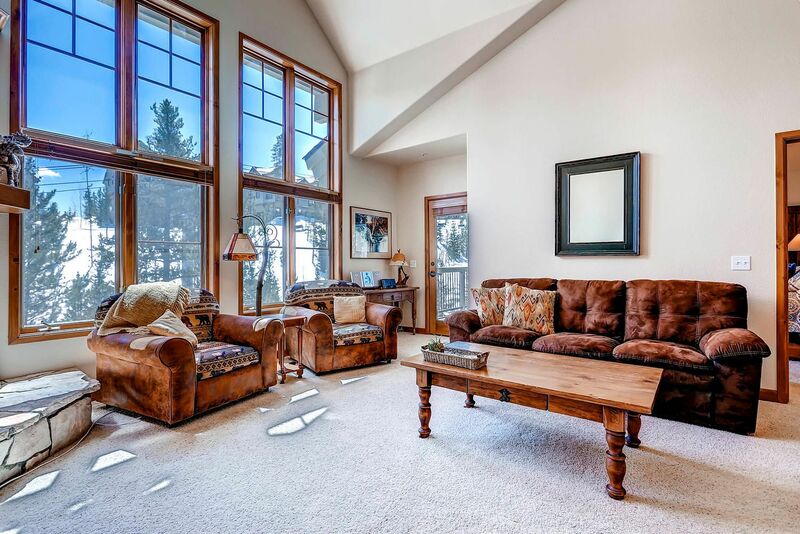 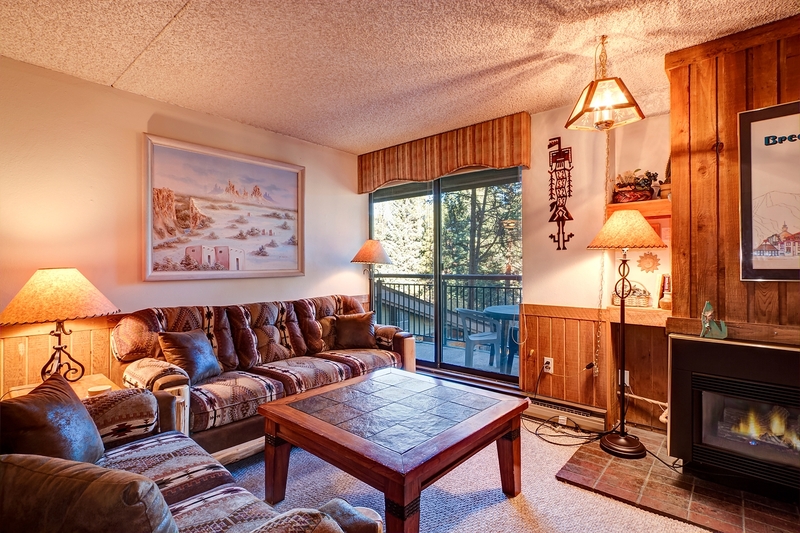 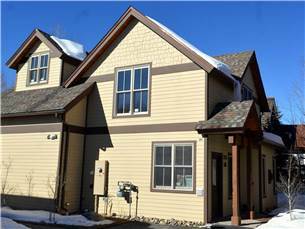 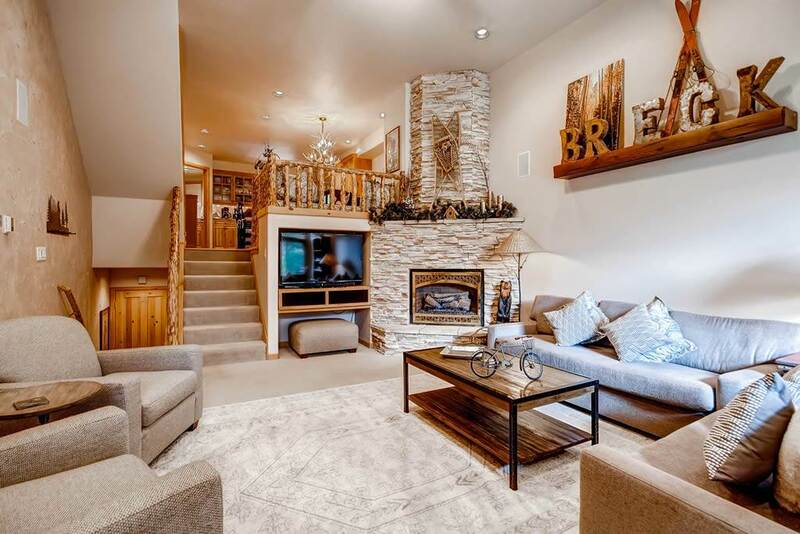 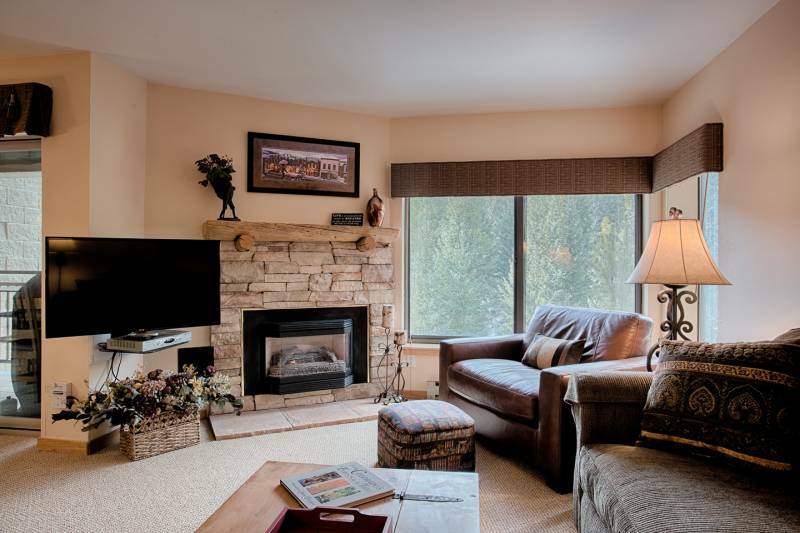 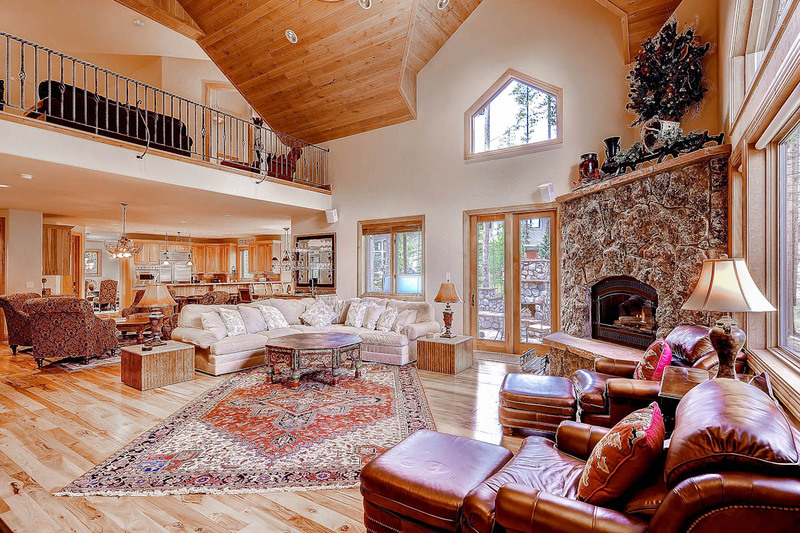 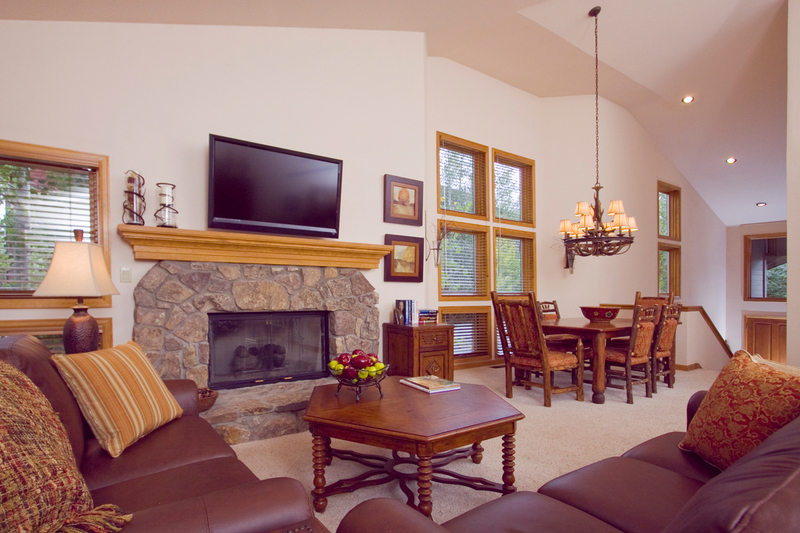 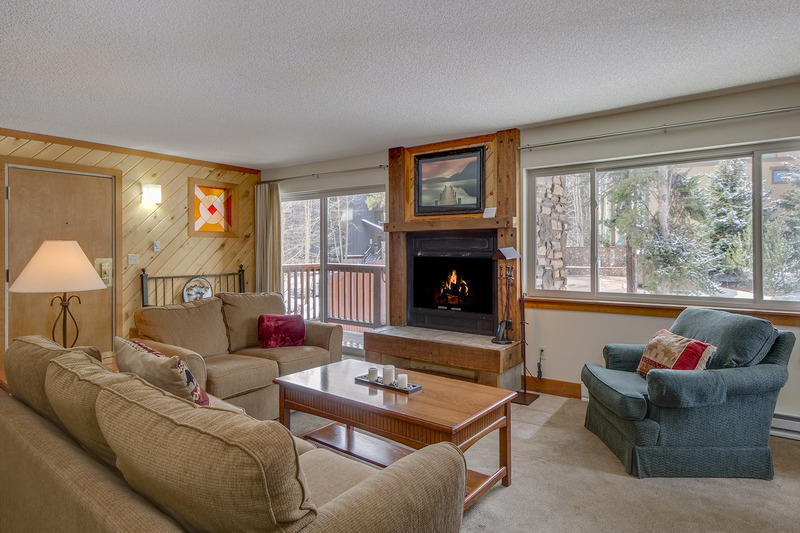 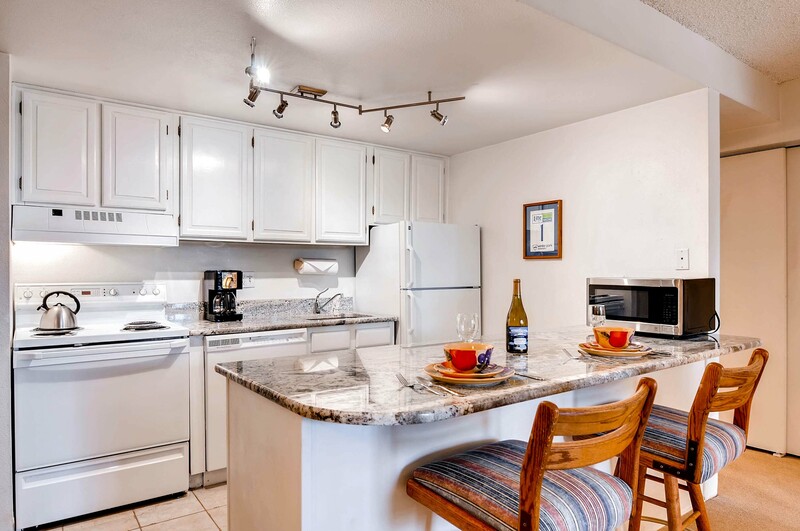 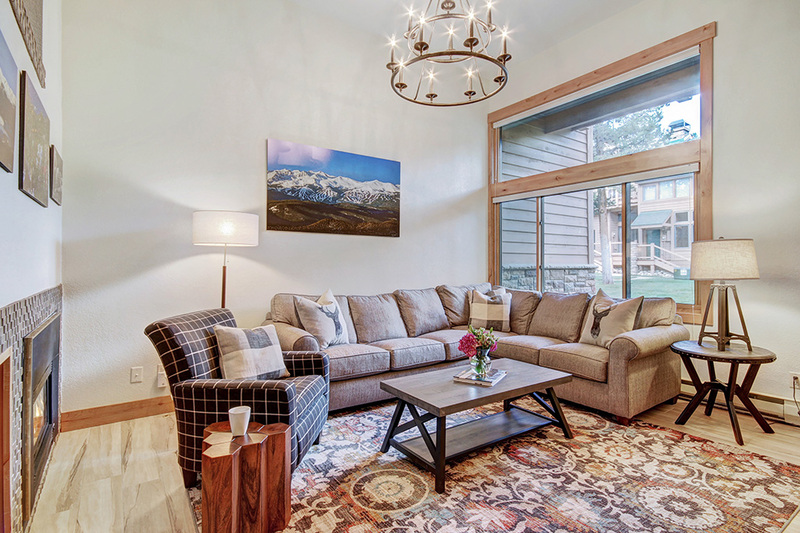 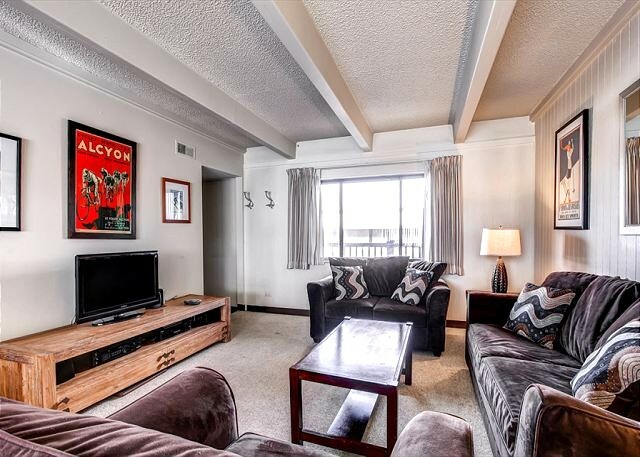 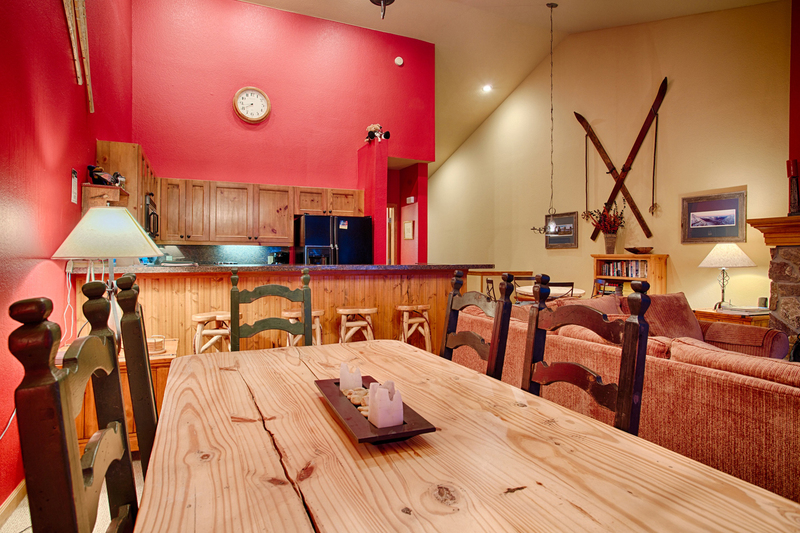 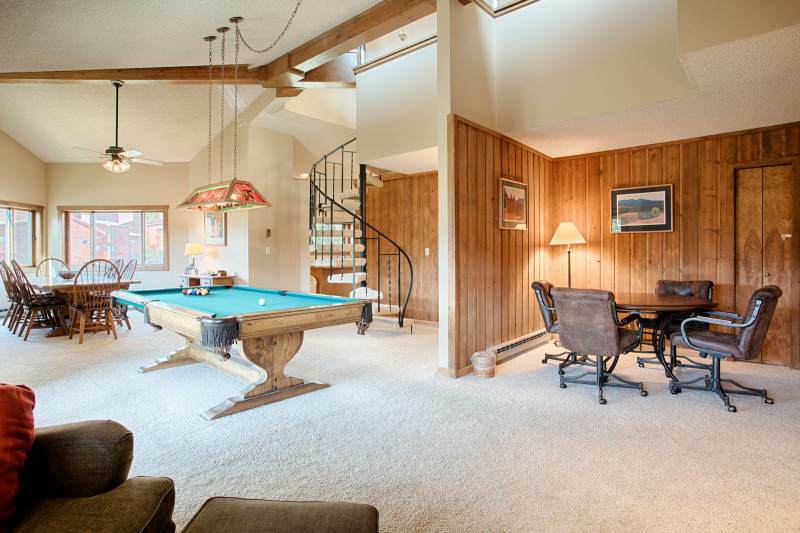 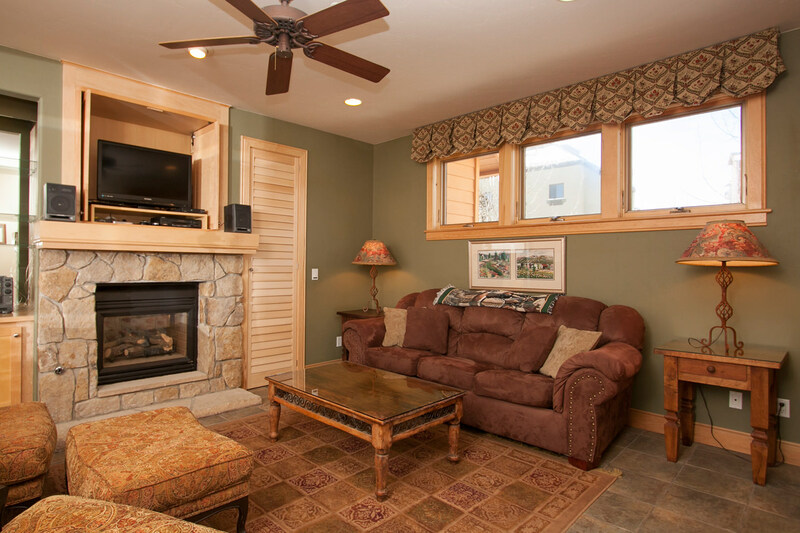 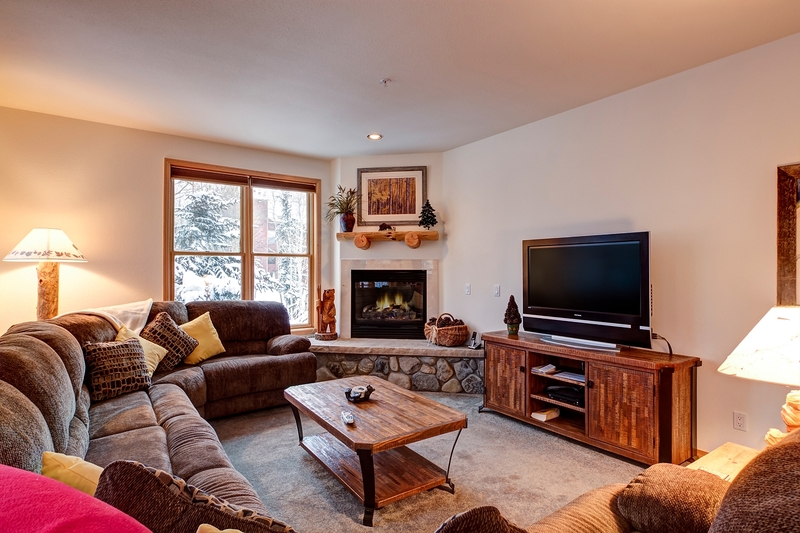 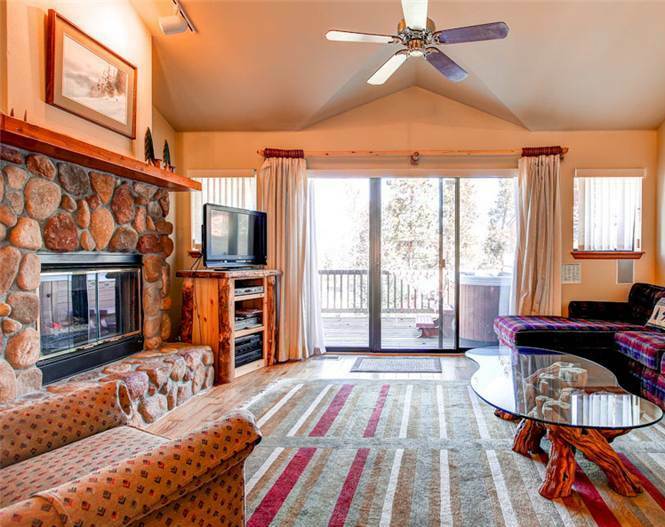 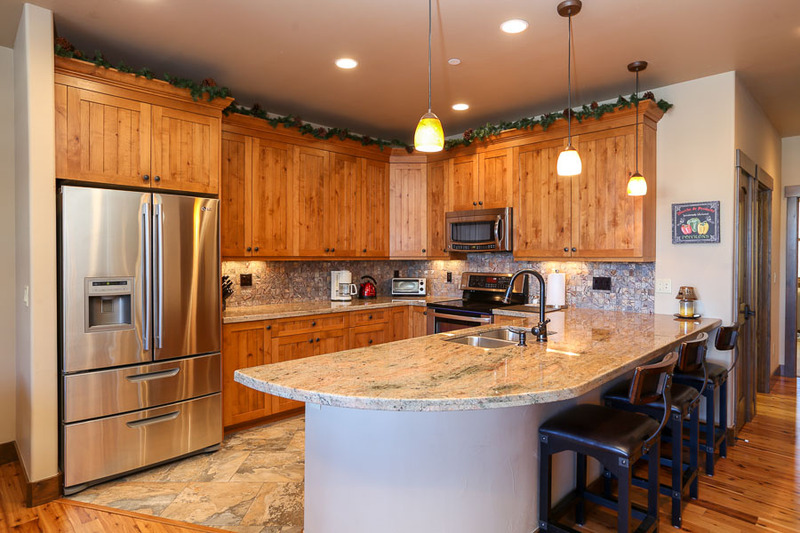 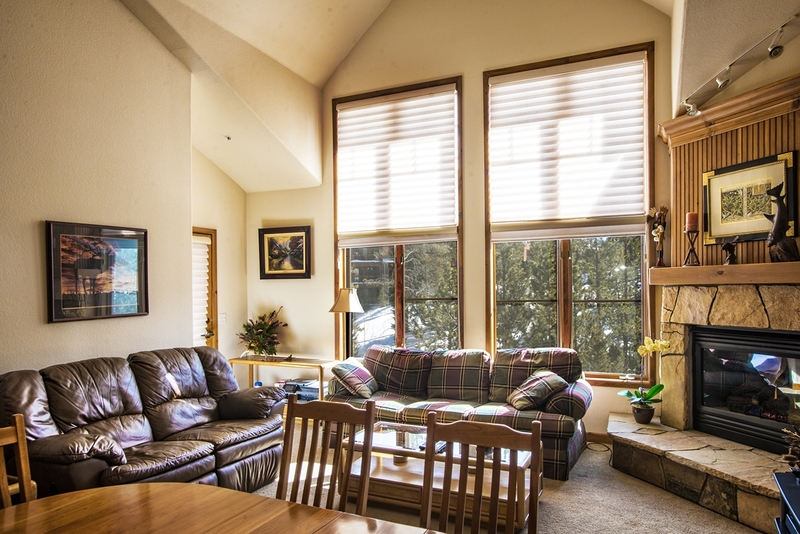 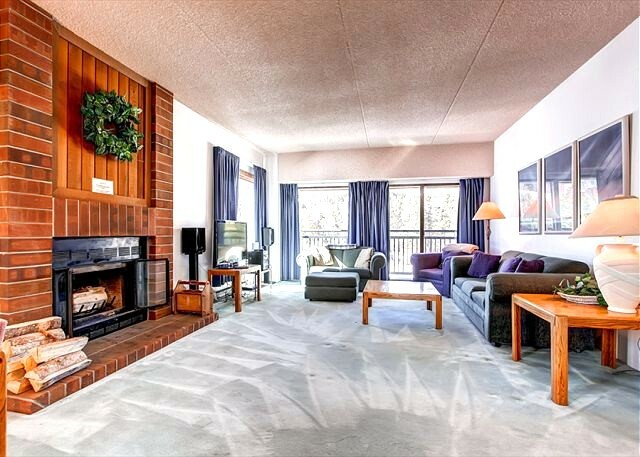 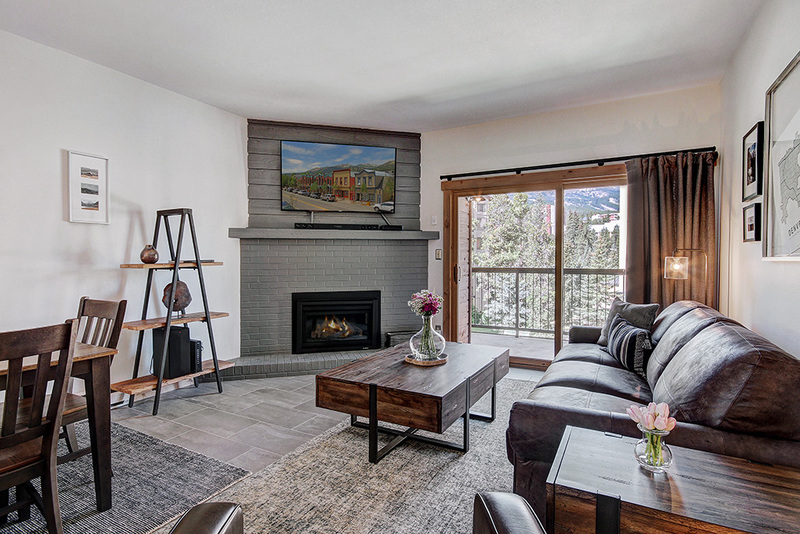 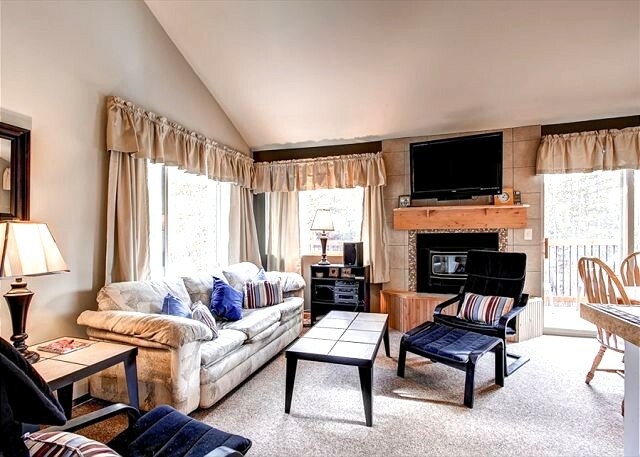 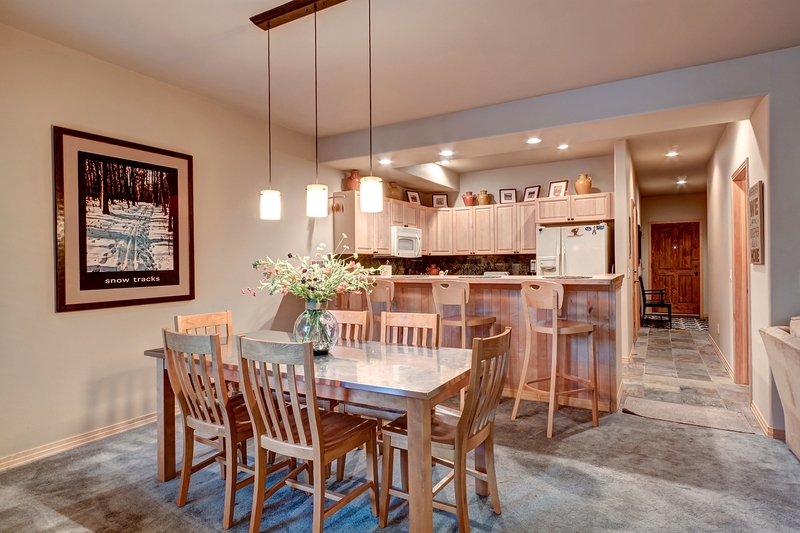 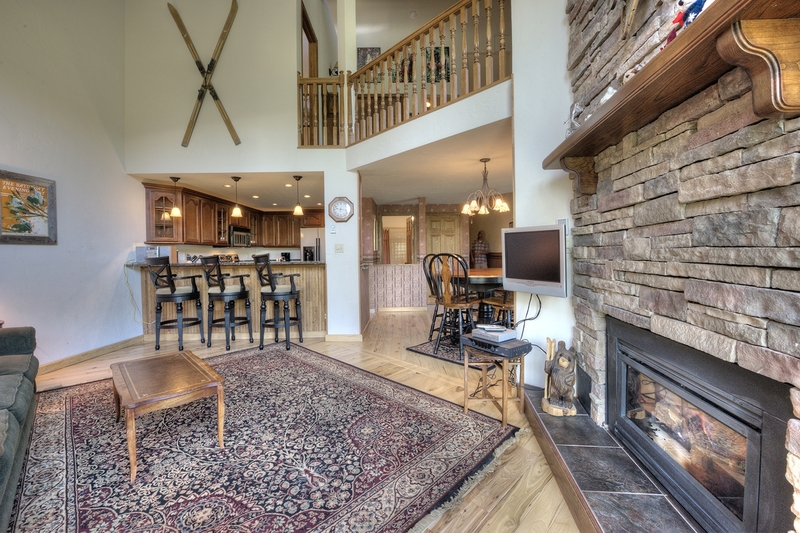 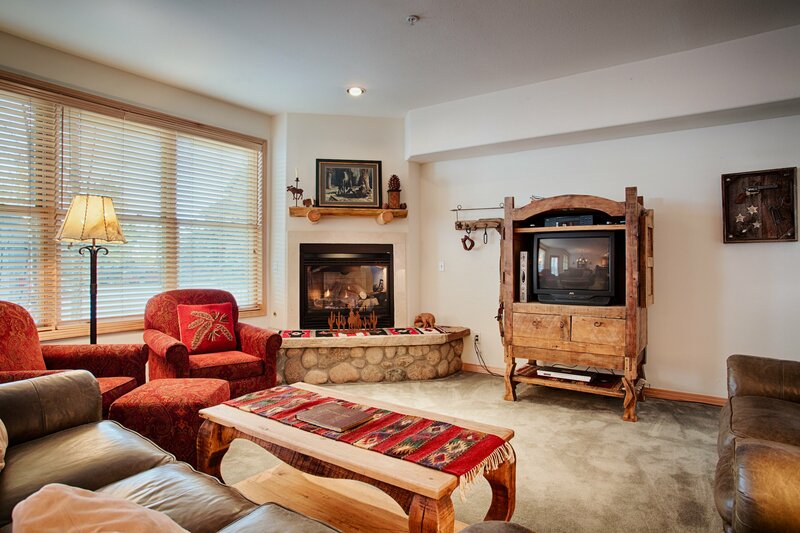 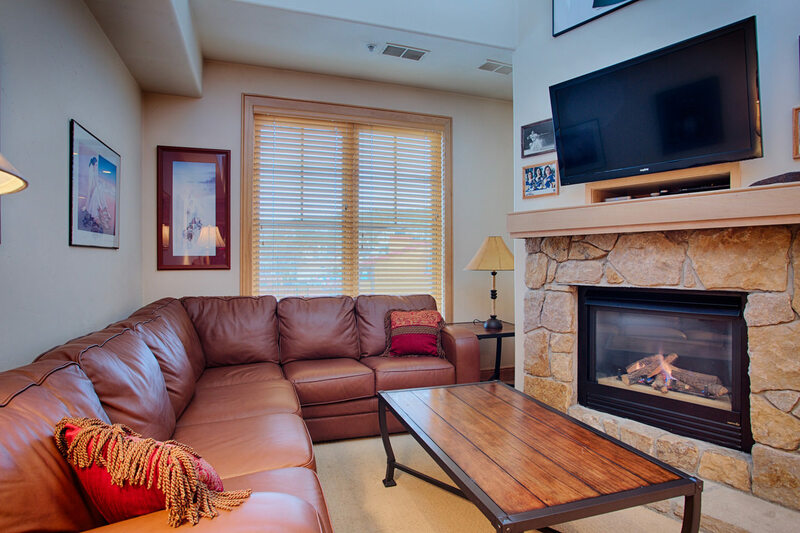 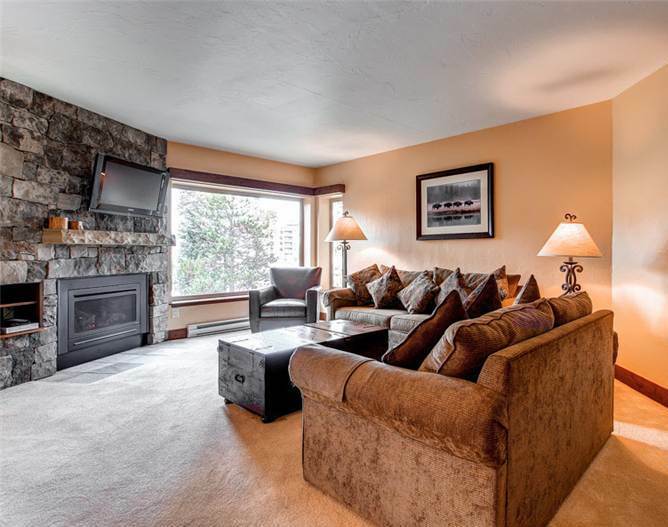 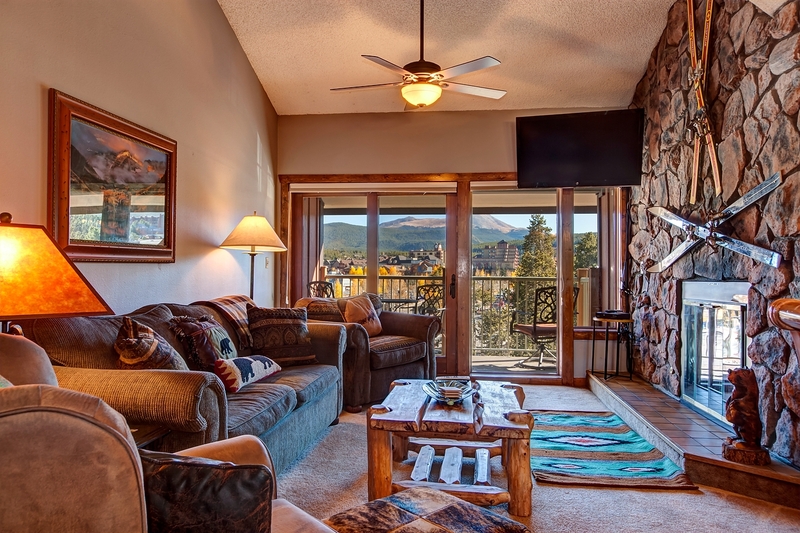 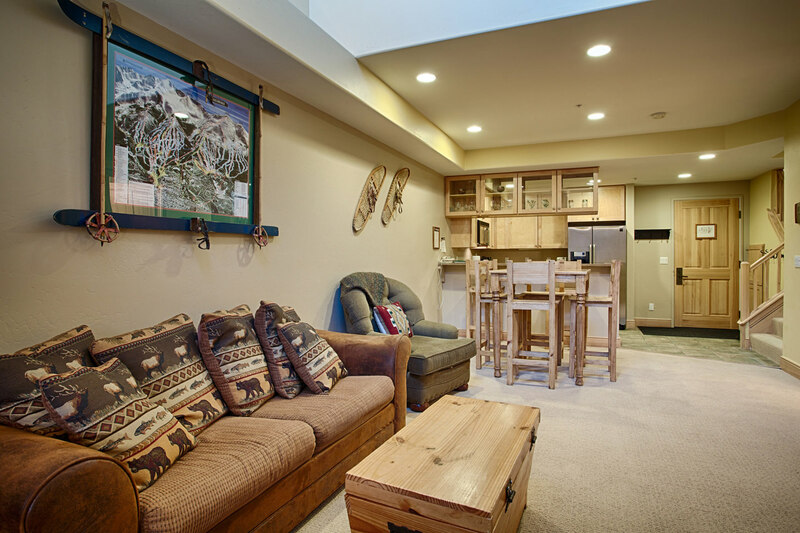 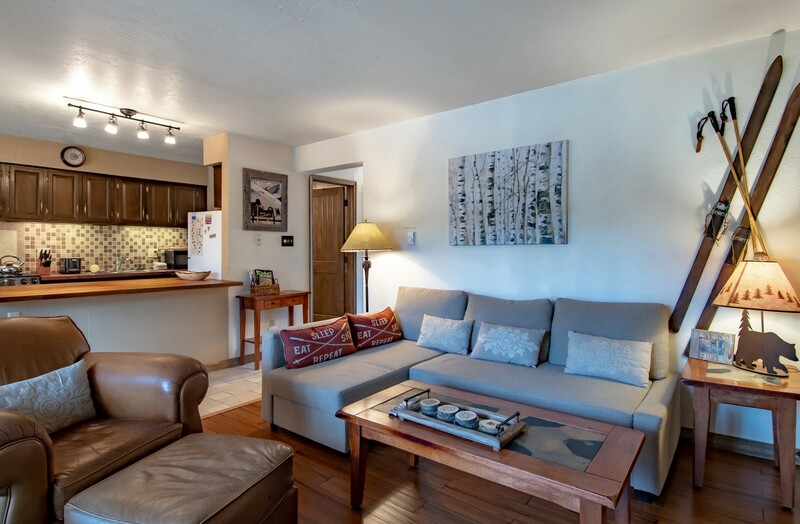 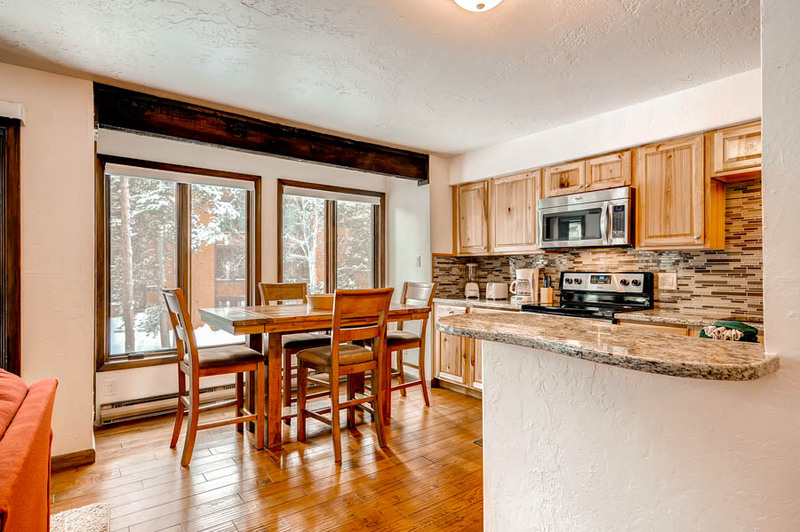 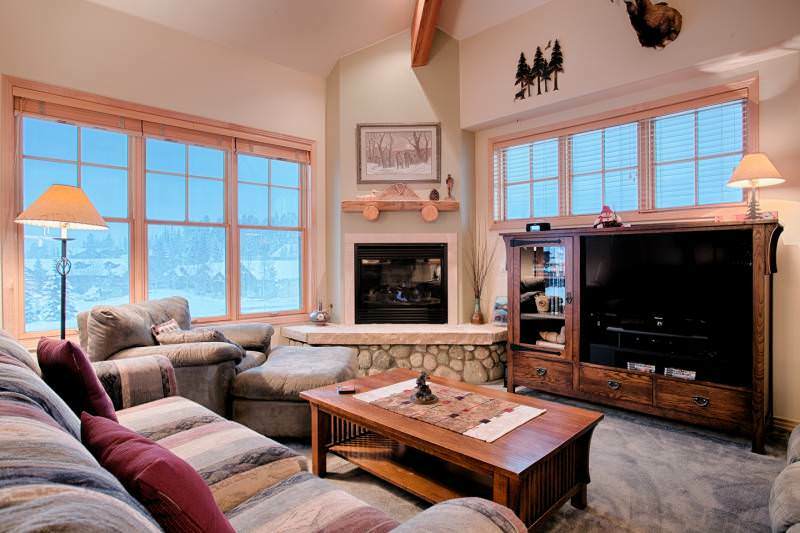 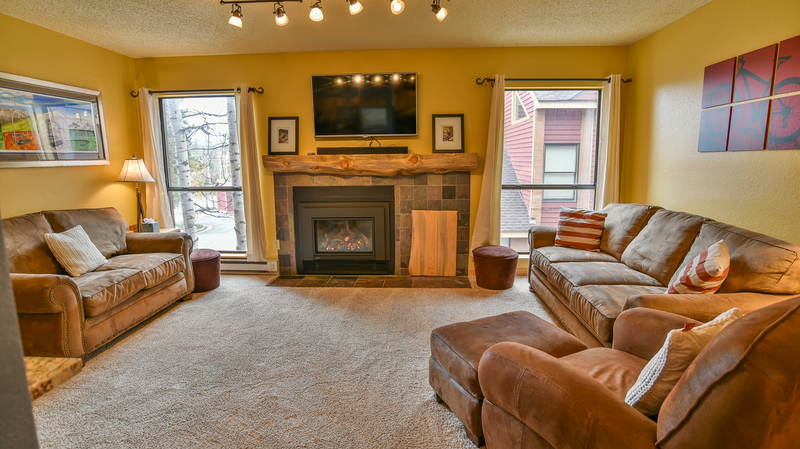 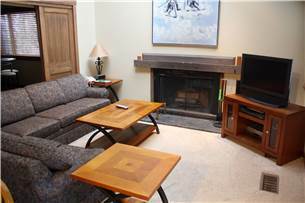 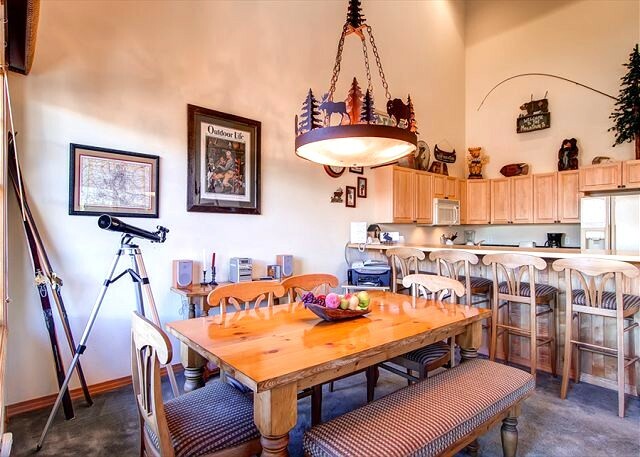 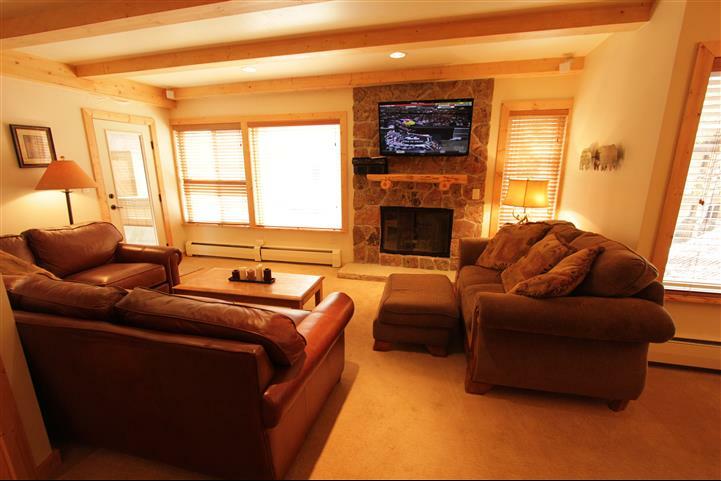 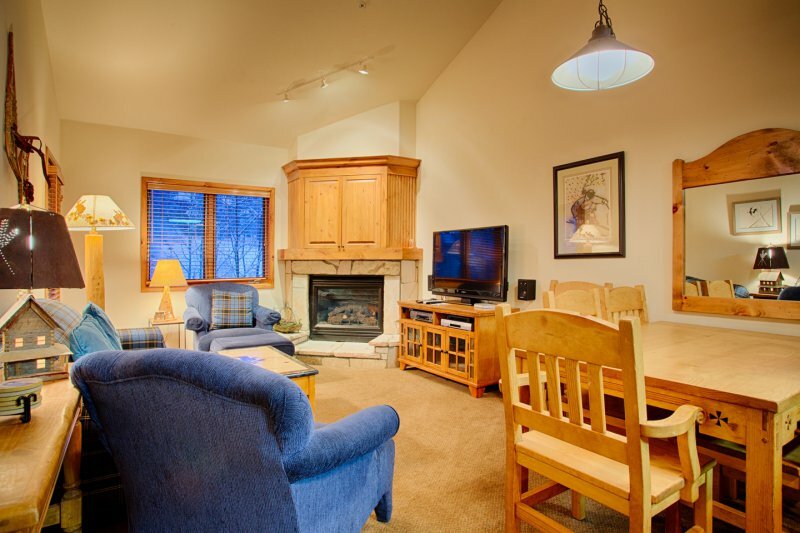 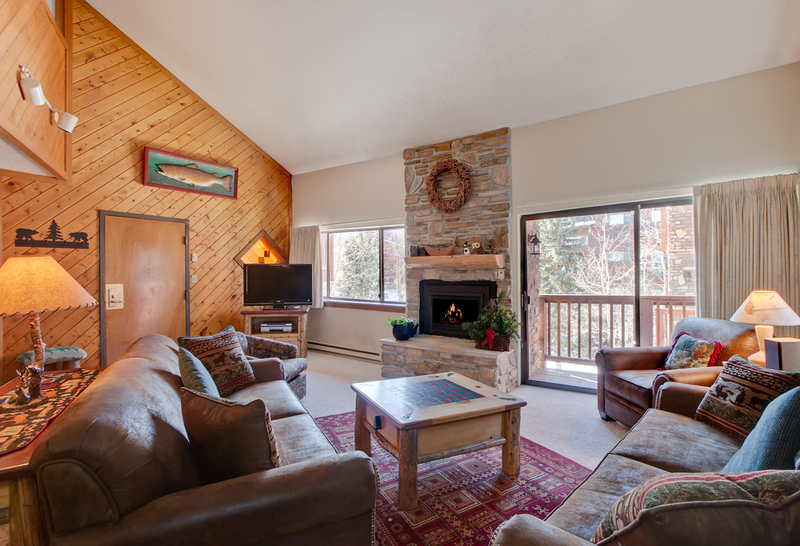 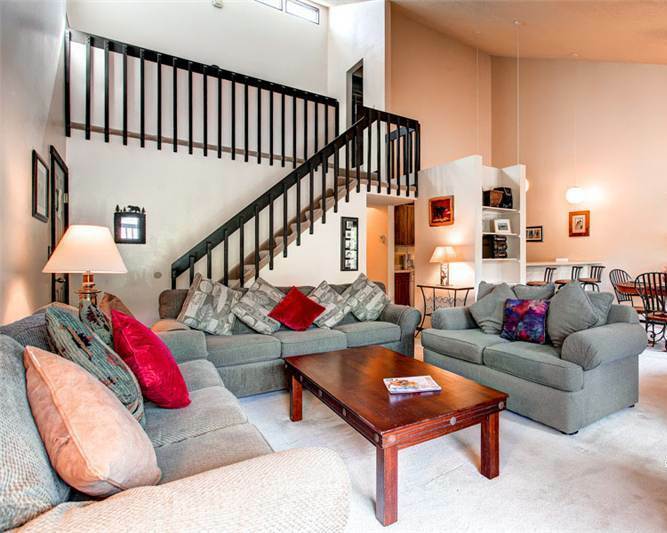 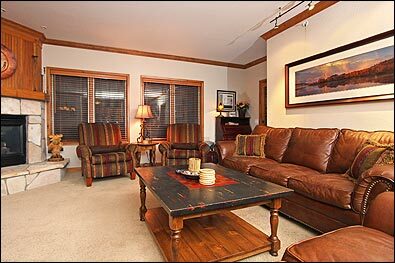 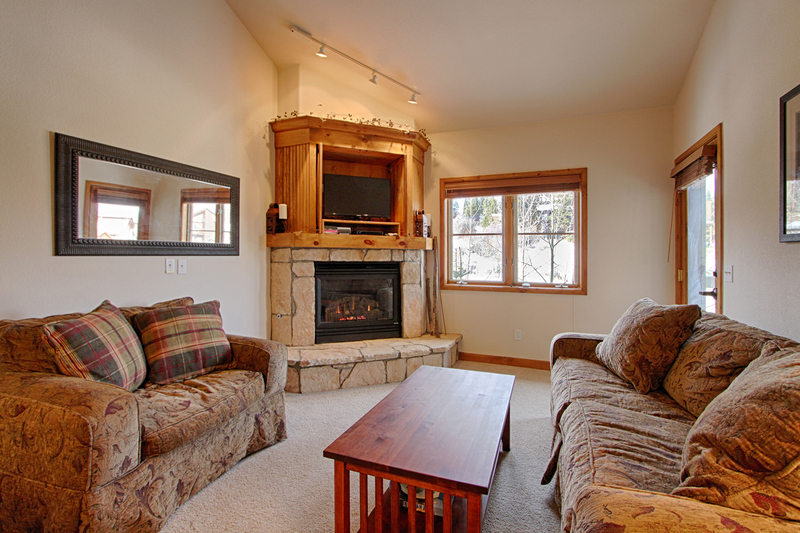 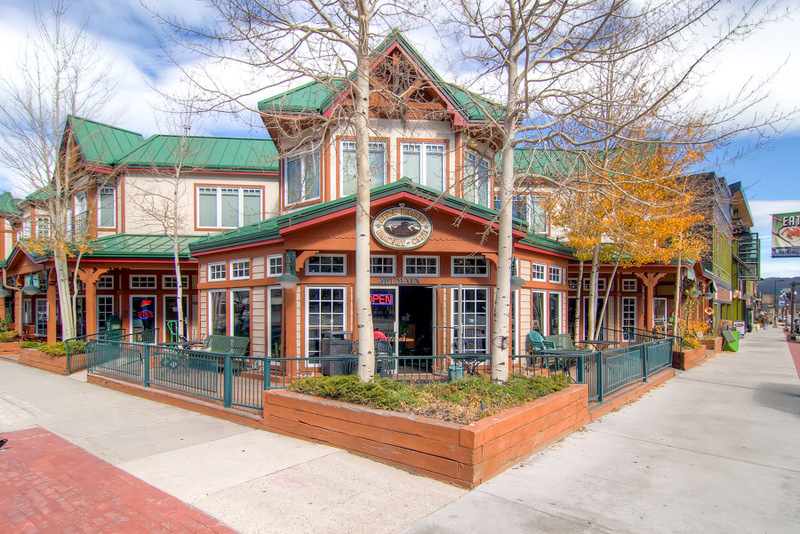 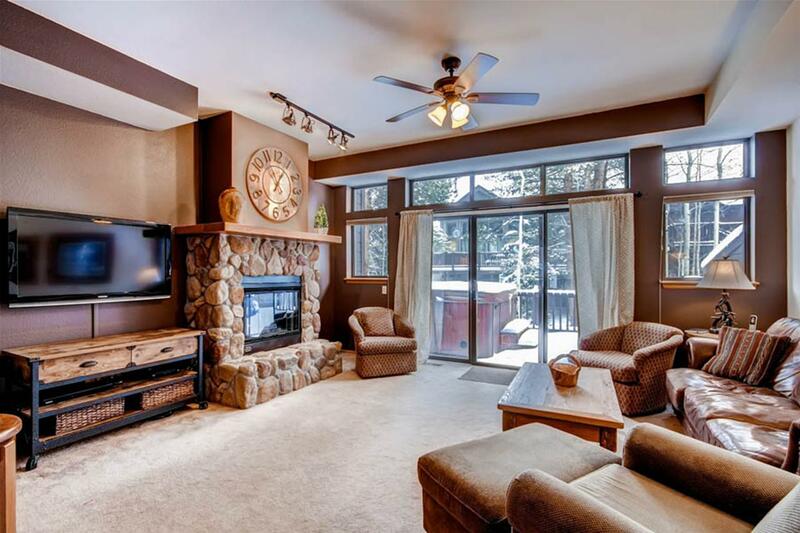 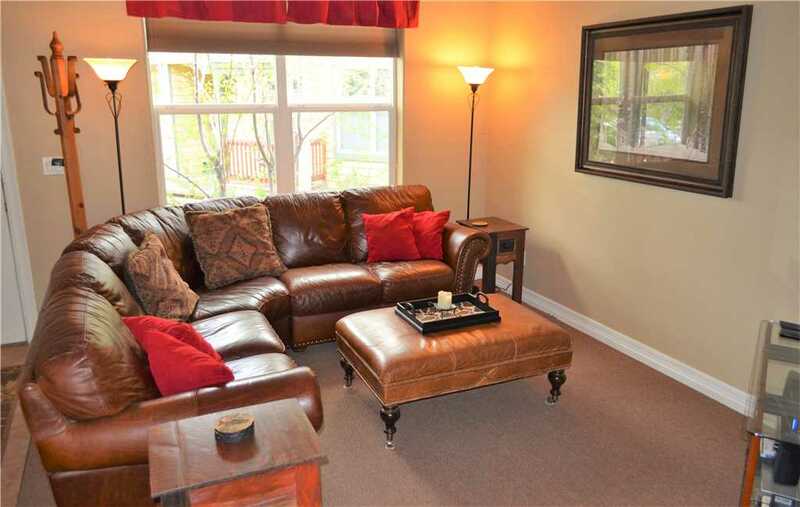 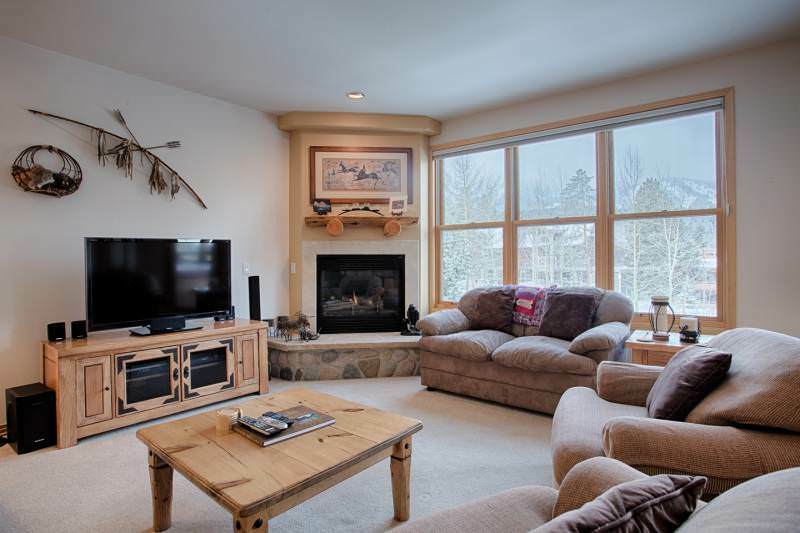 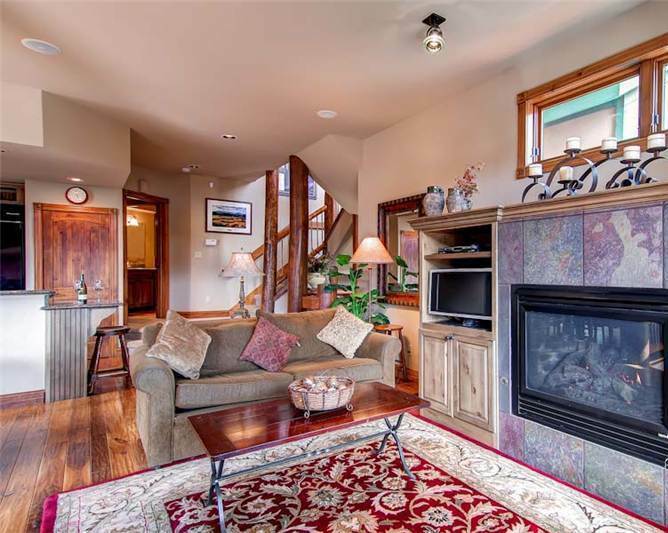 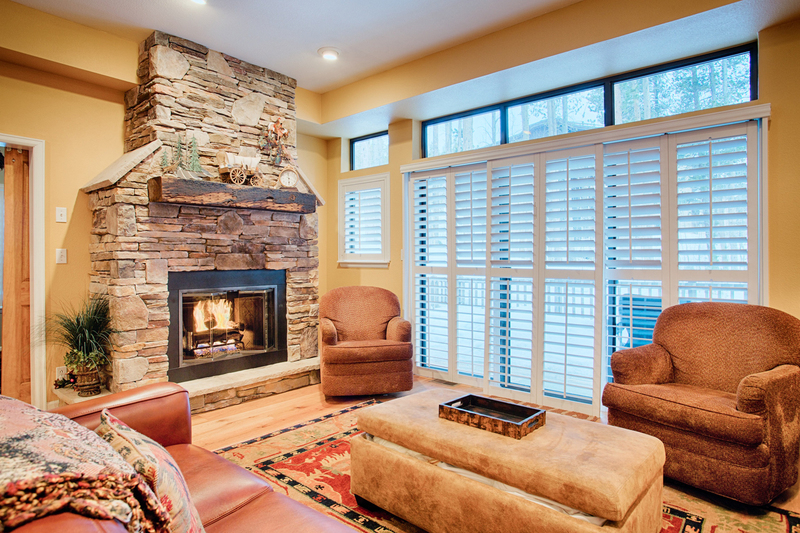 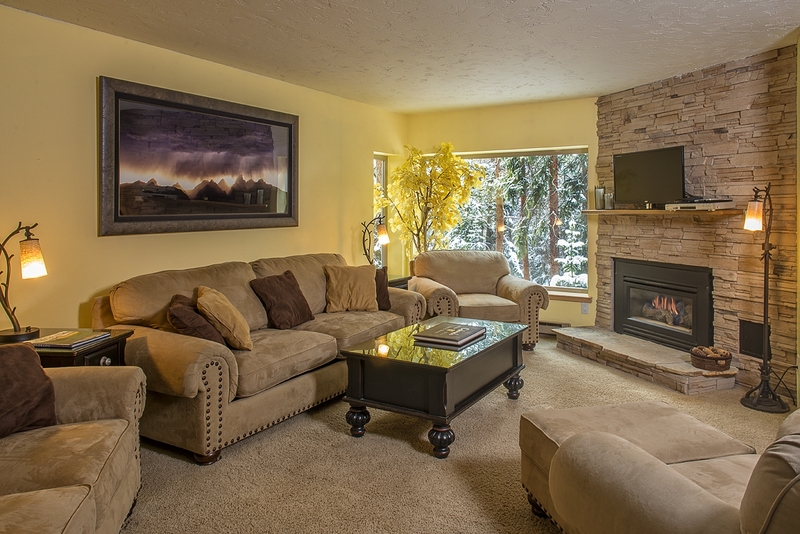 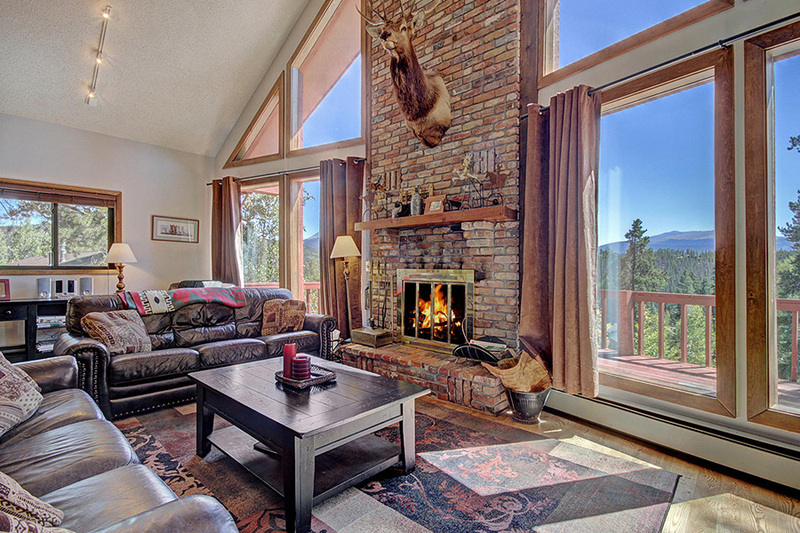 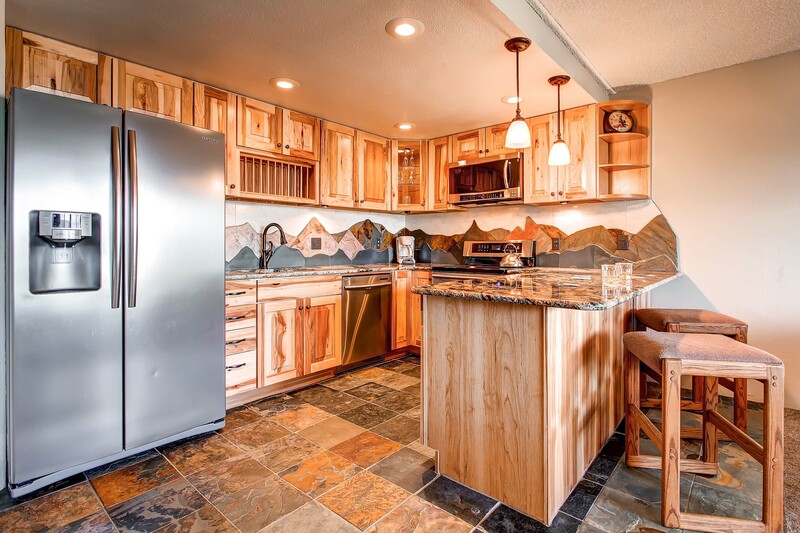 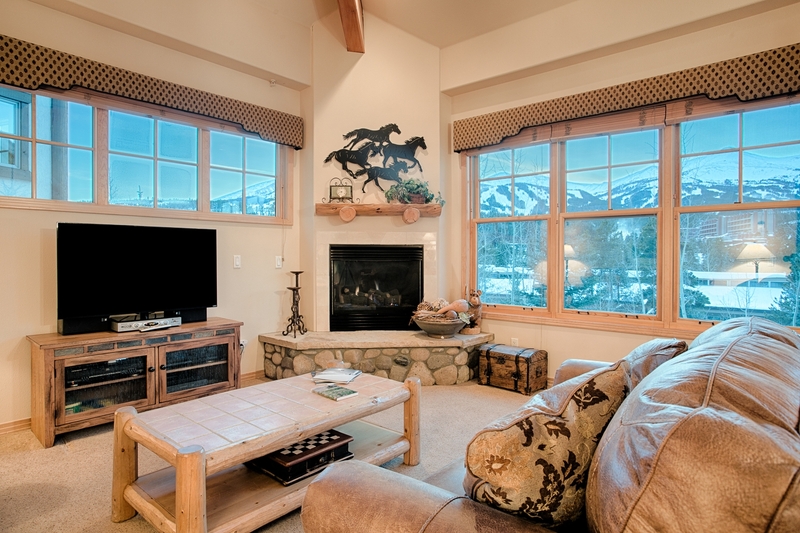 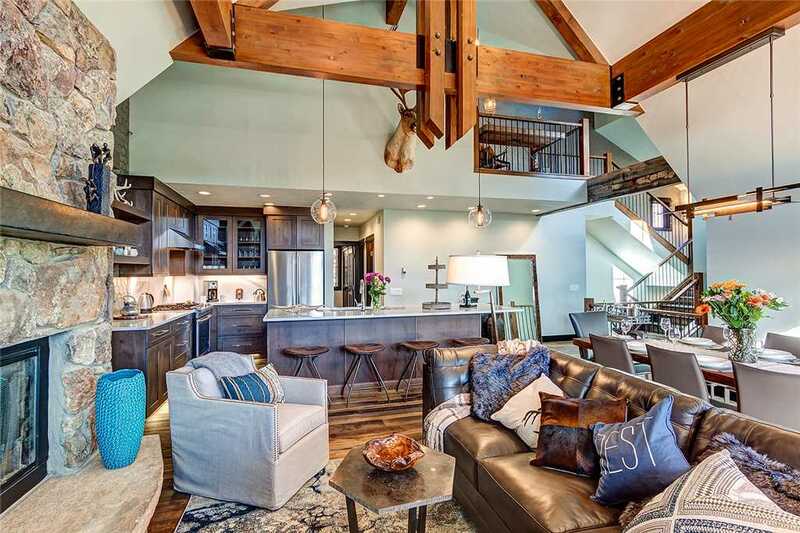 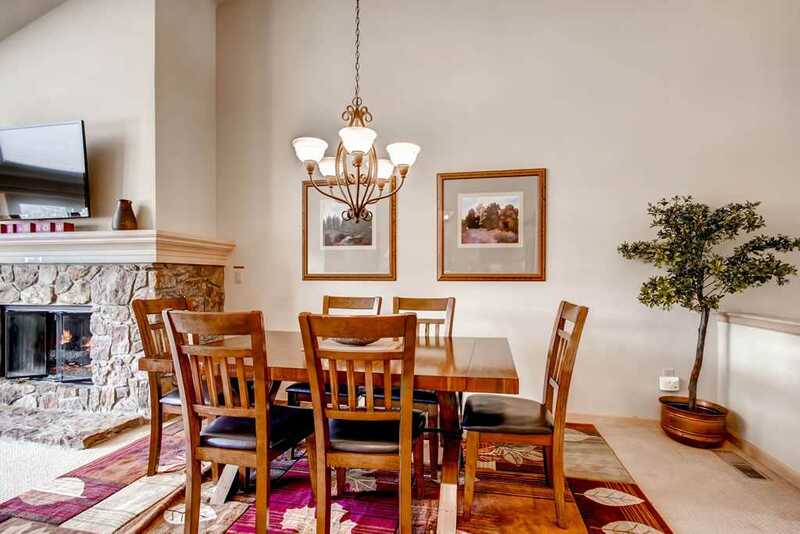 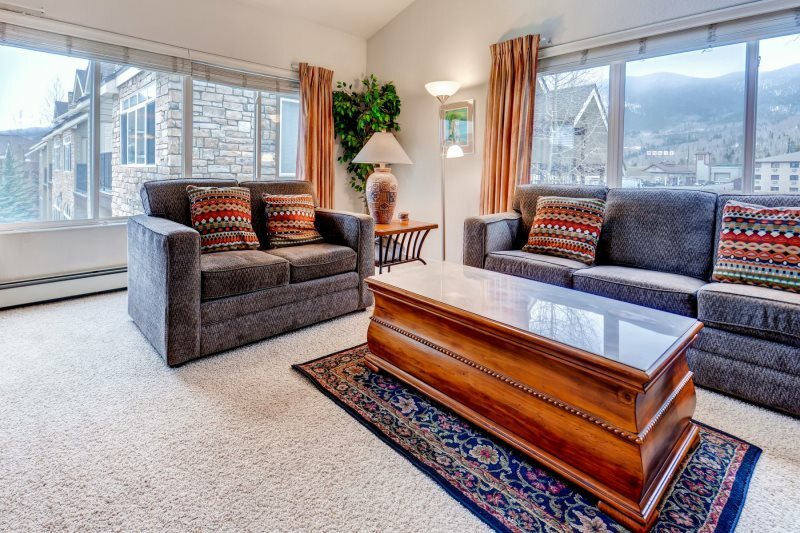 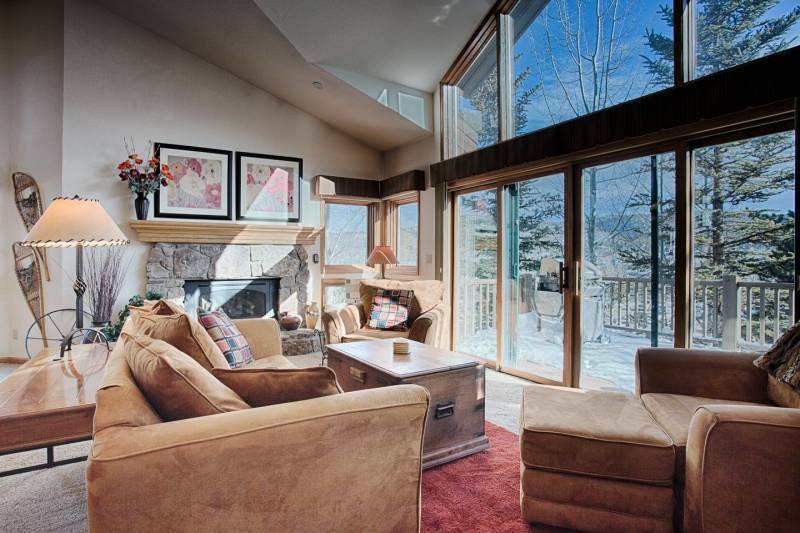 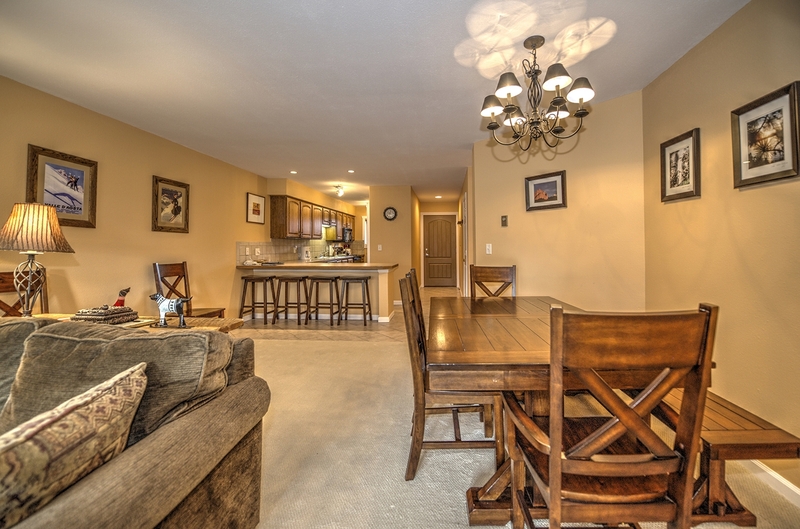 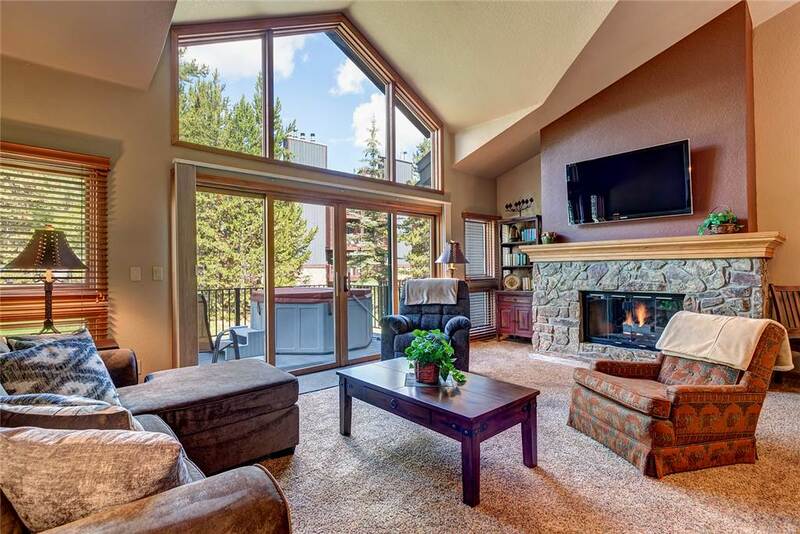 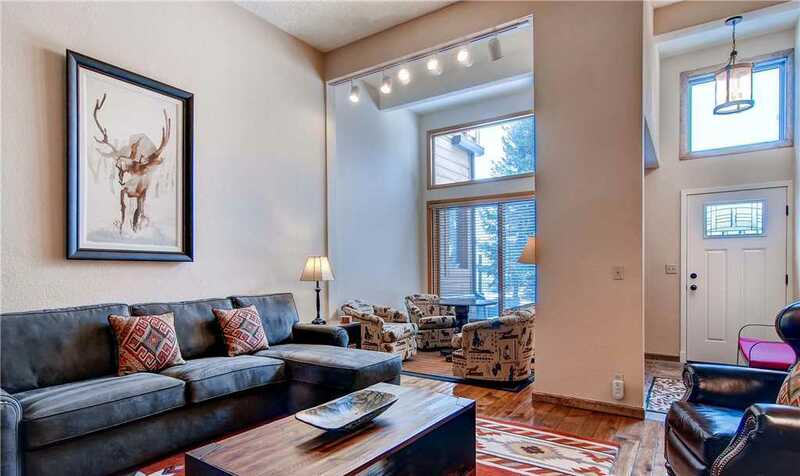 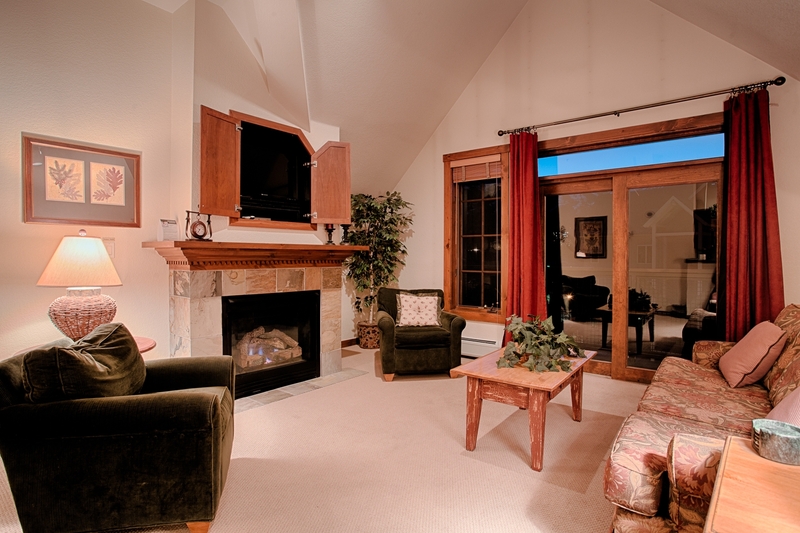 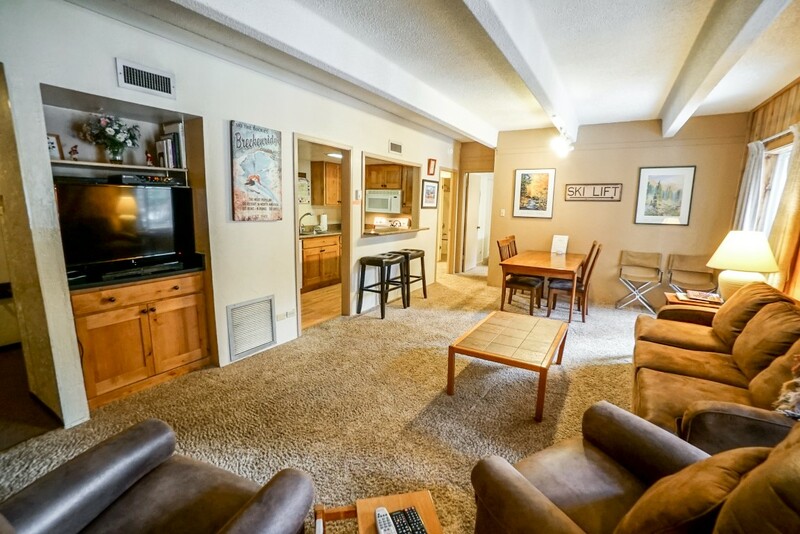 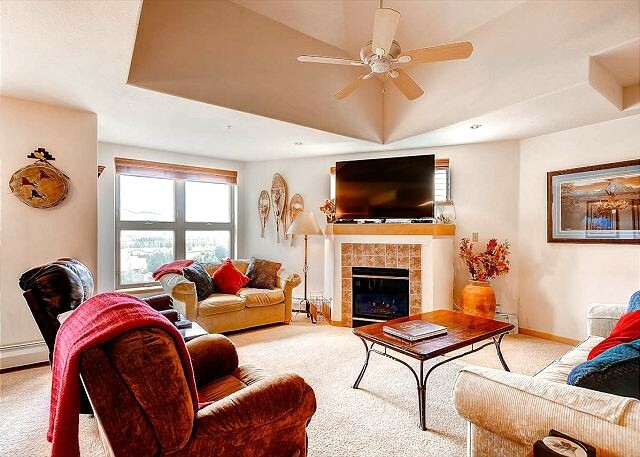 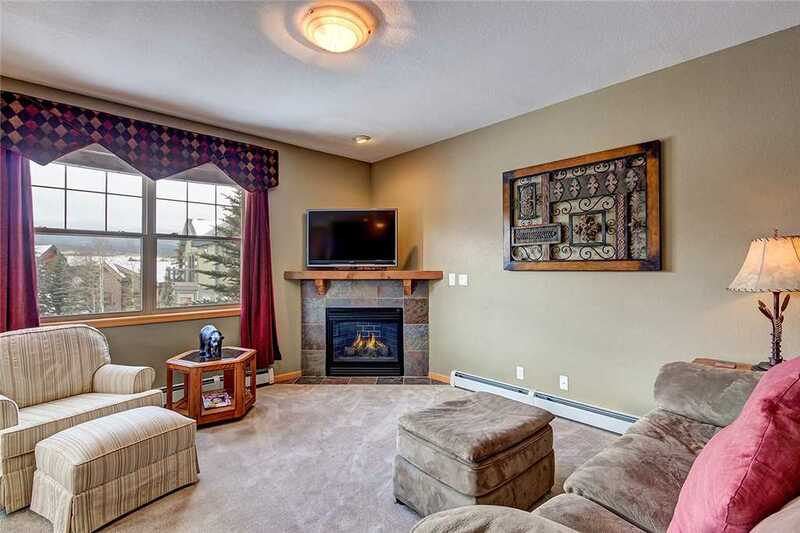 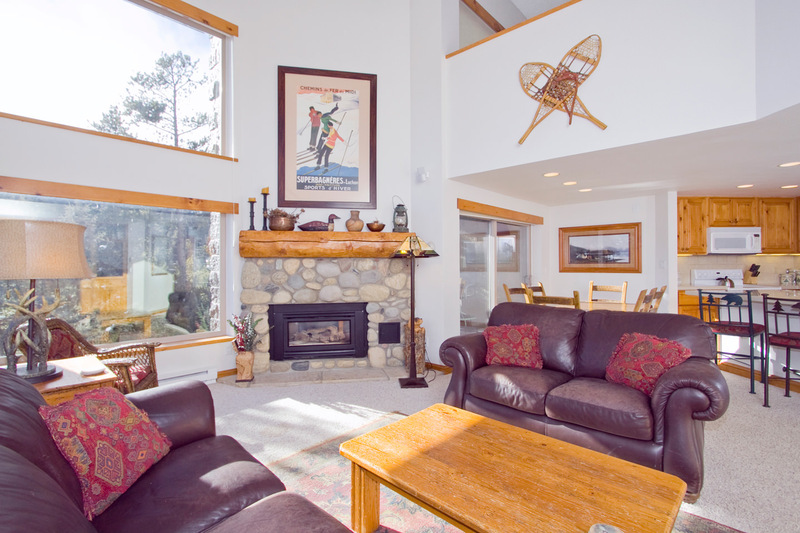 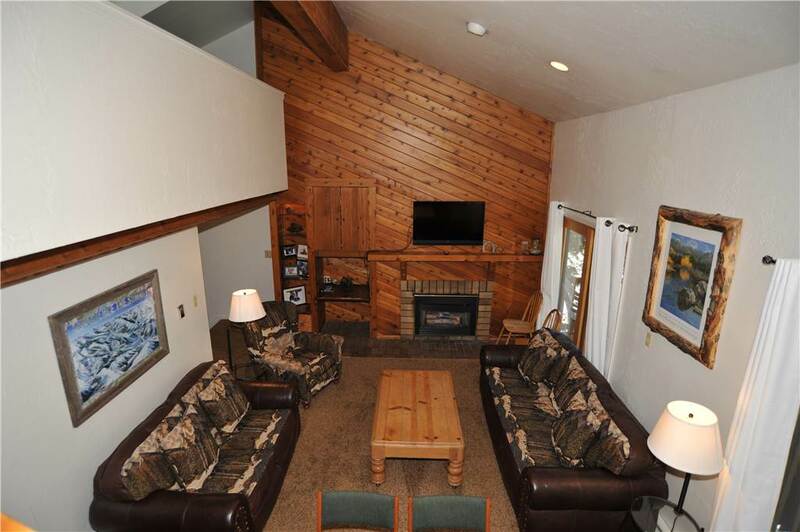 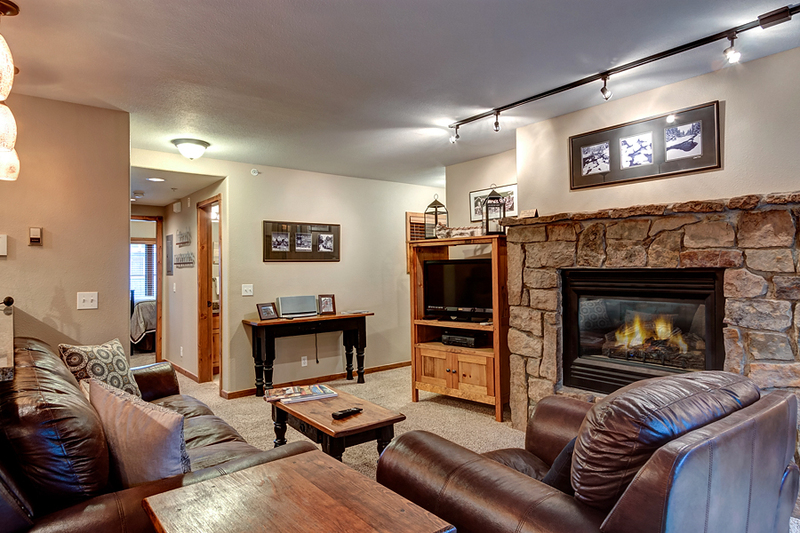 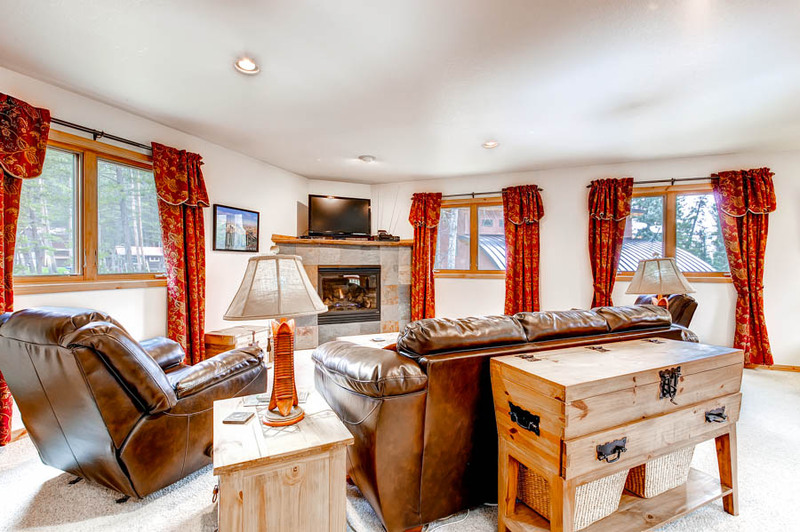 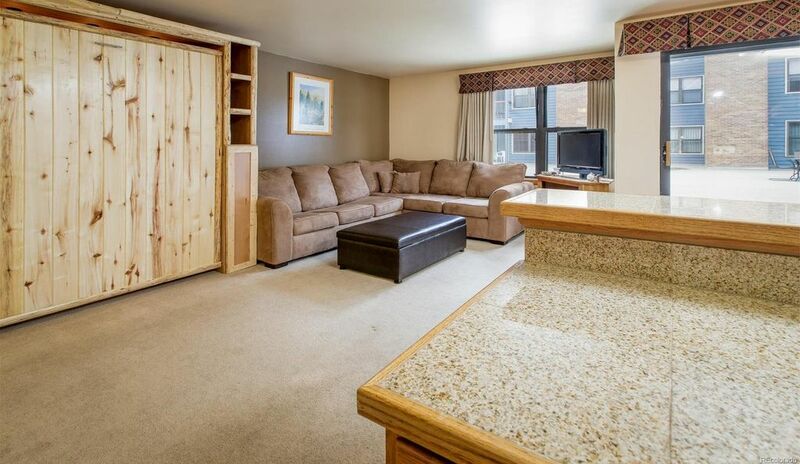 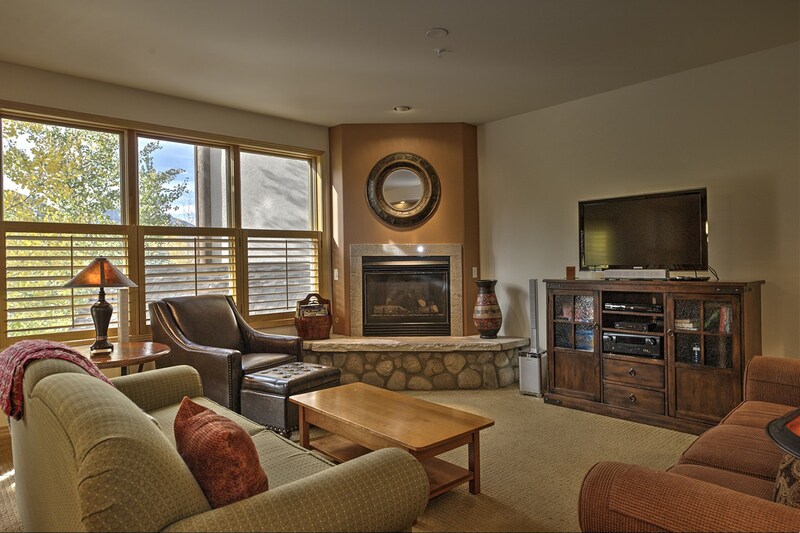 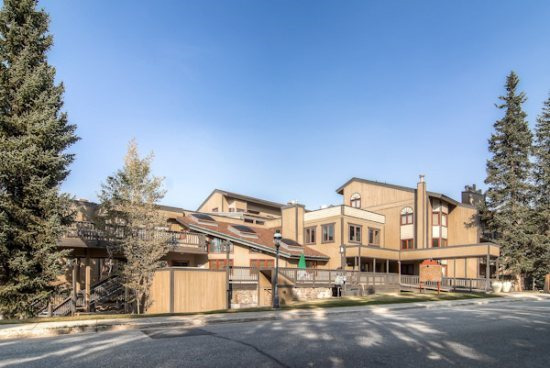 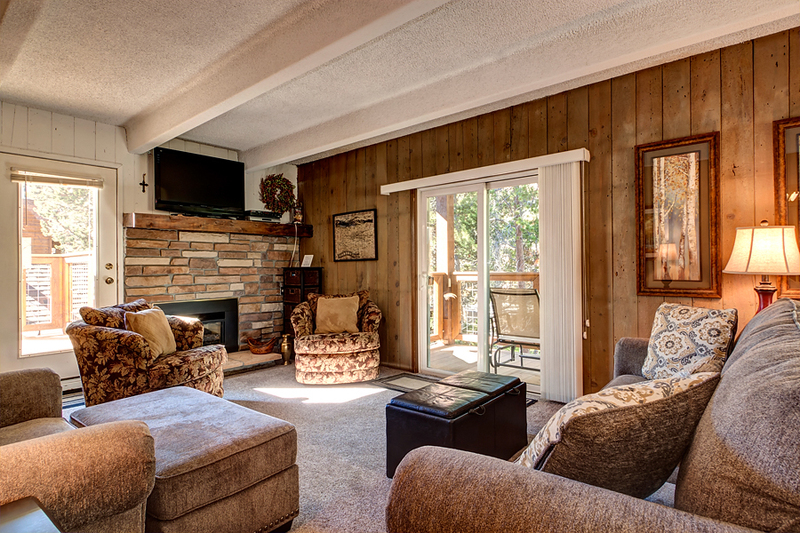 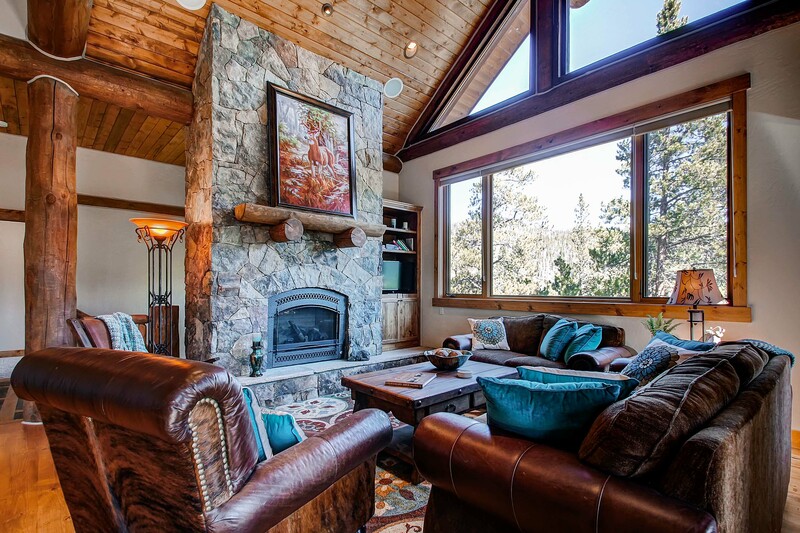 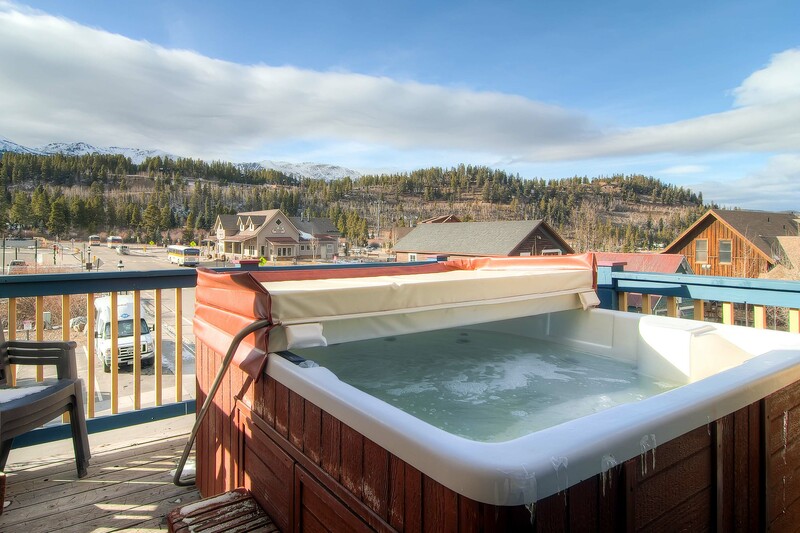 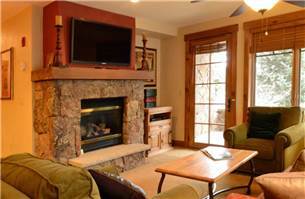 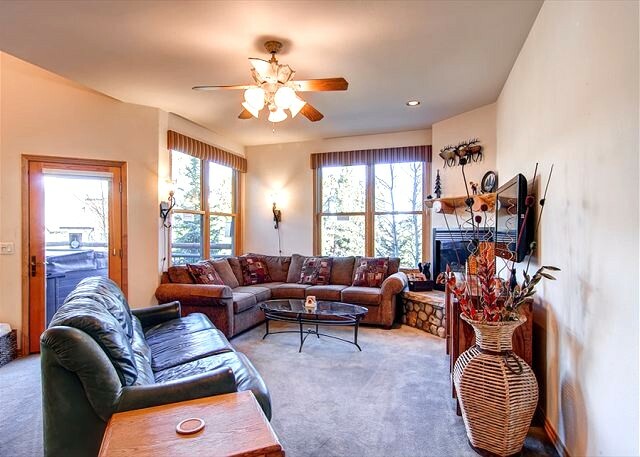 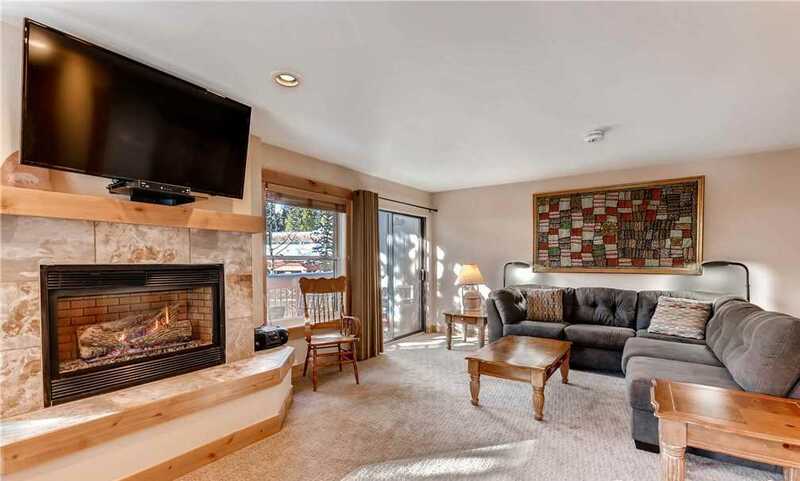 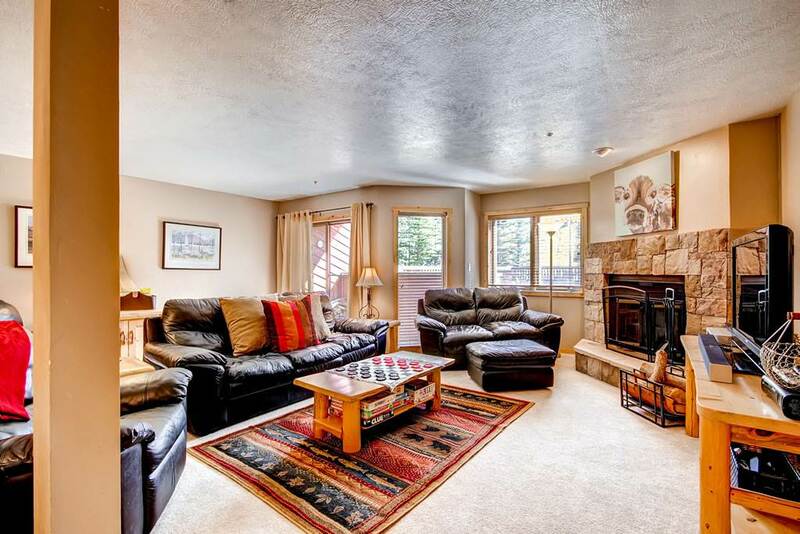 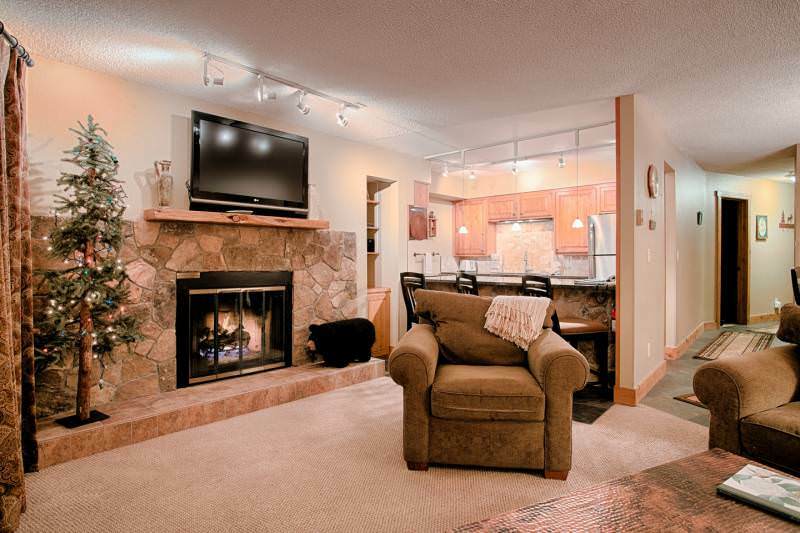 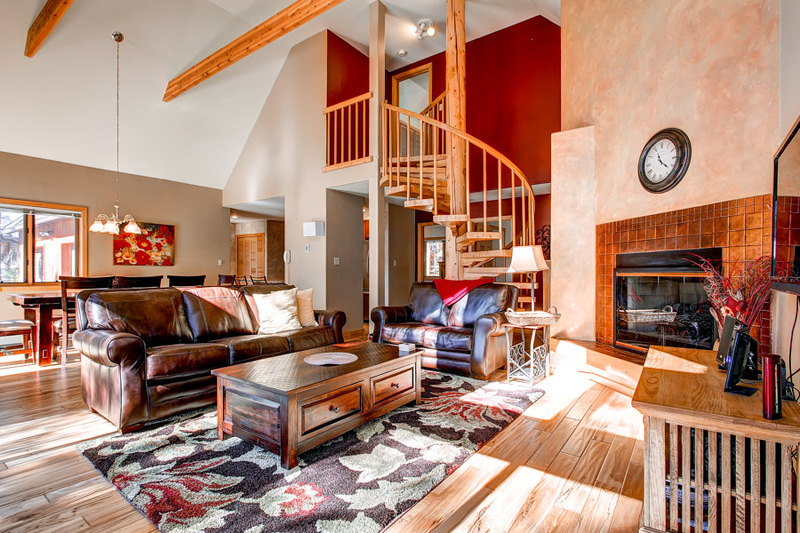 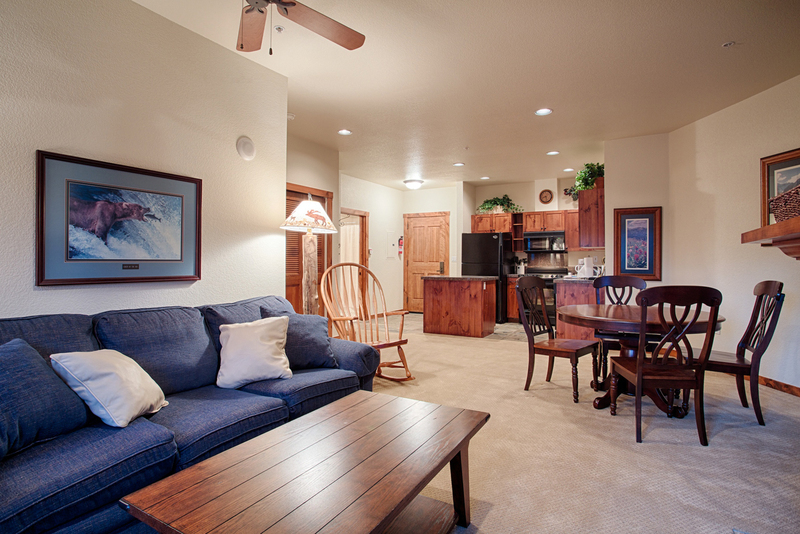 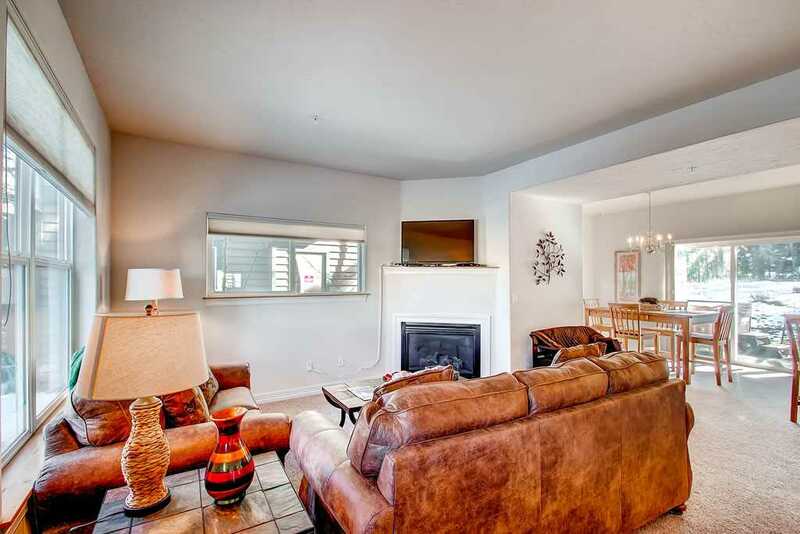 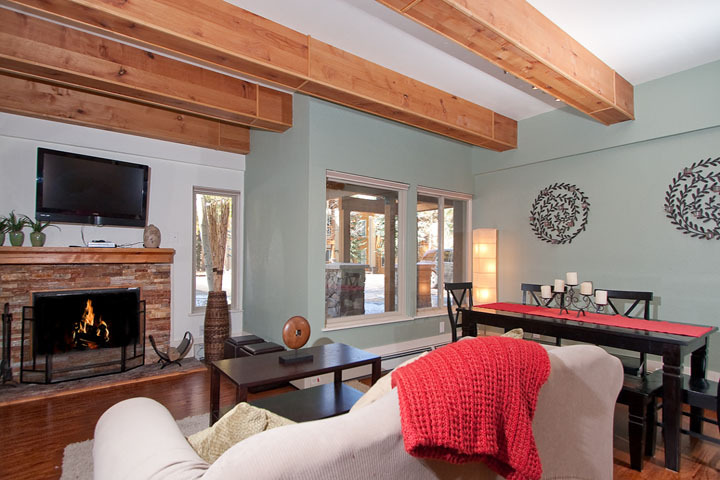 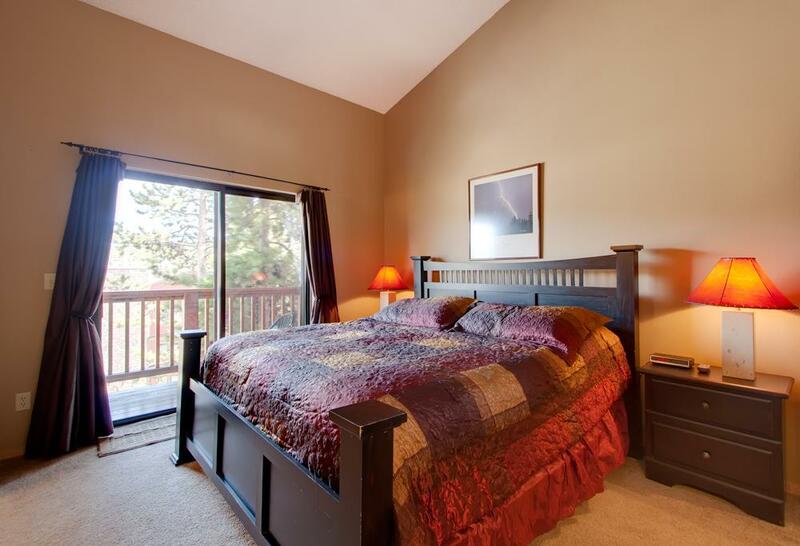 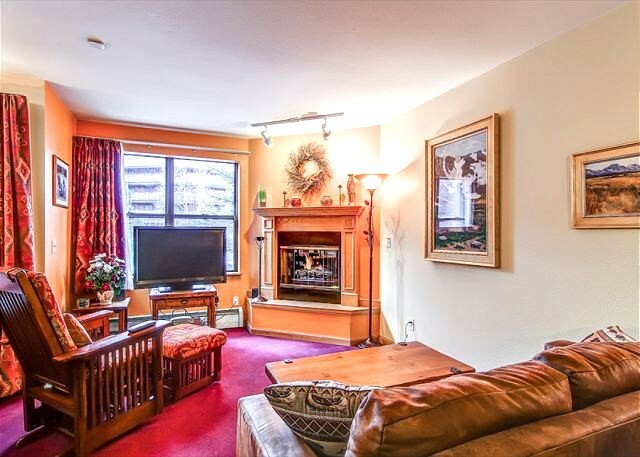 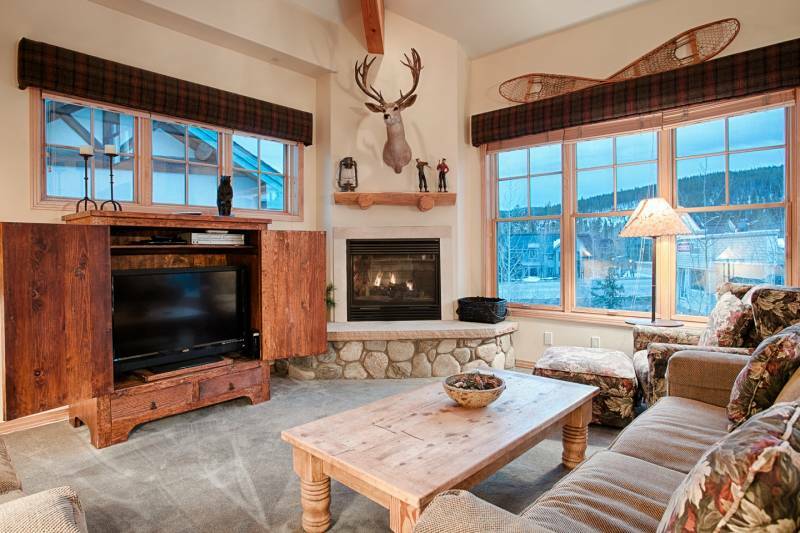 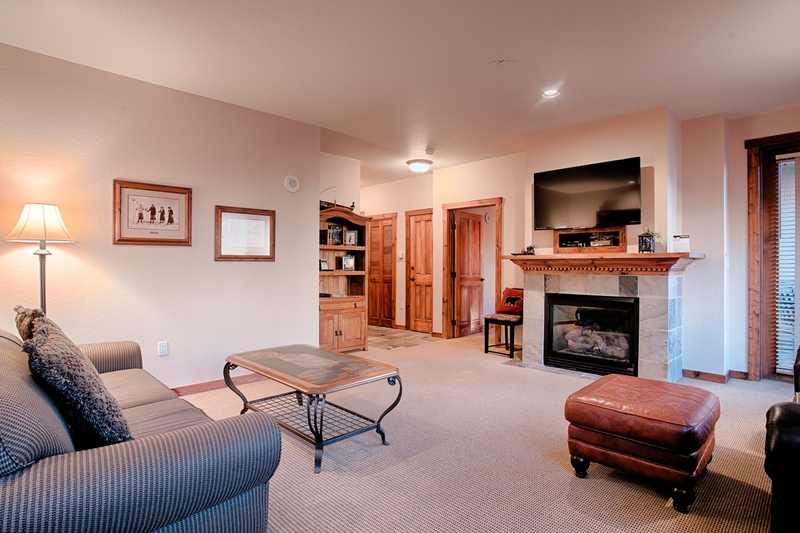 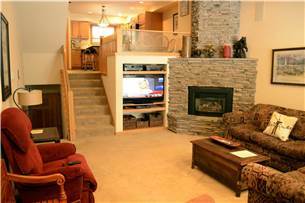 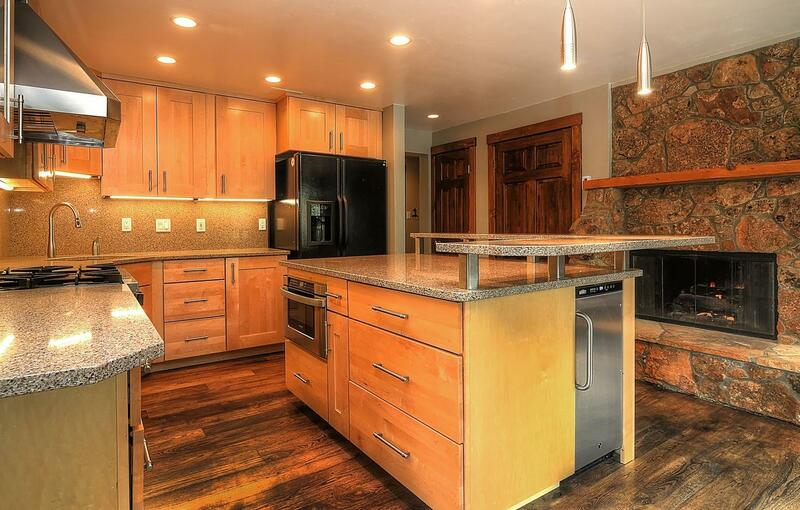 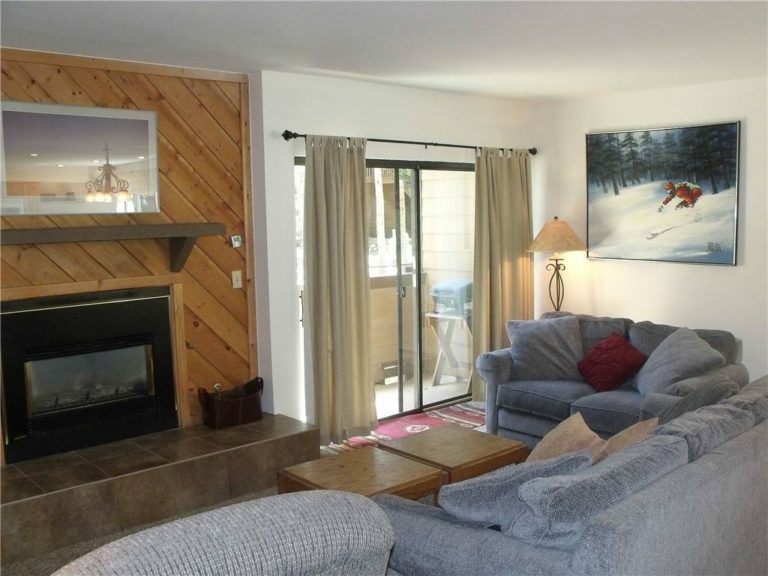 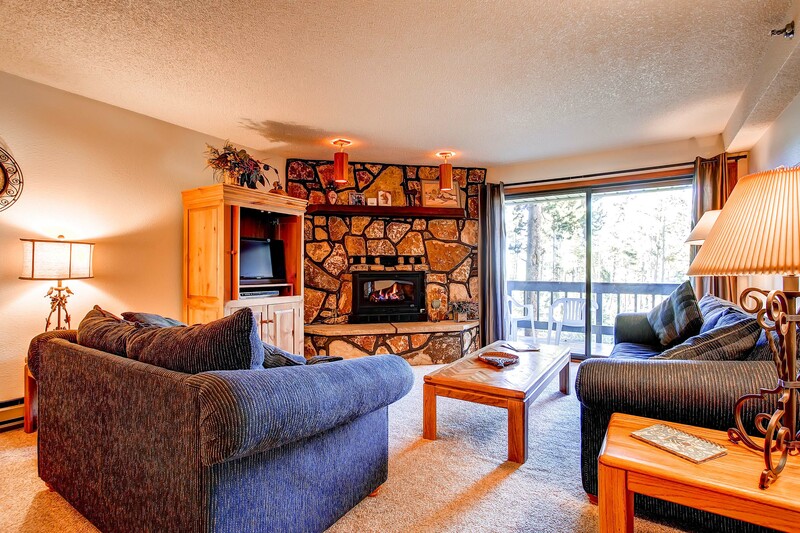 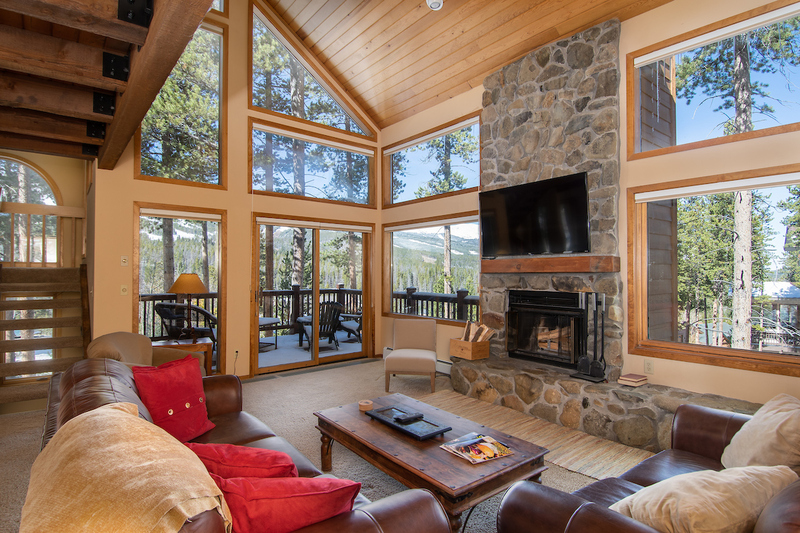 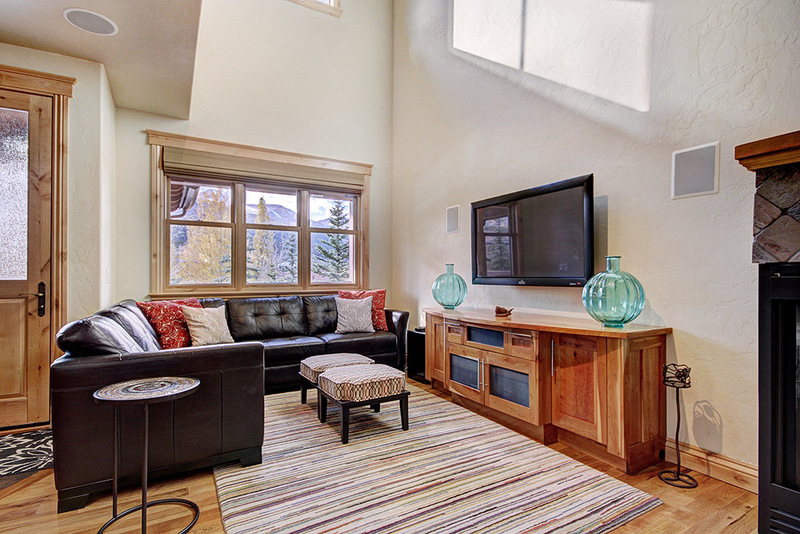 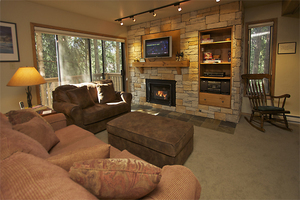 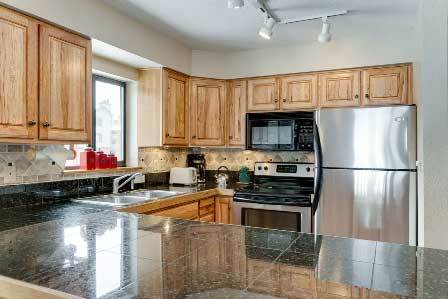 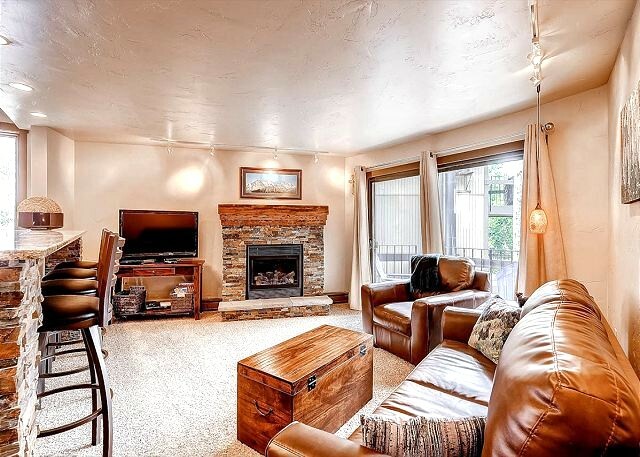 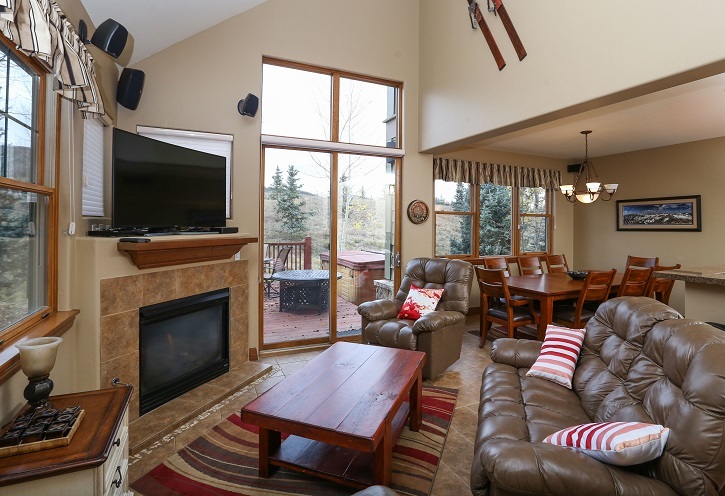 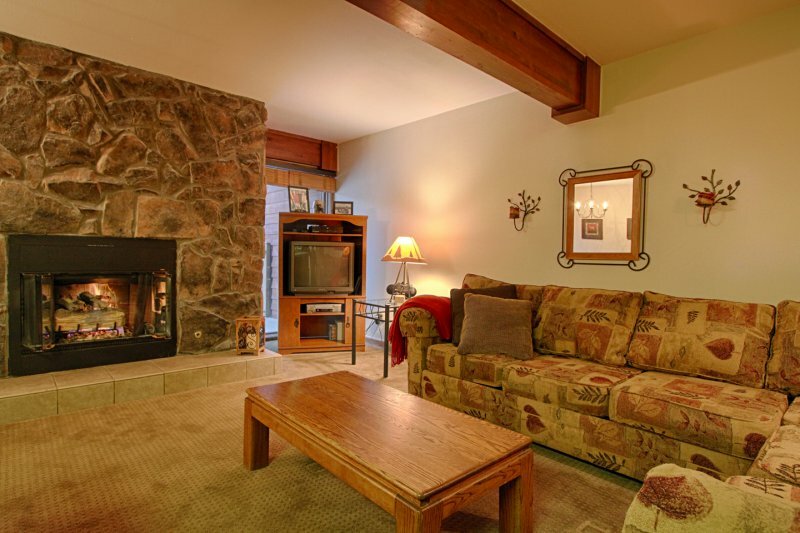 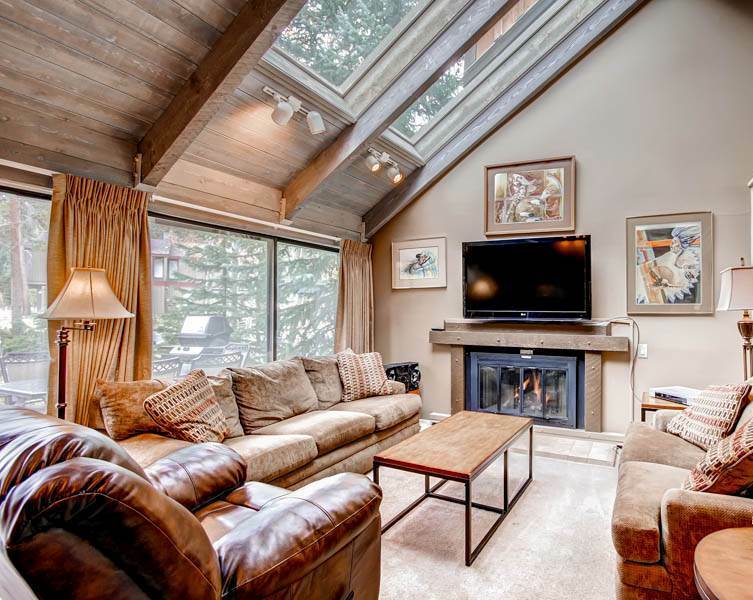 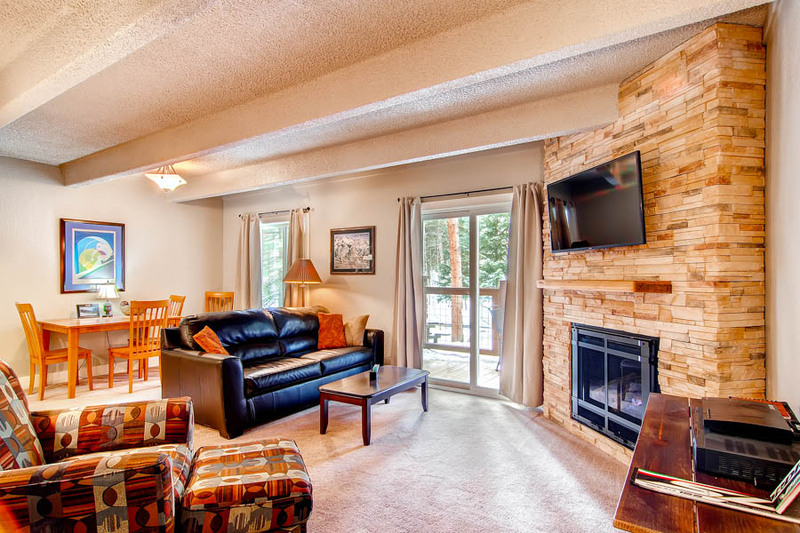 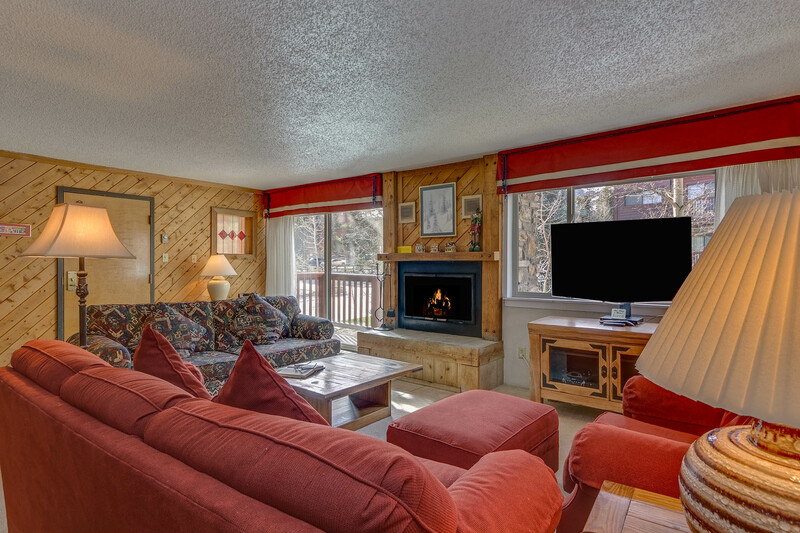 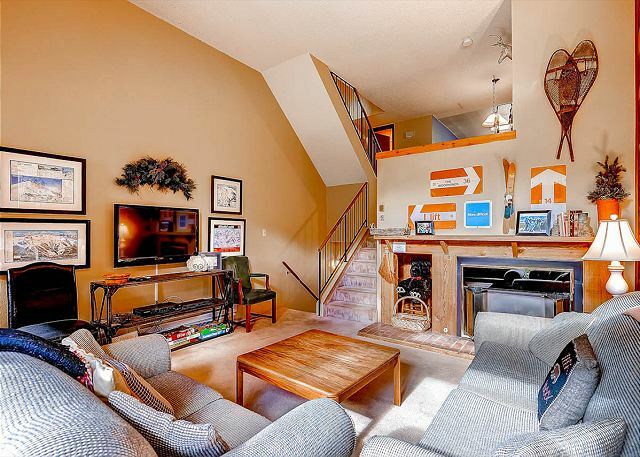 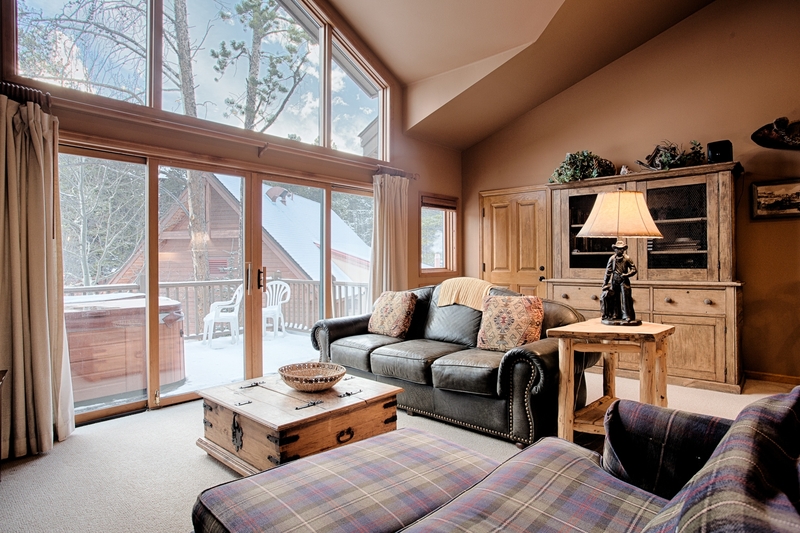 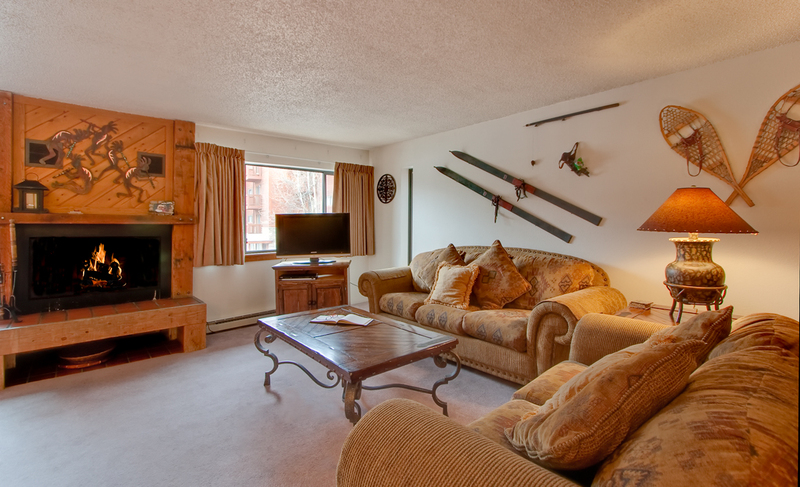 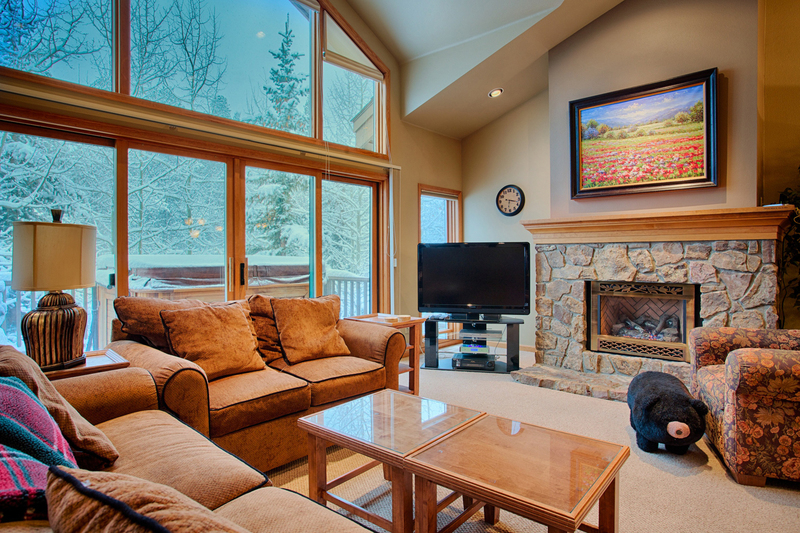 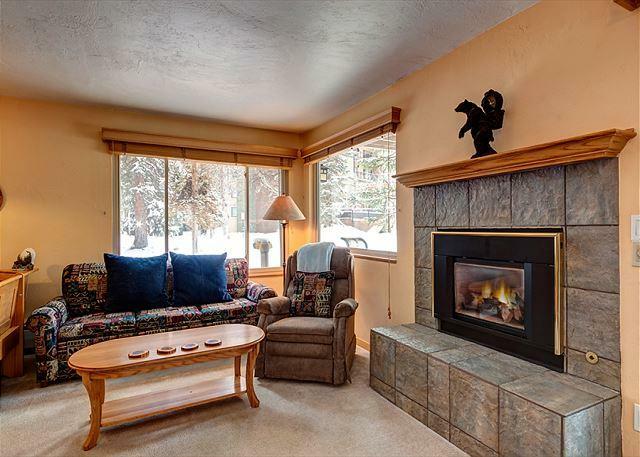 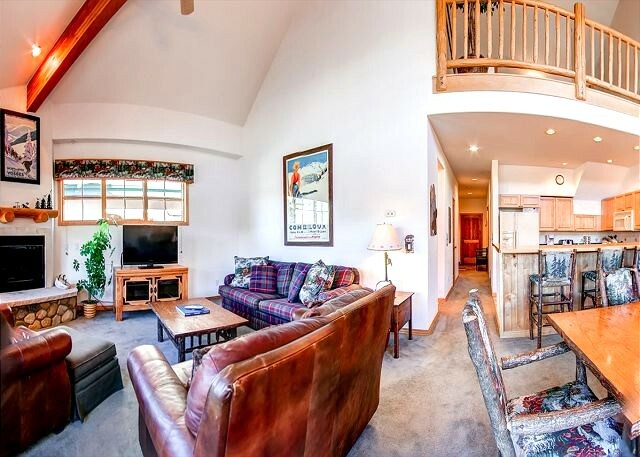 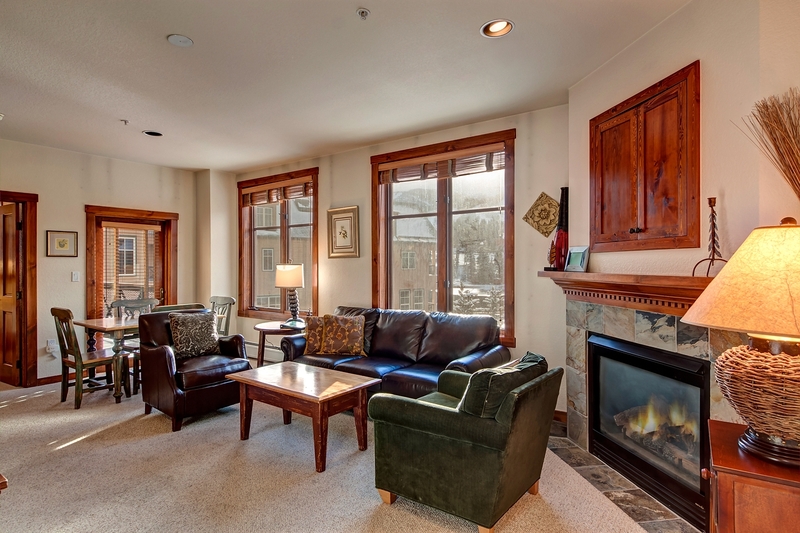 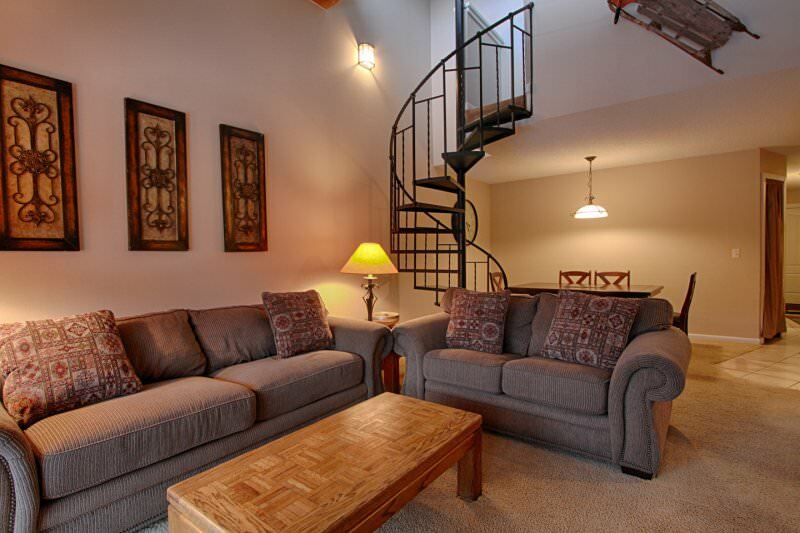 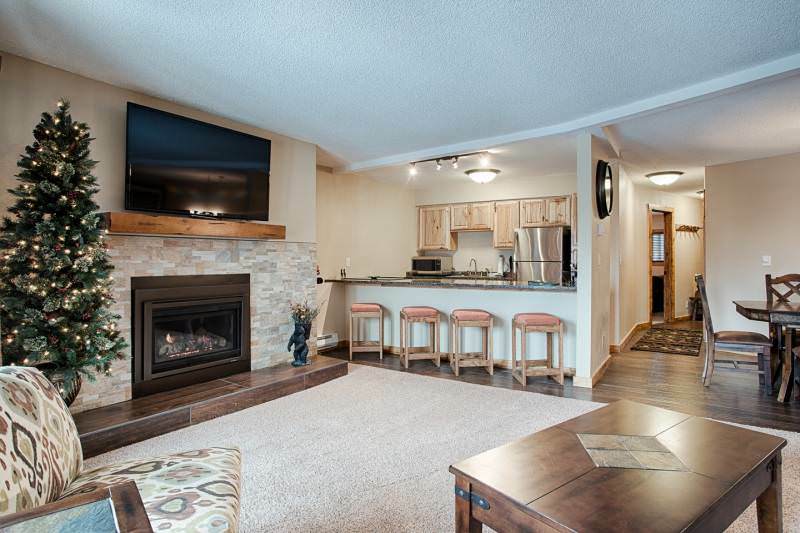 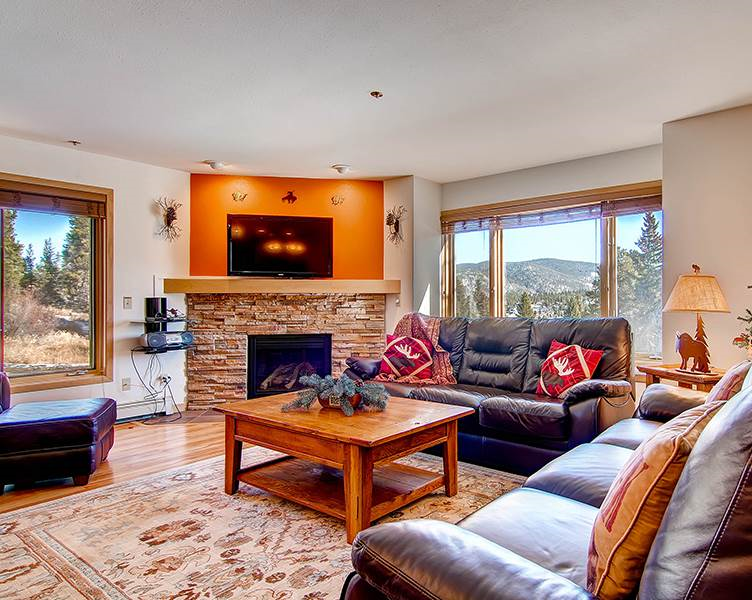 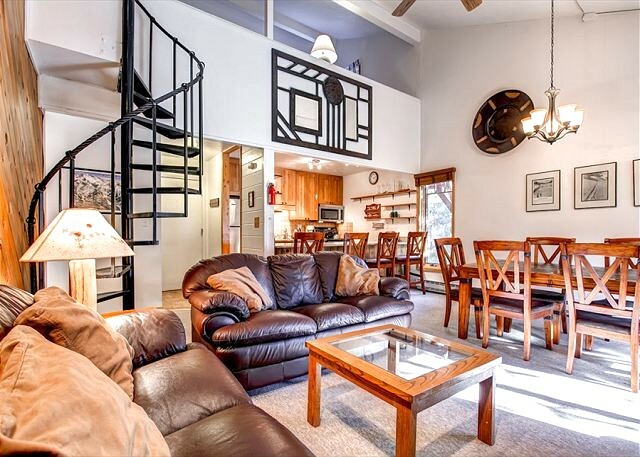 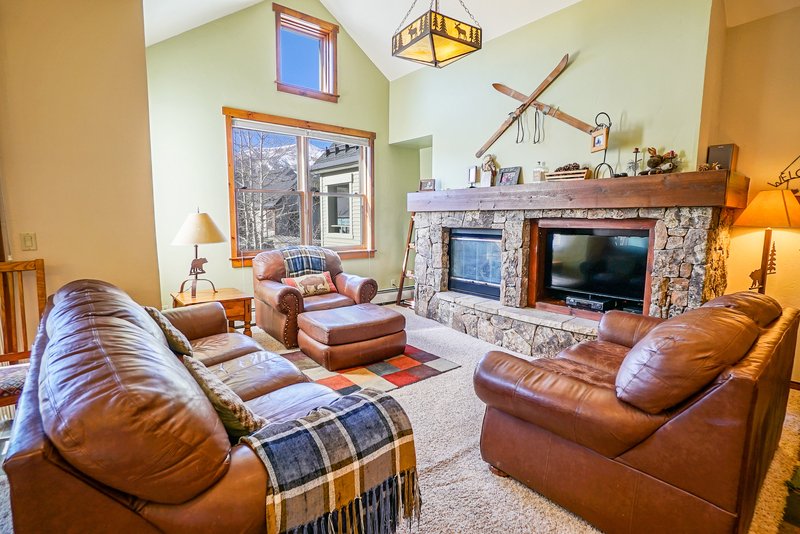 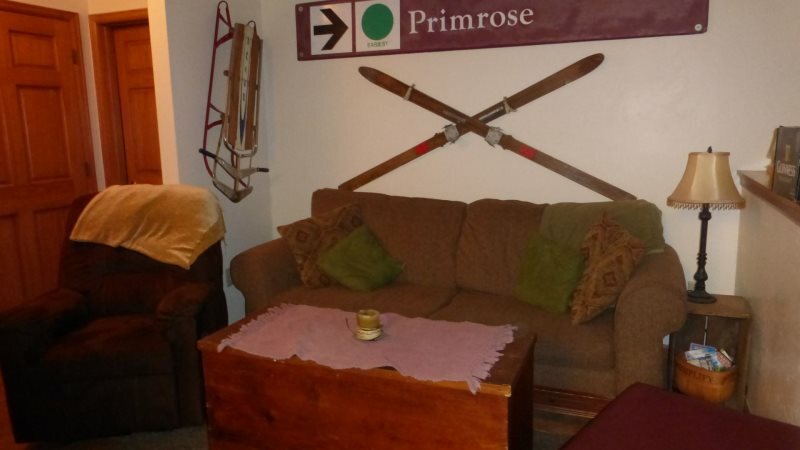 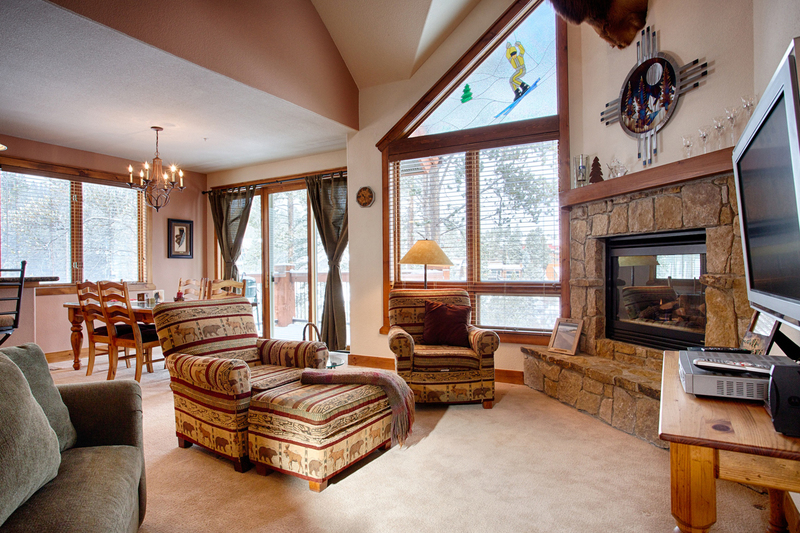 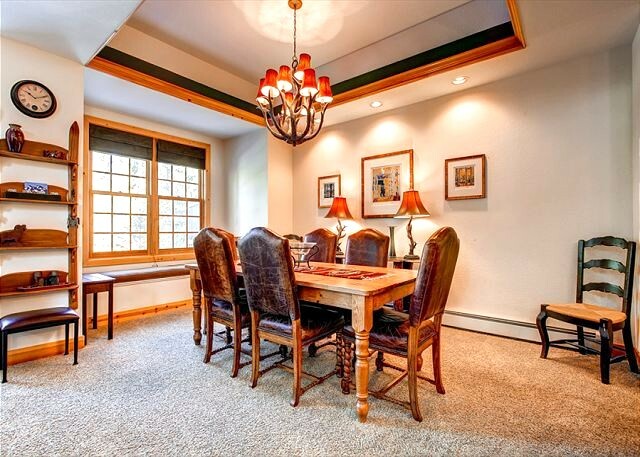 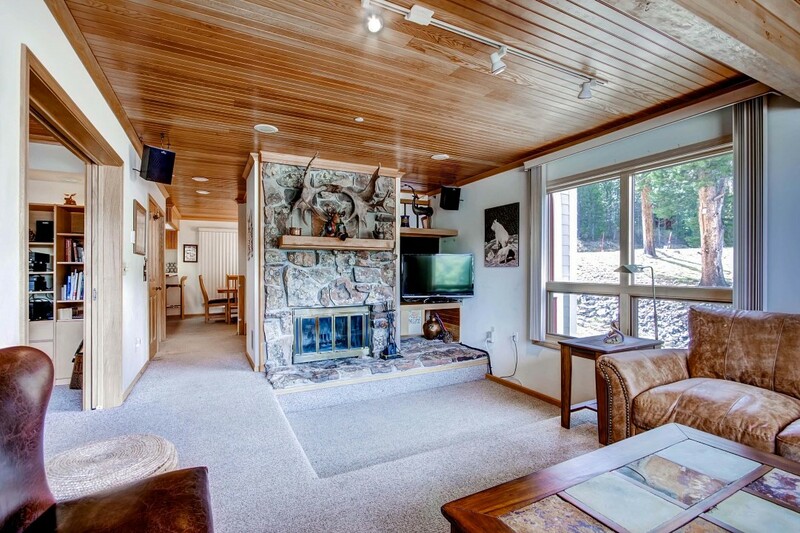 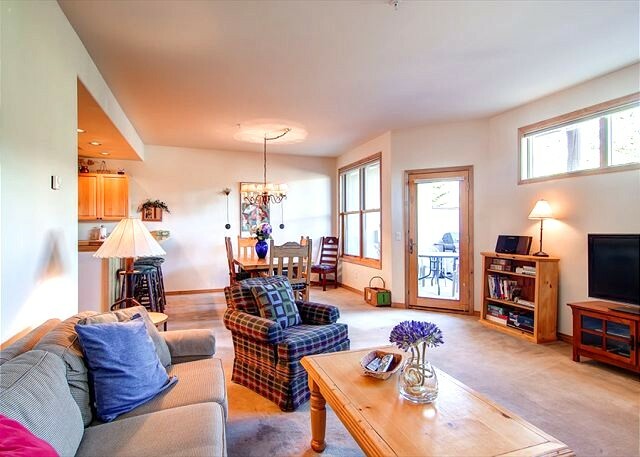 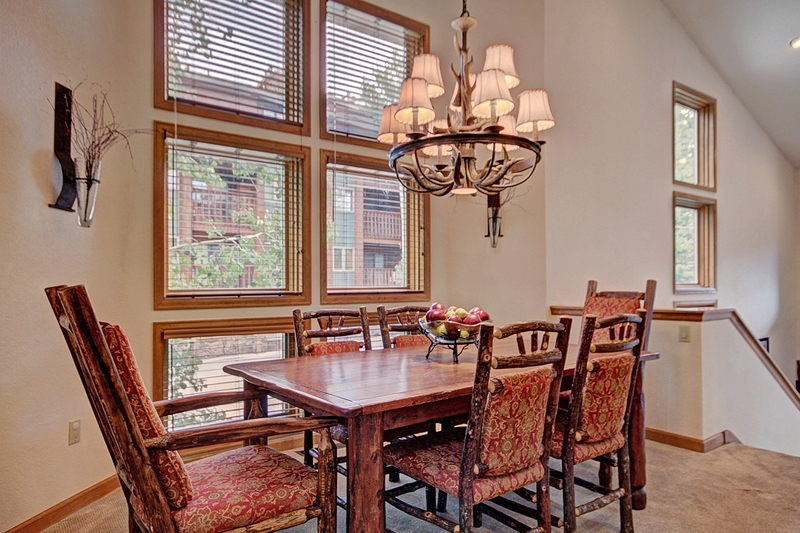 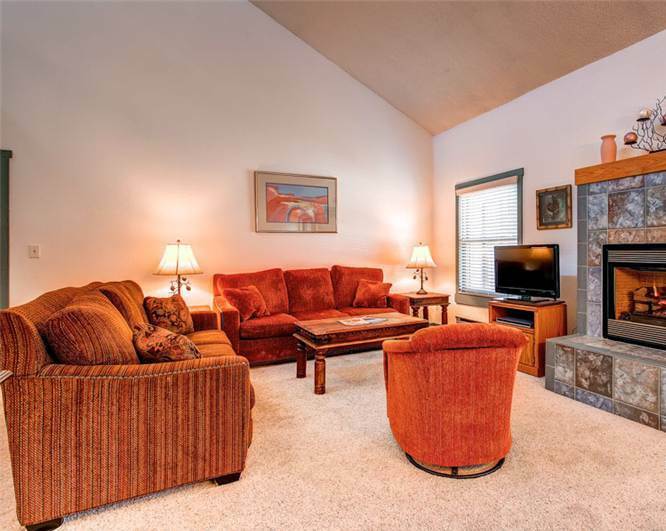 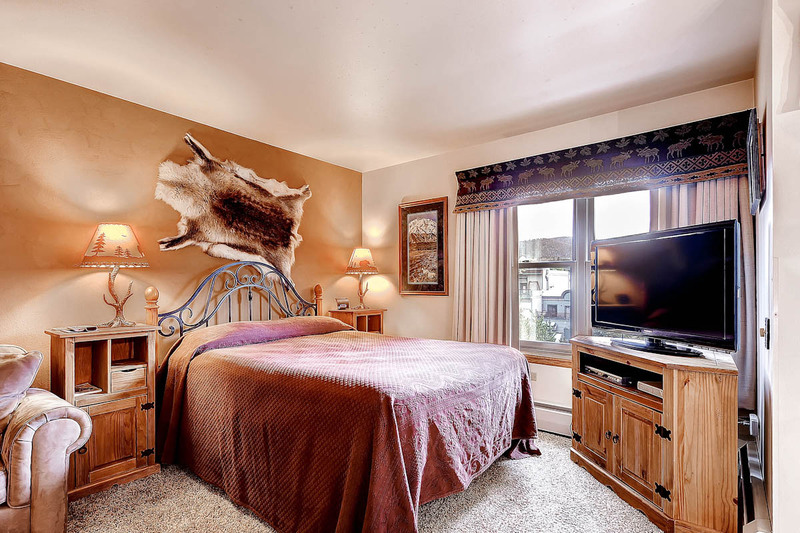 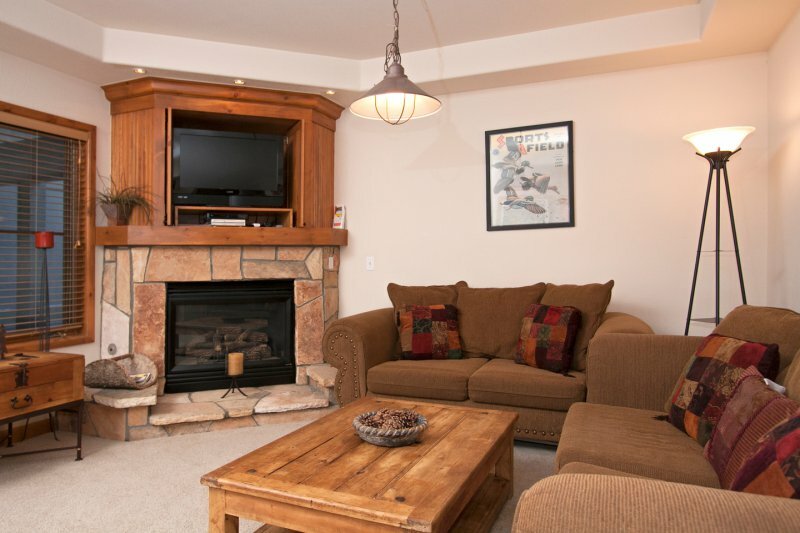 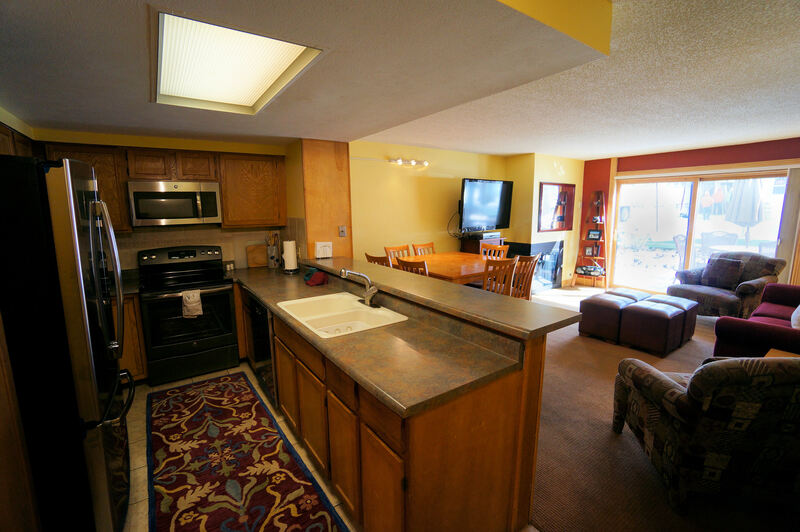 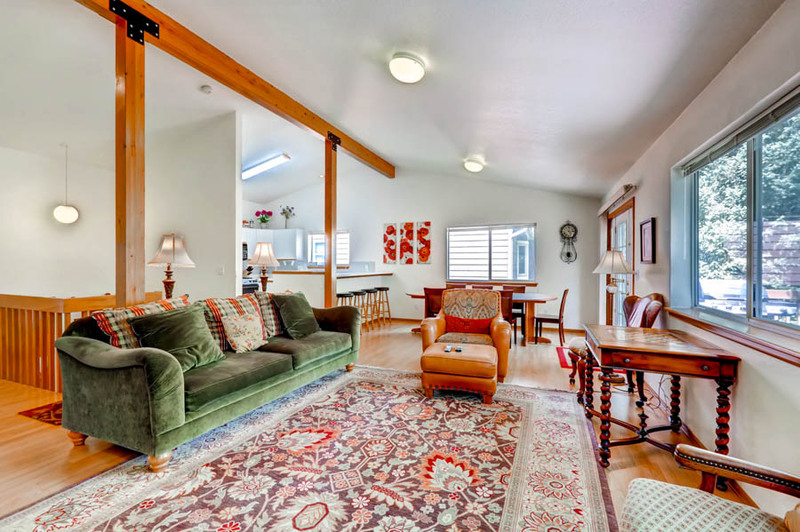 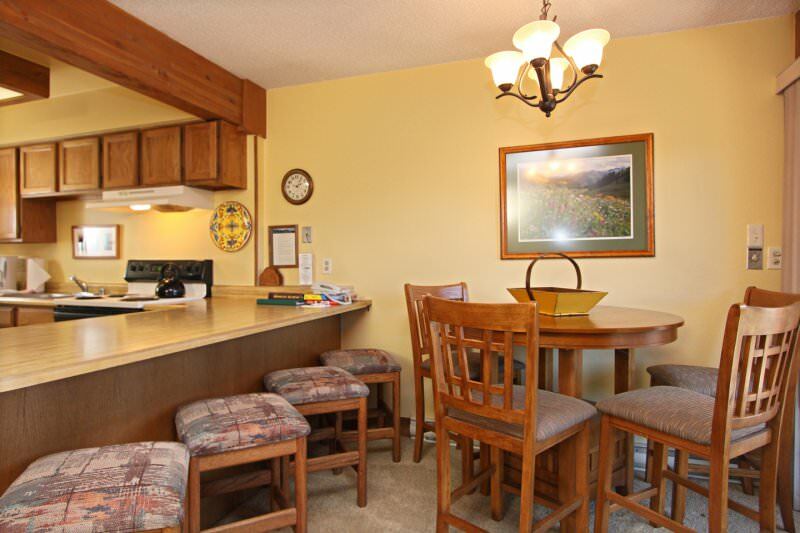 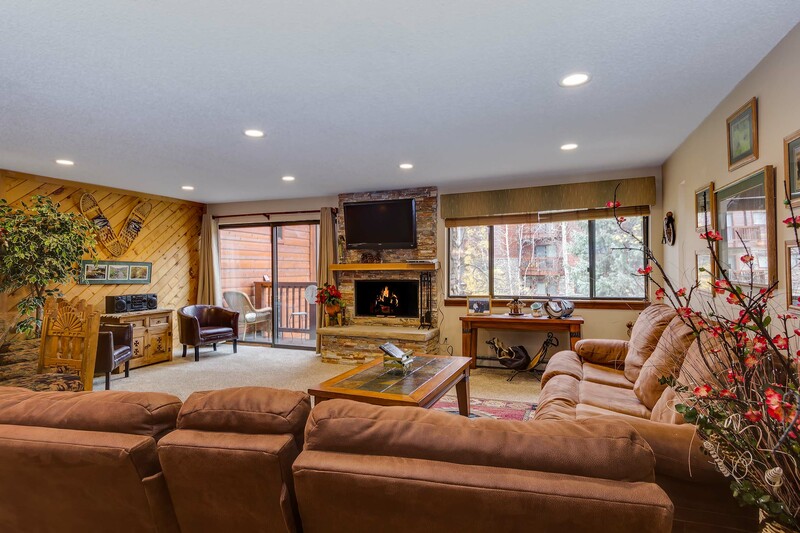 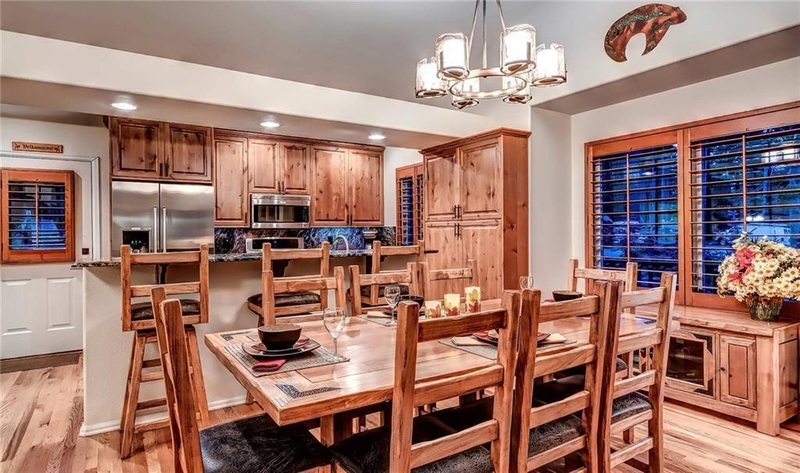 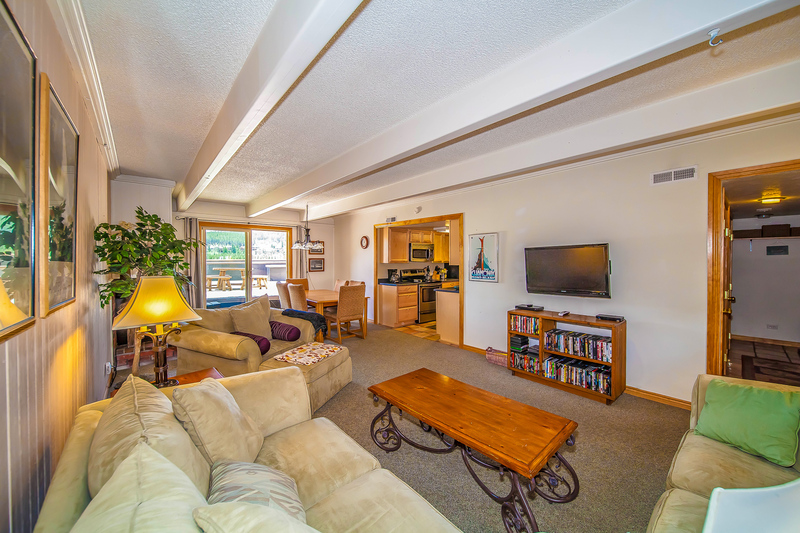 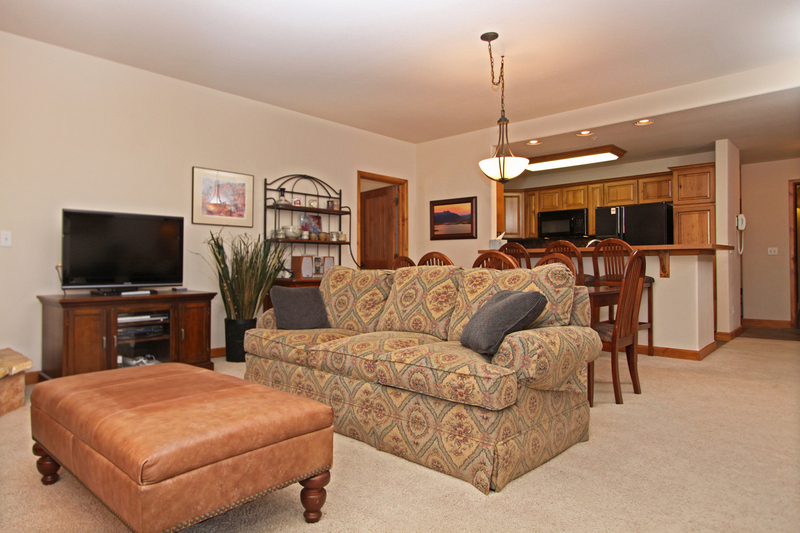 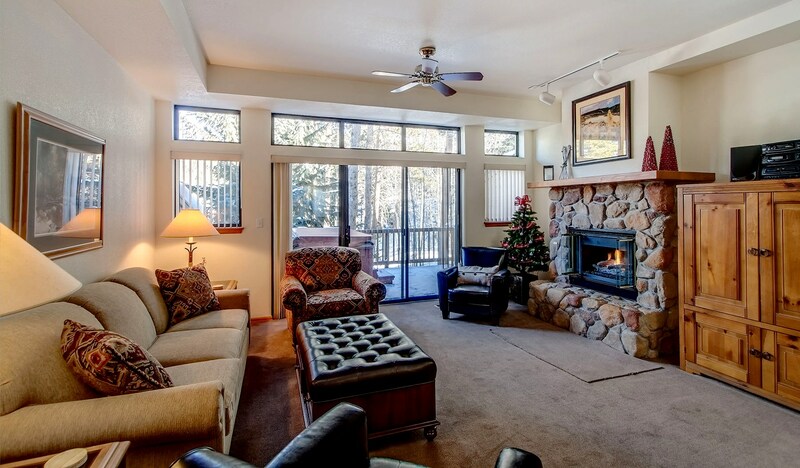 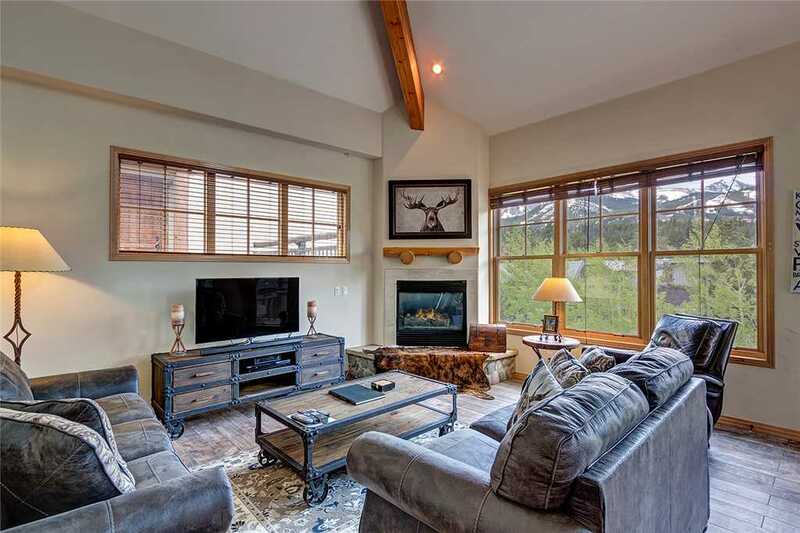 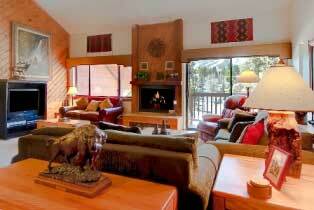 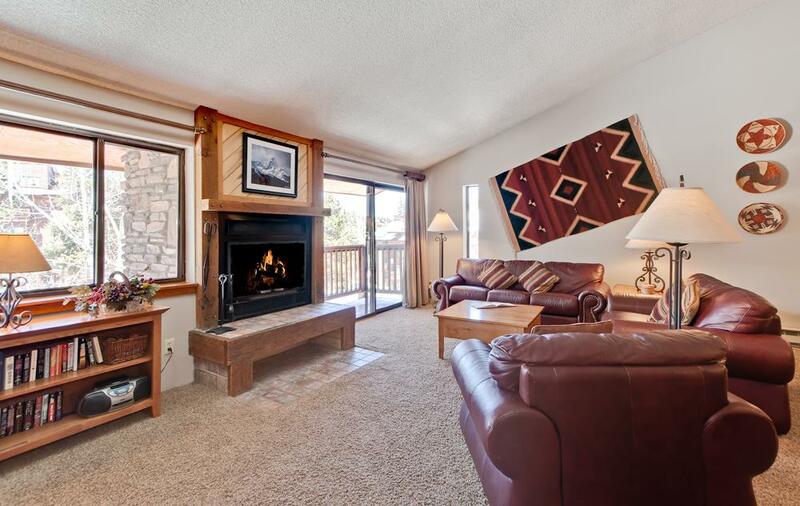 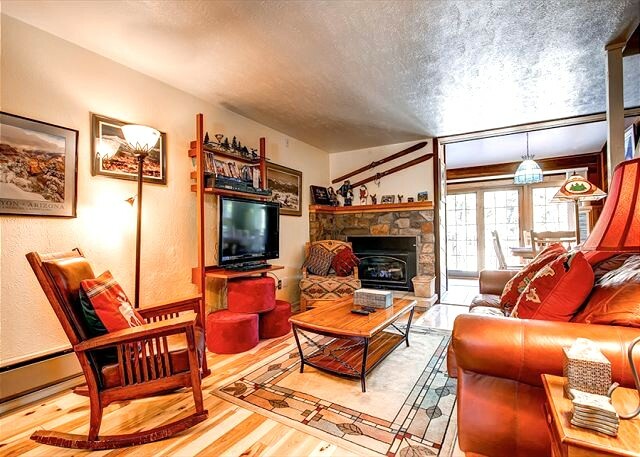 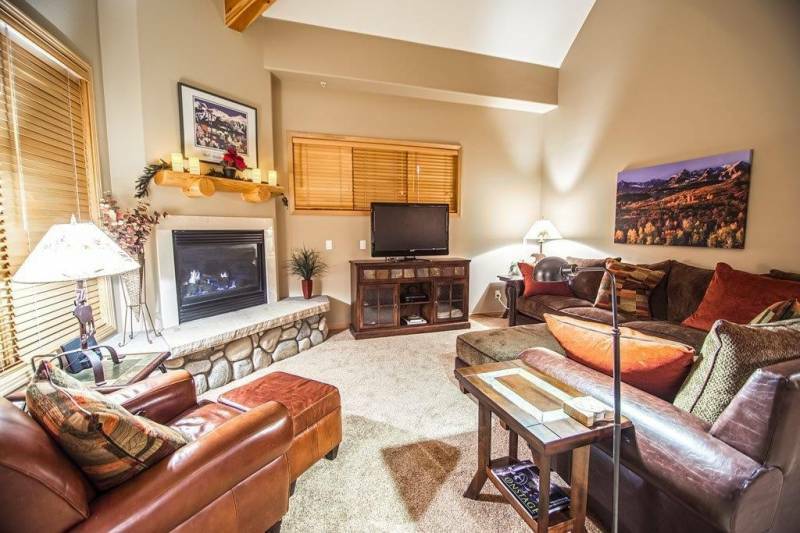 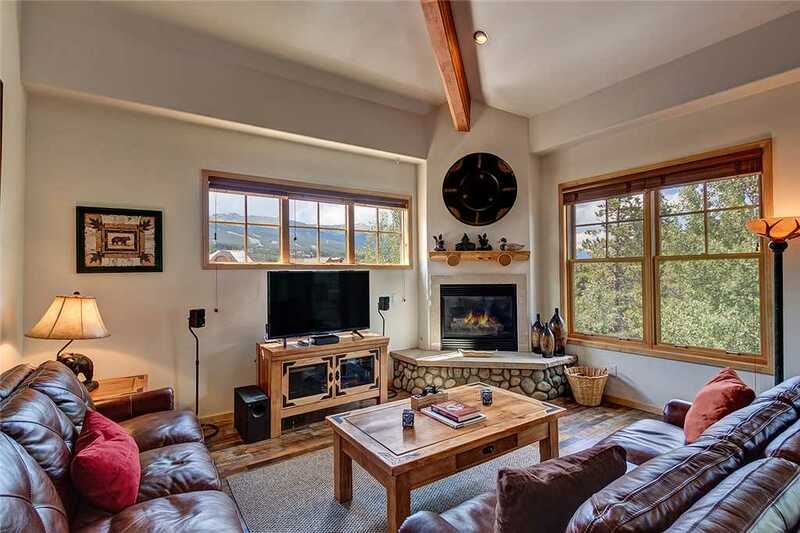 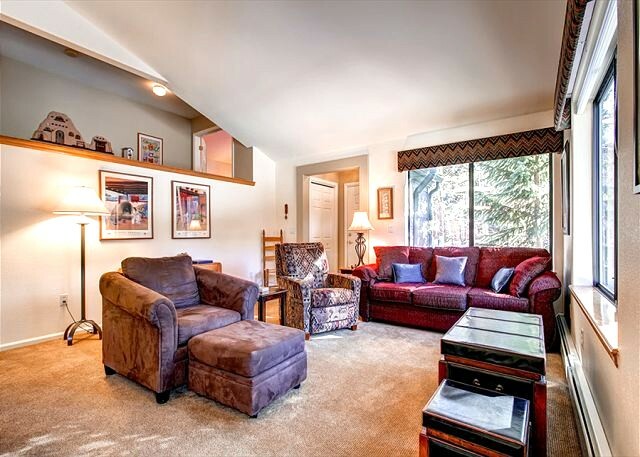 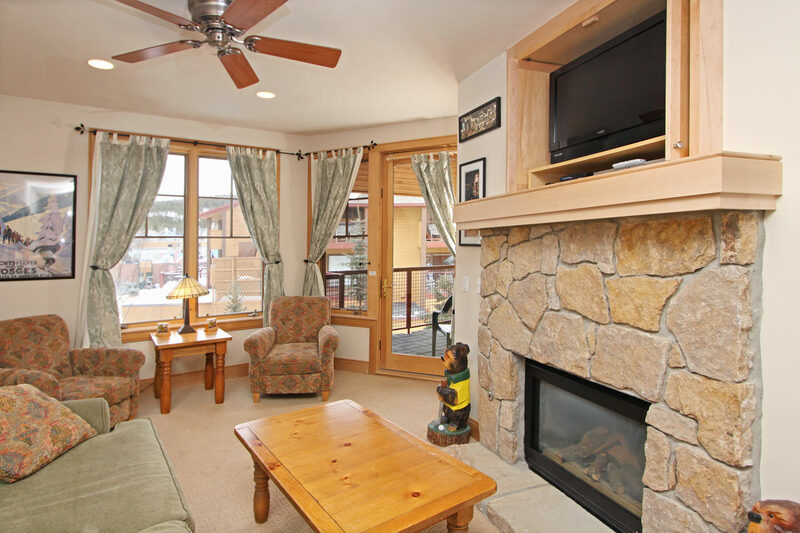 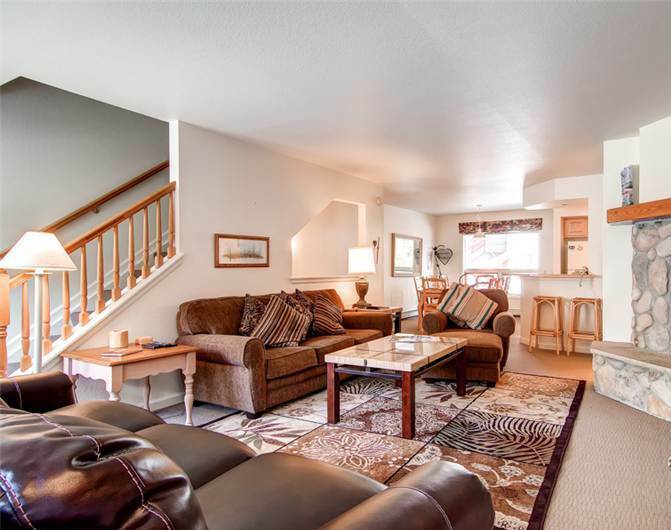 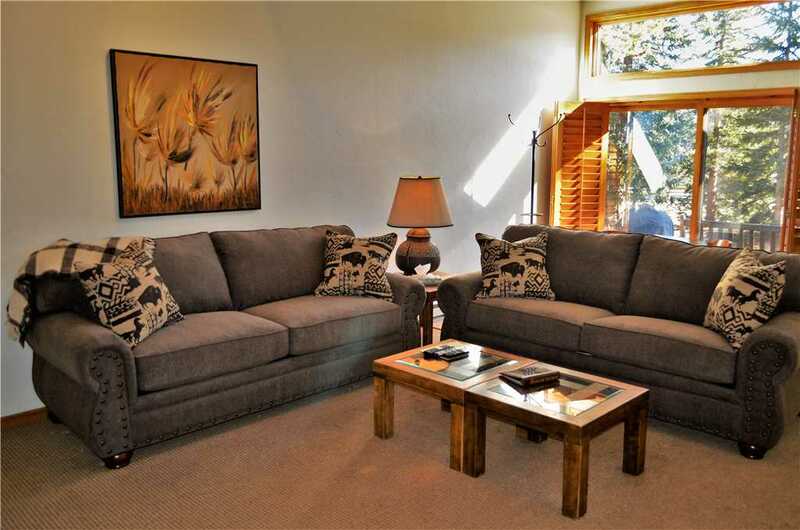 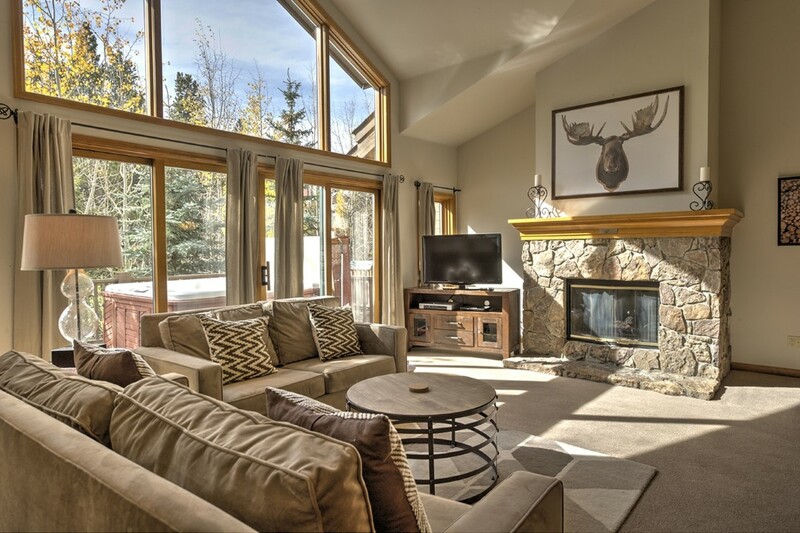 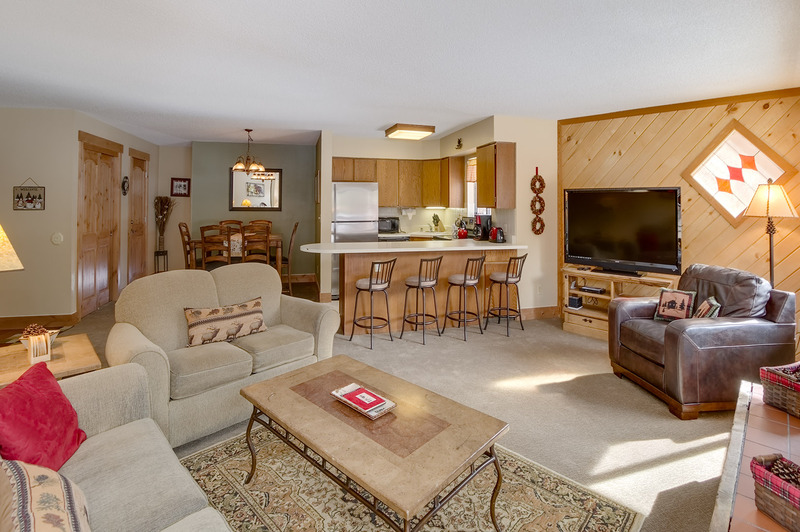 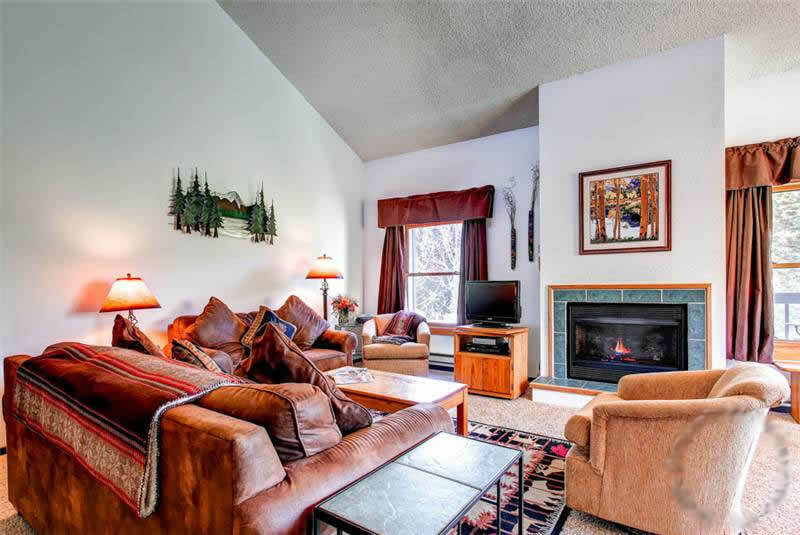 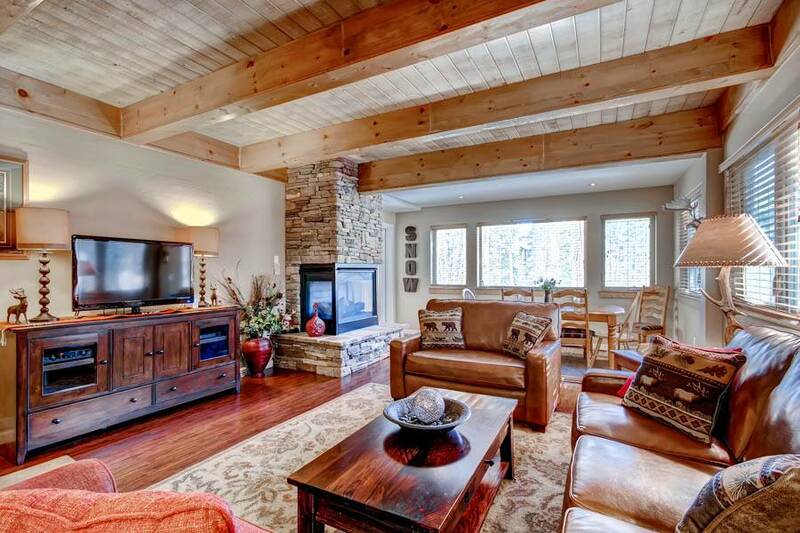 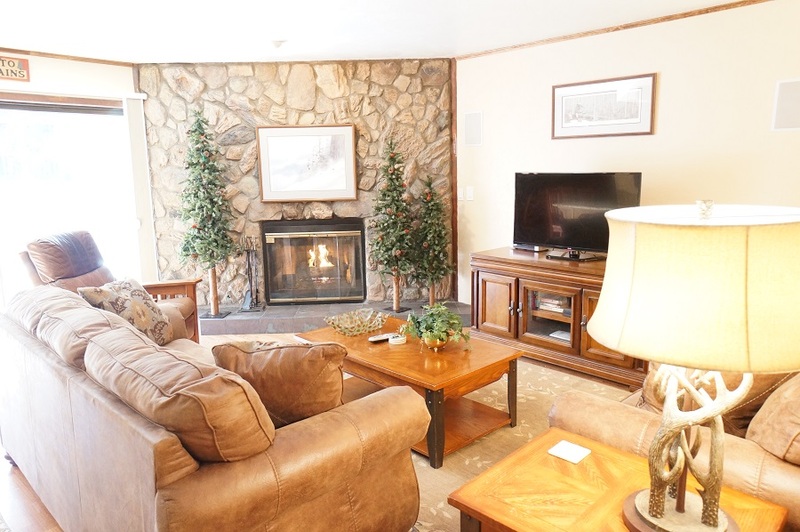 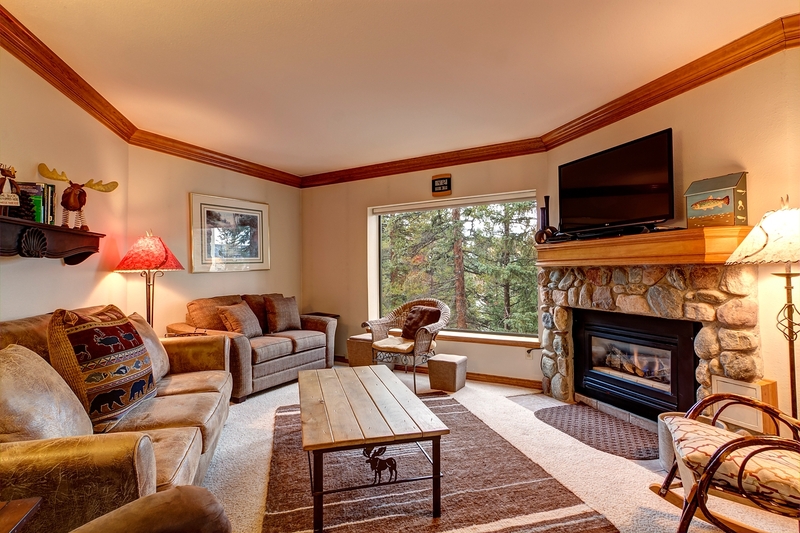 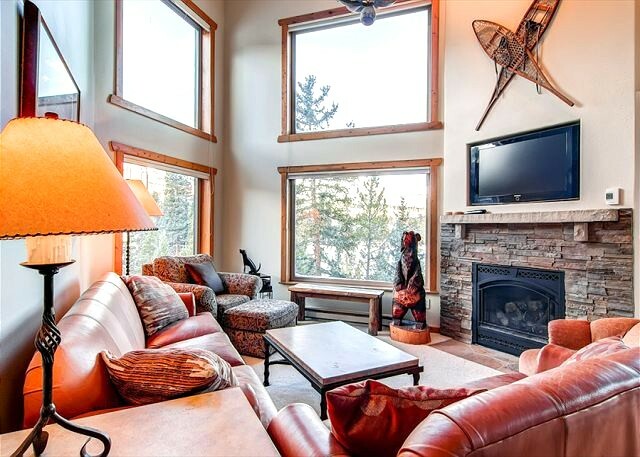 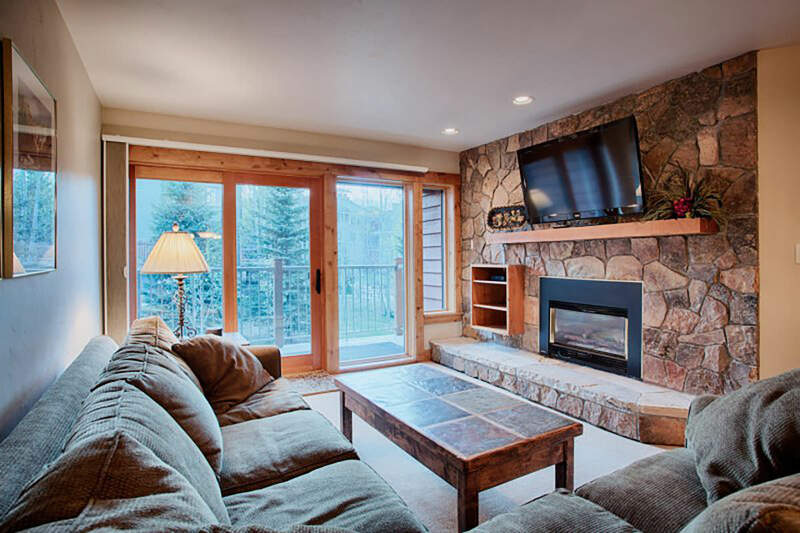 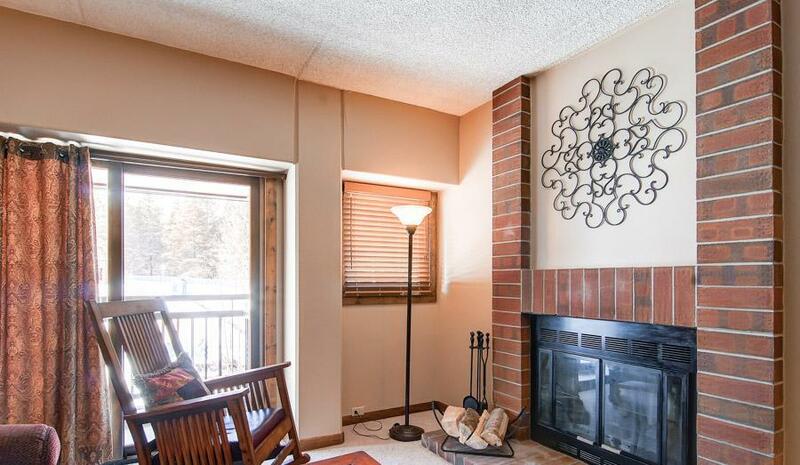 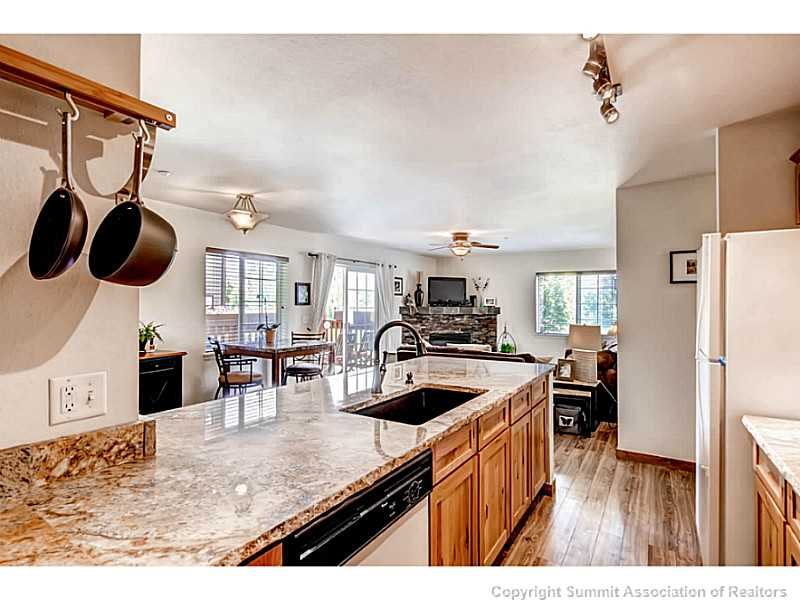 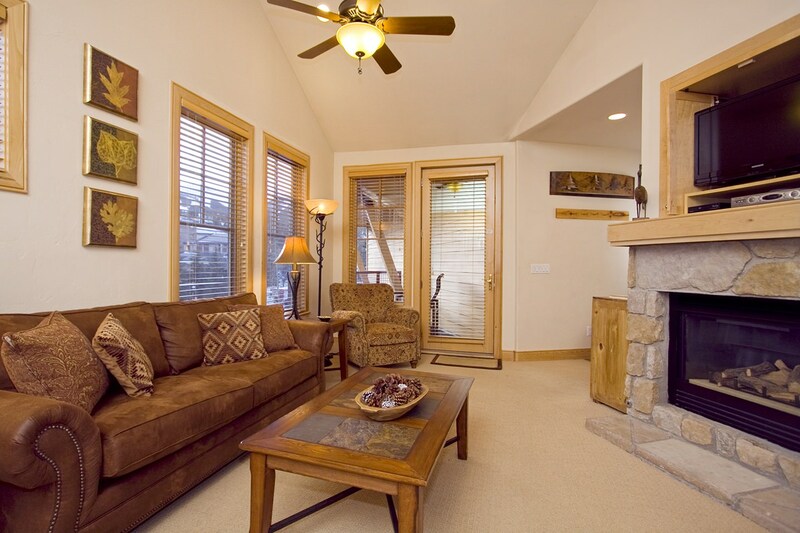 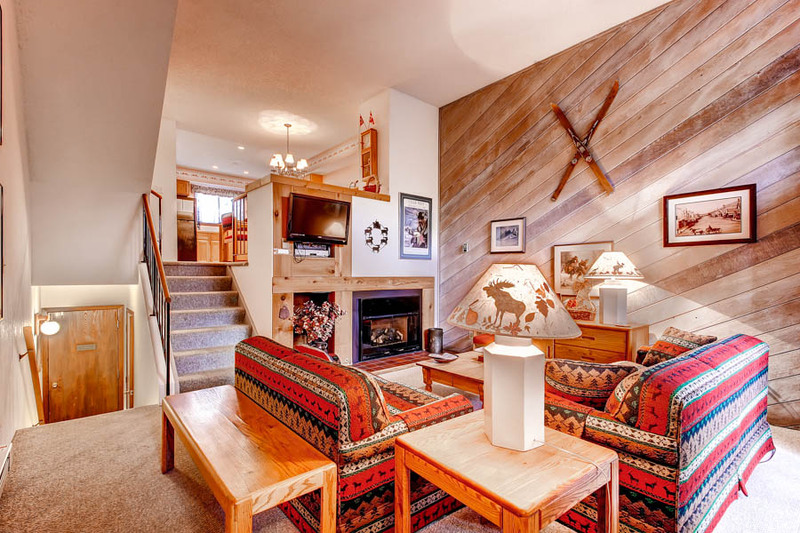 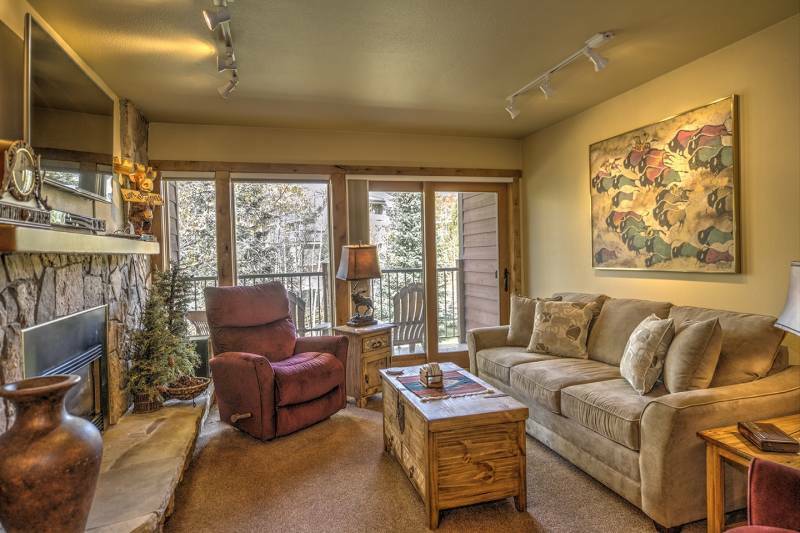 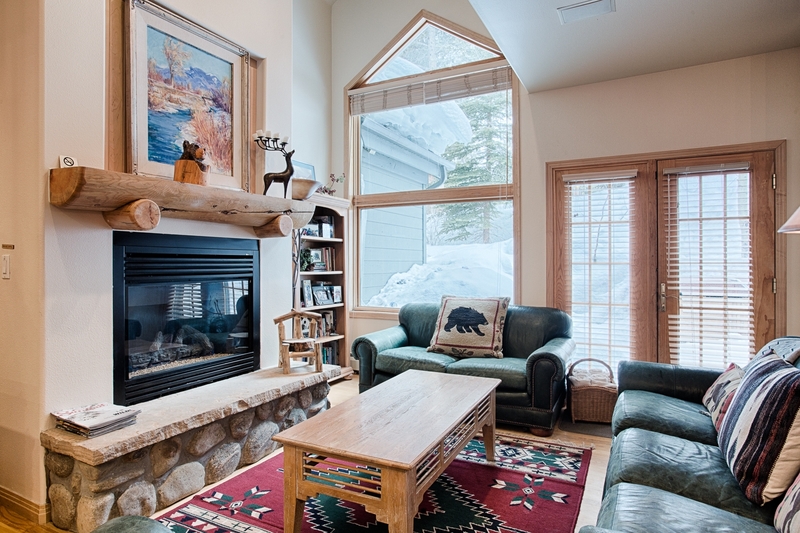 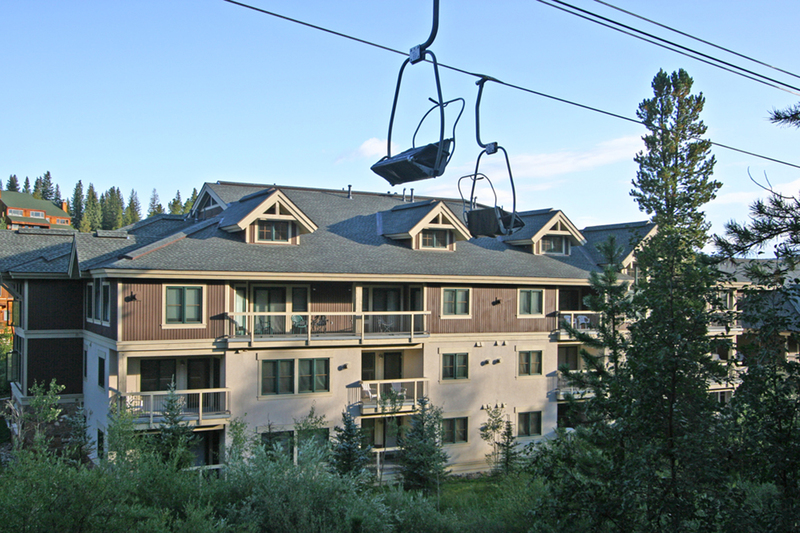 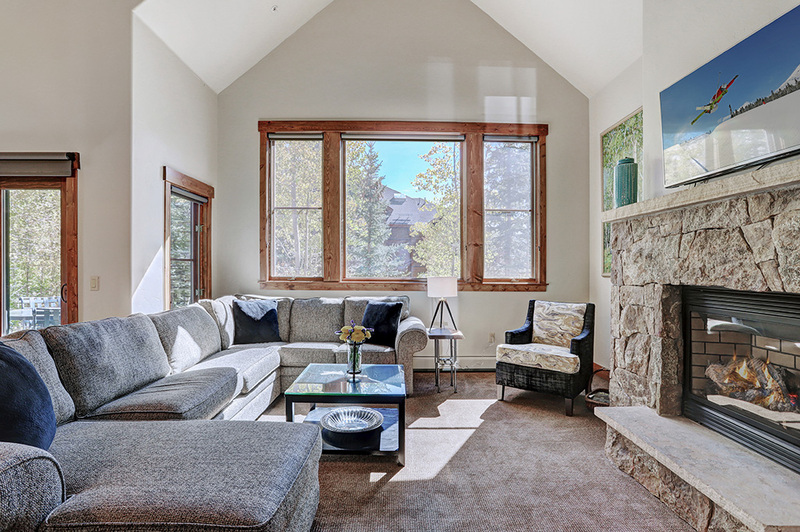 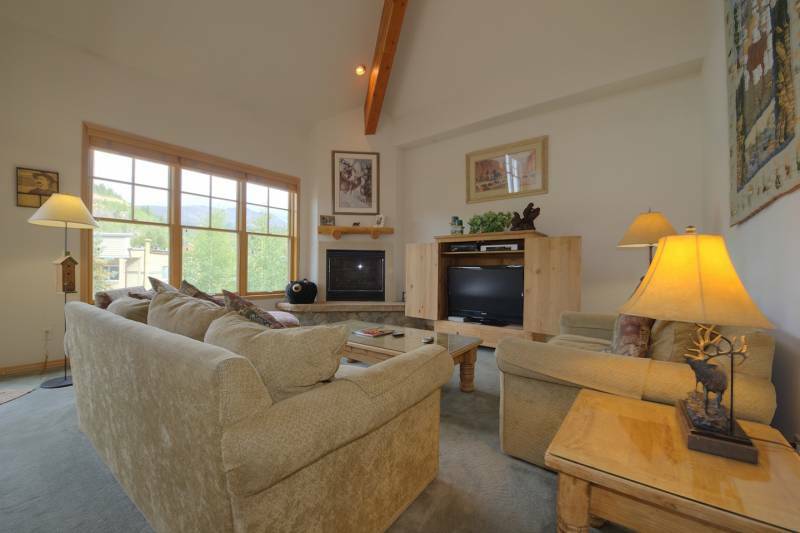 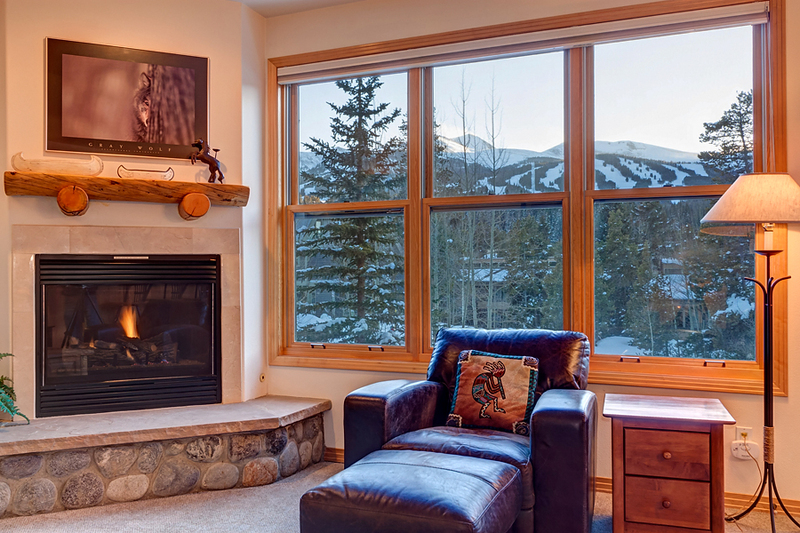 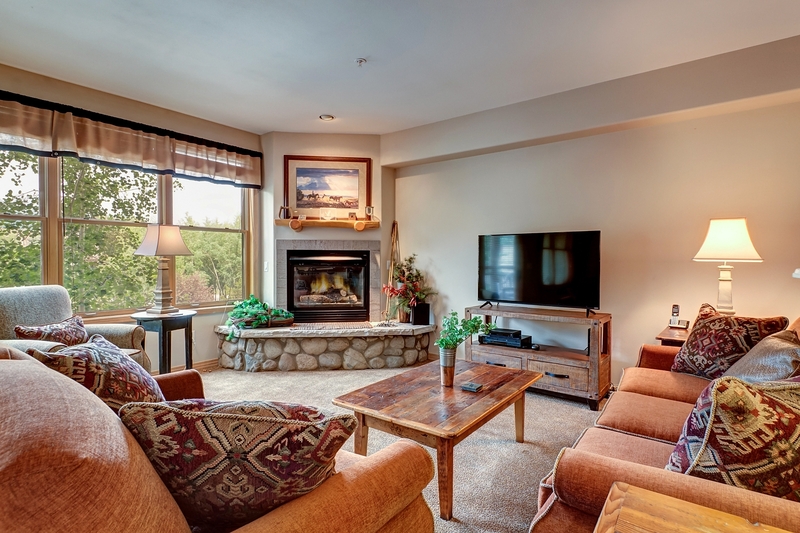 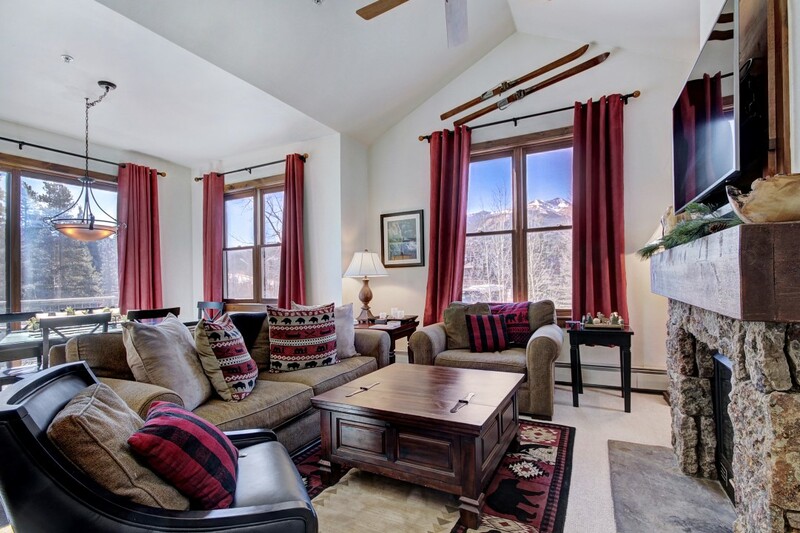 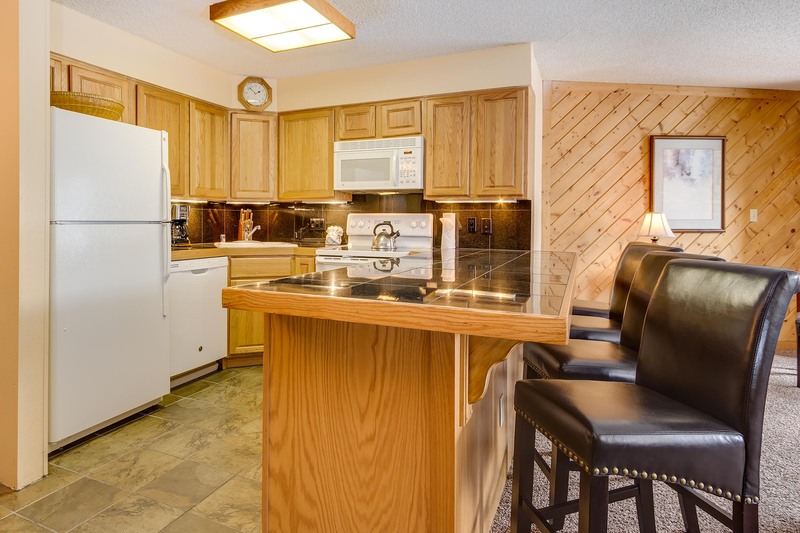 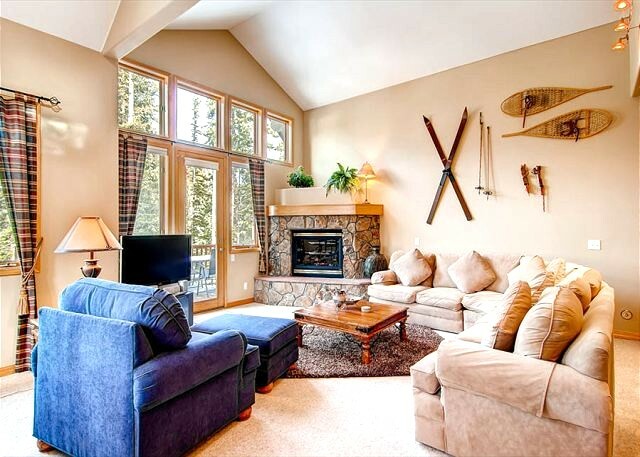 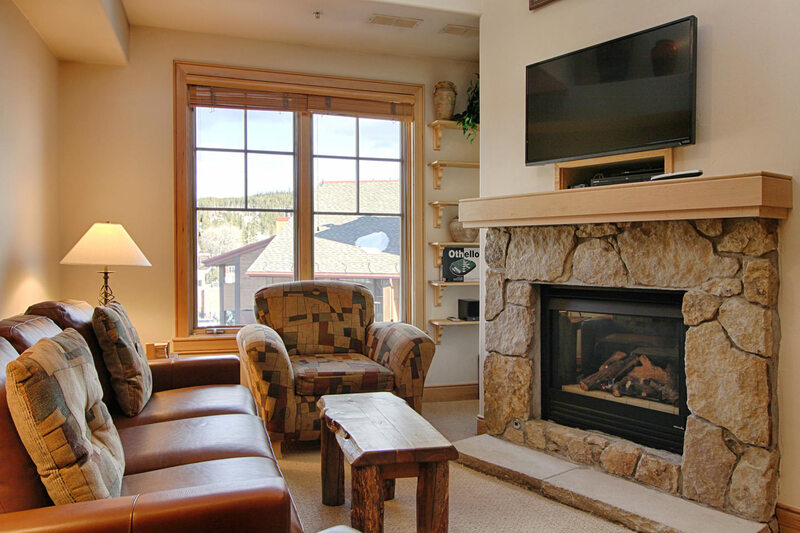 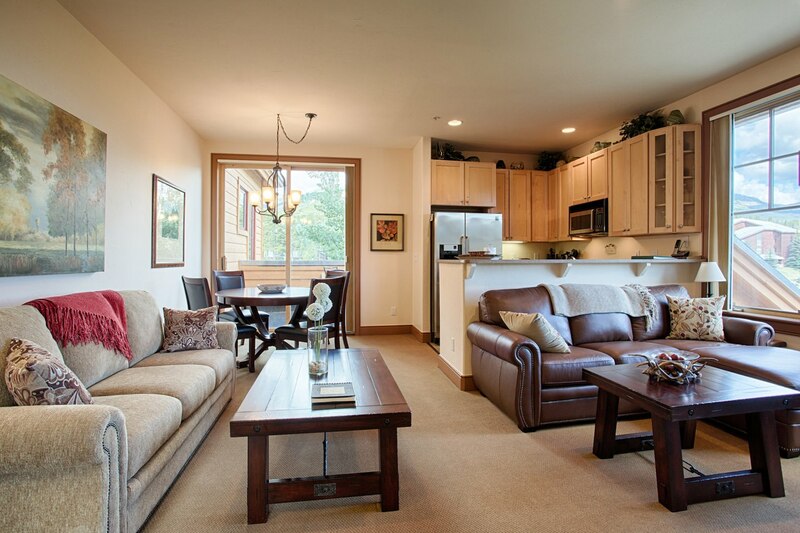 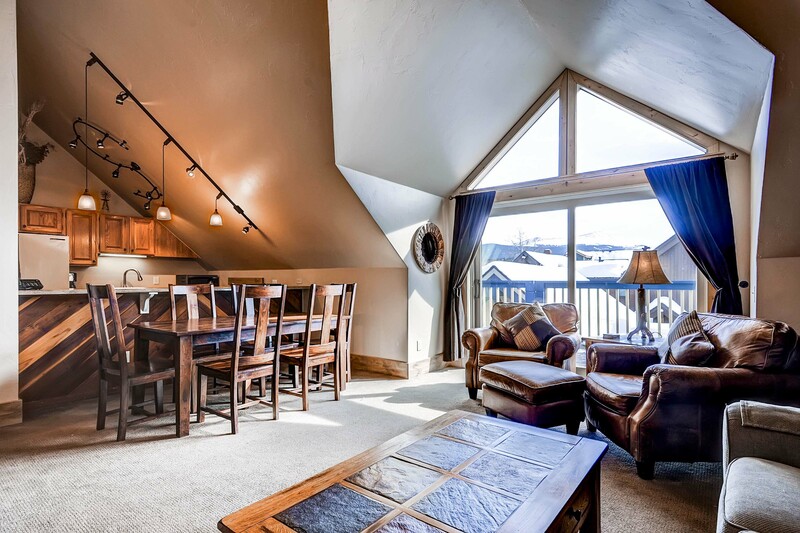 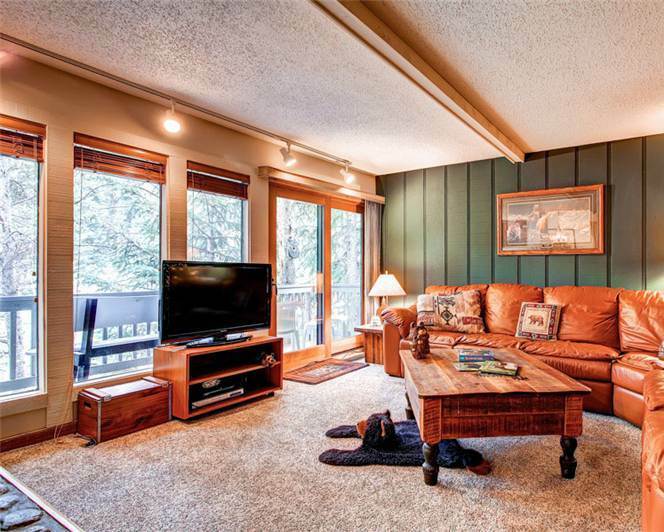 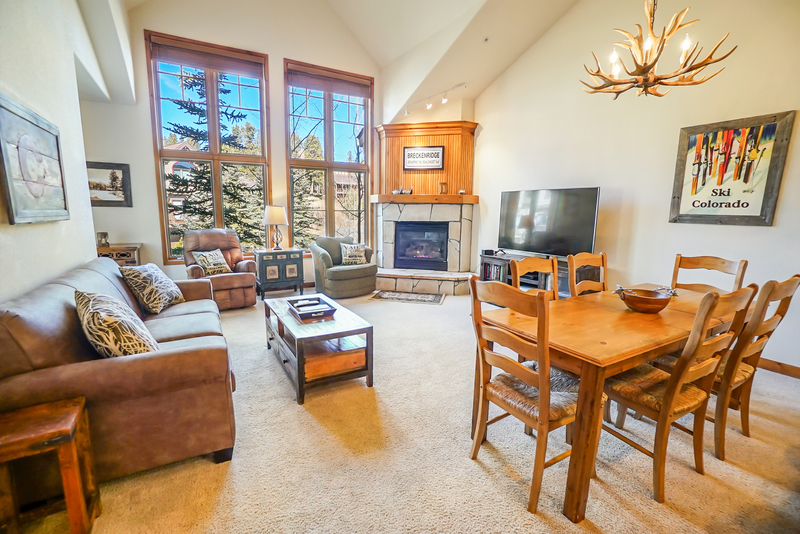 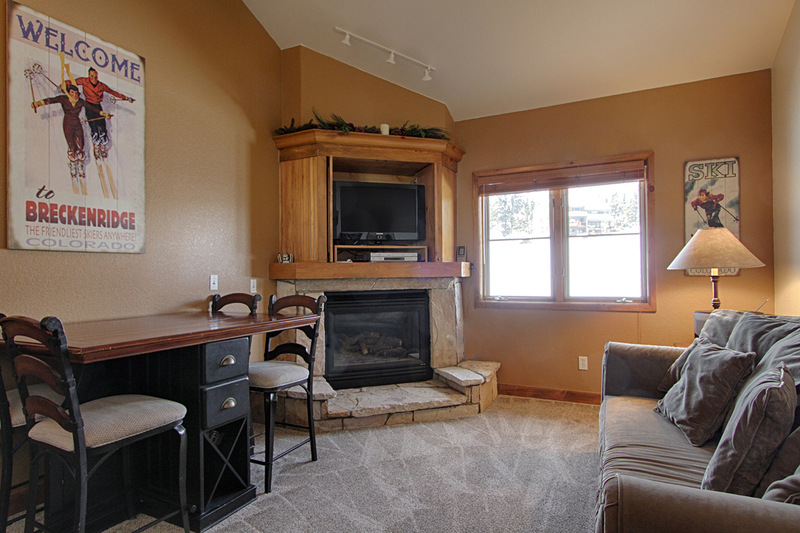 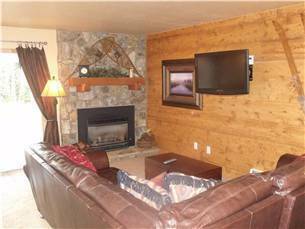 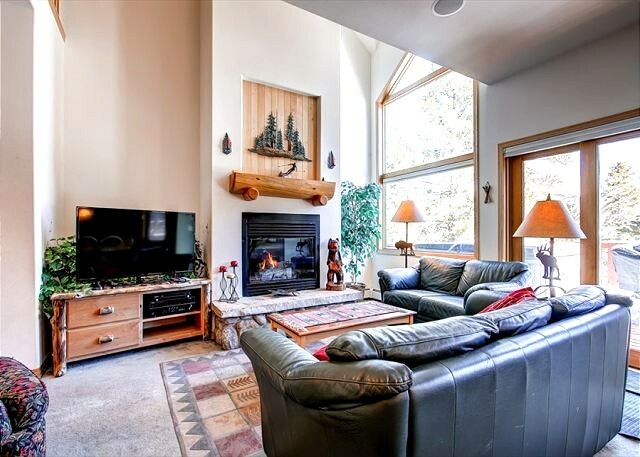 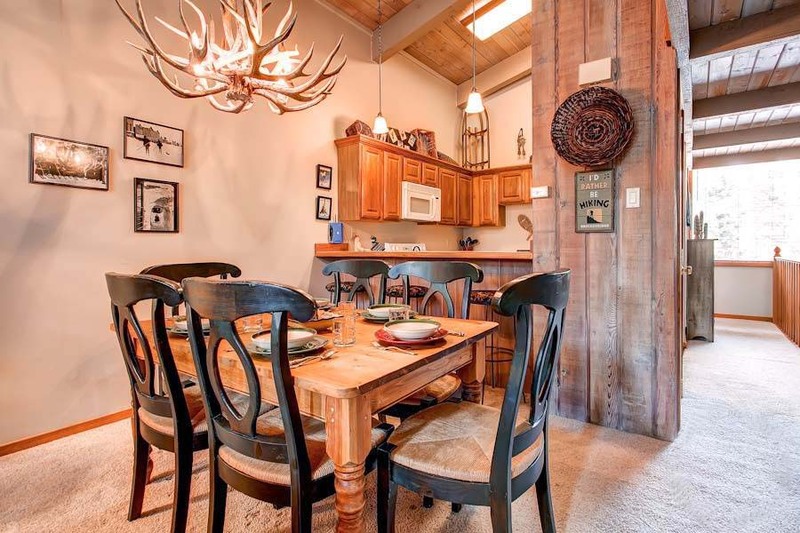 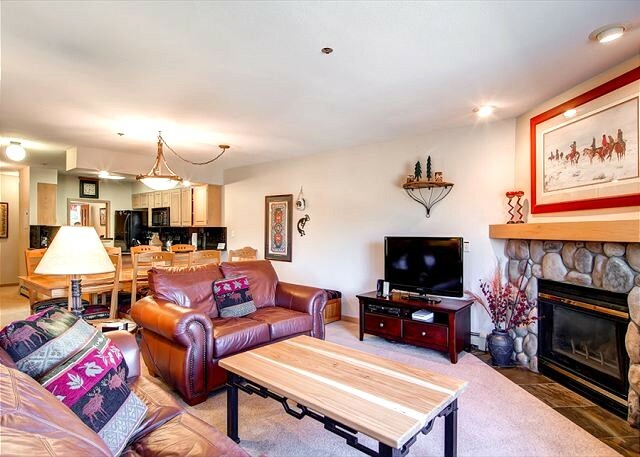 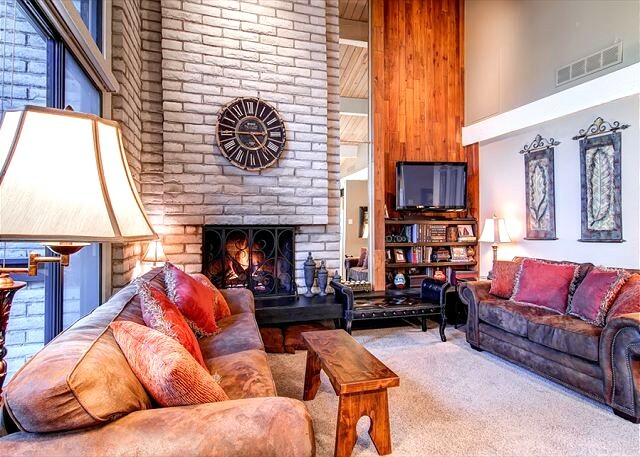 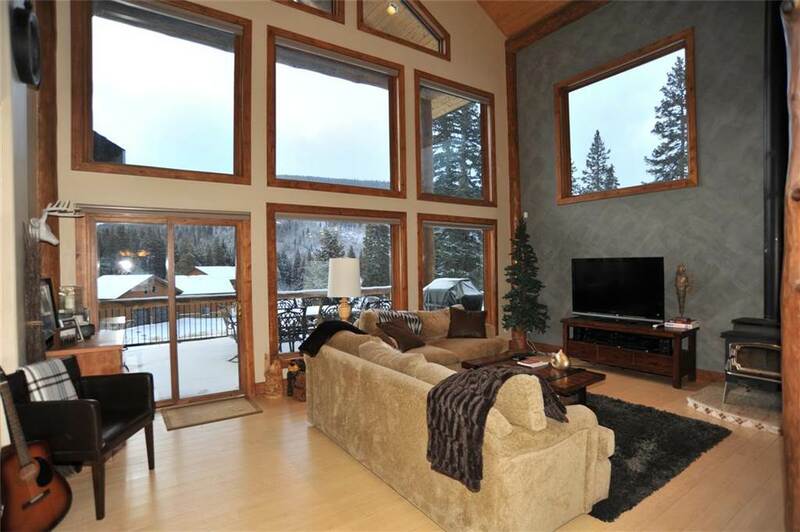 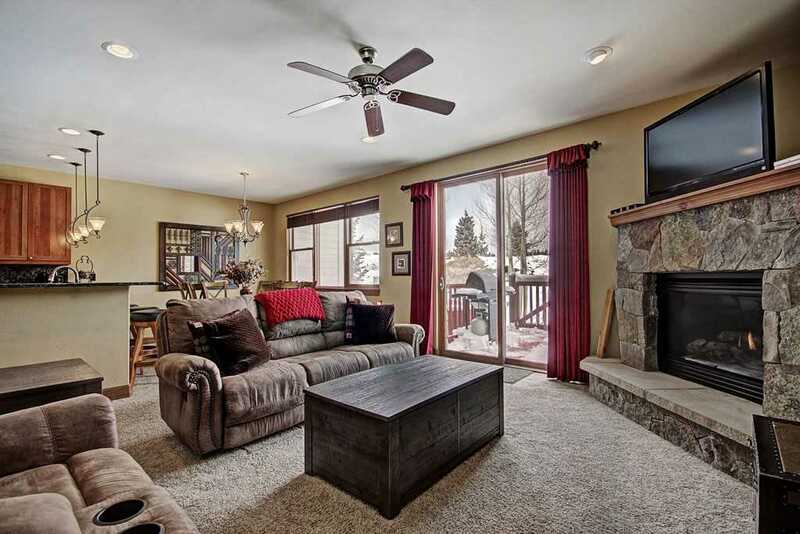 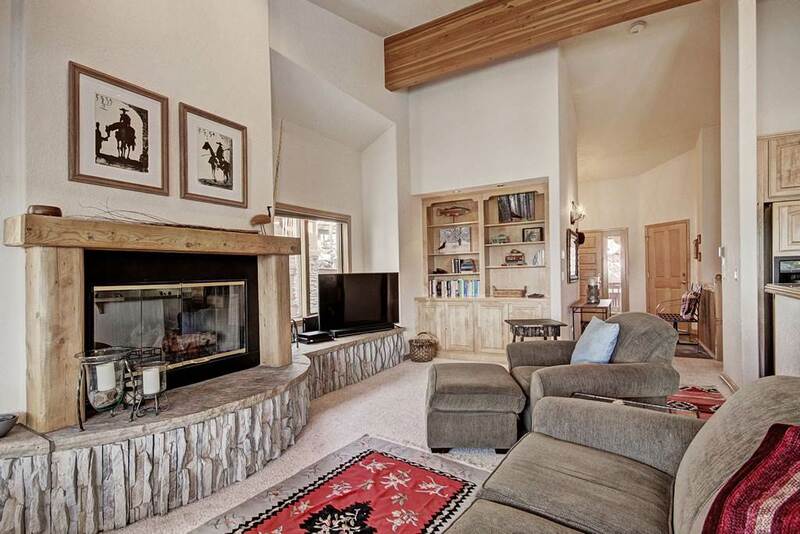 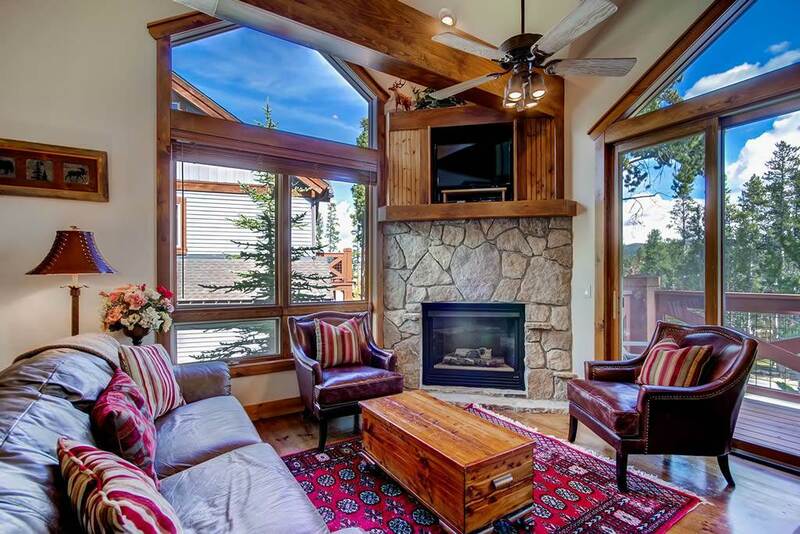 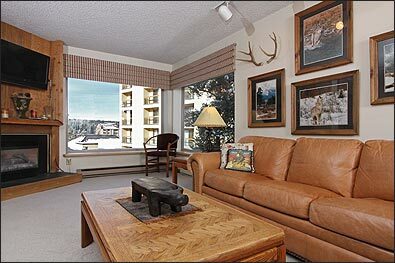 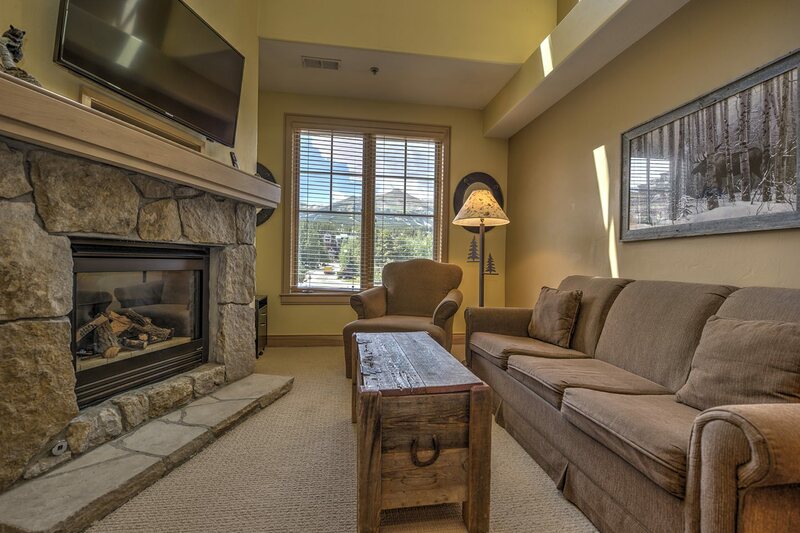 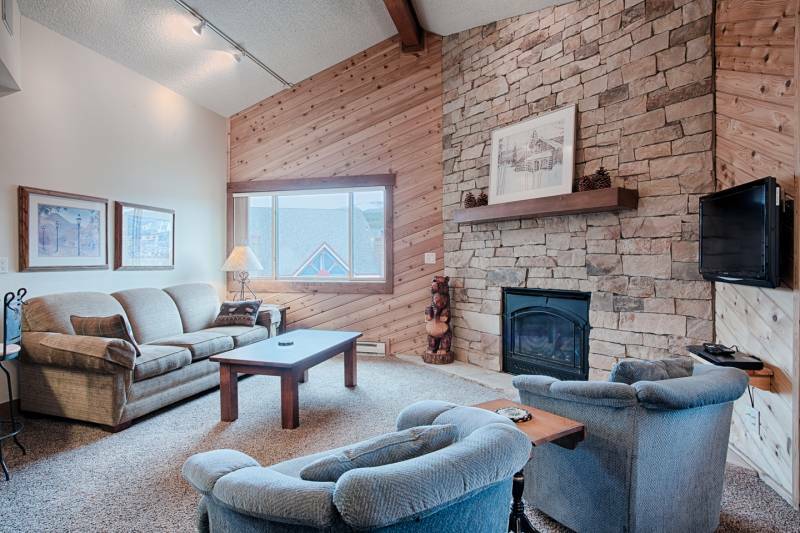 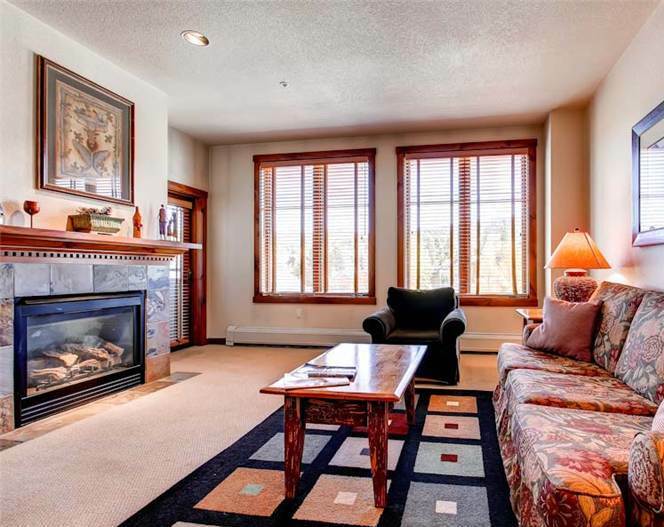 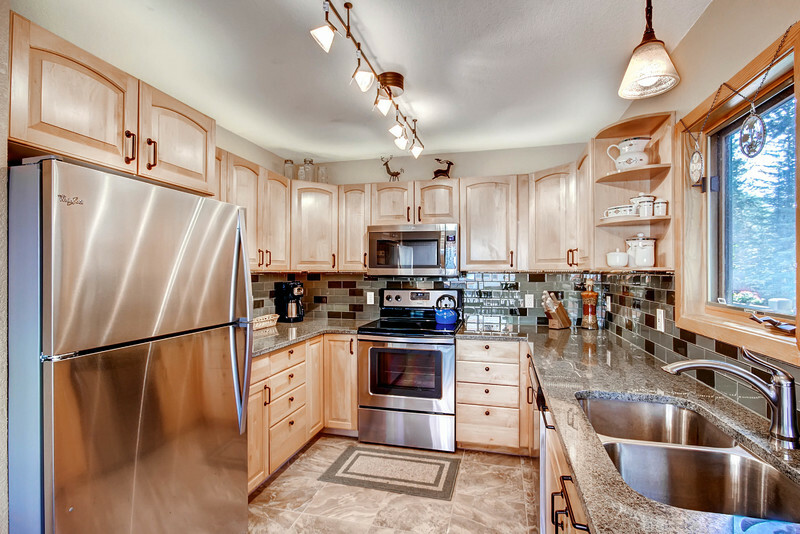 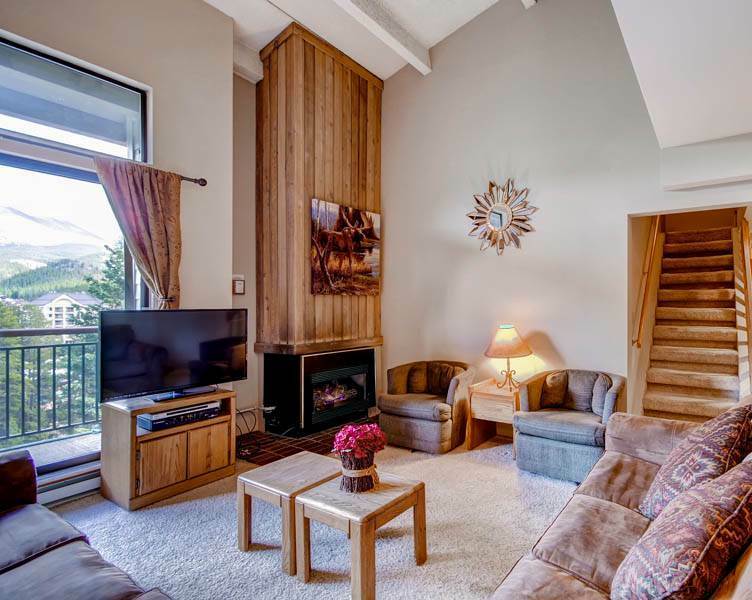 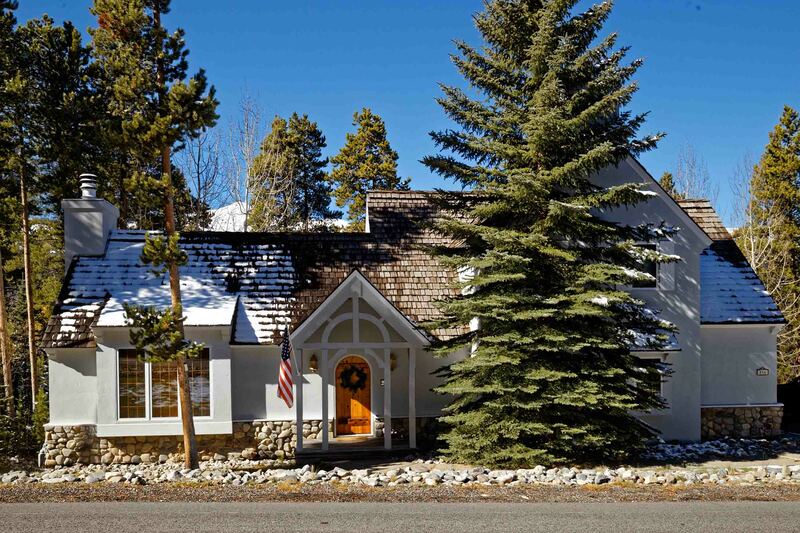 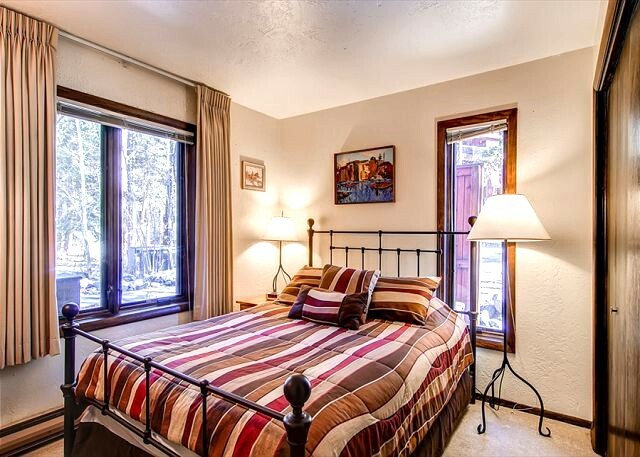 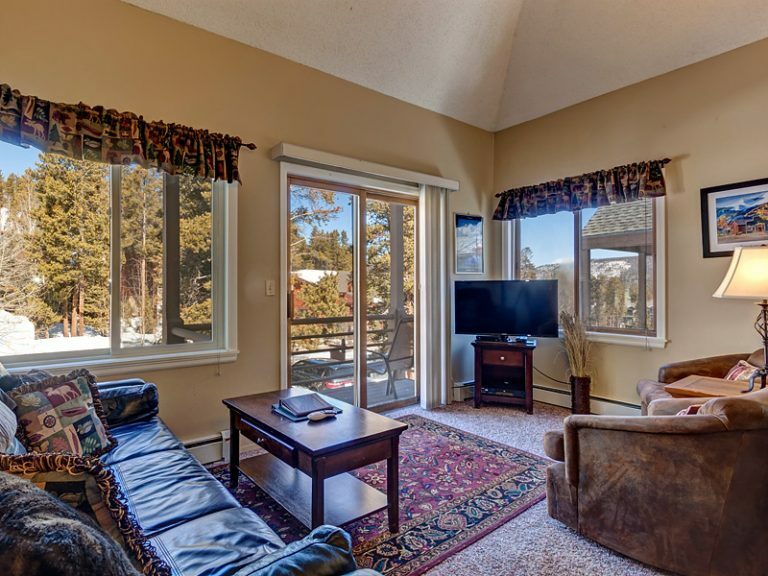 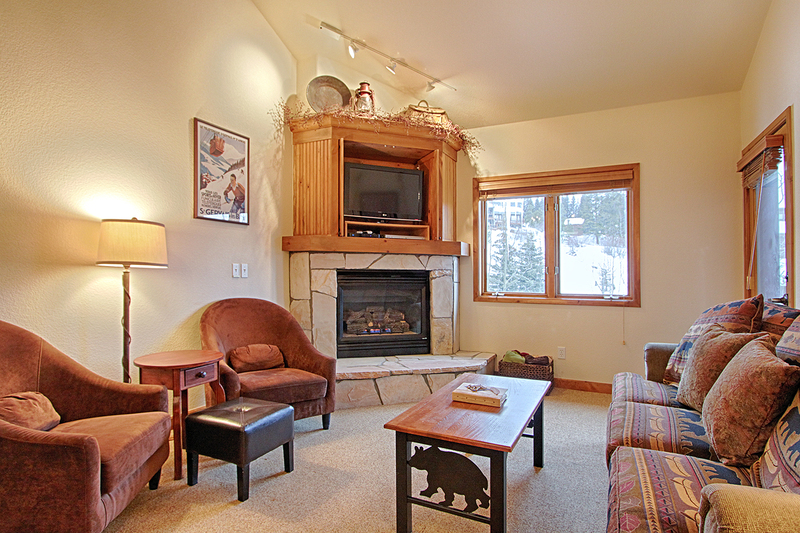 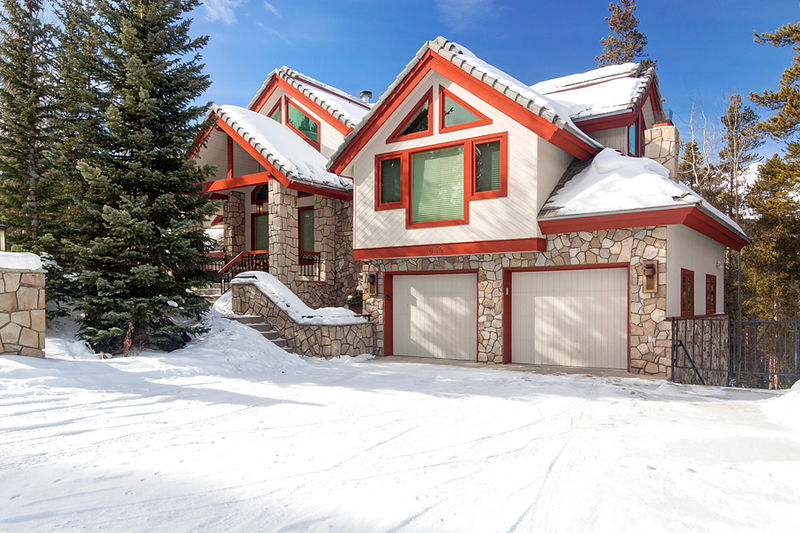 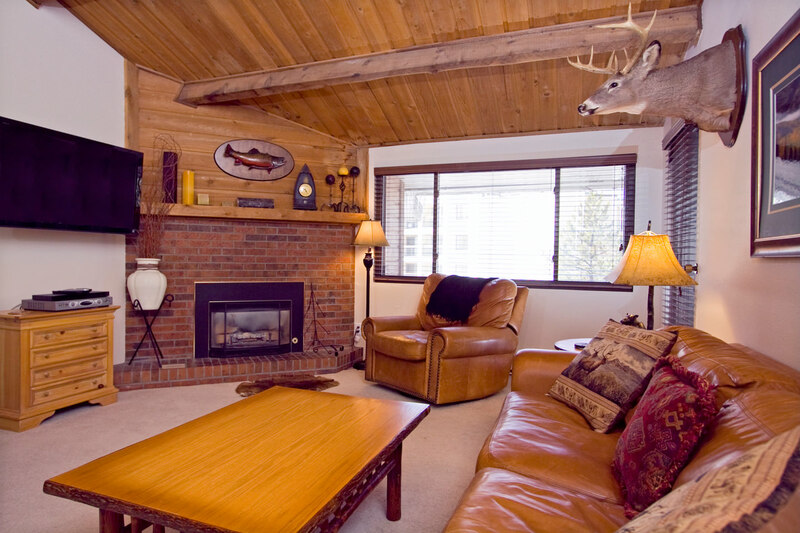 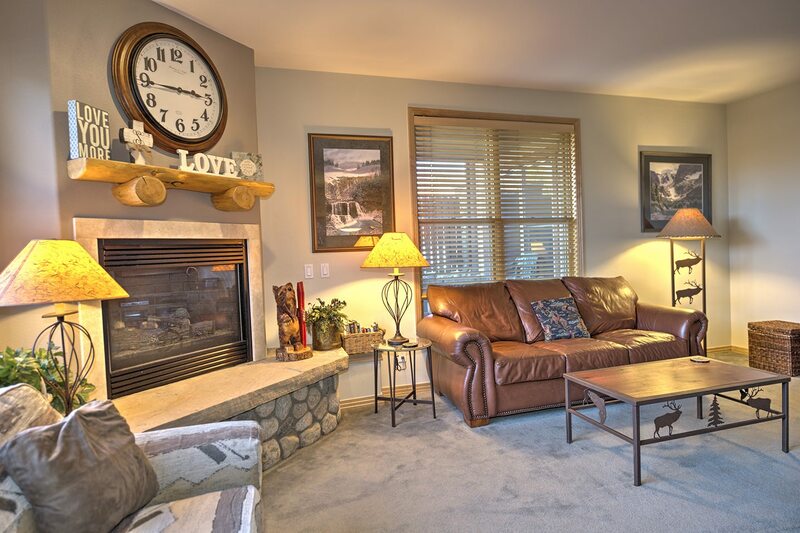 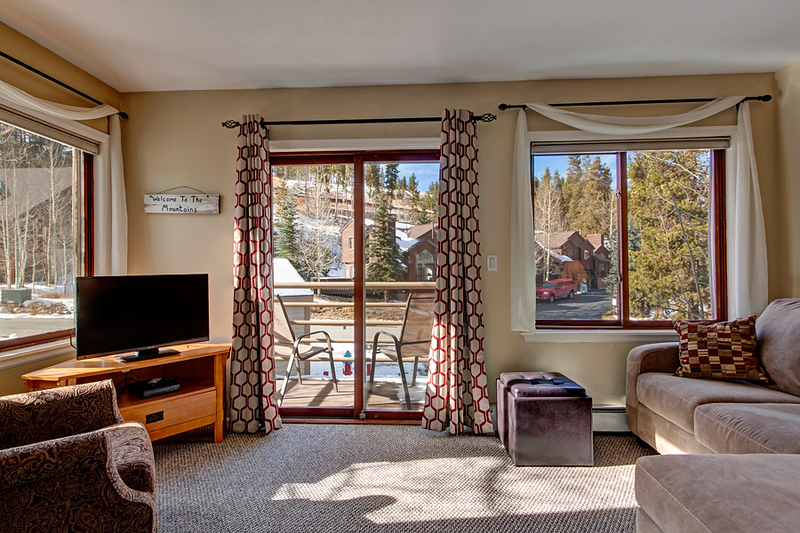 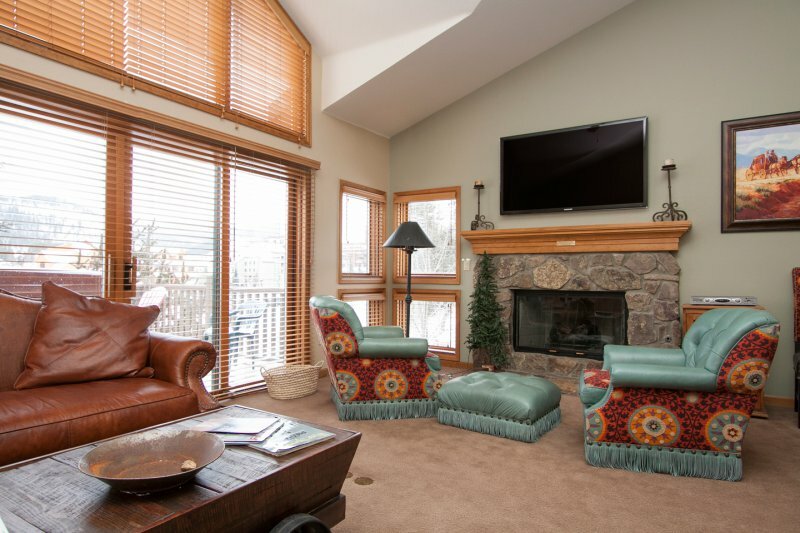 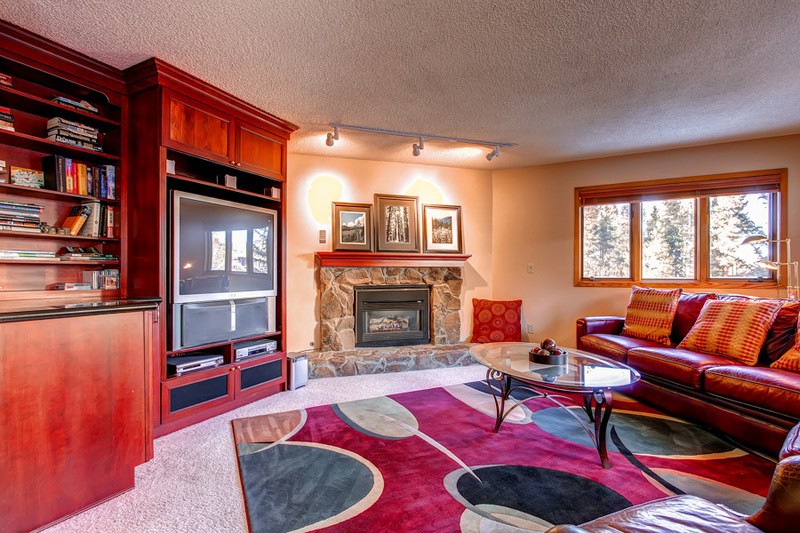 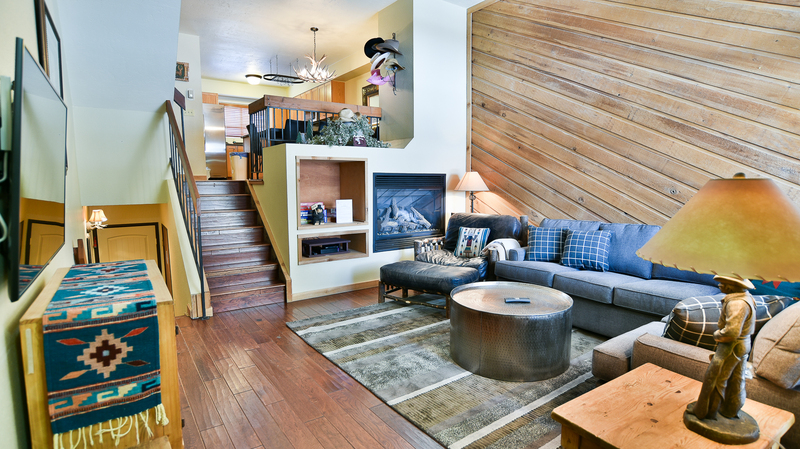 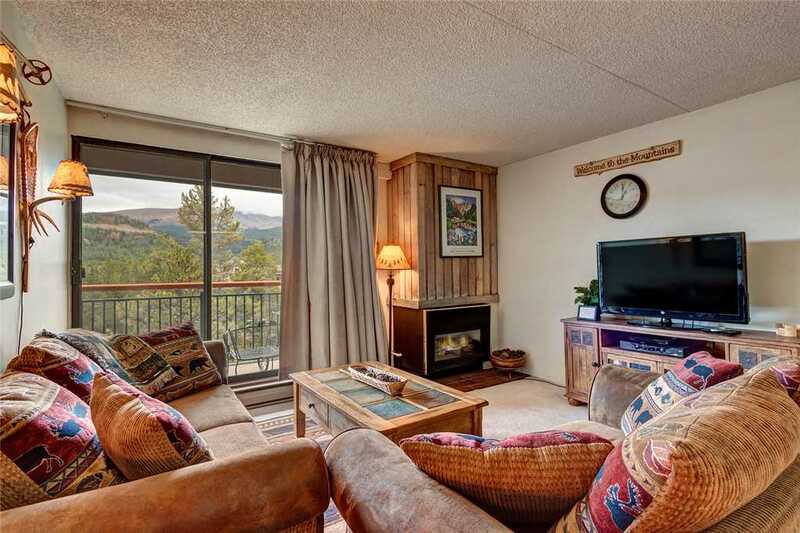 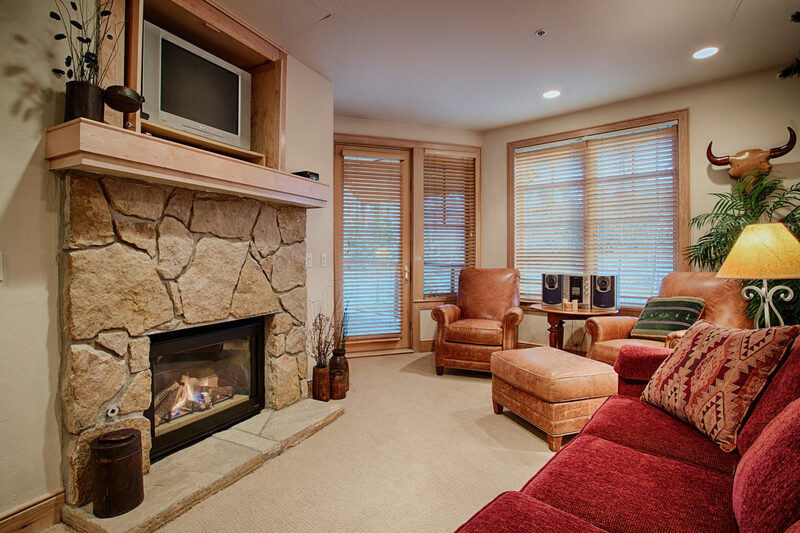 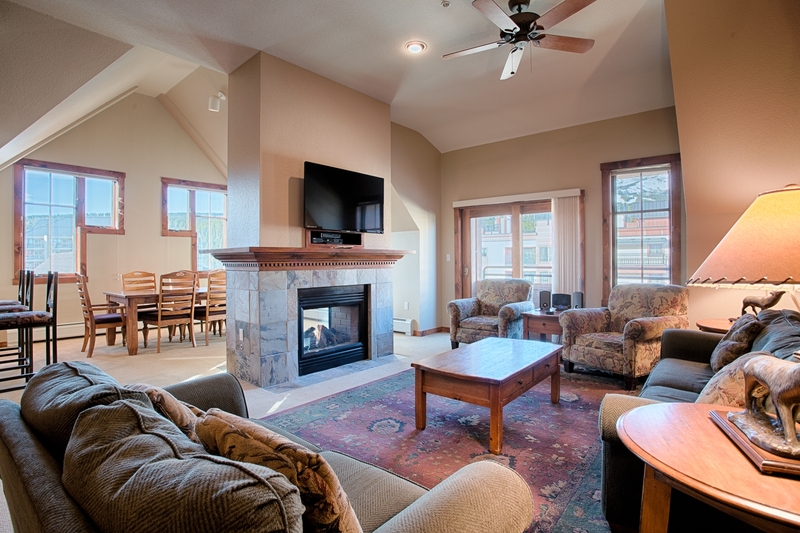 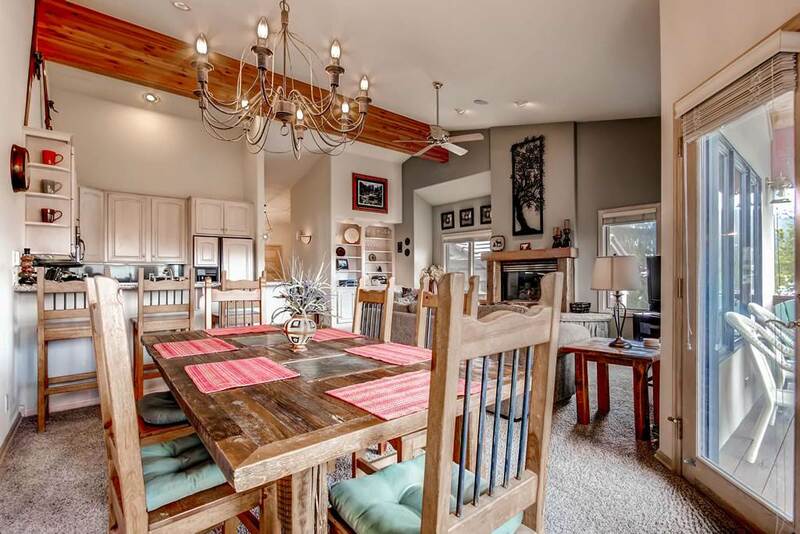 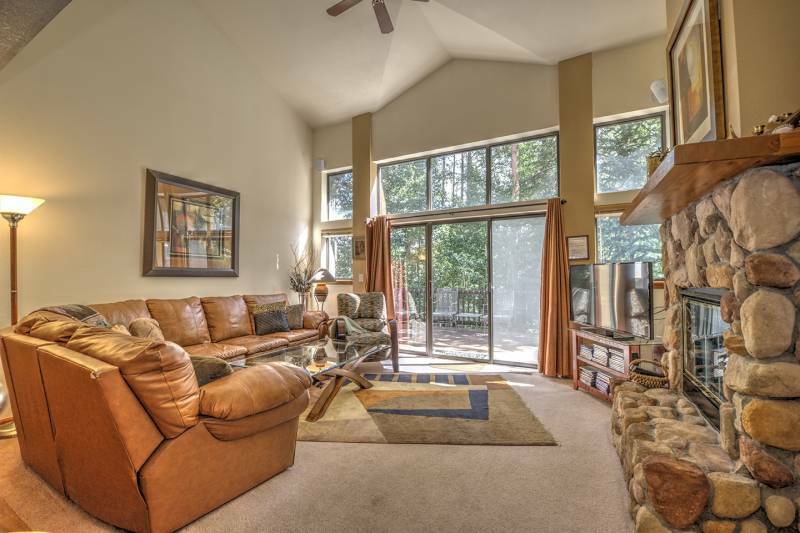 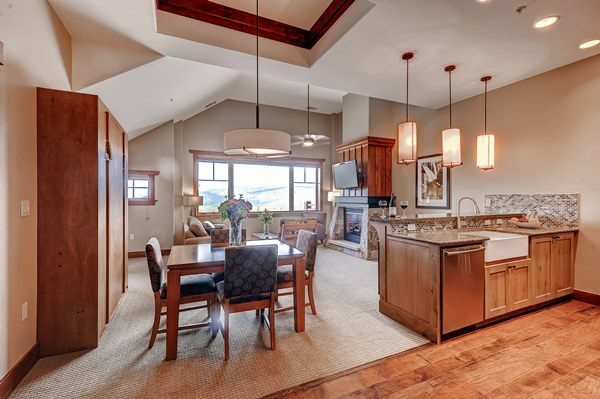 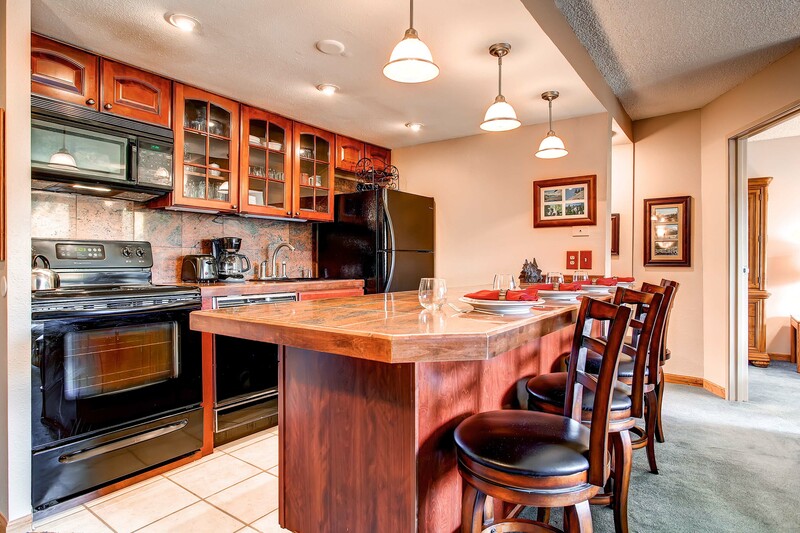 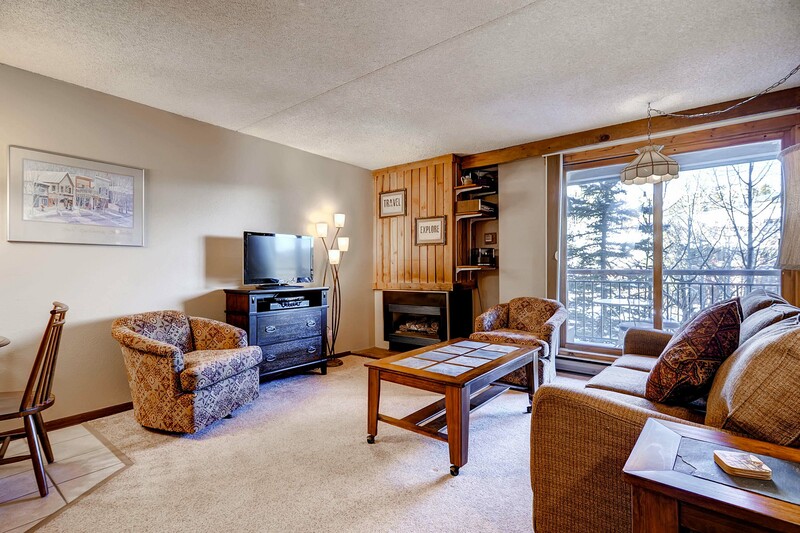 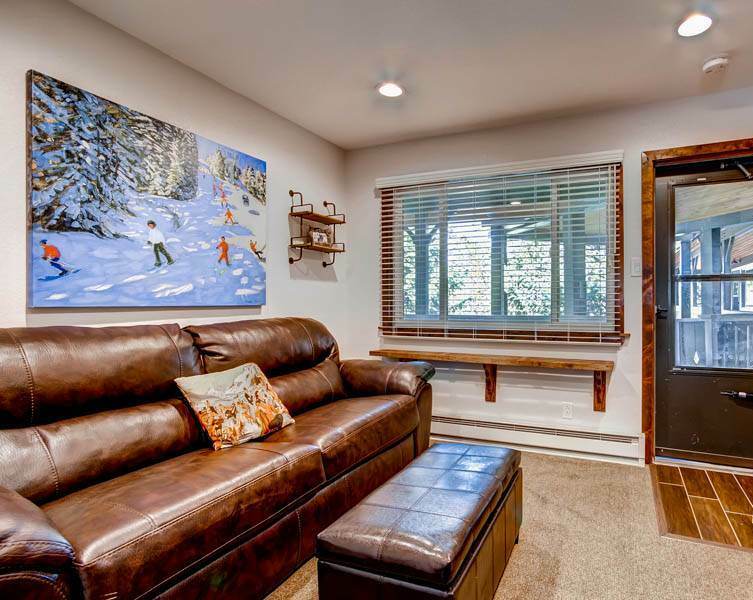 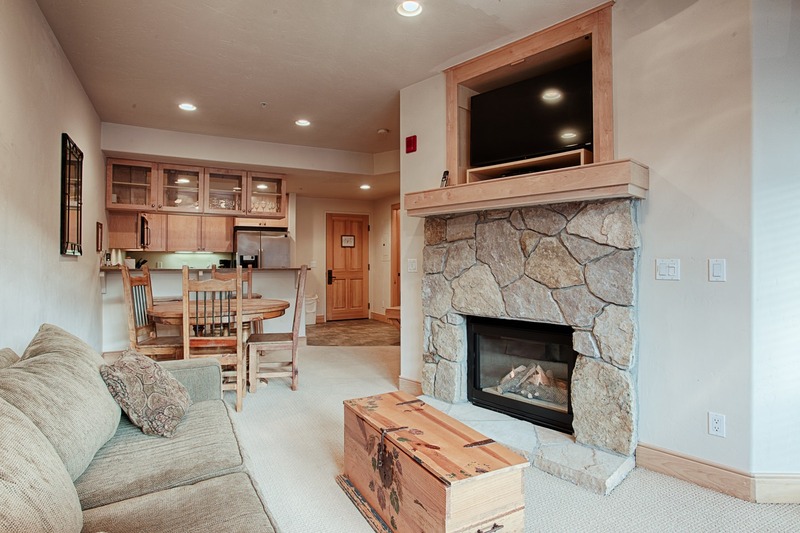 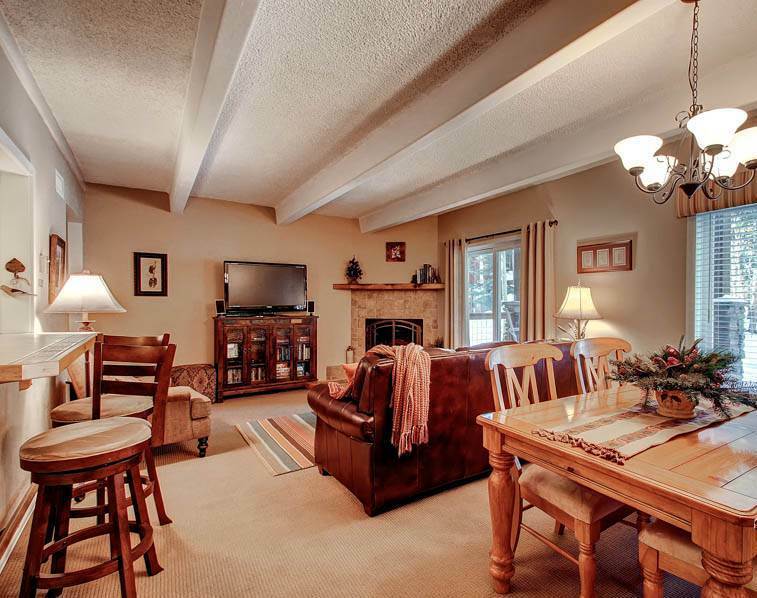 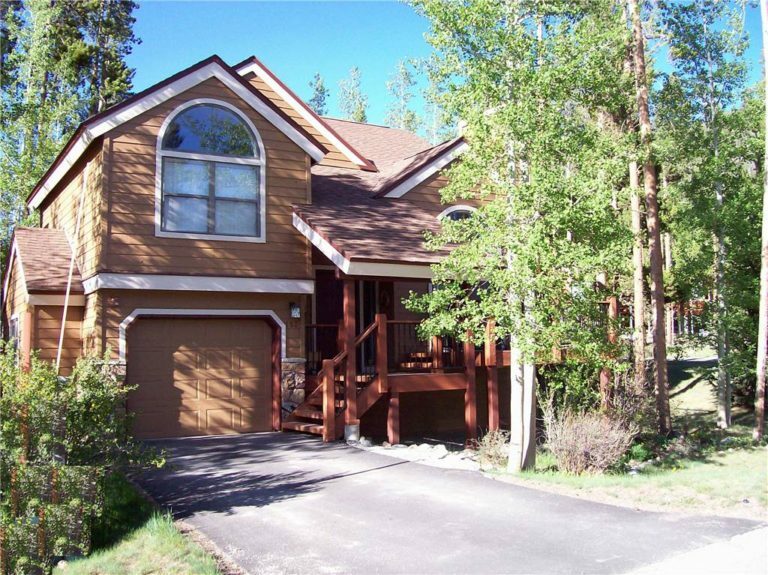 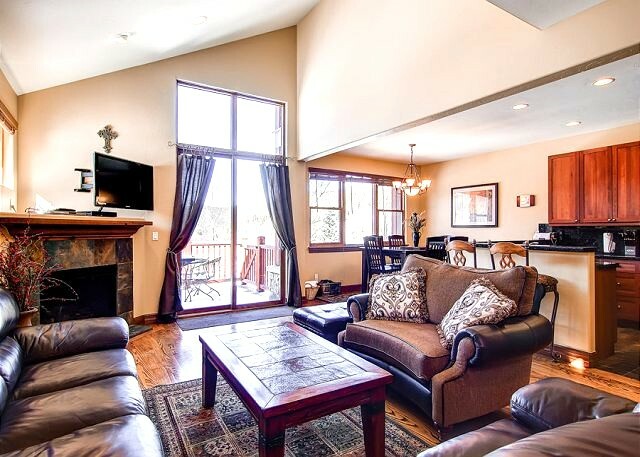 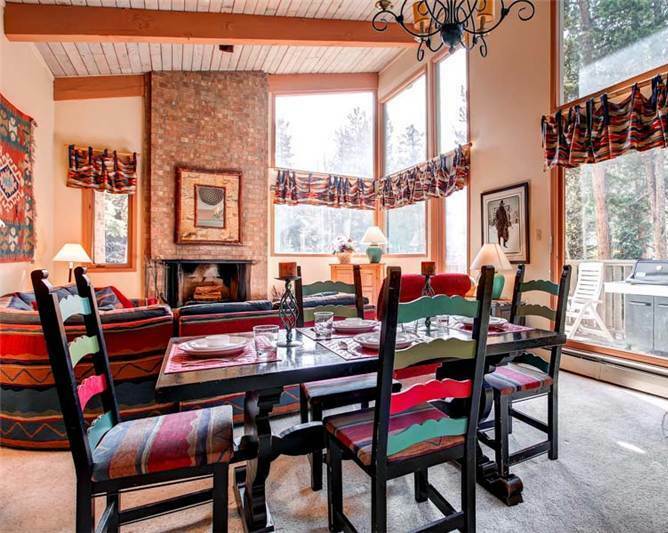 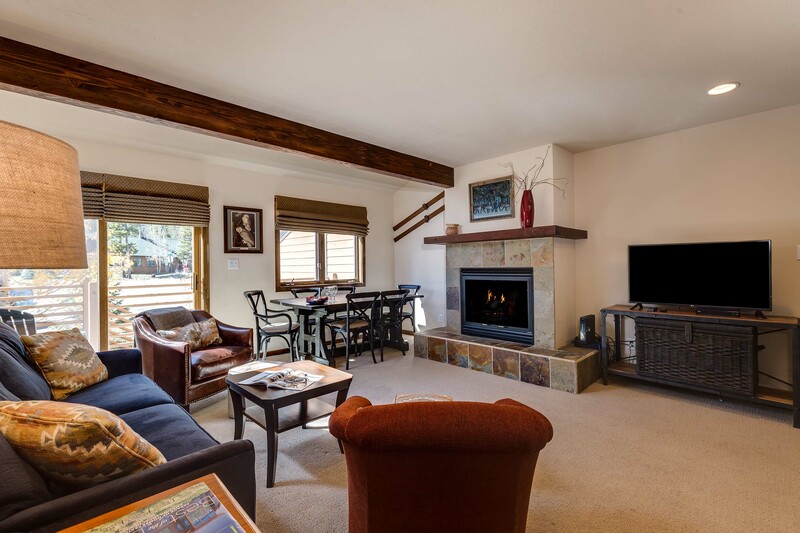 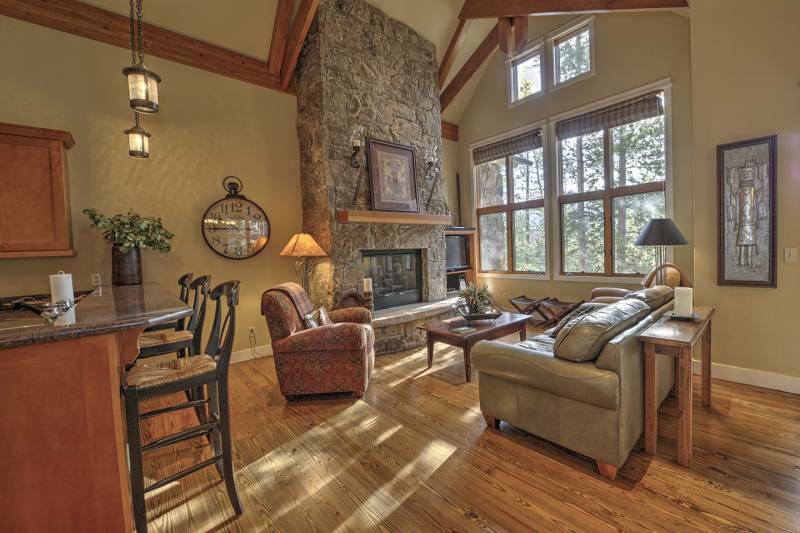 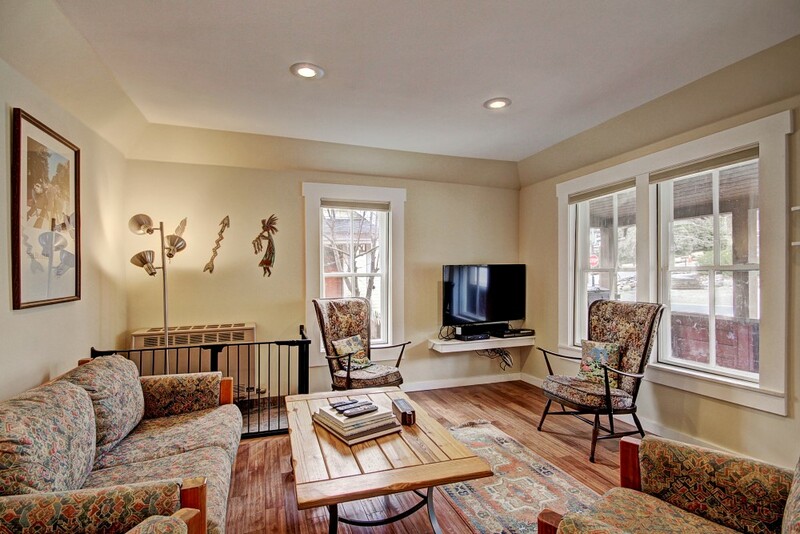 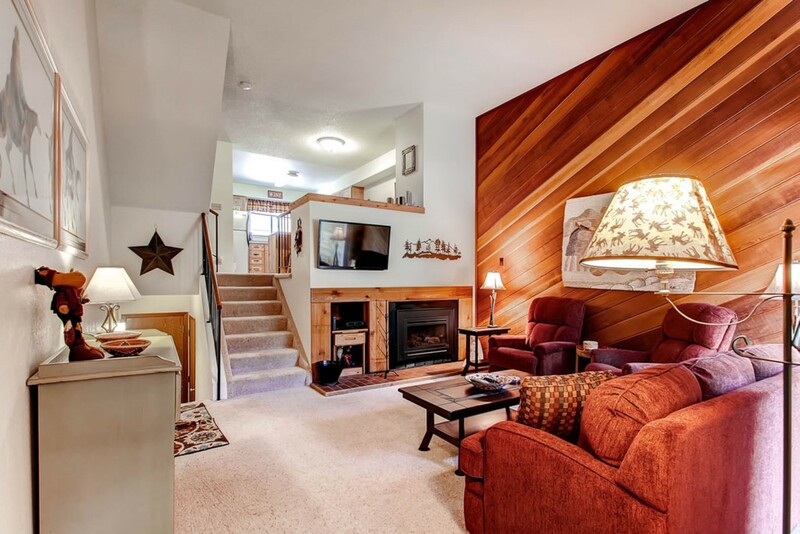 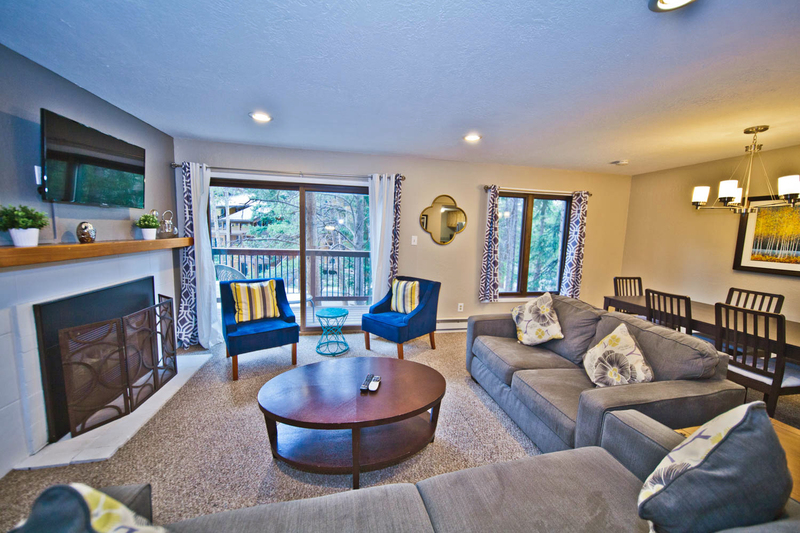 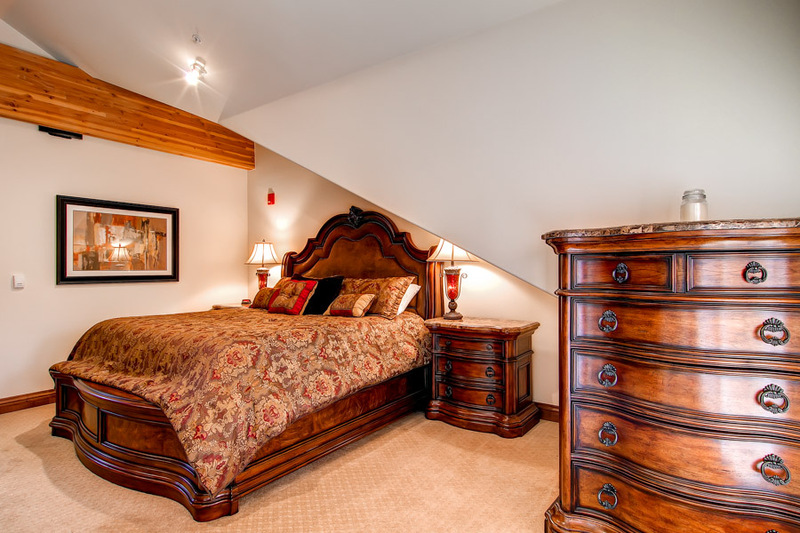 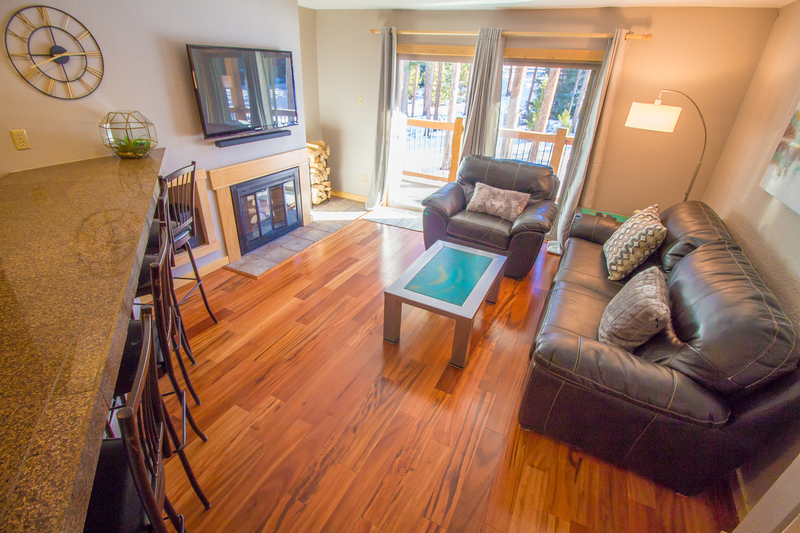 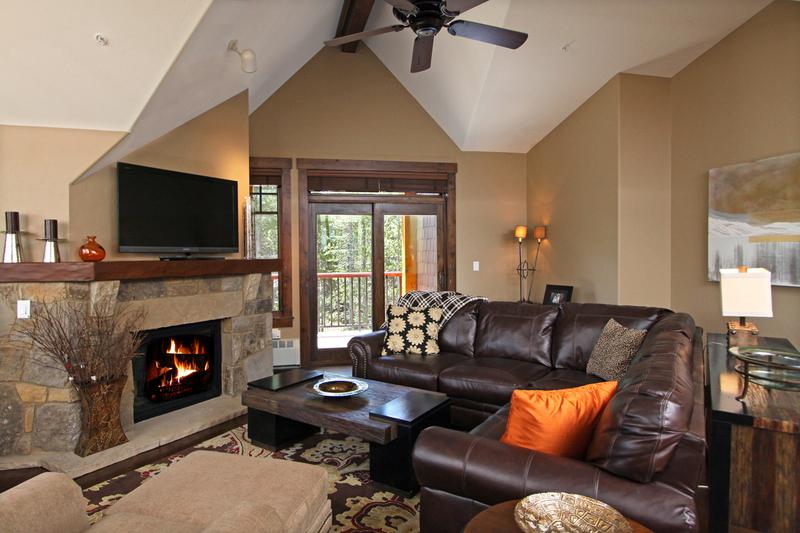 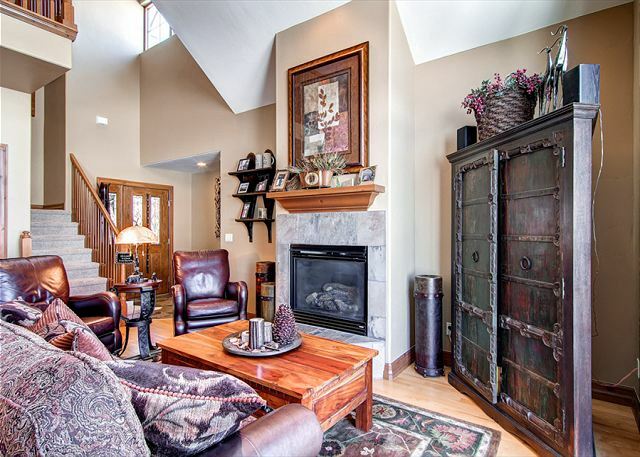 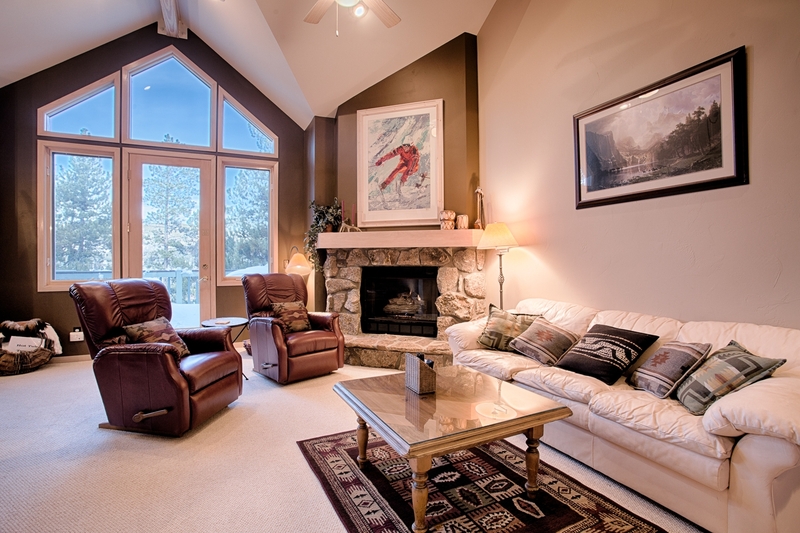 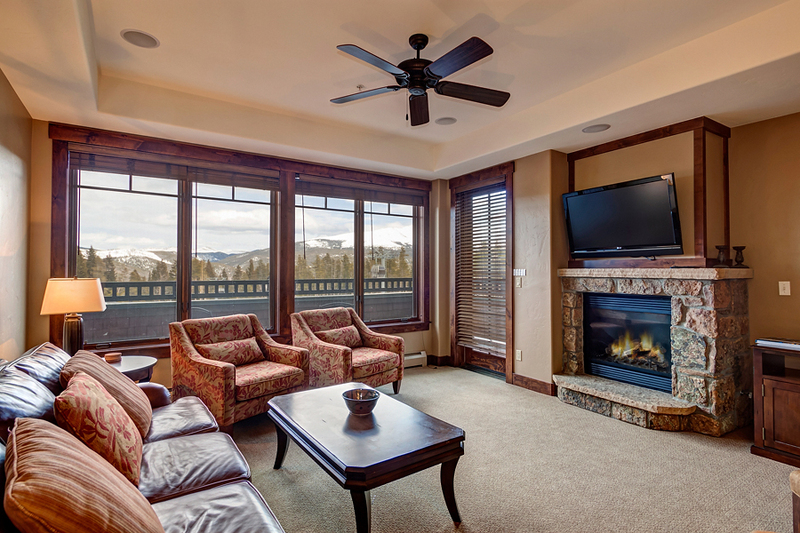 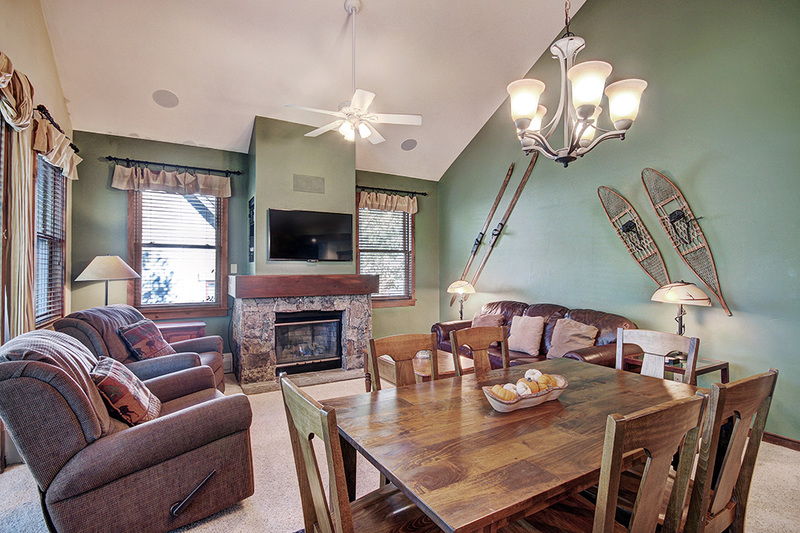 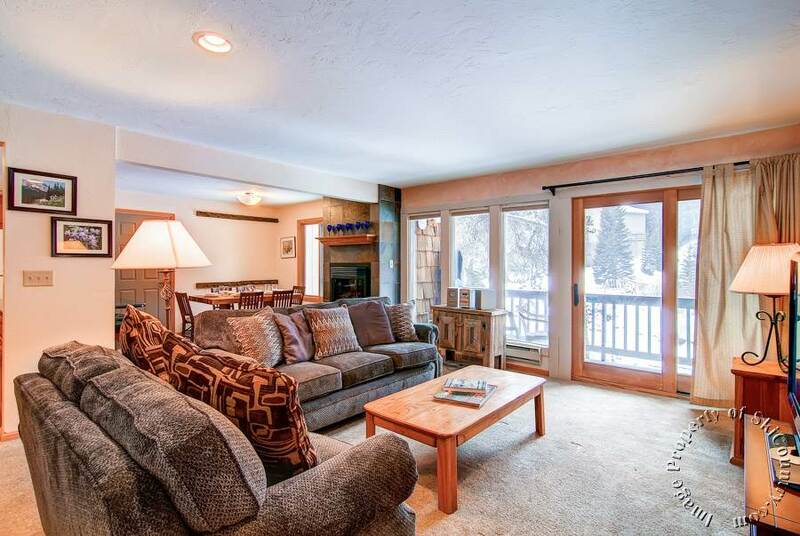 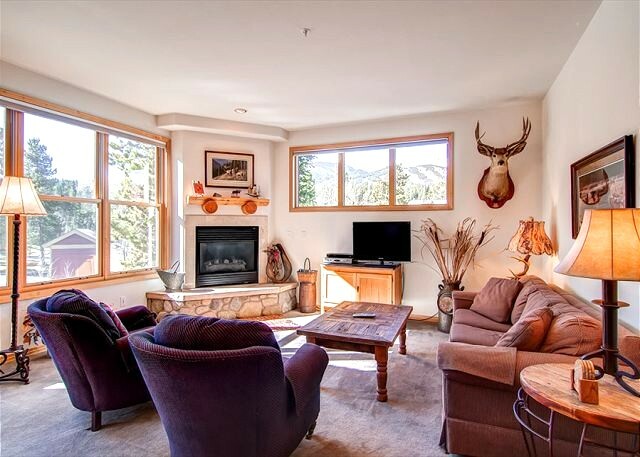 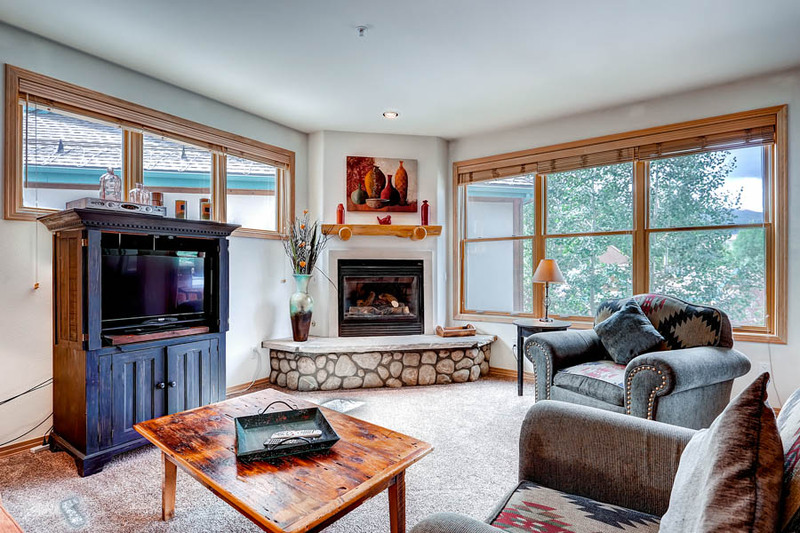 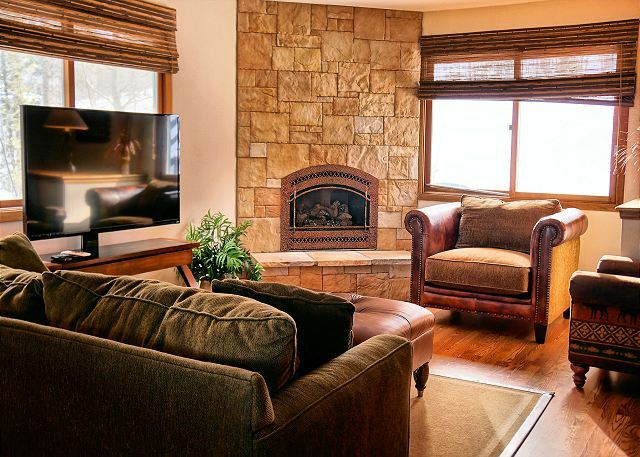 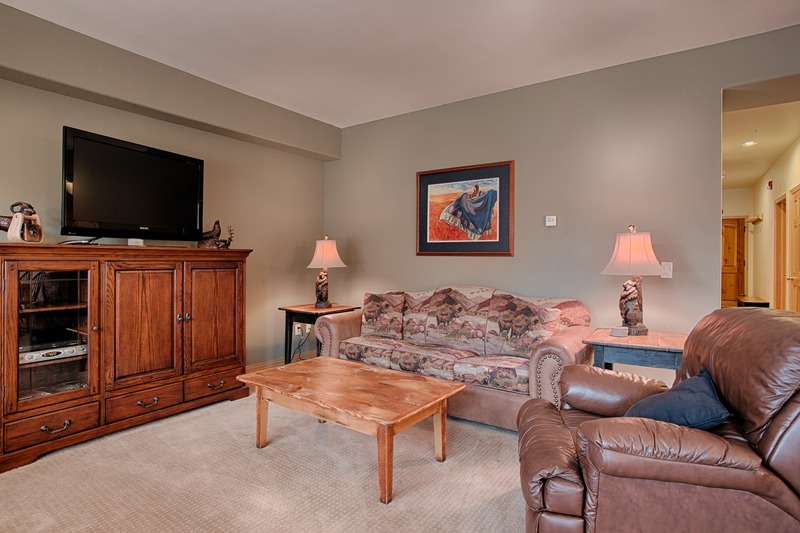 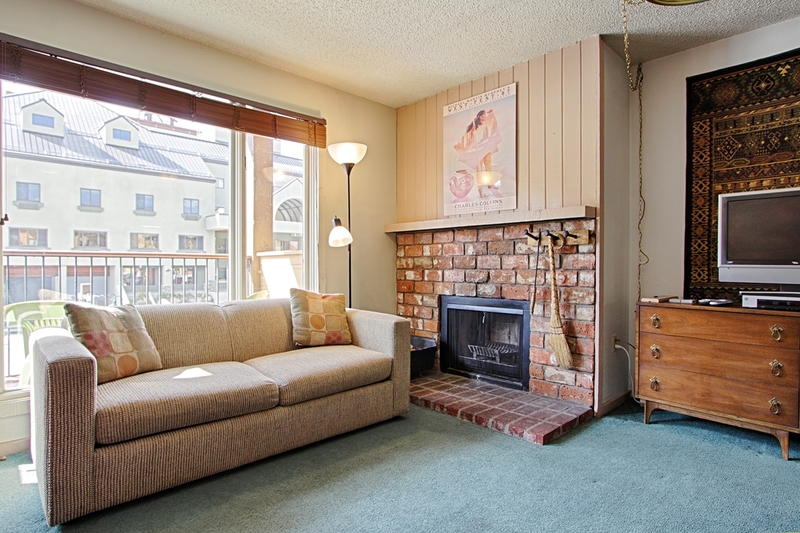 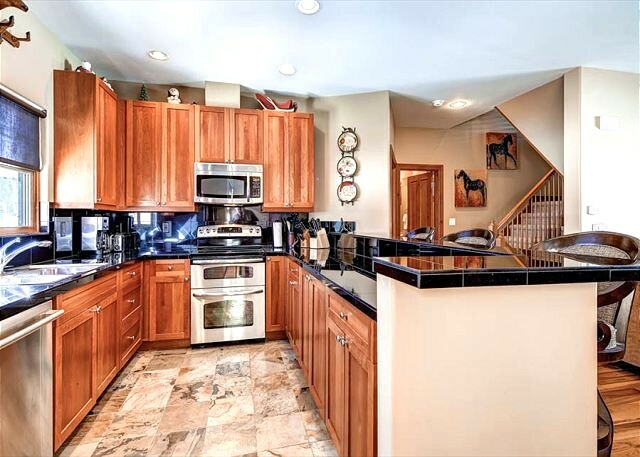 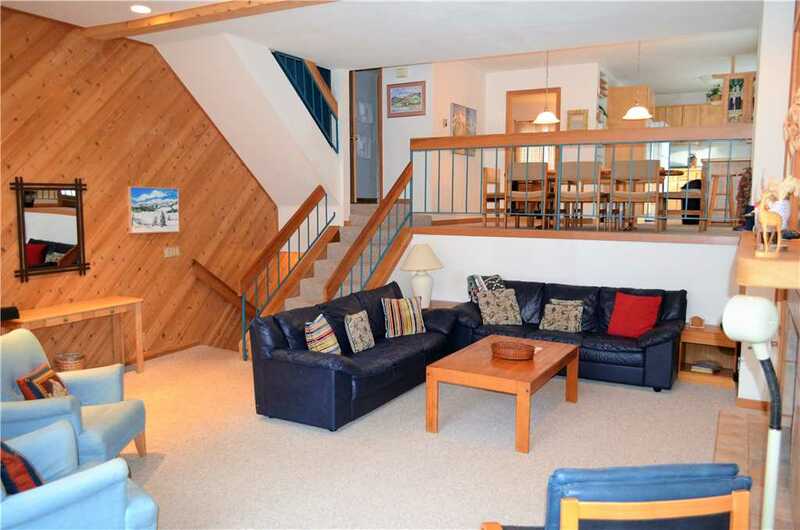 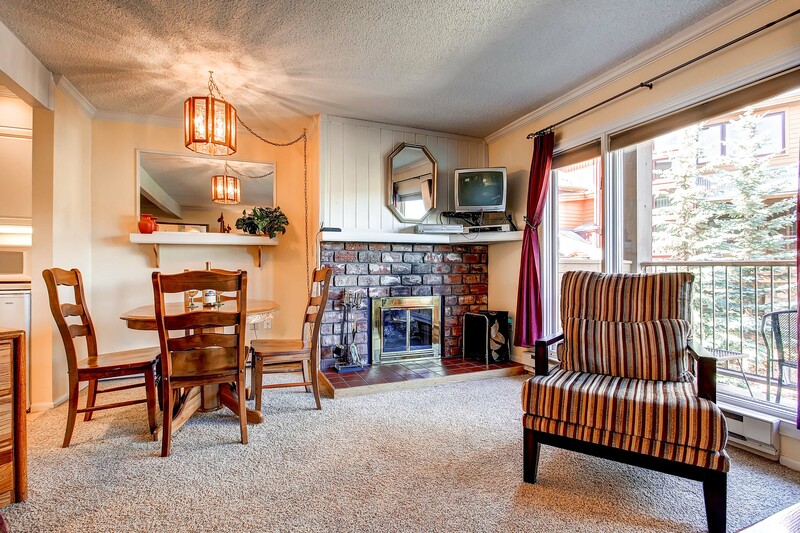 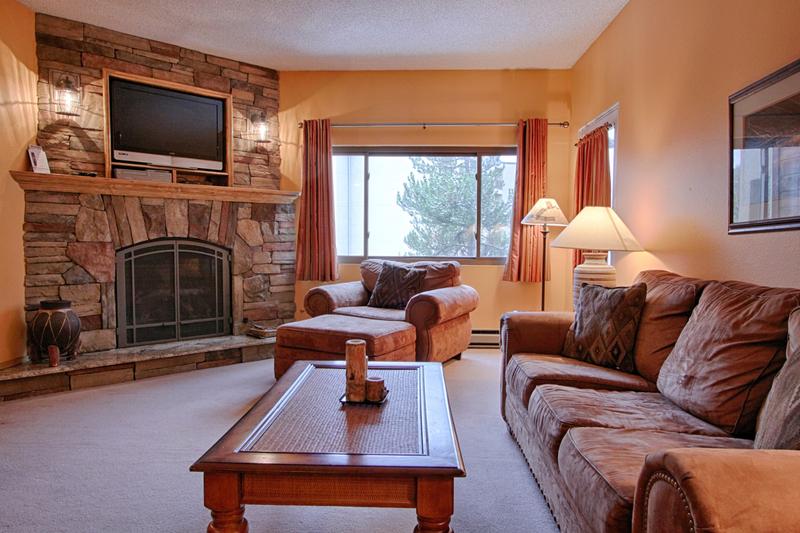 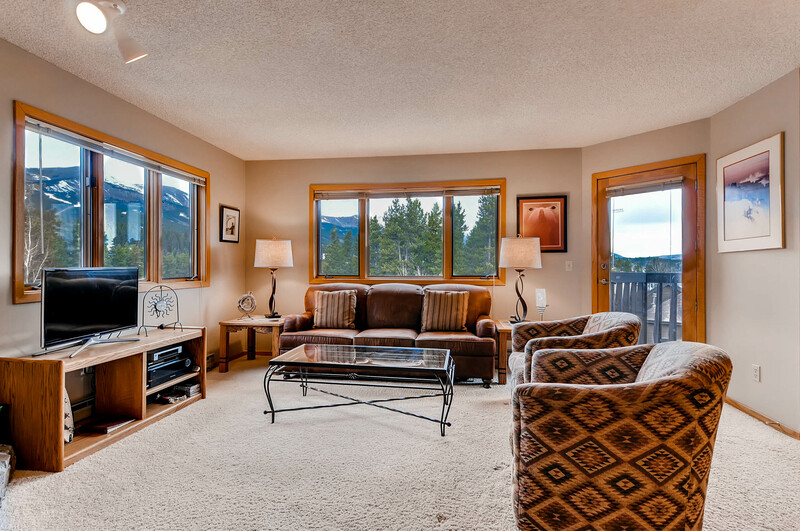 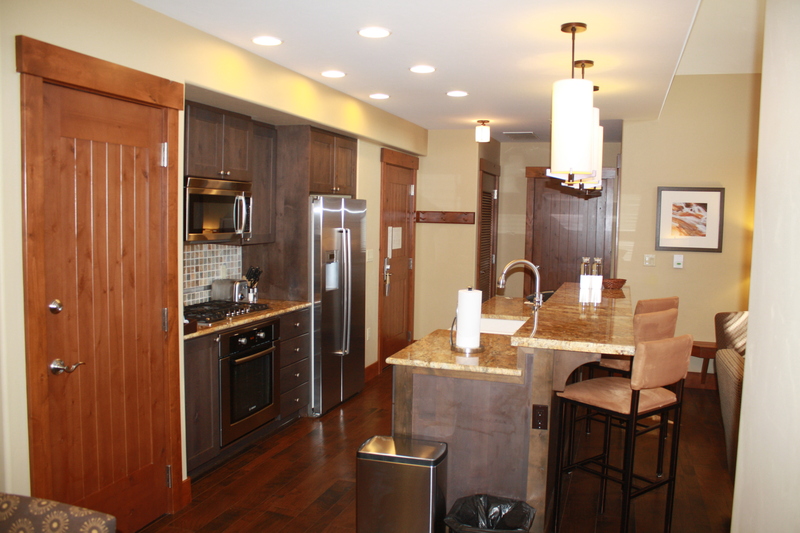 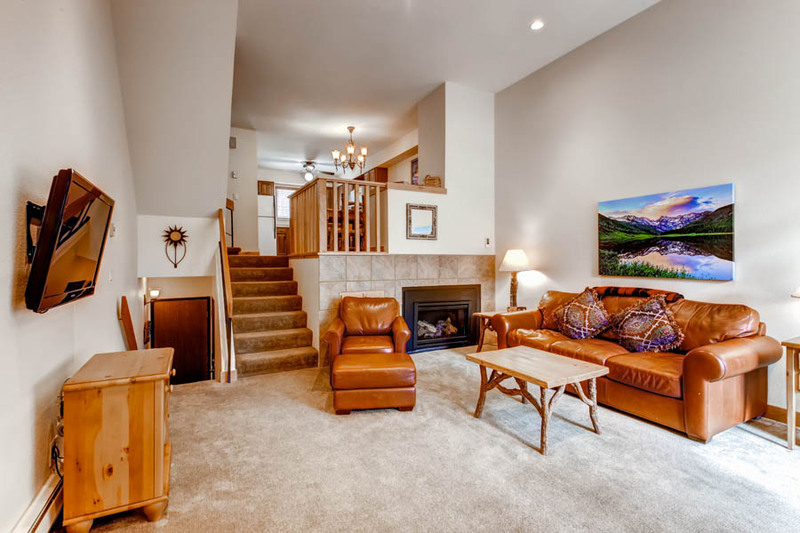 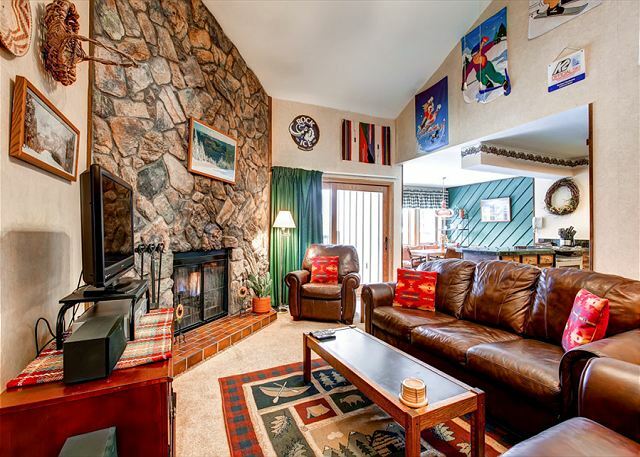 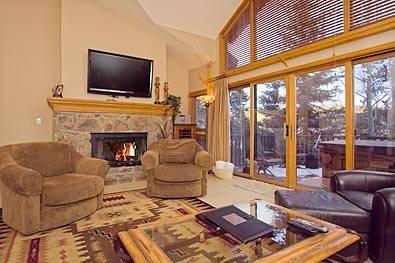 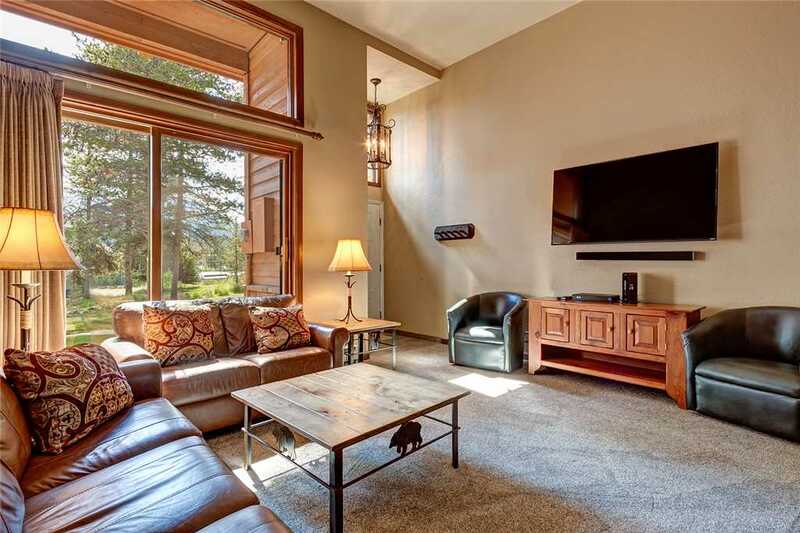 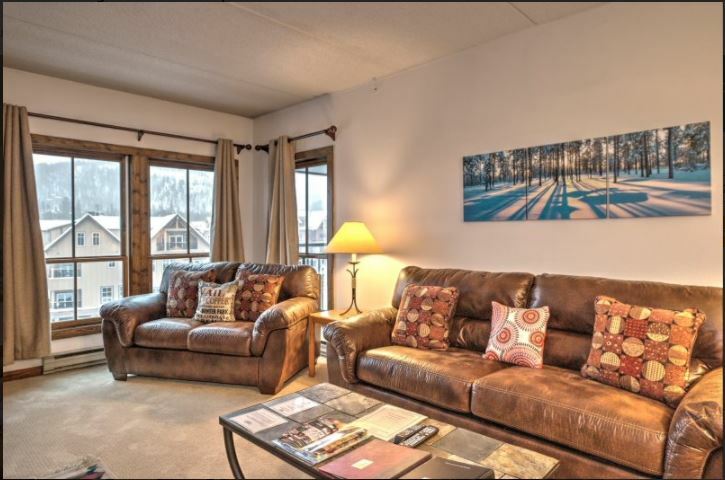 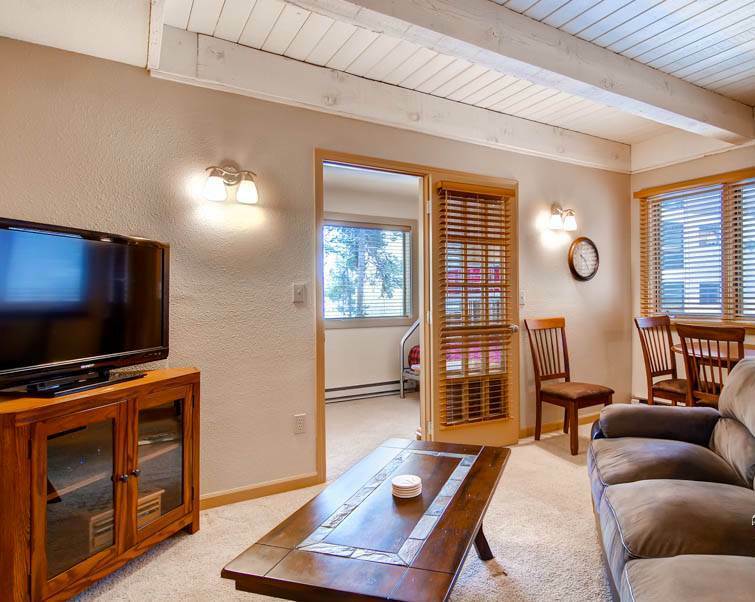 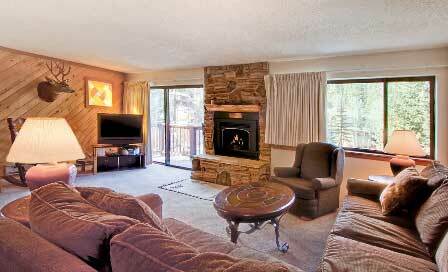 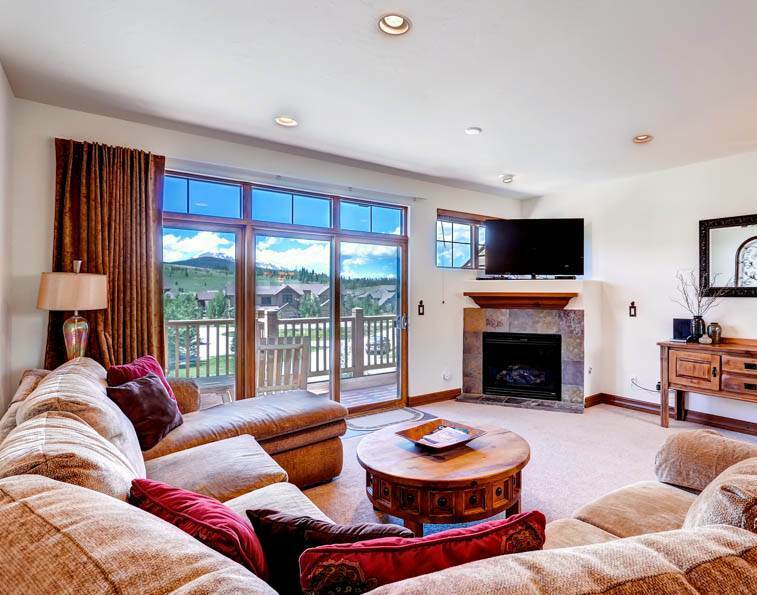 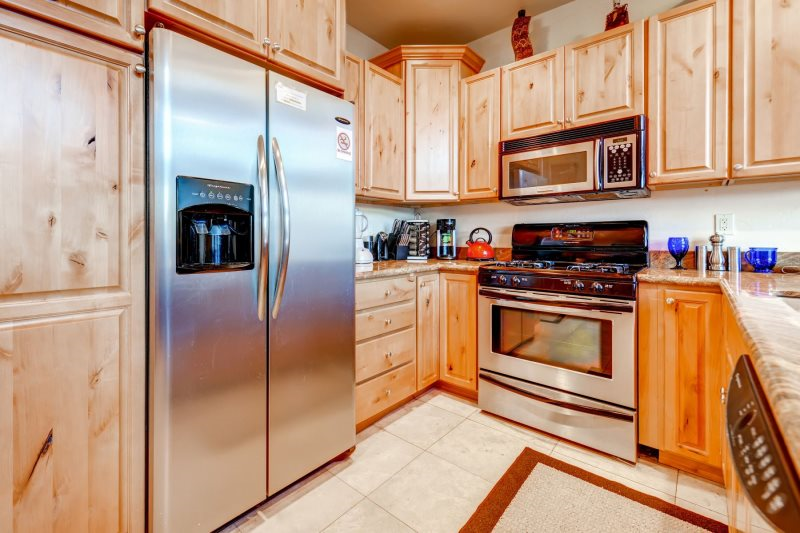 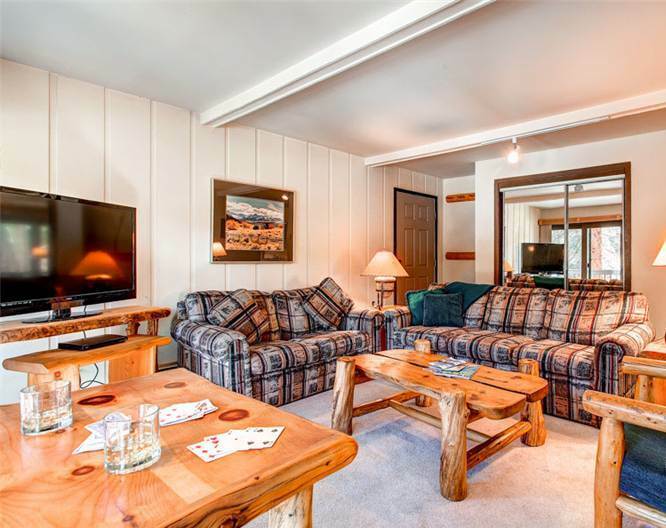 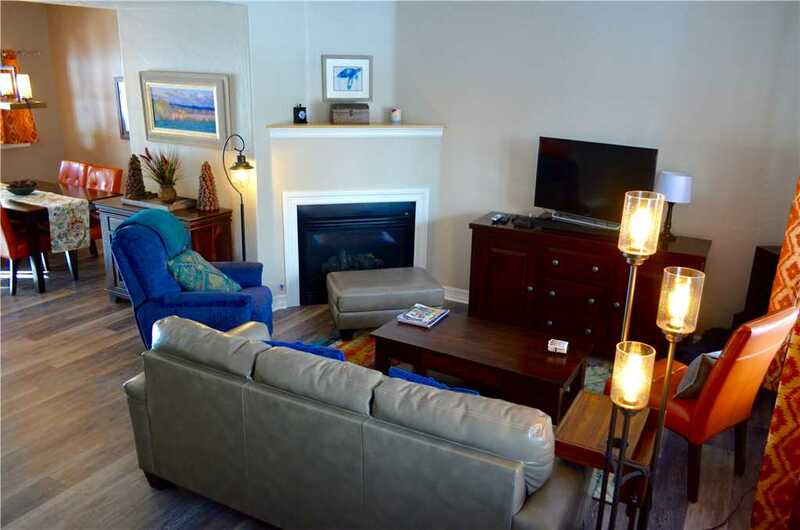 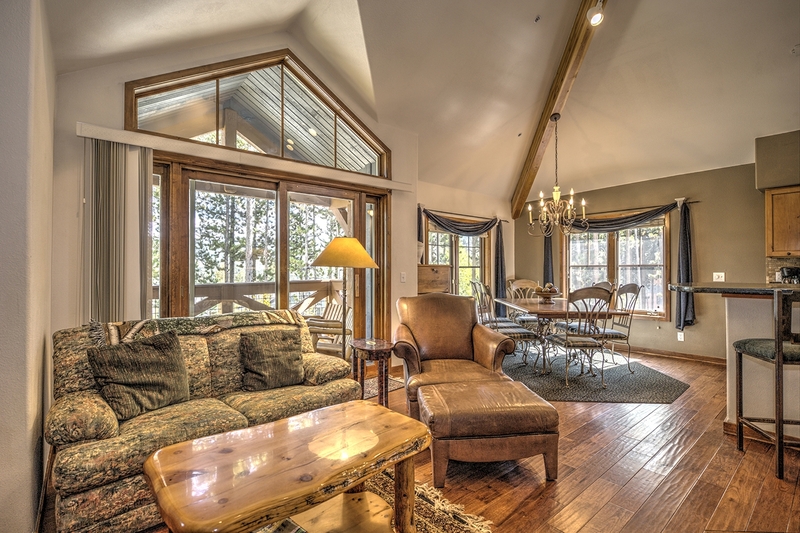 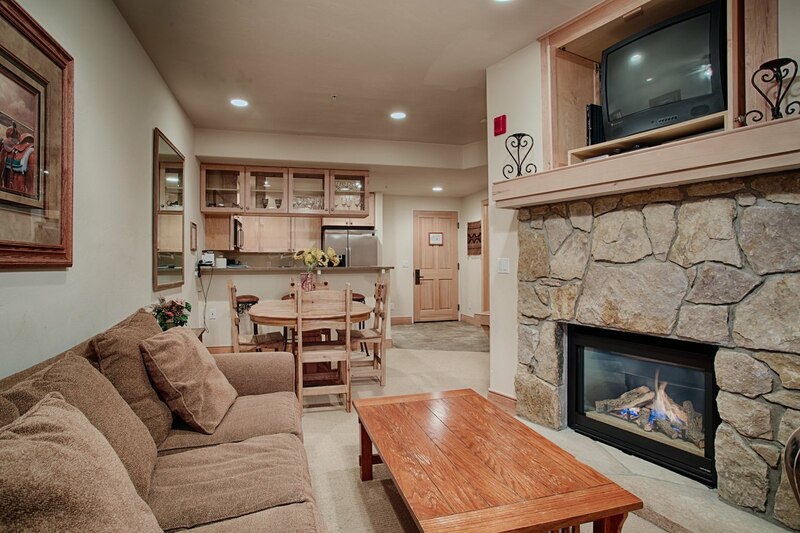 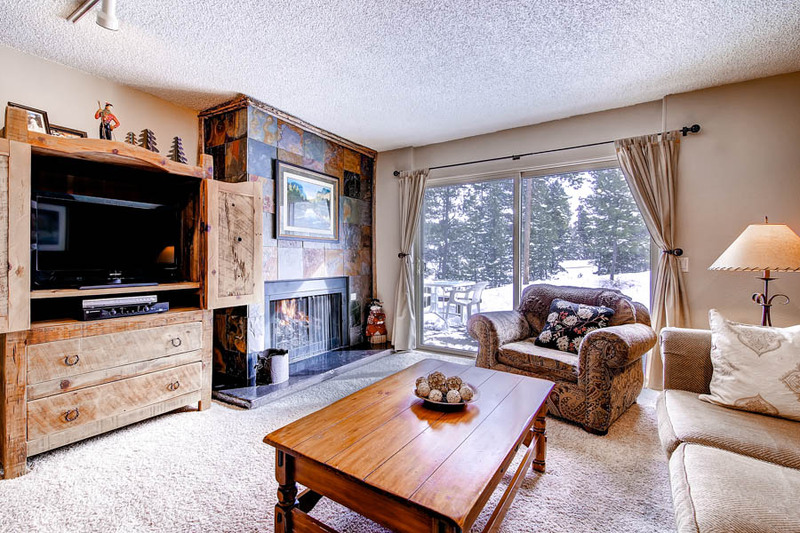 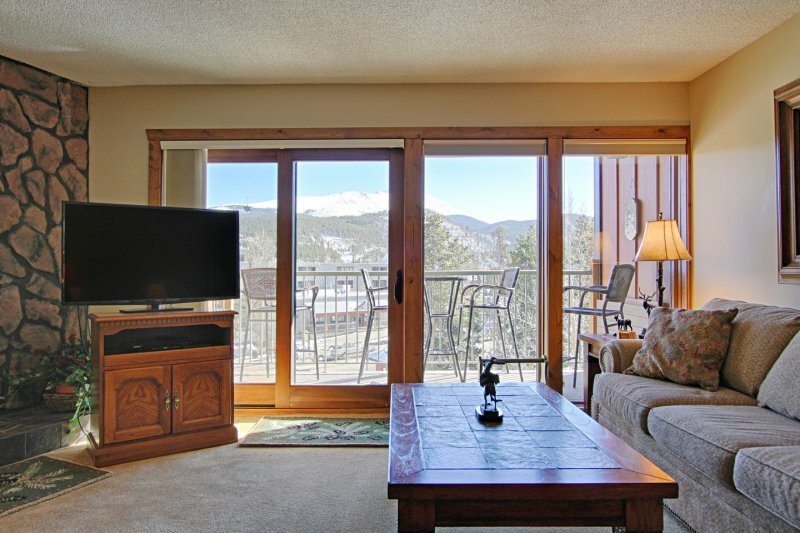 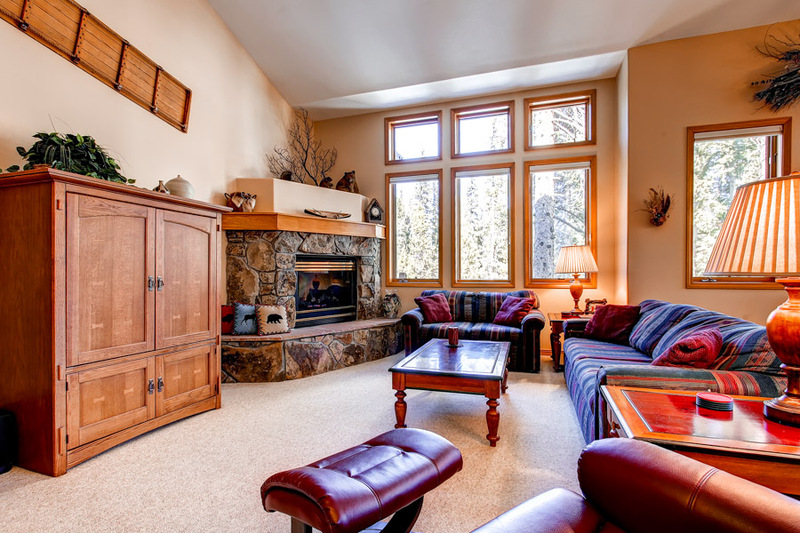 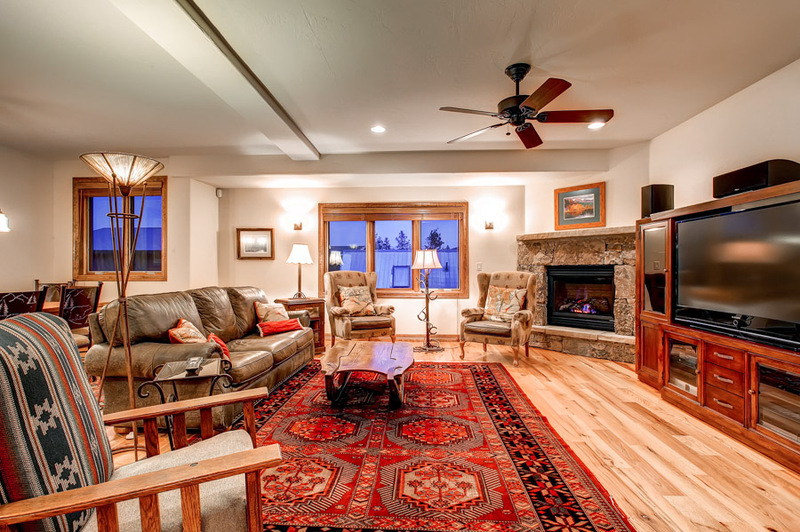 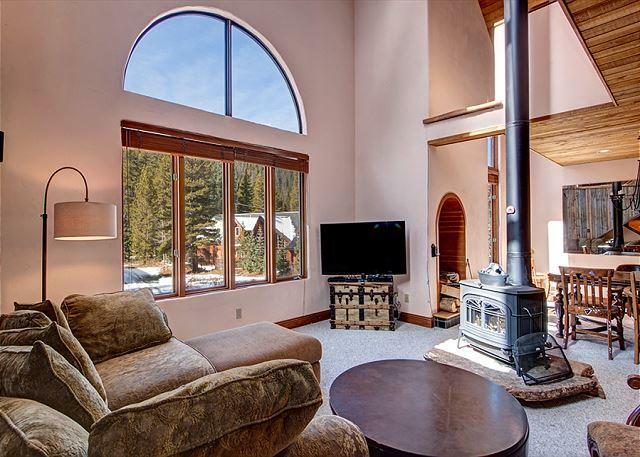 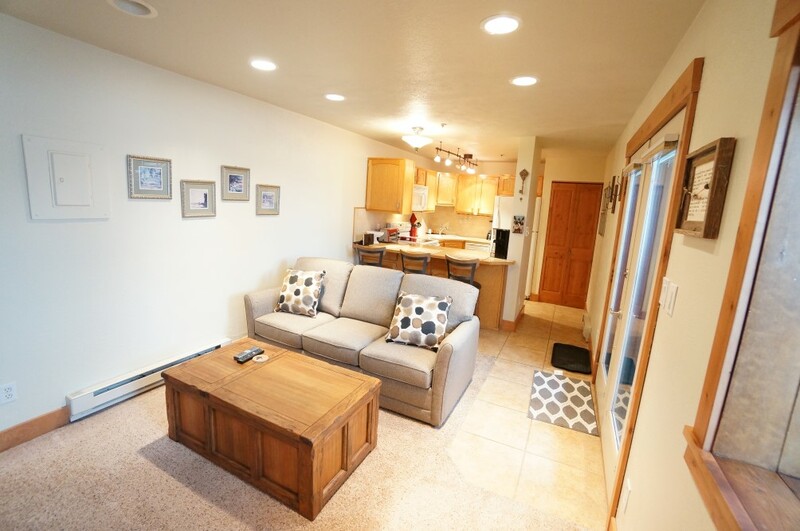 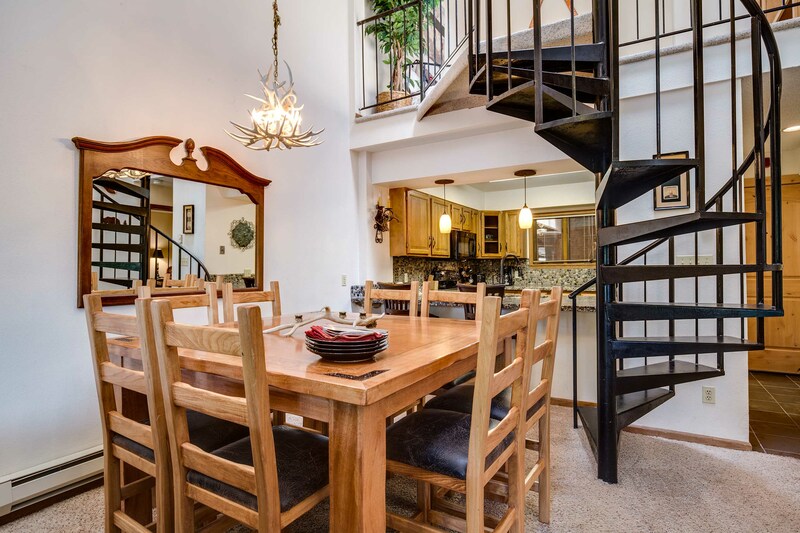 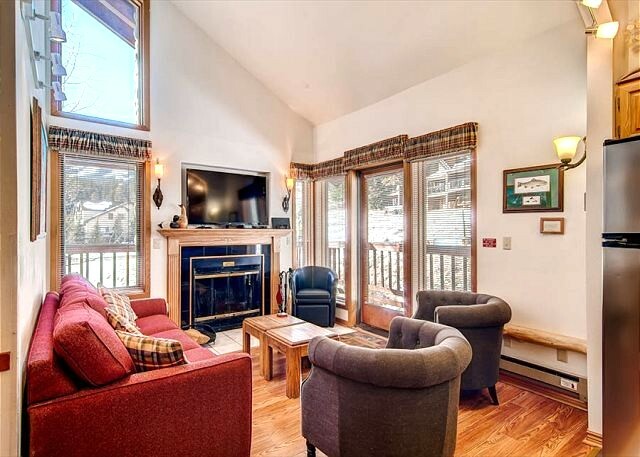 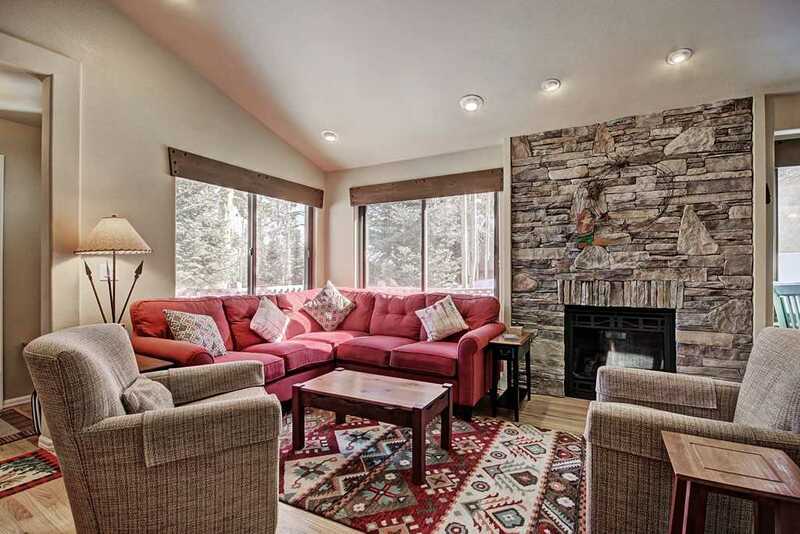 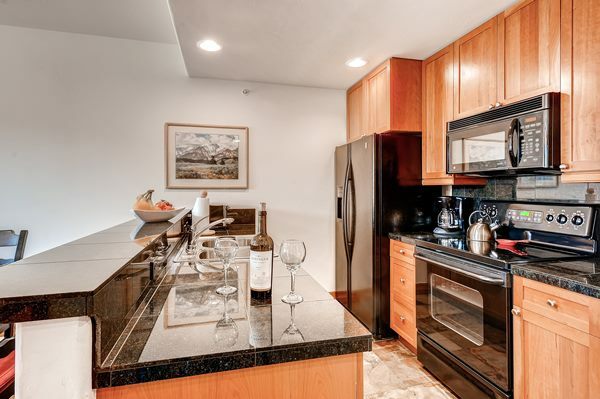 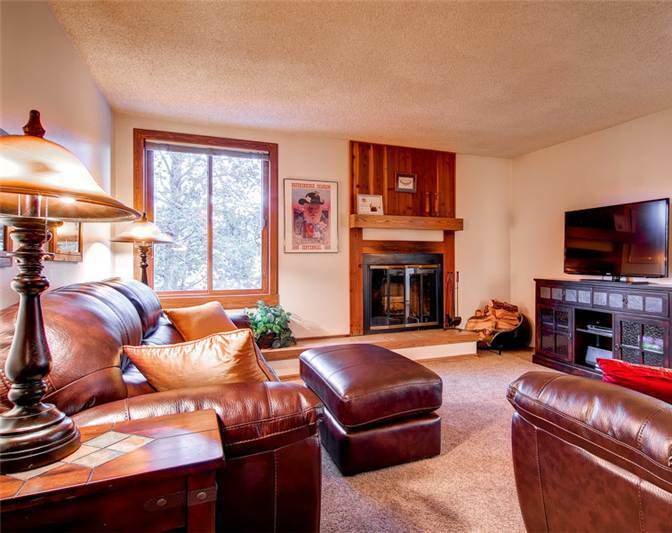 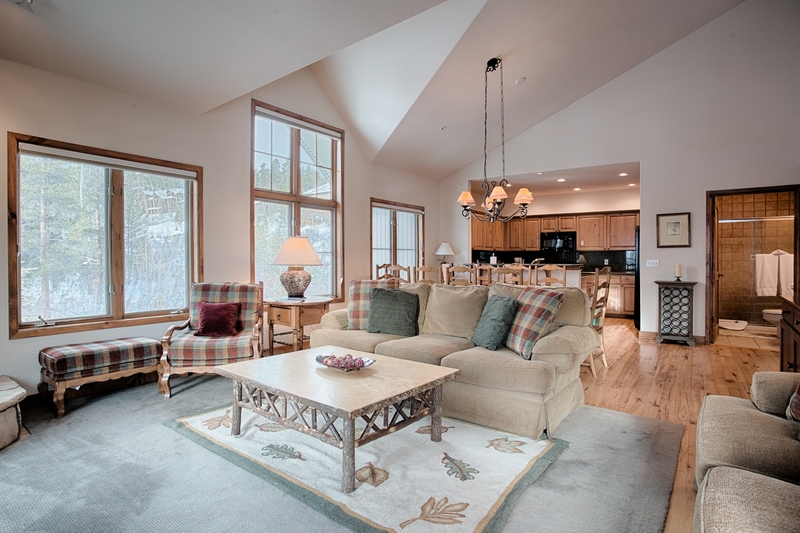 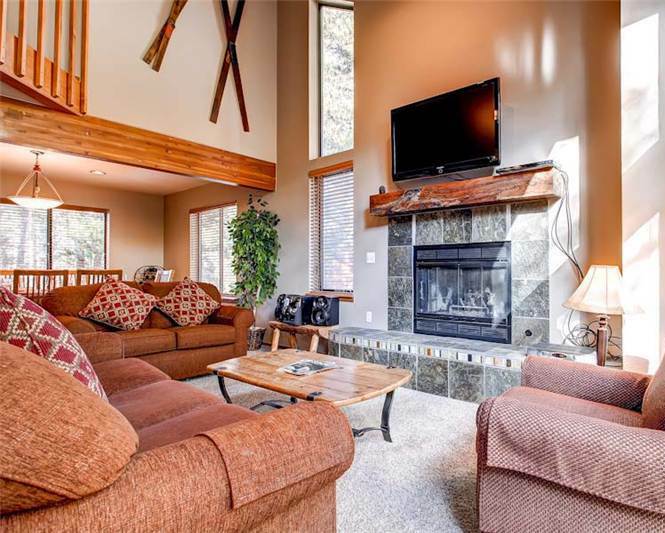 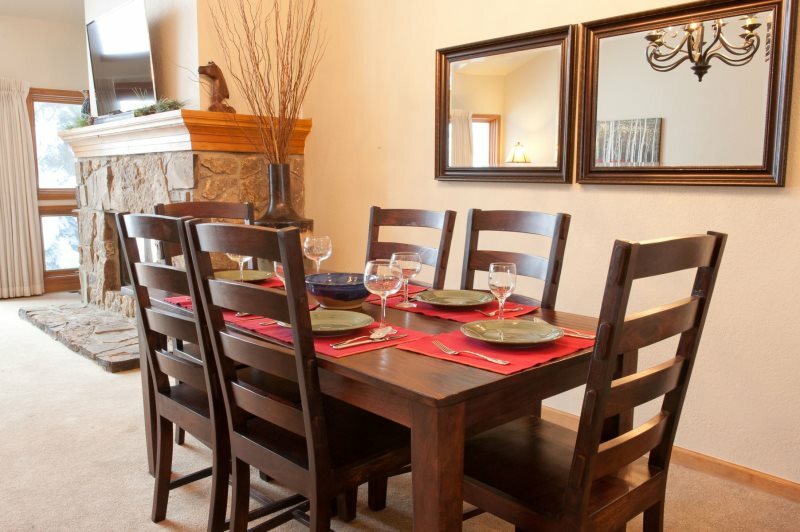 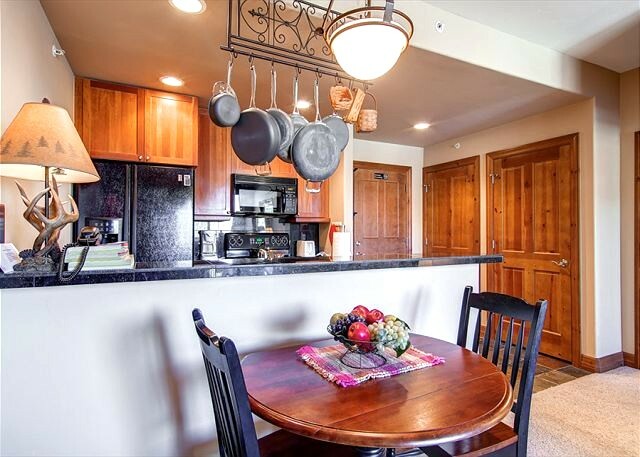 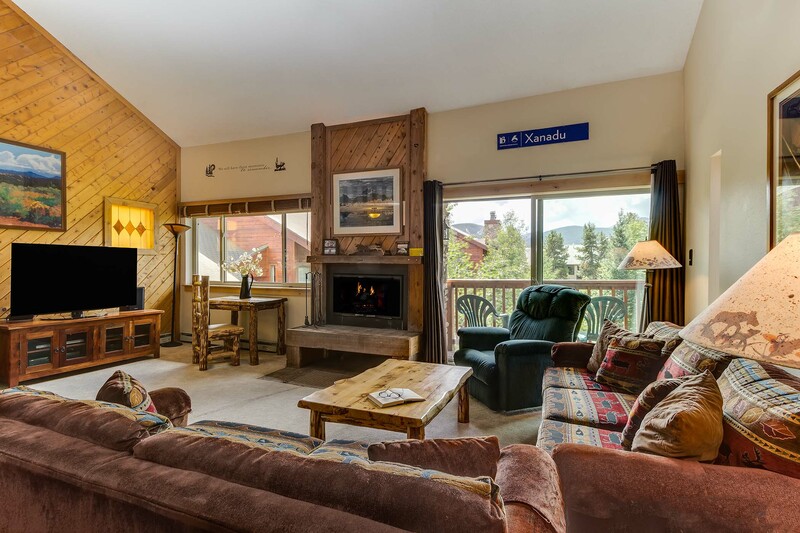 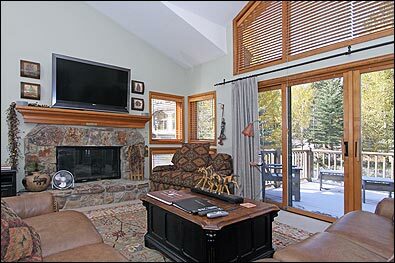 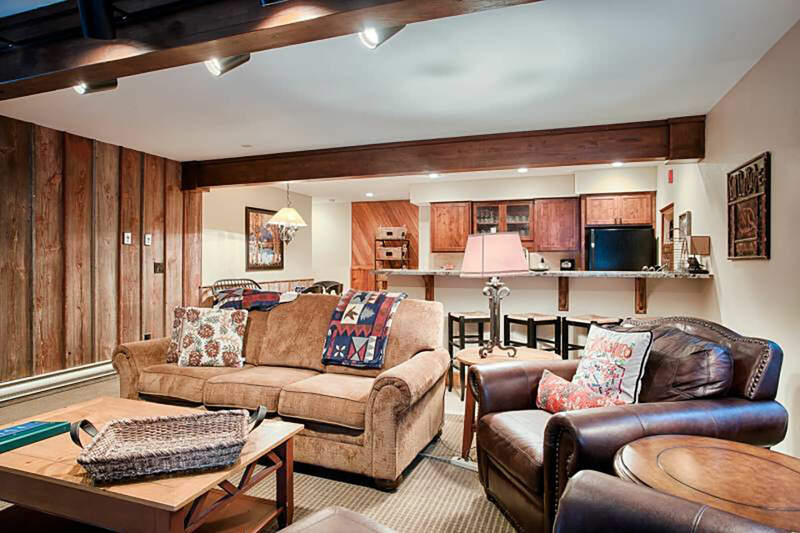 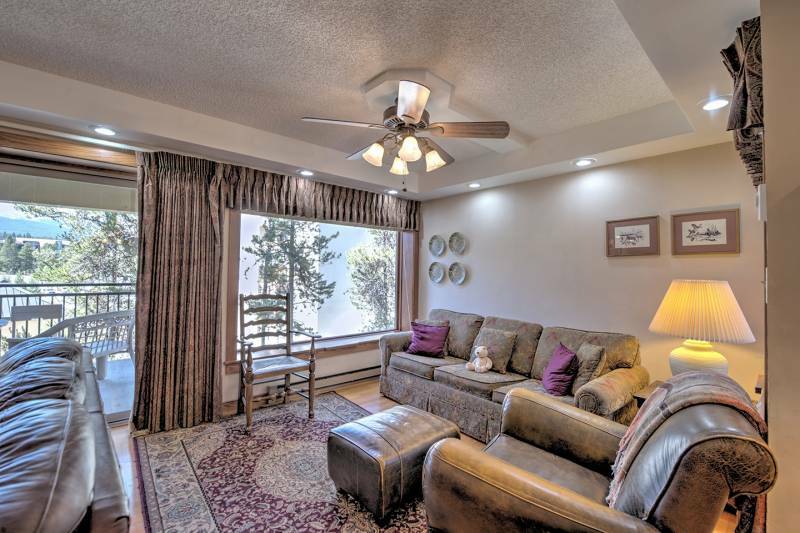 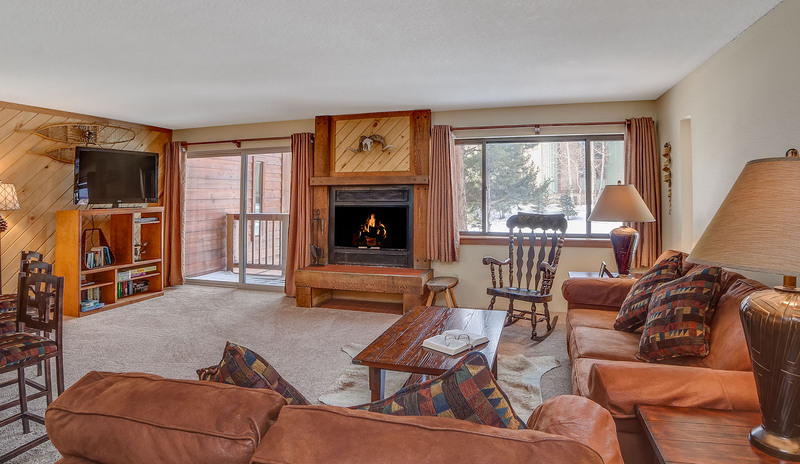 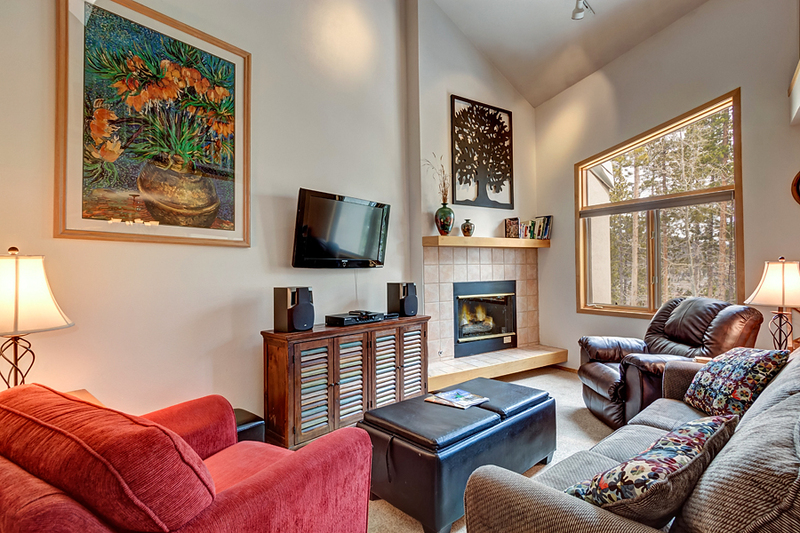 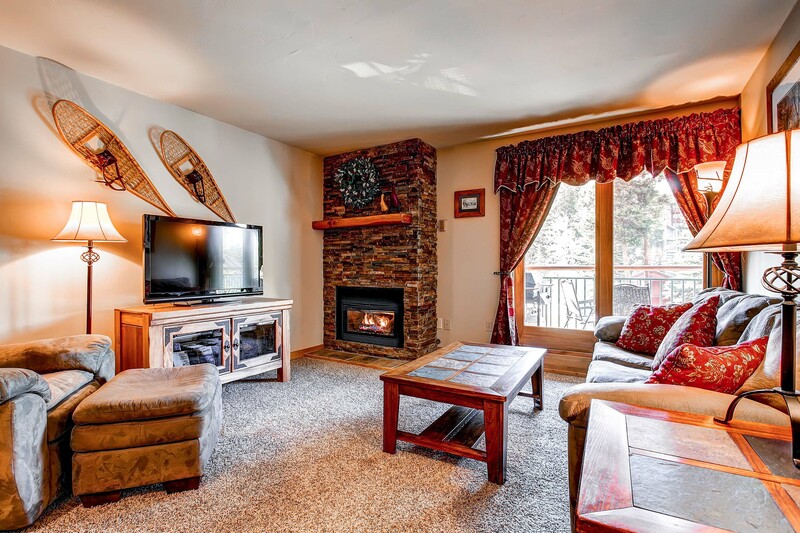 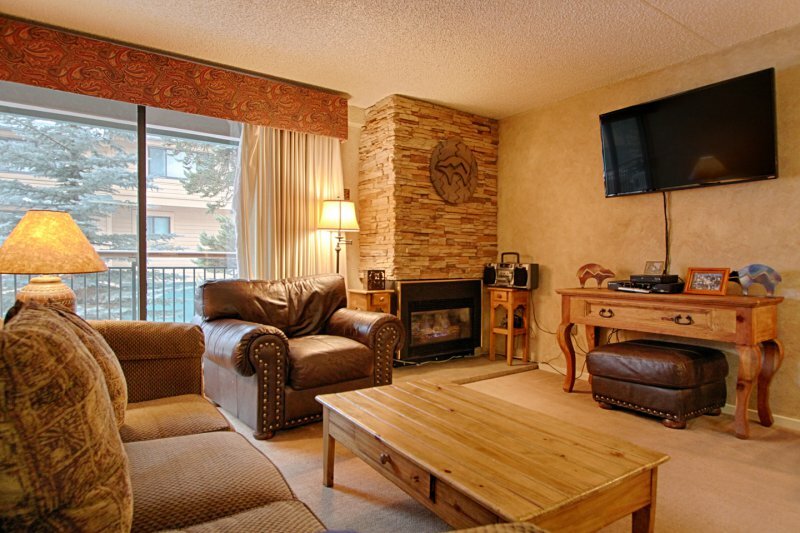 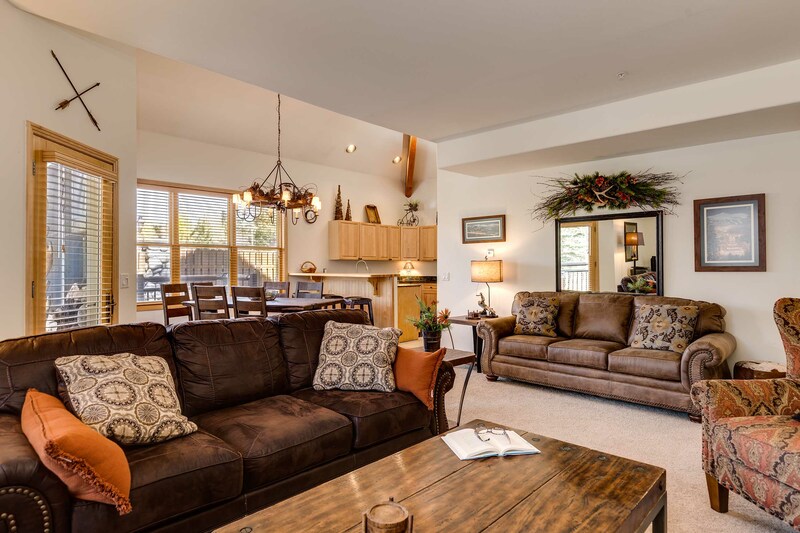 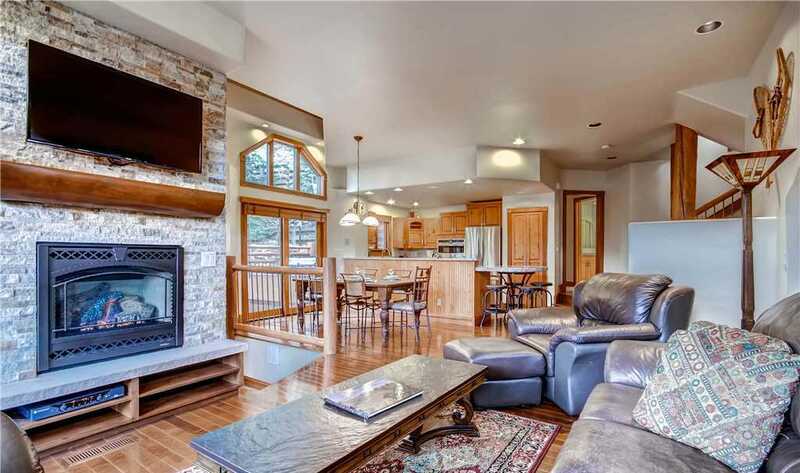 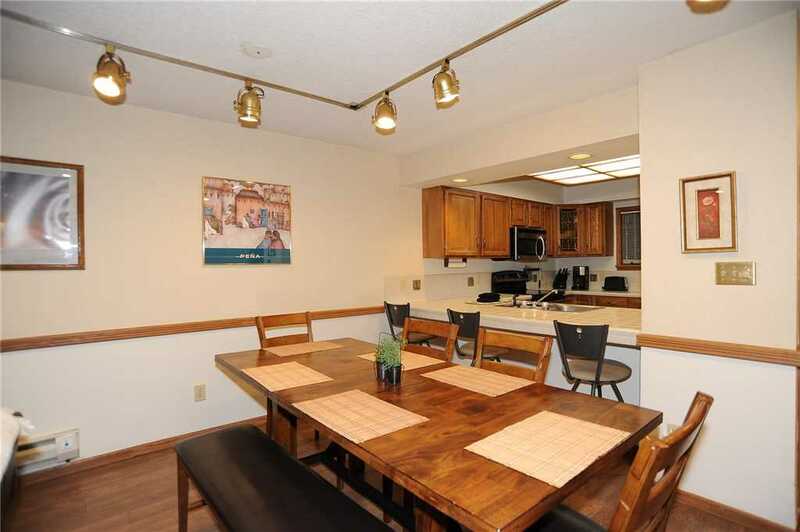 Walking distance to downtown Frisco, and within minutes of 6 ski resorts! 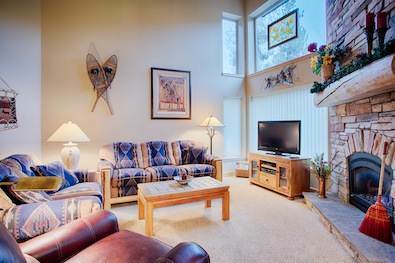 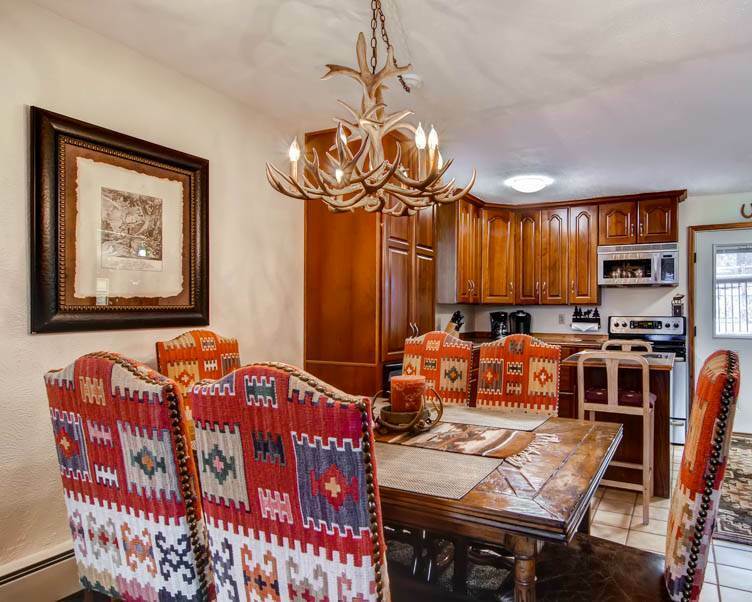 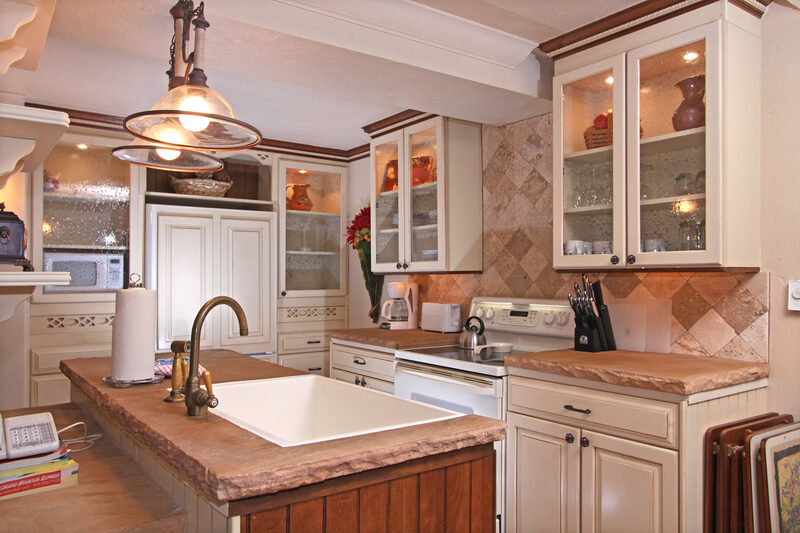 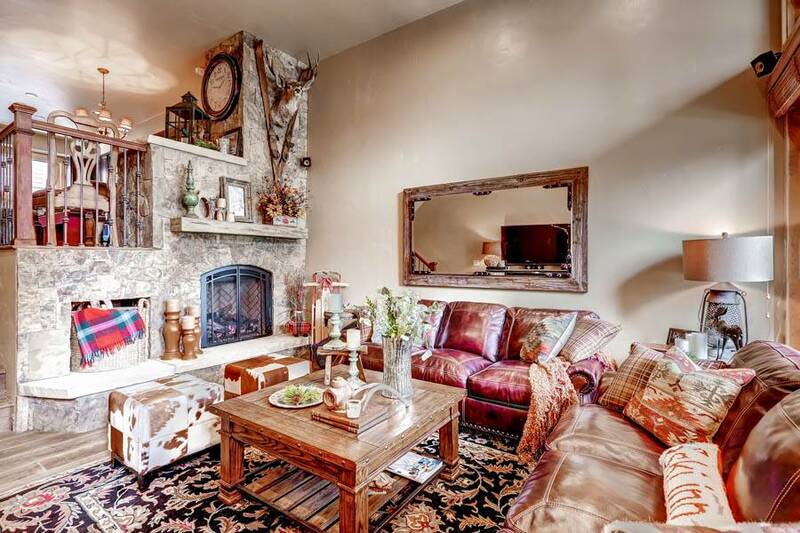 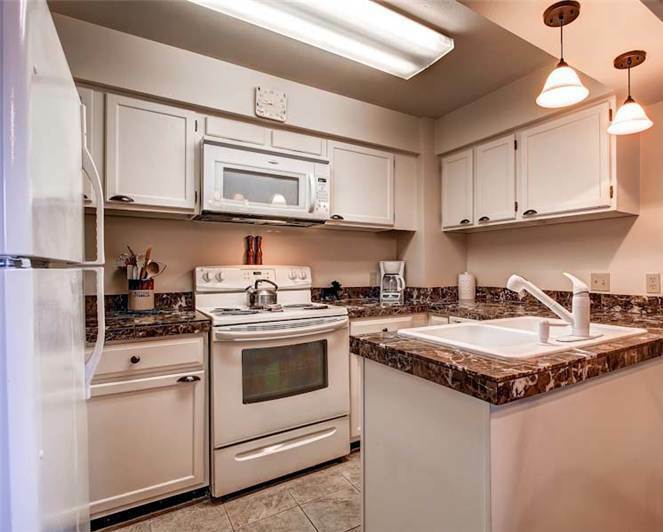 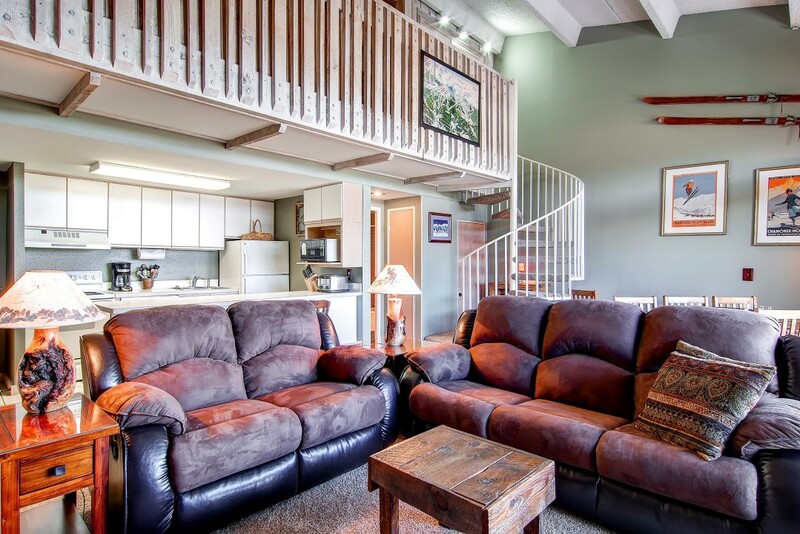 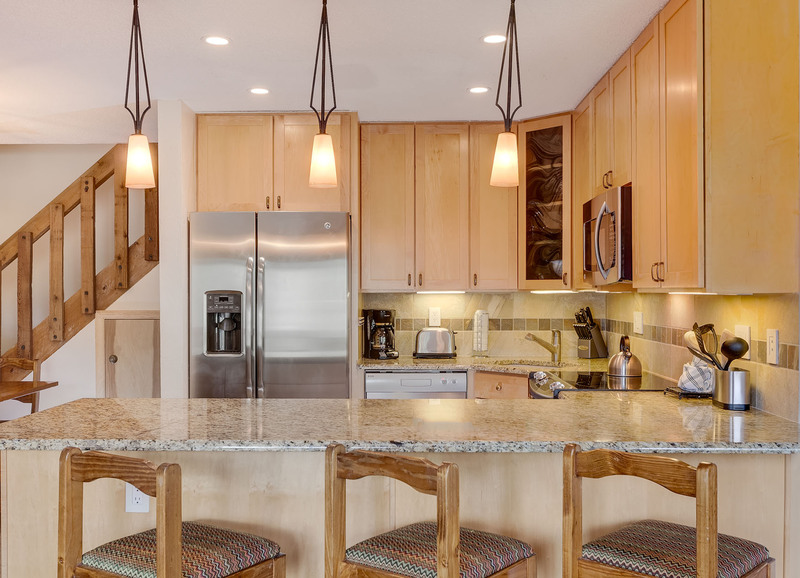 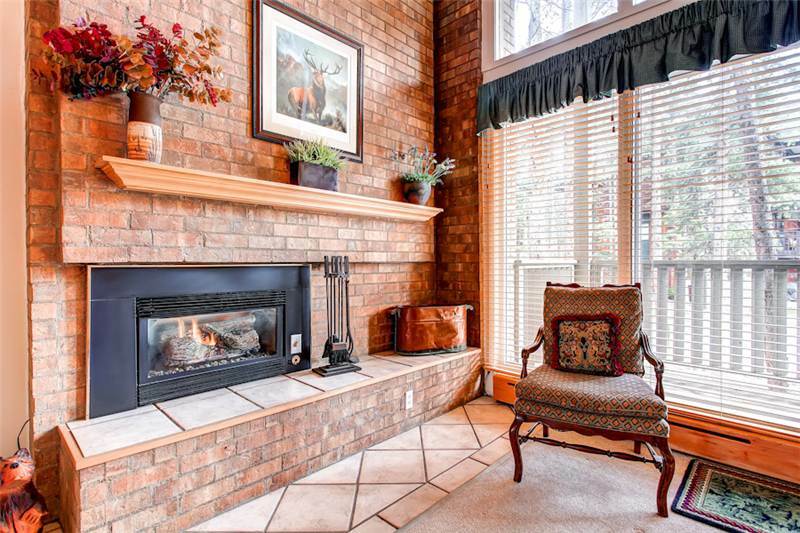 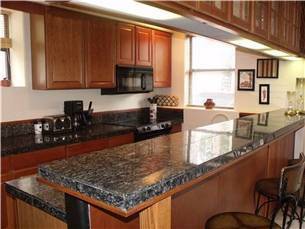 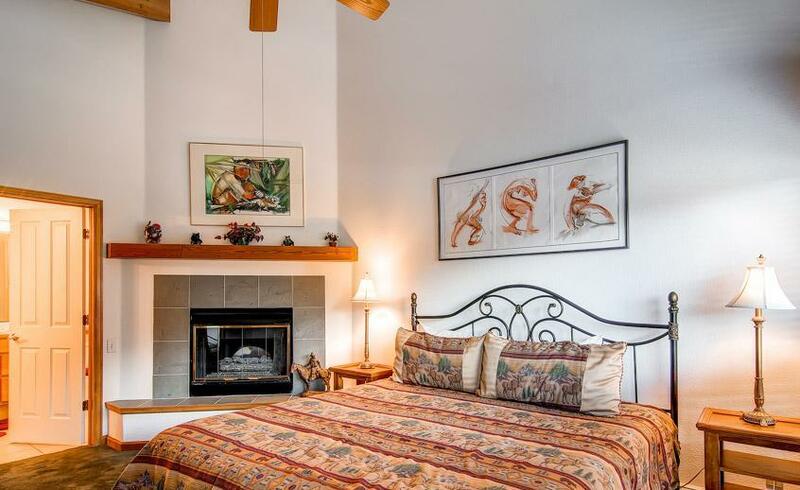 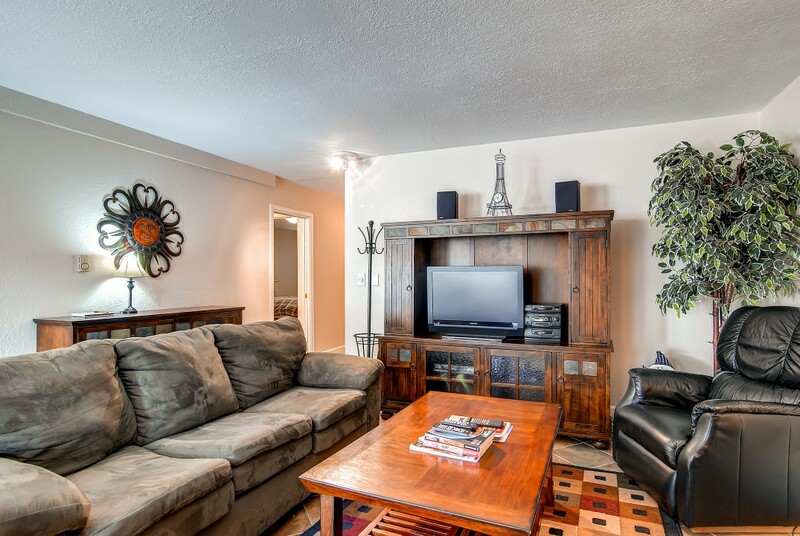 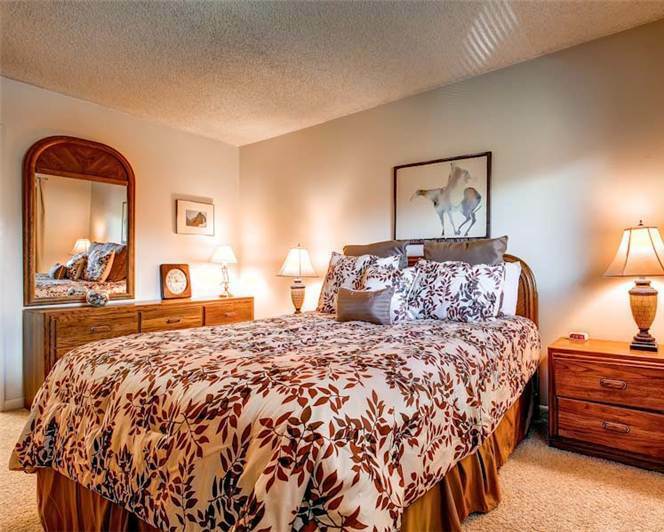 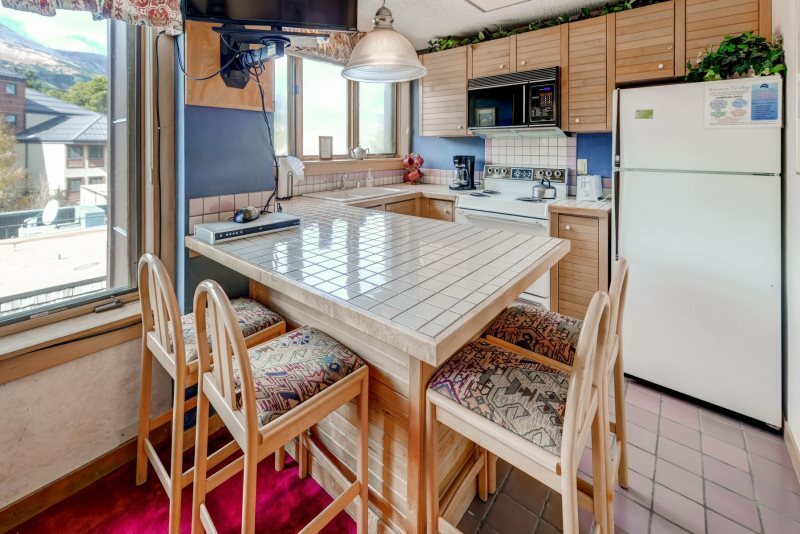 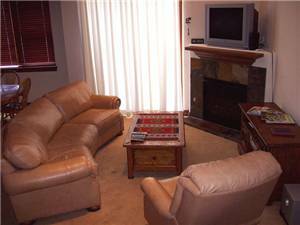 Built in 2004, this beautifully decorated ground level condo is located just one block from Main Street at the west end of the quaint town of Frisco. 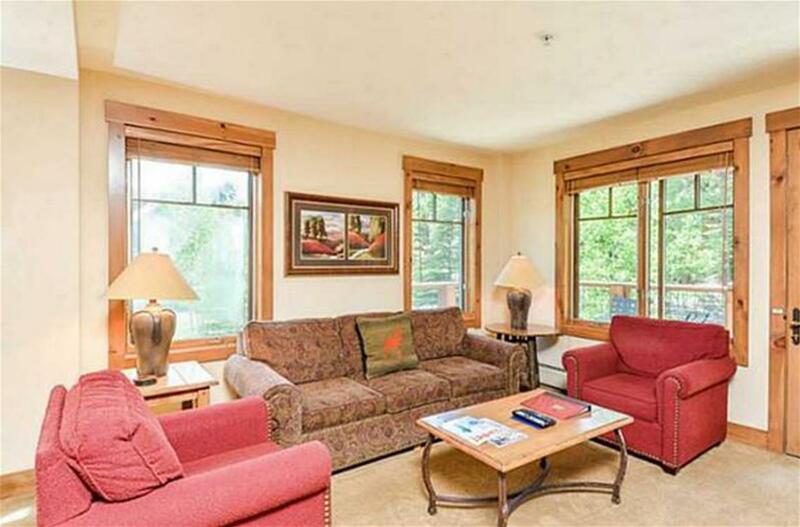 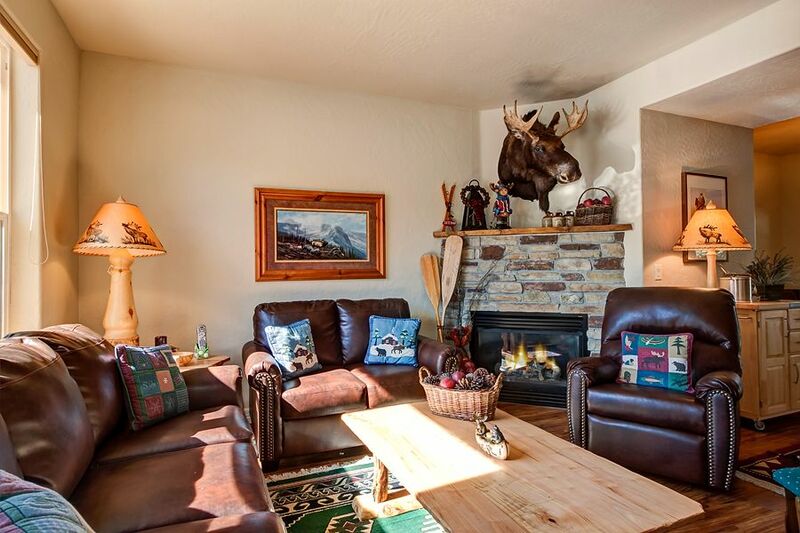 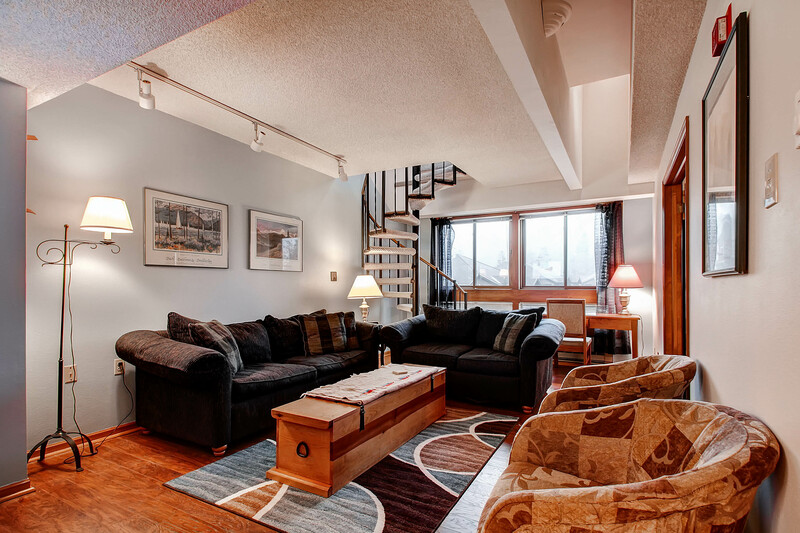 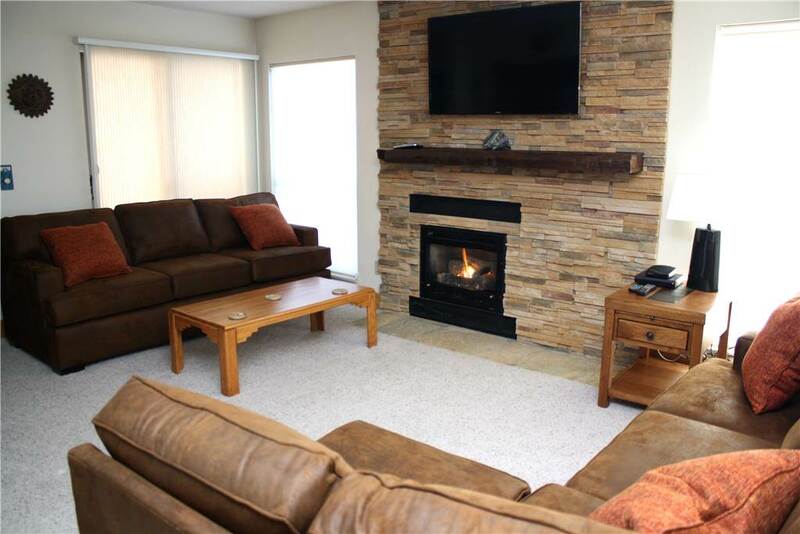 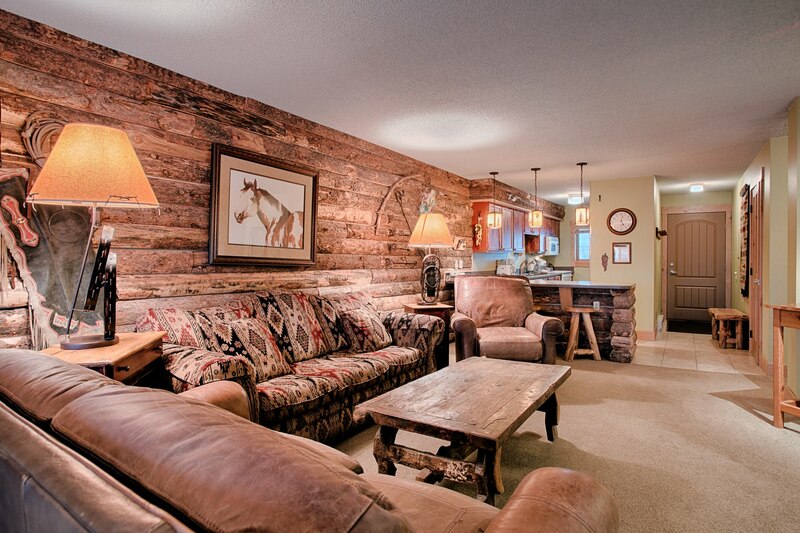 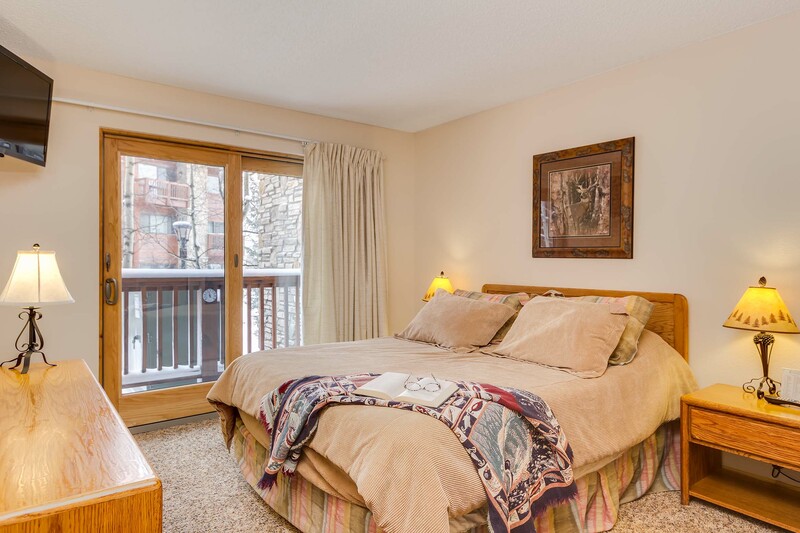 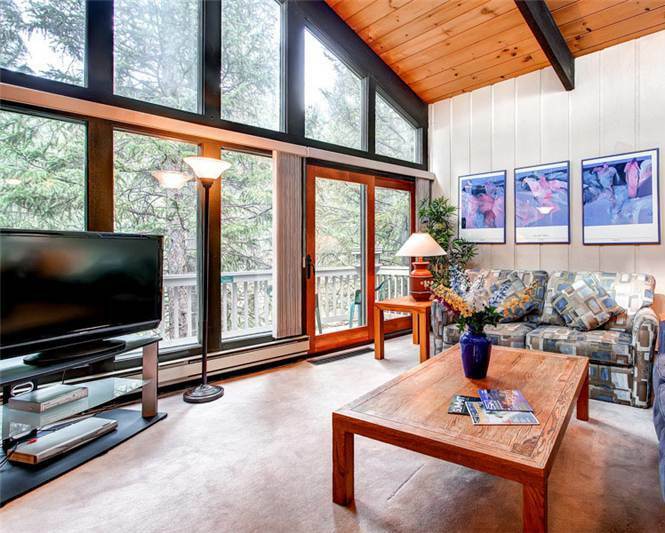 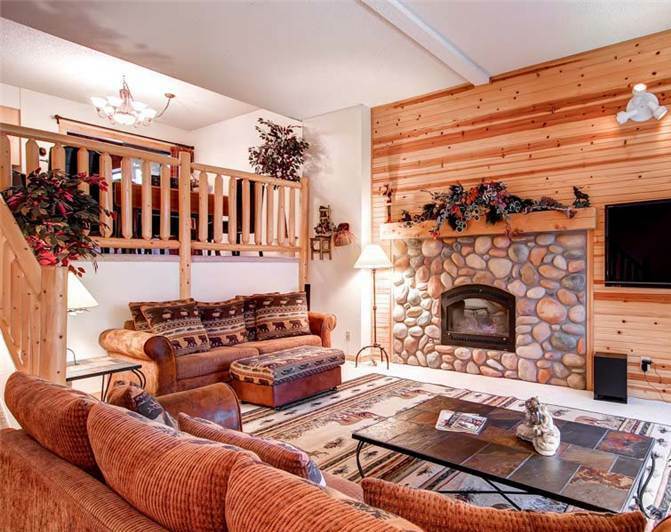 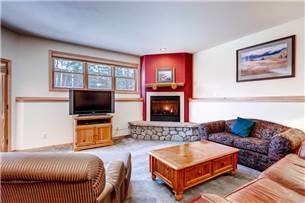 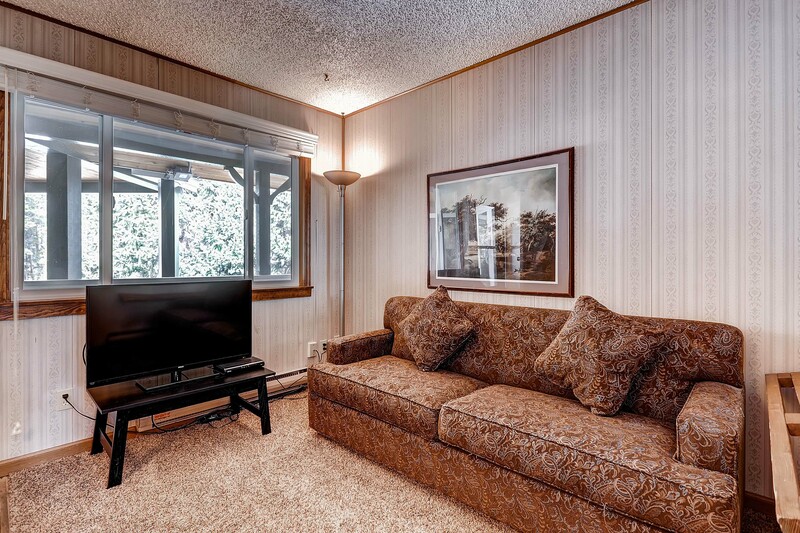 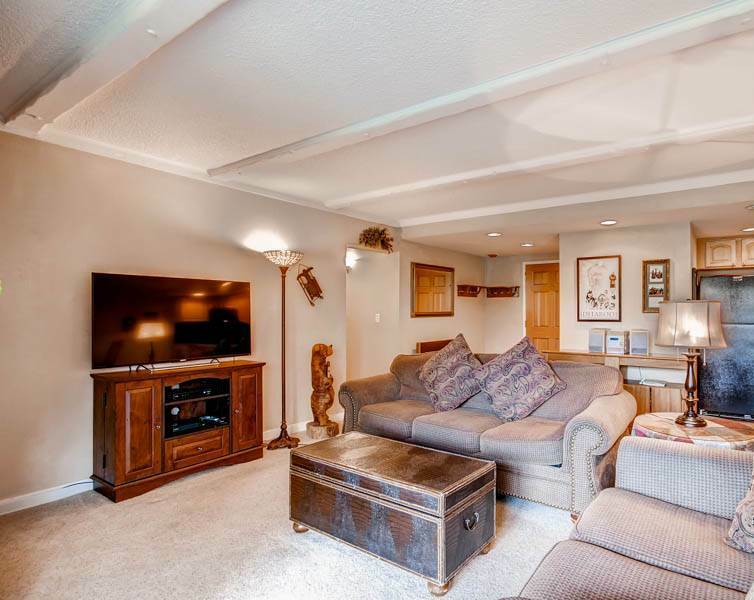 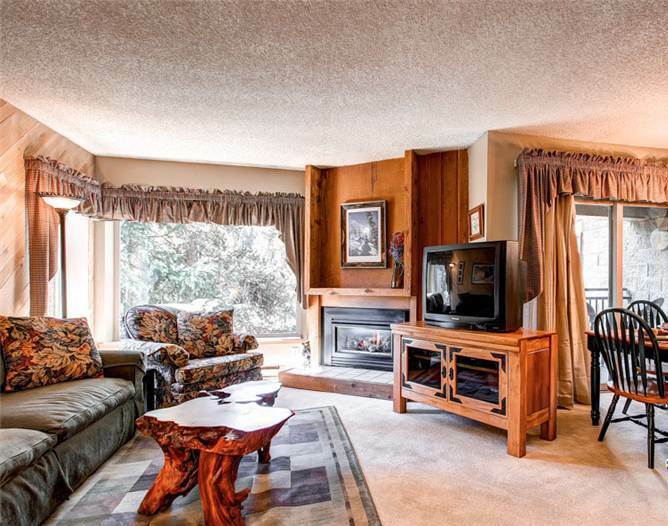 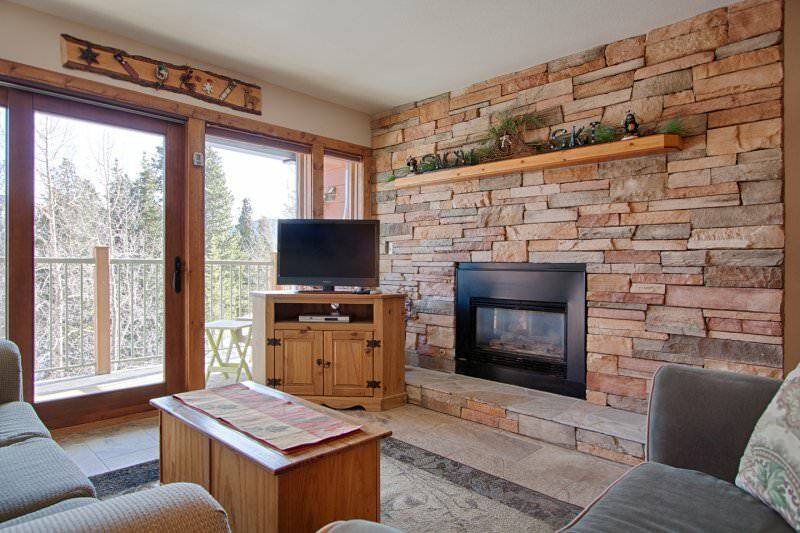 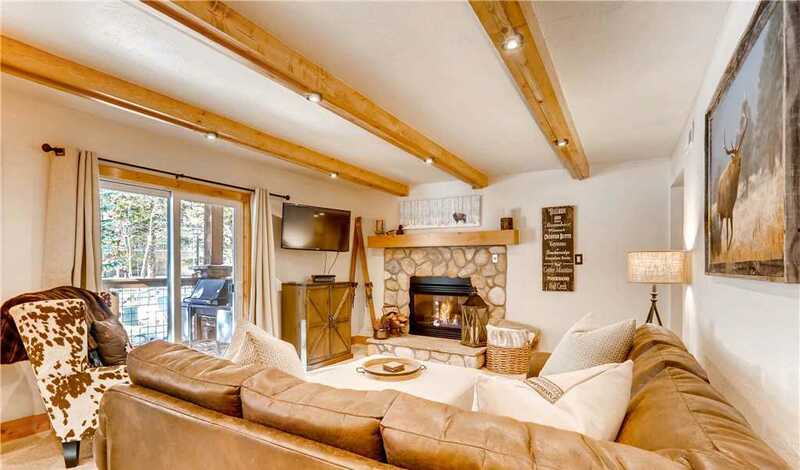 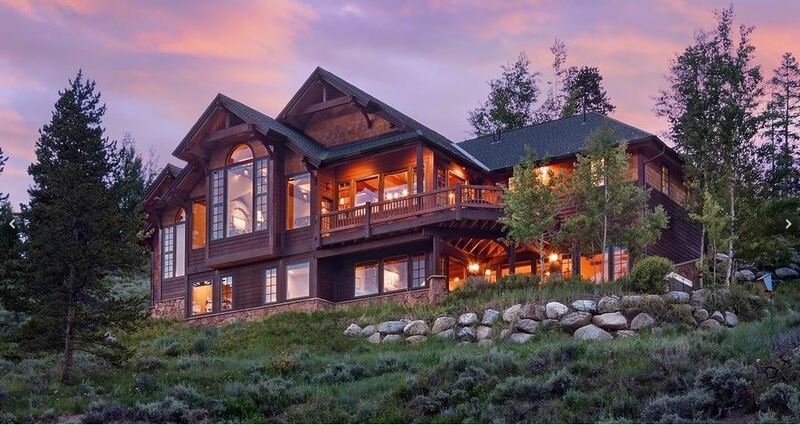 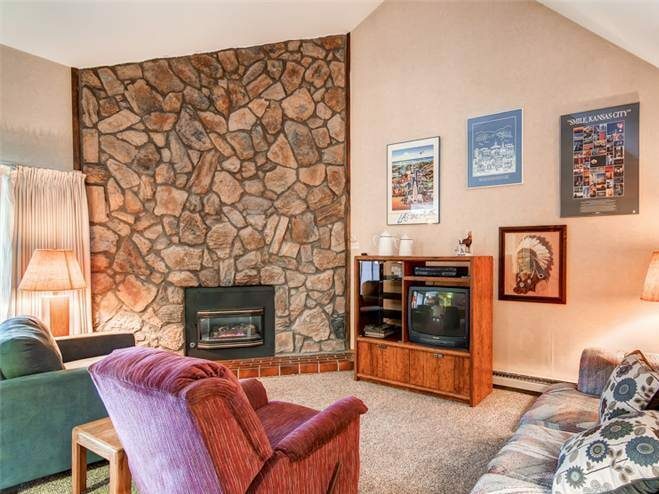 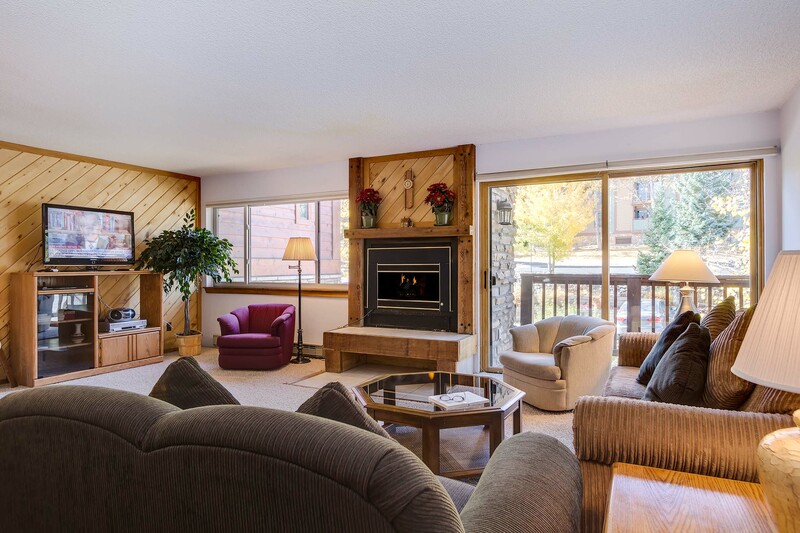 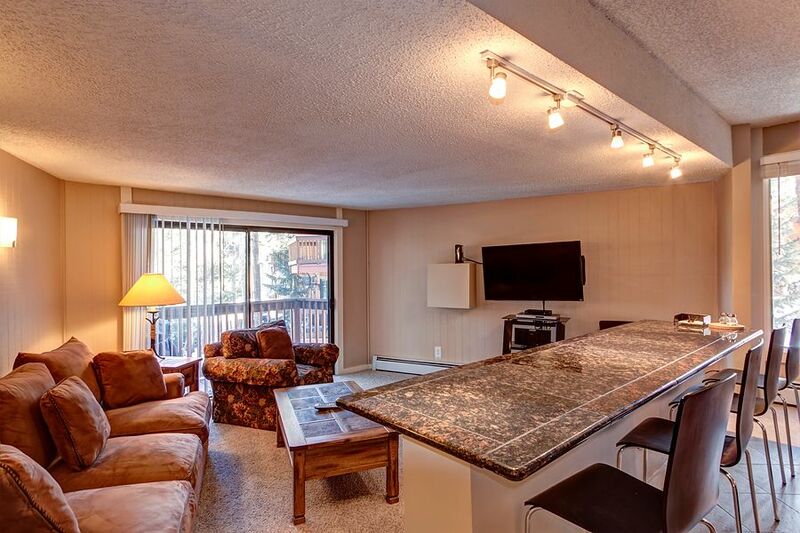 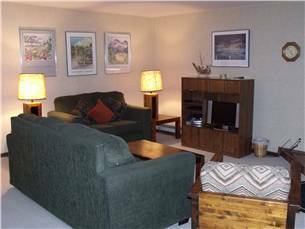 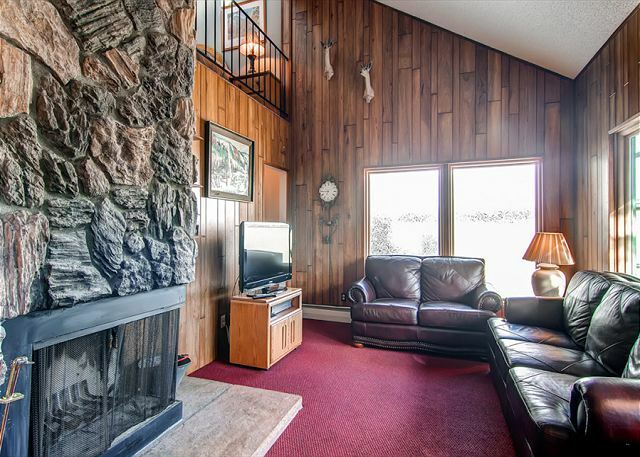 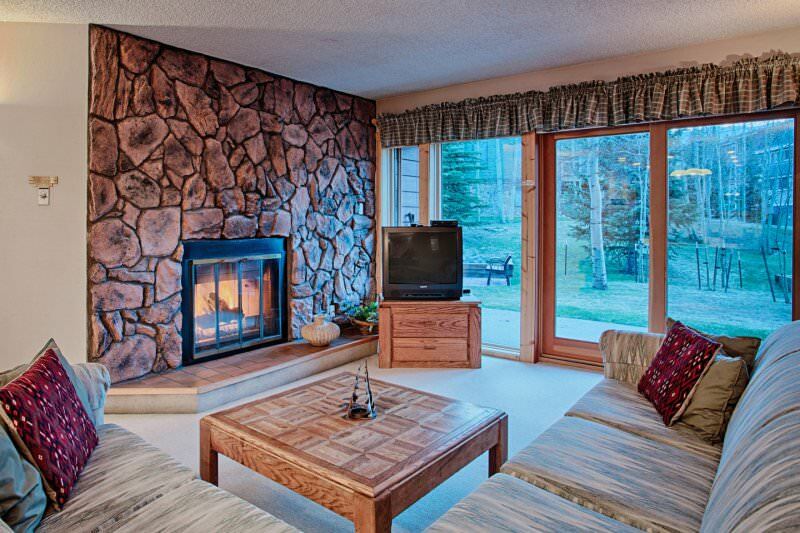 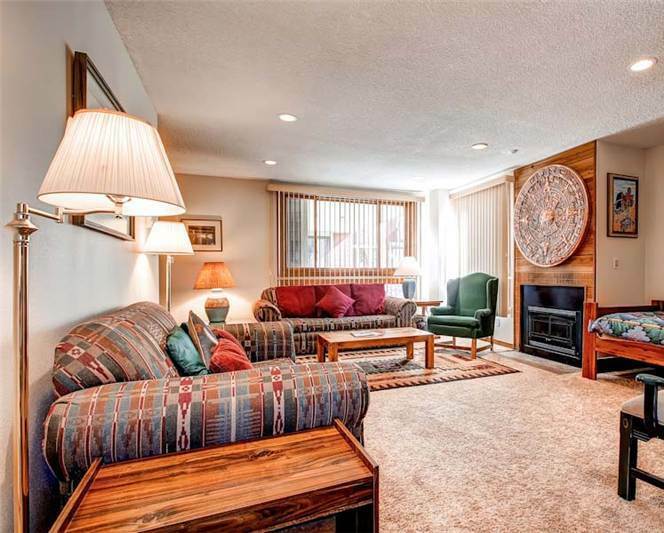 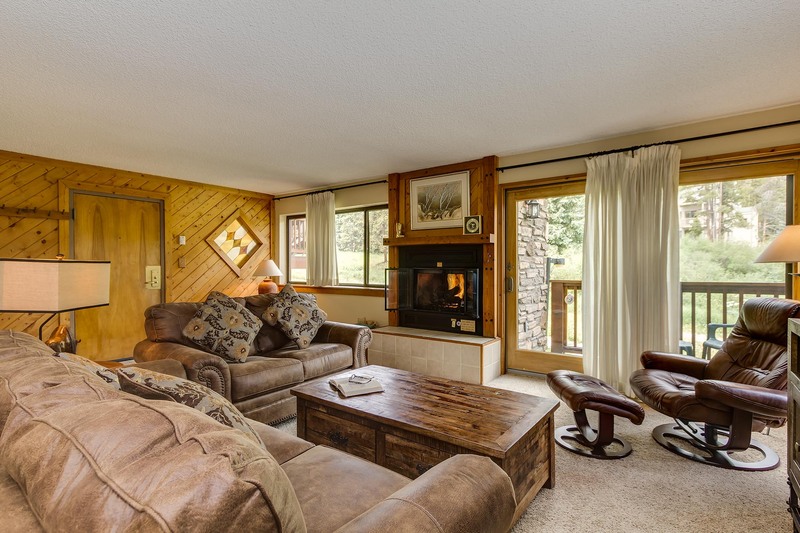 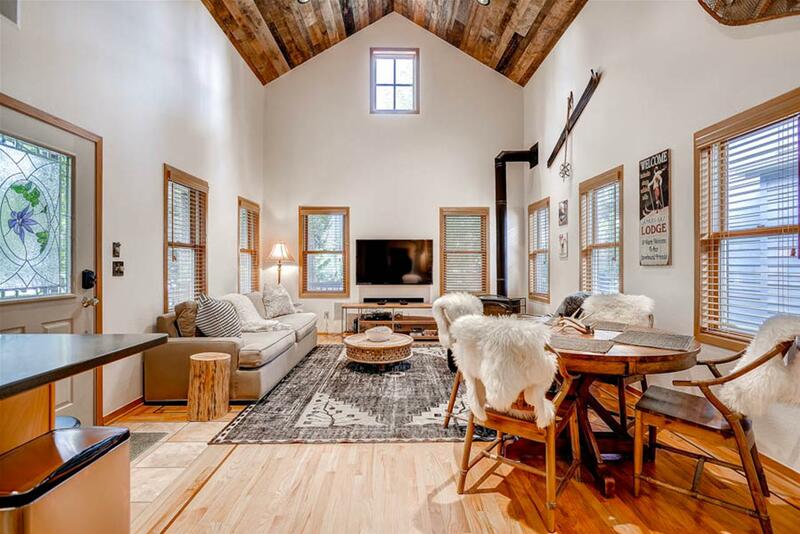 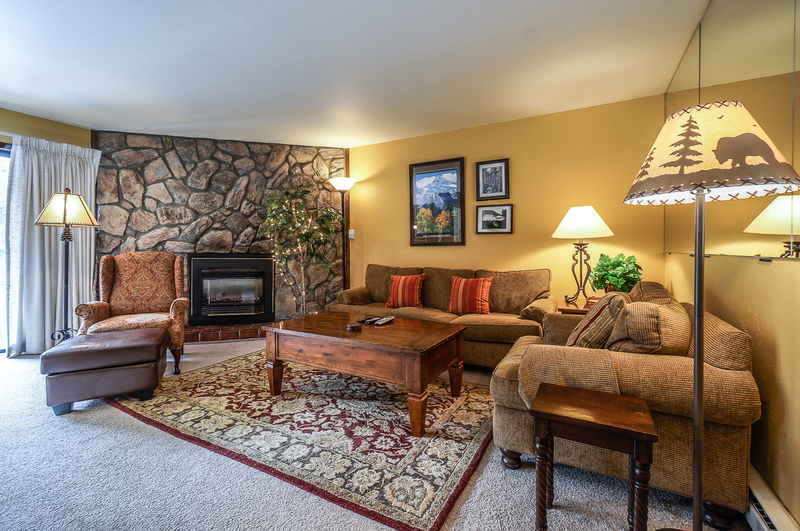 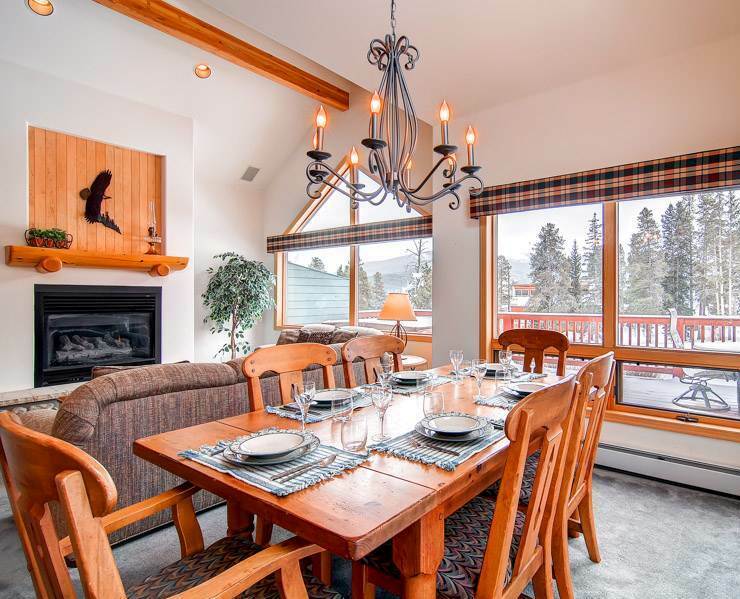 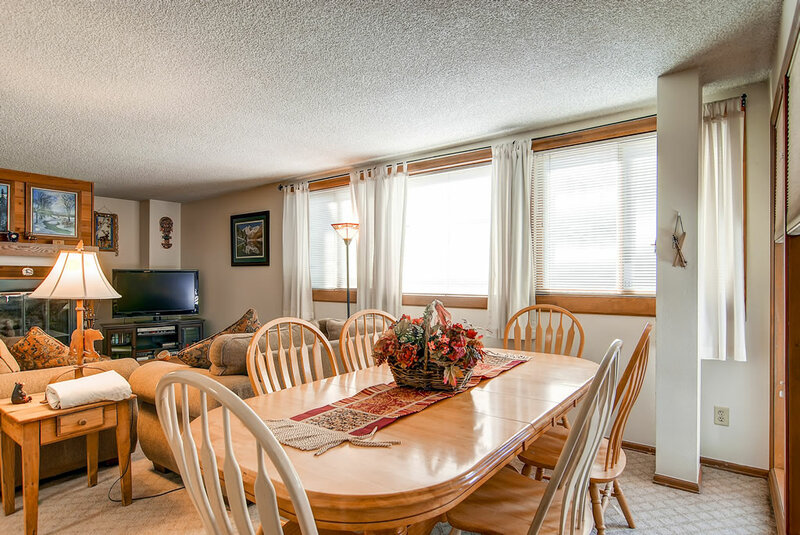 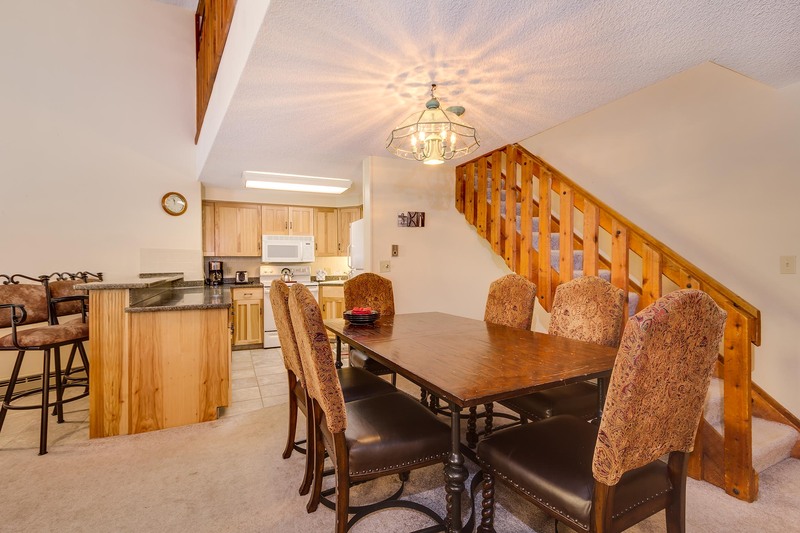 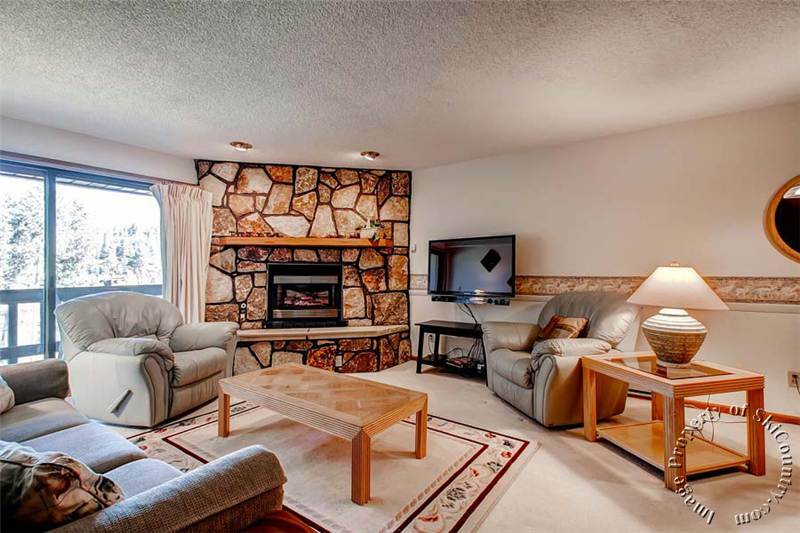 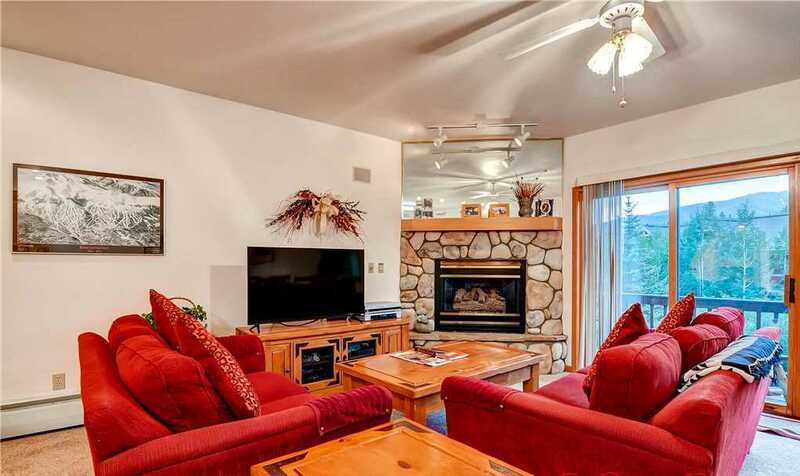 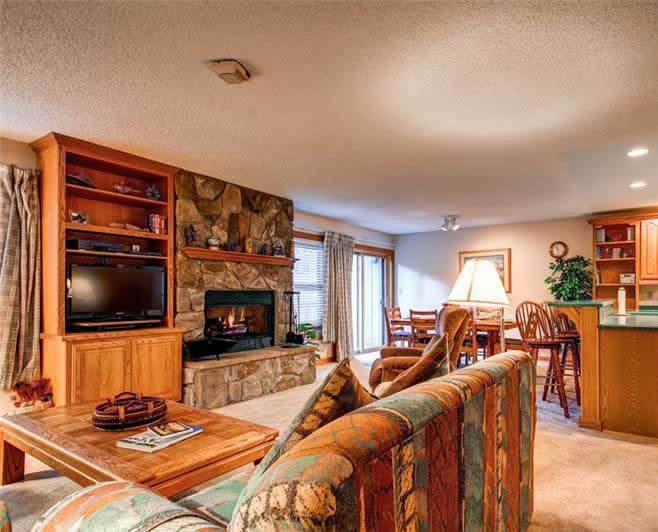 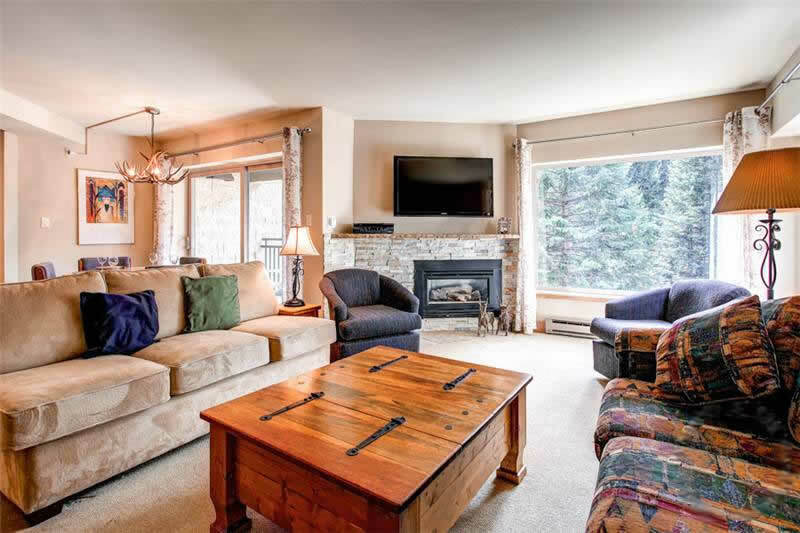 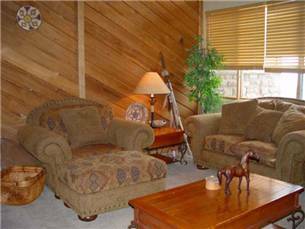 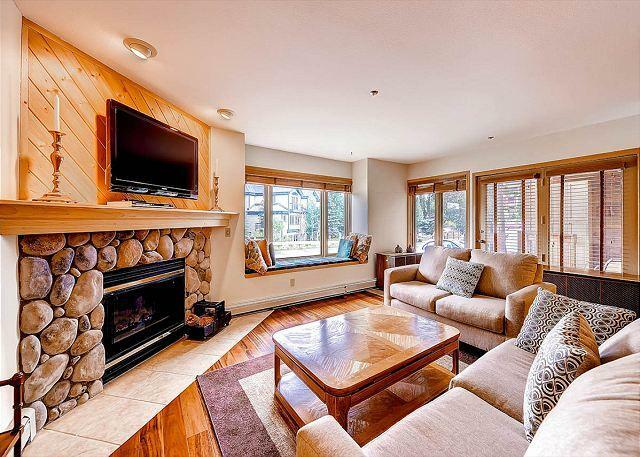 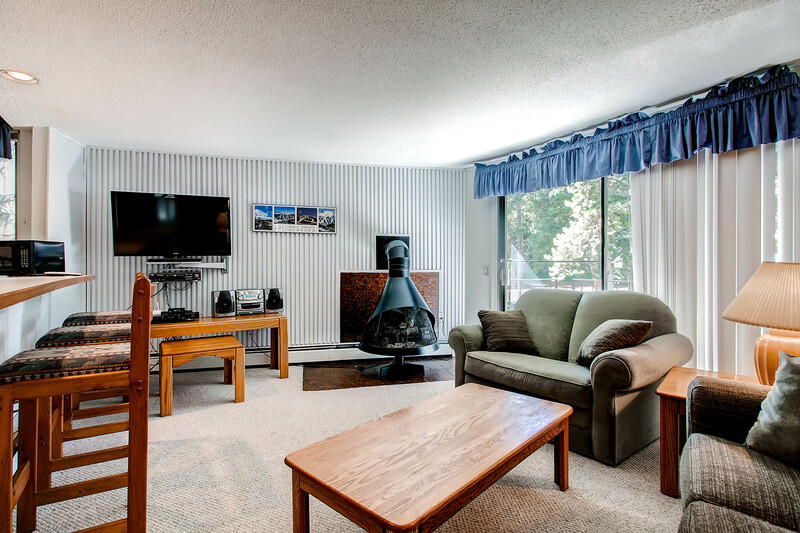 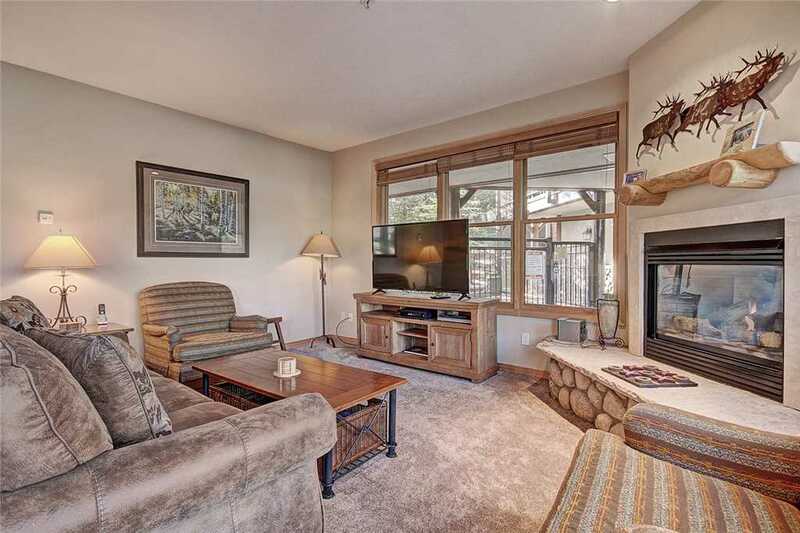 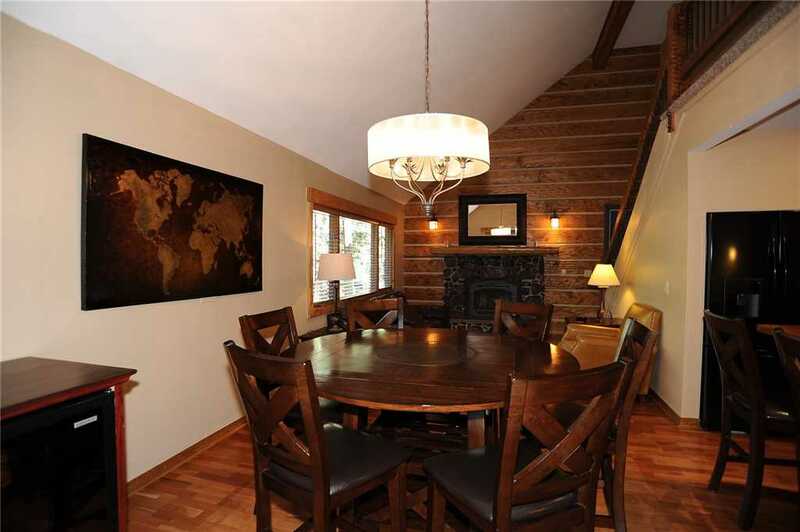 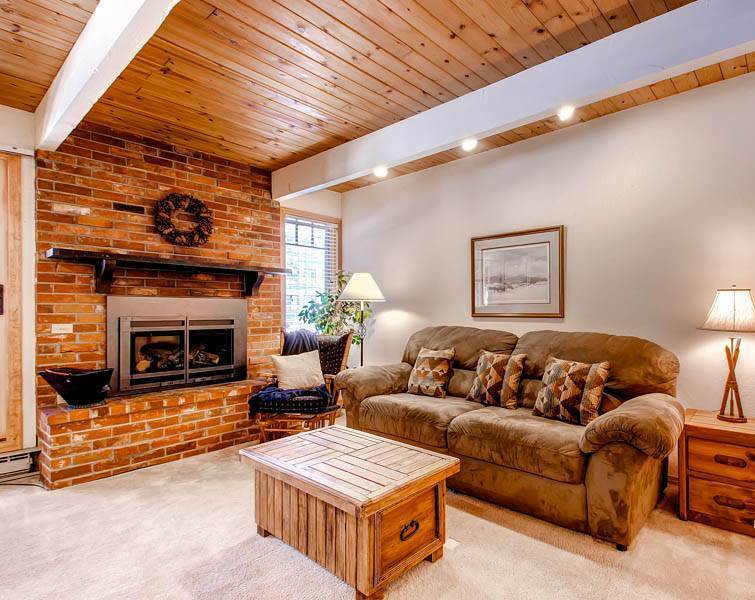 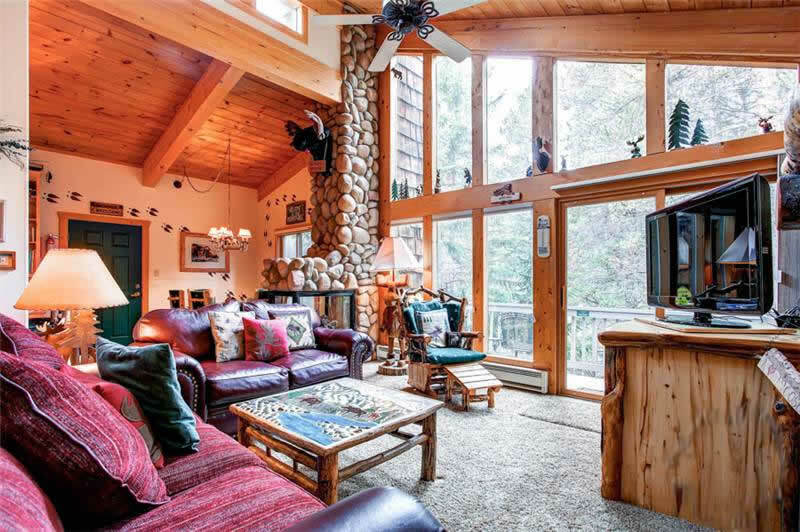 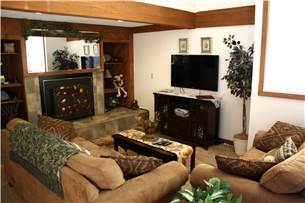 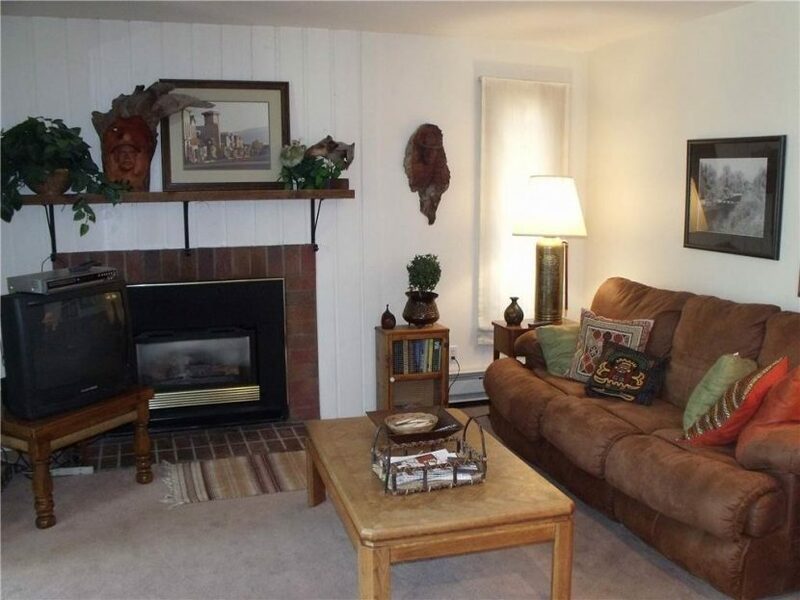 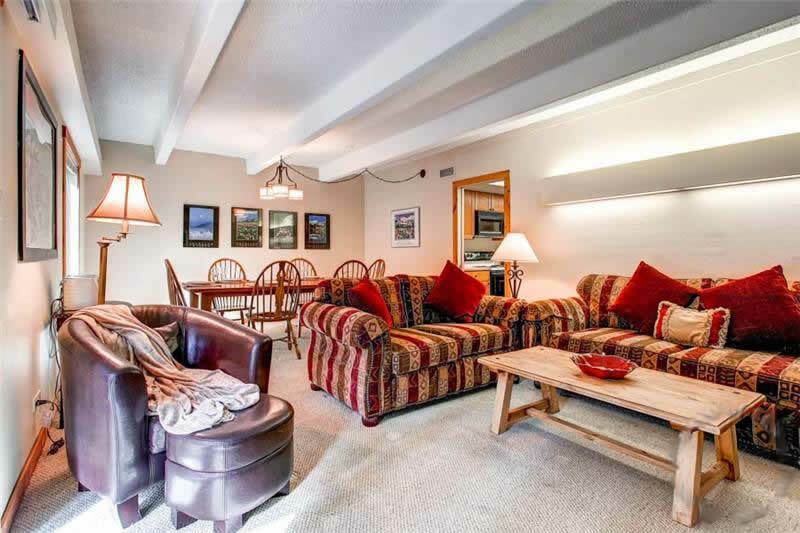 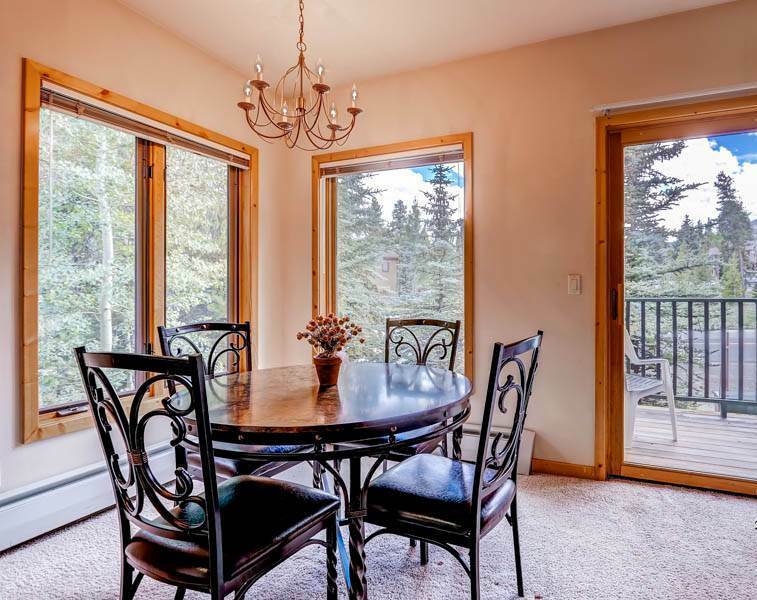 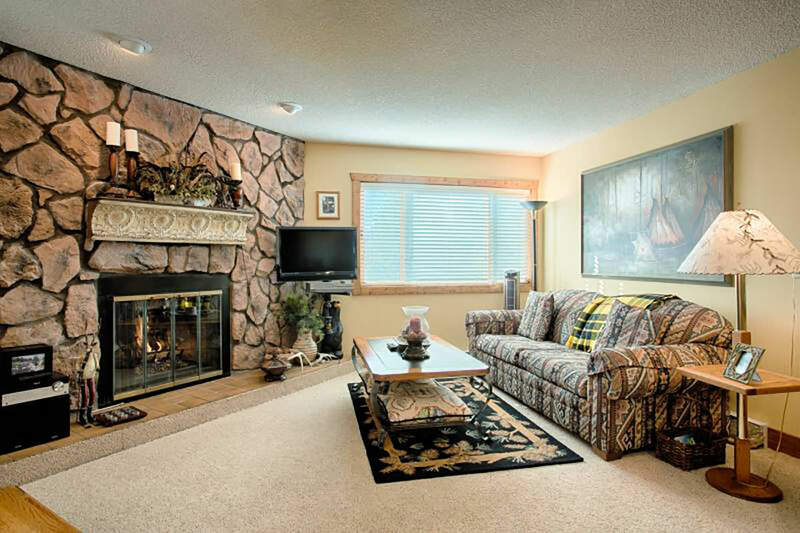 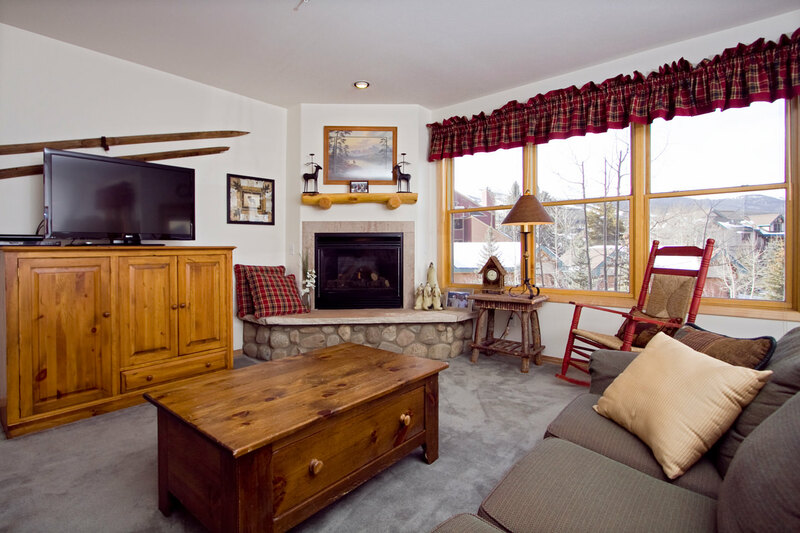 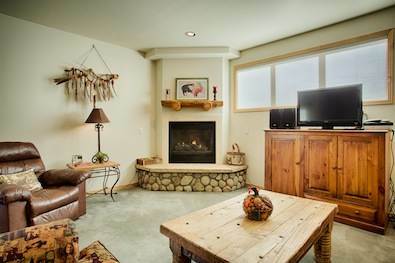 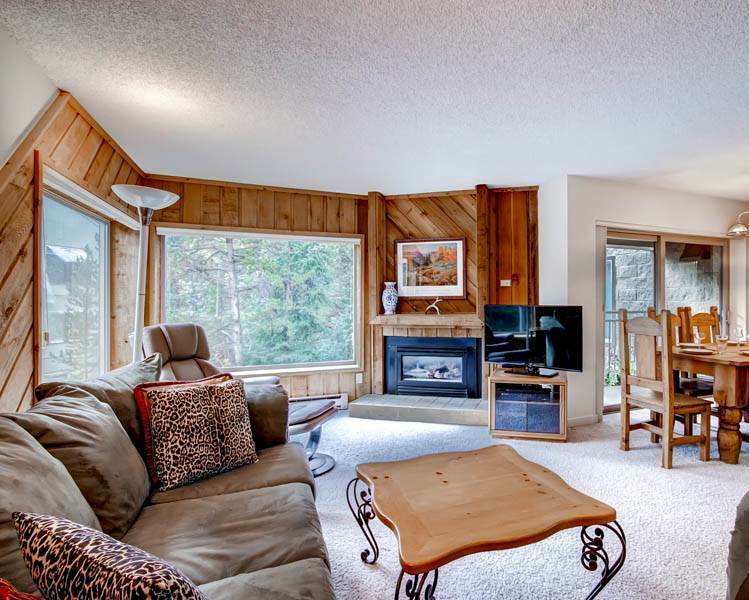 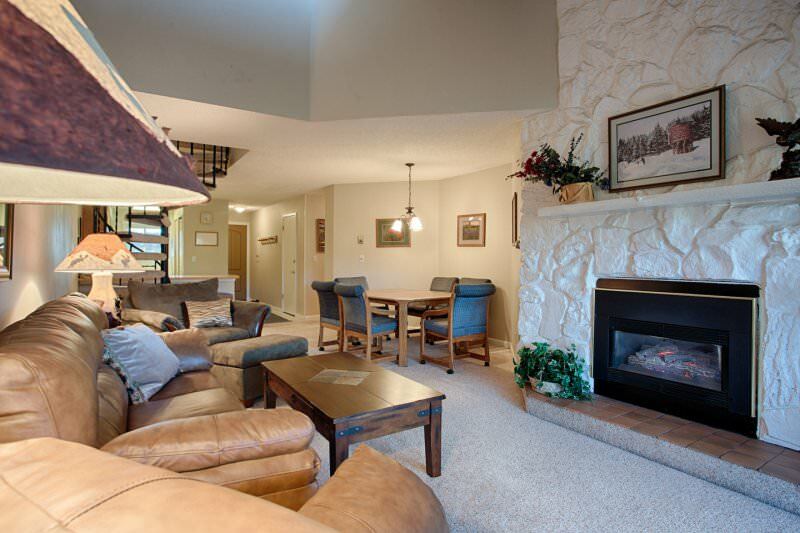 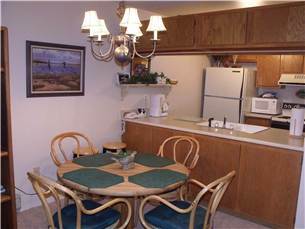 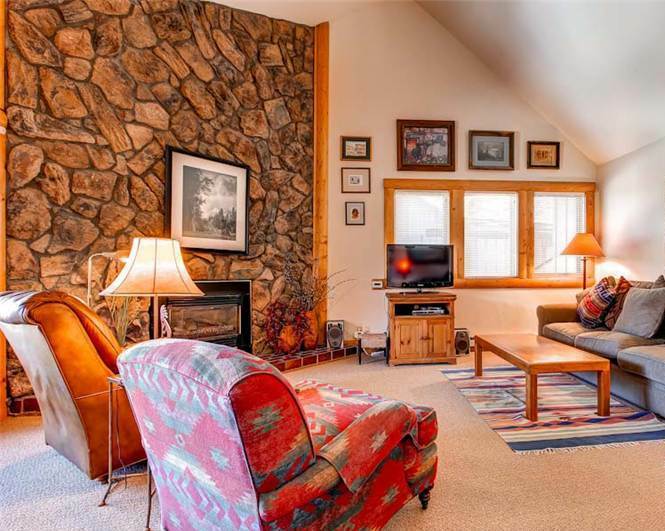 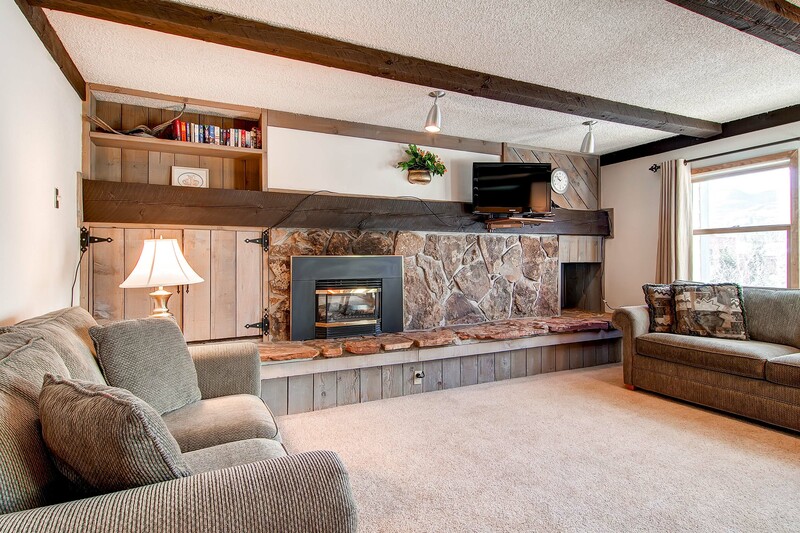 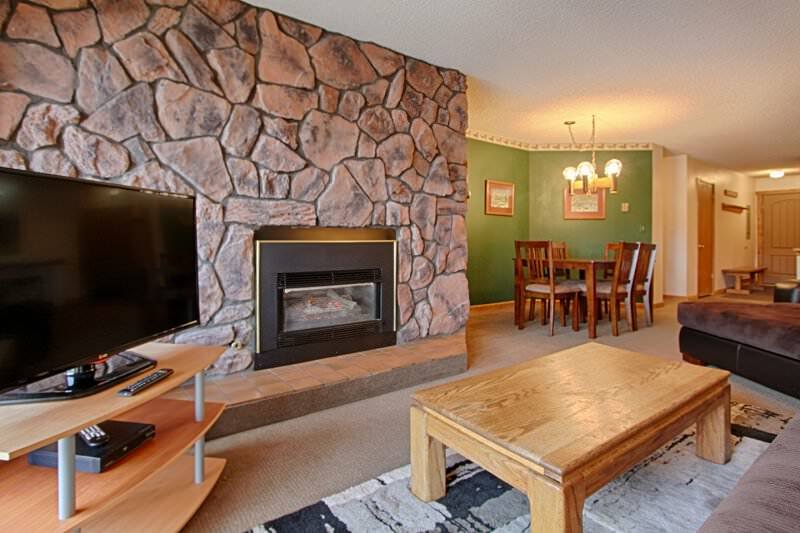 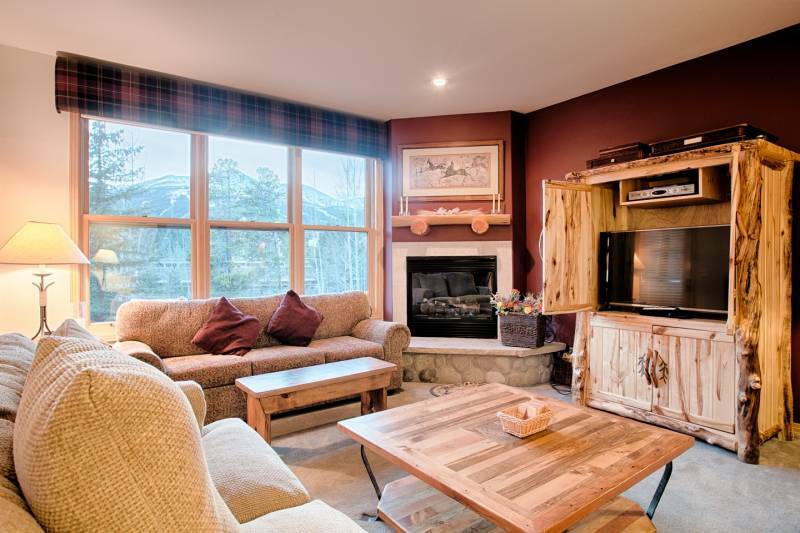 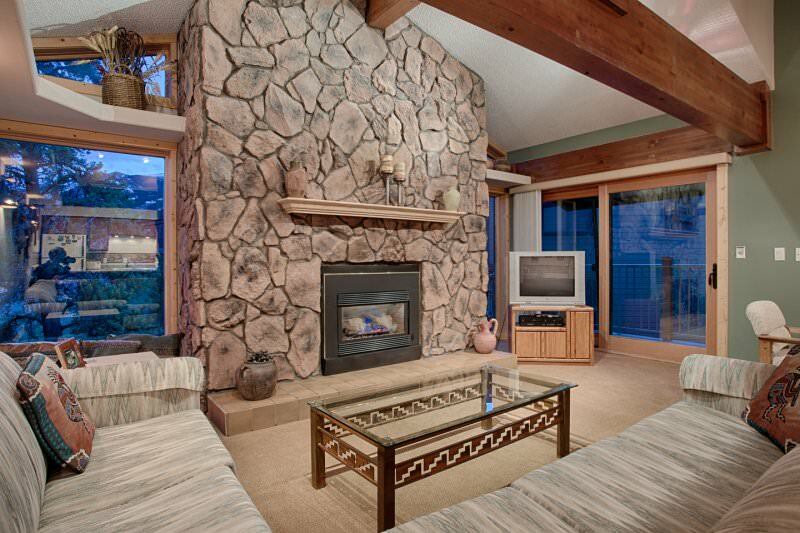 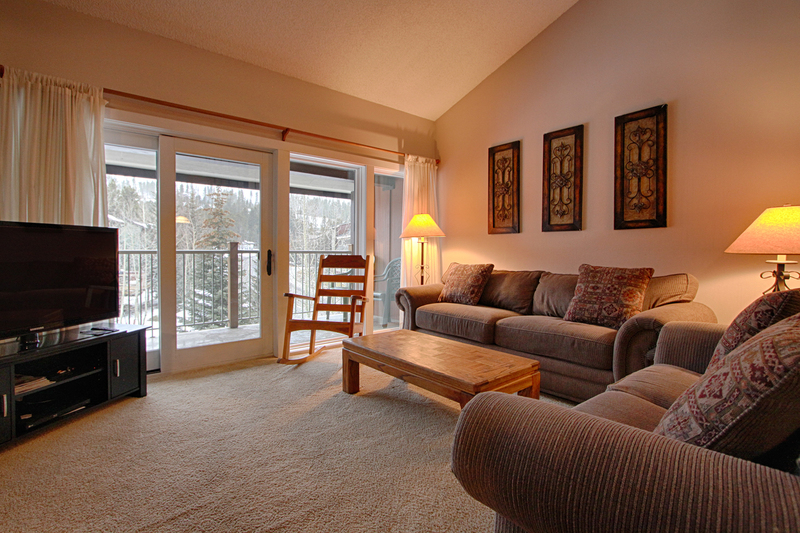 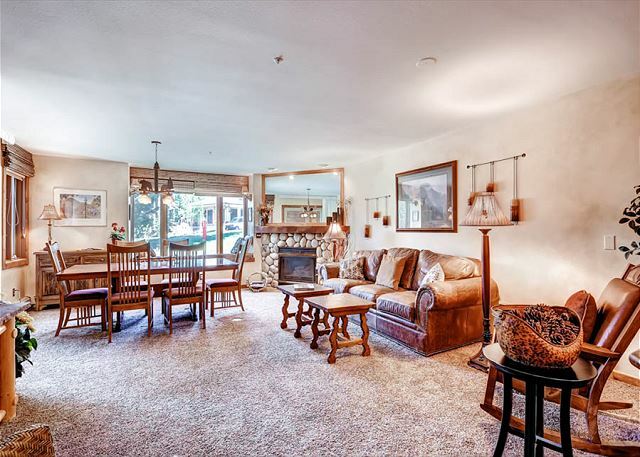 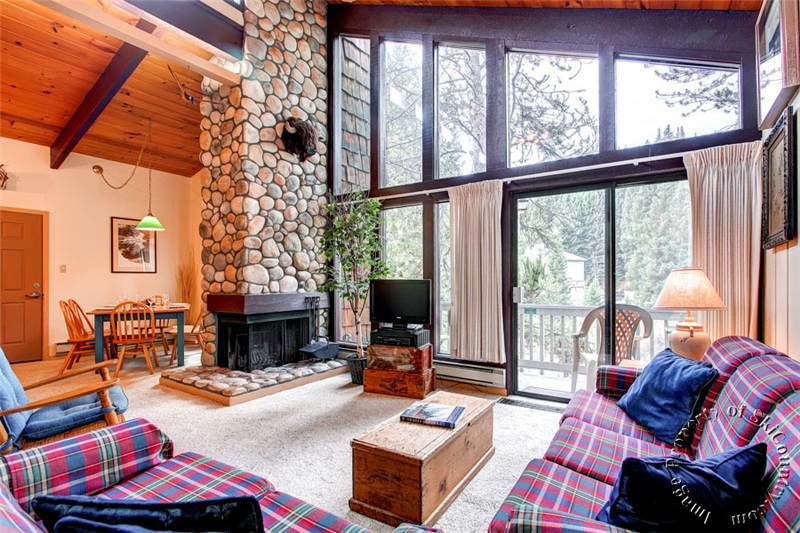 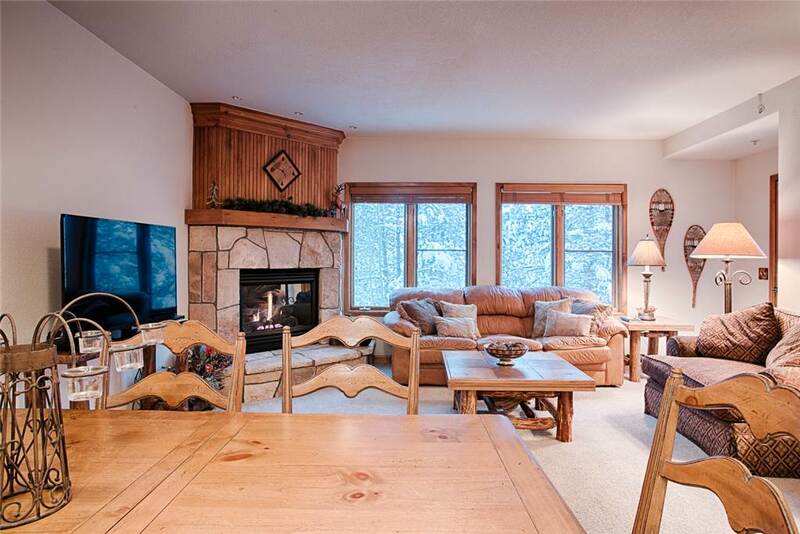 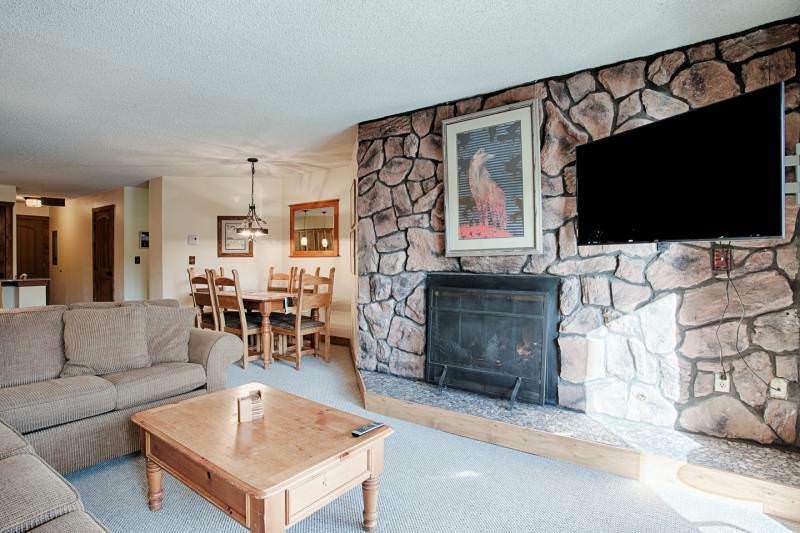 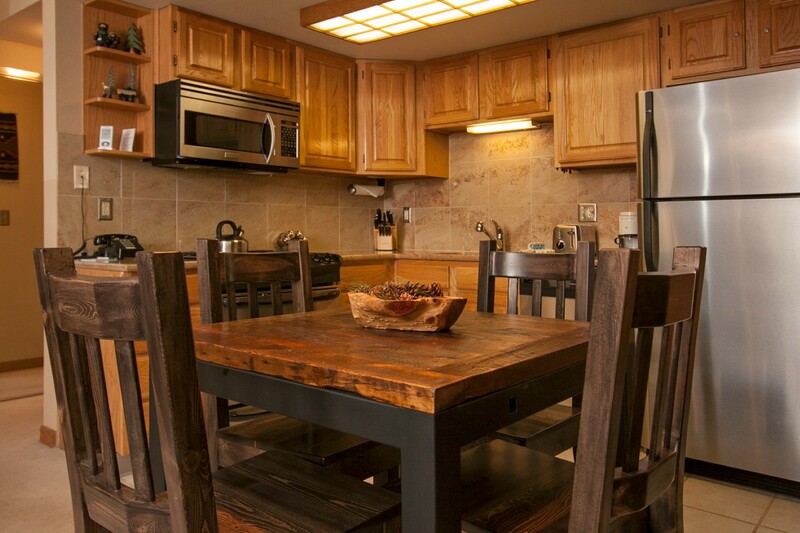 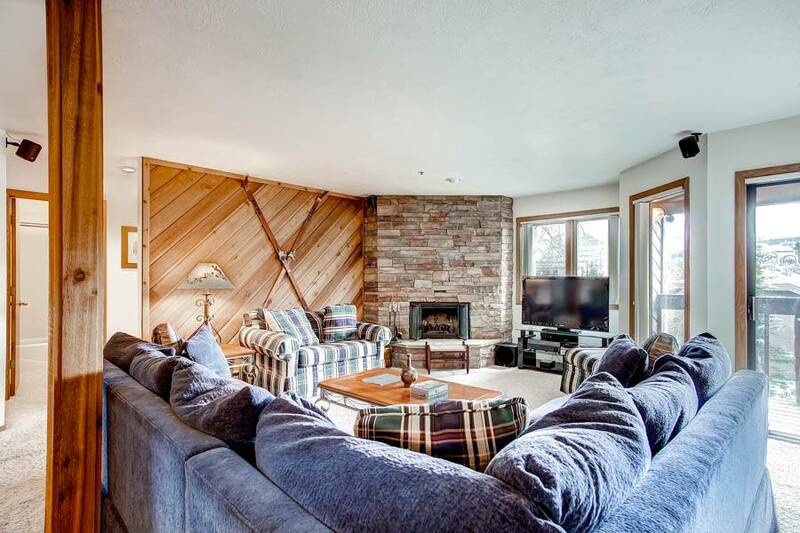 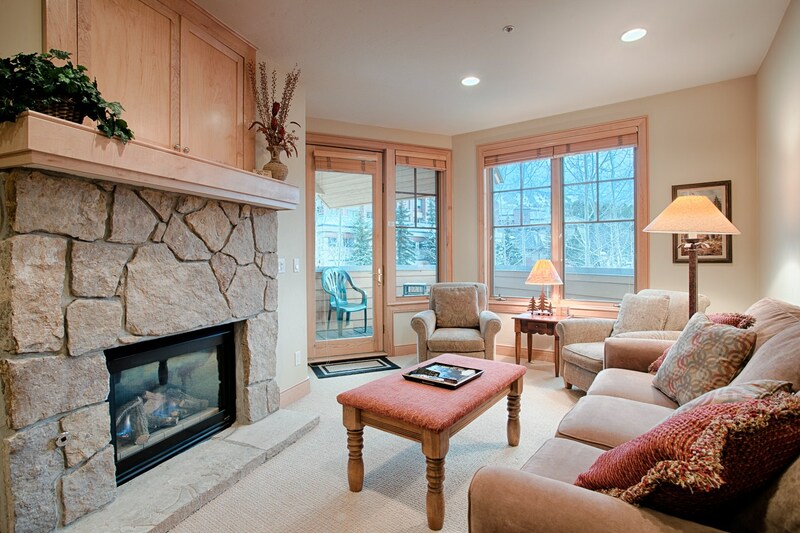 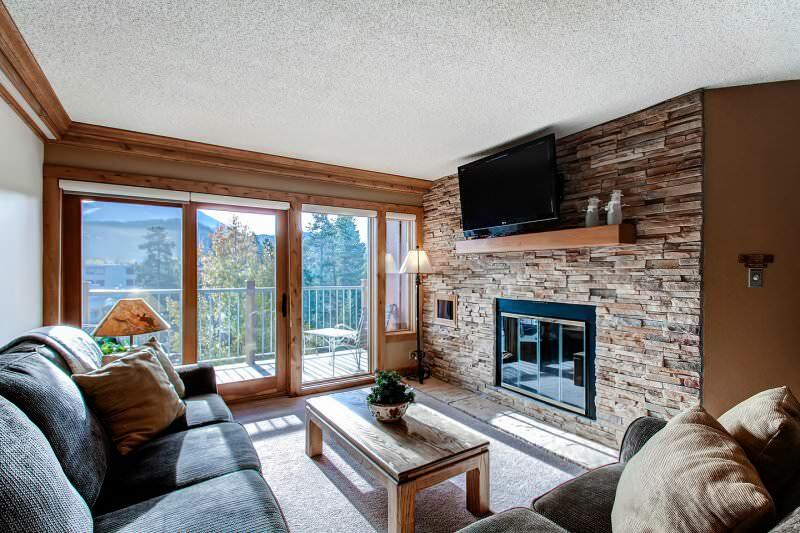 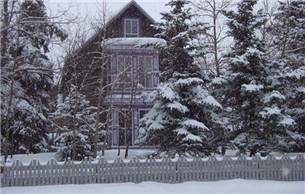 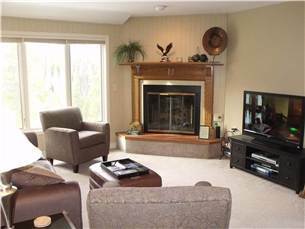 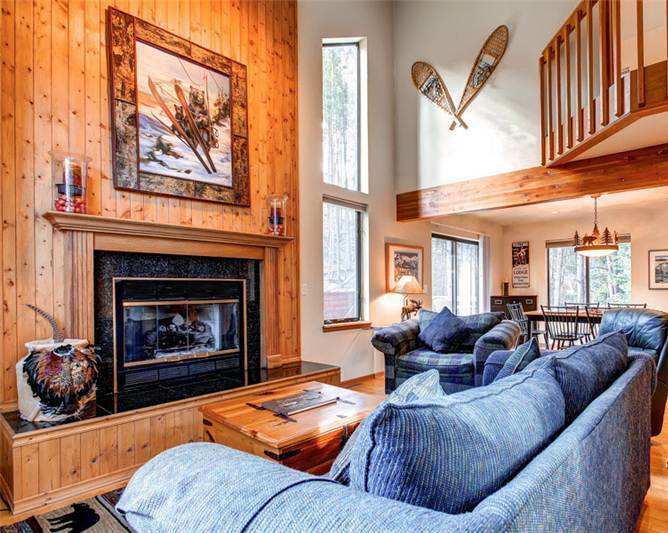 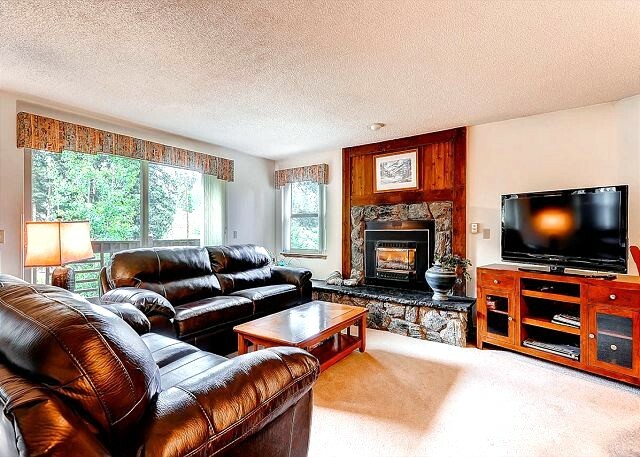 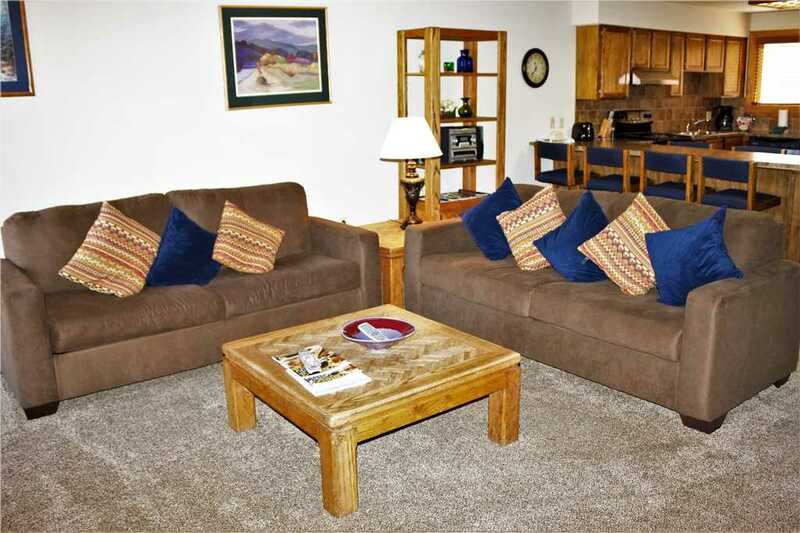 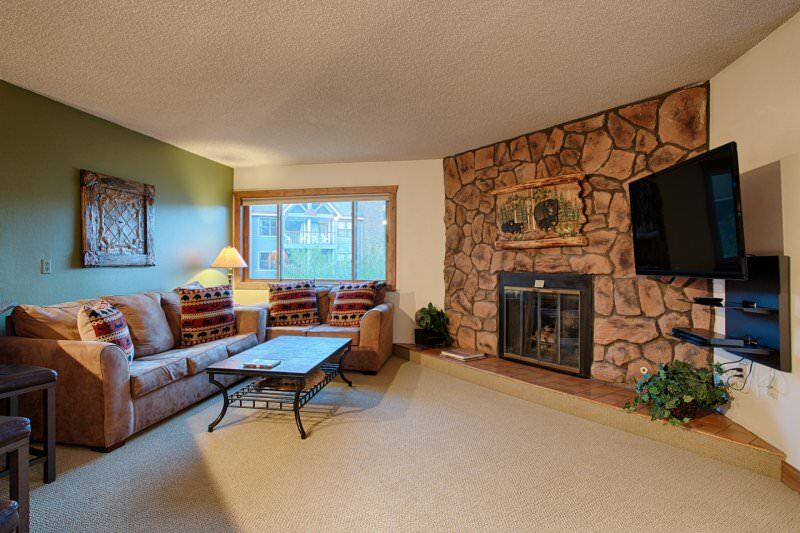 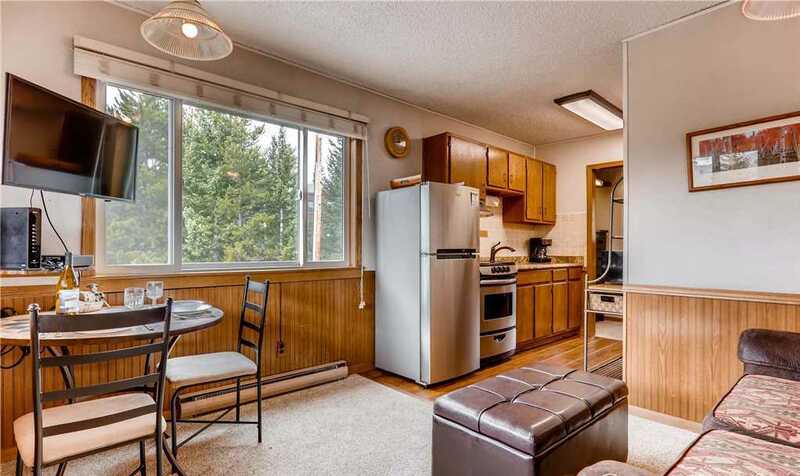 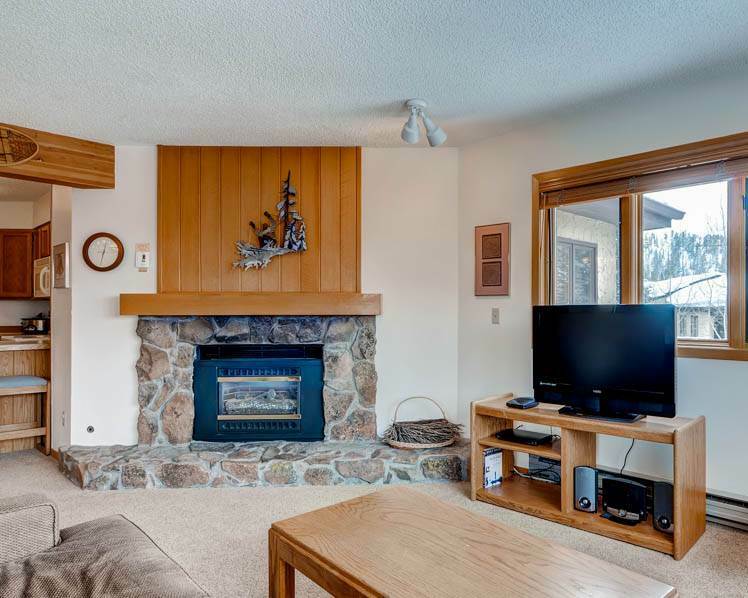 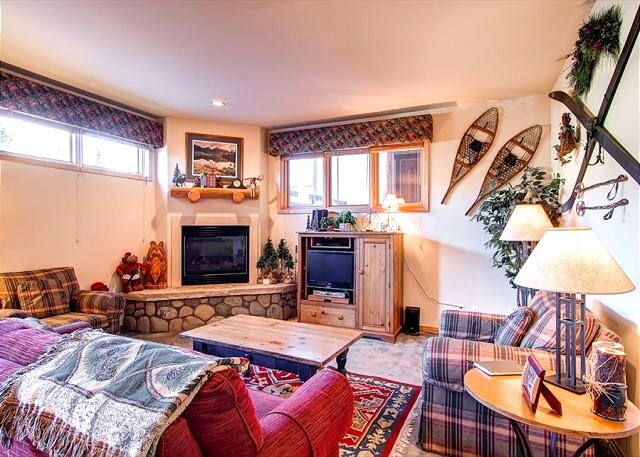 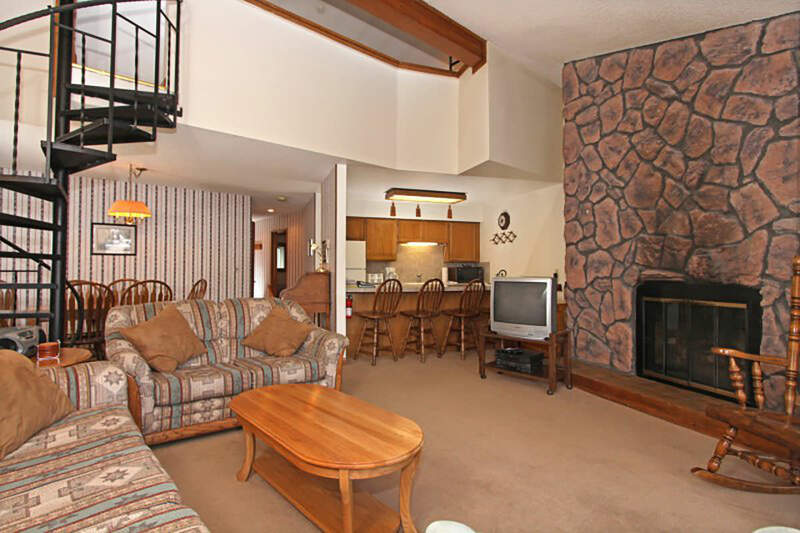 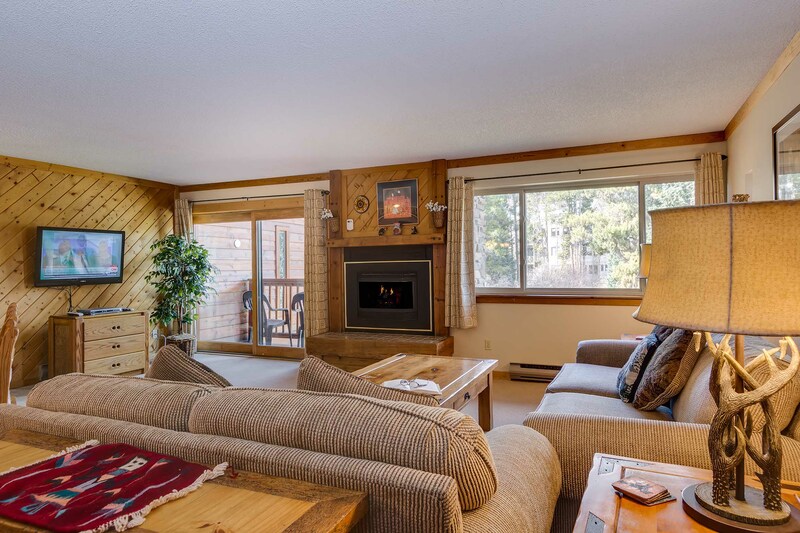 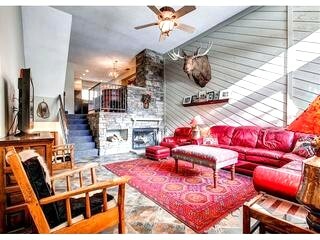 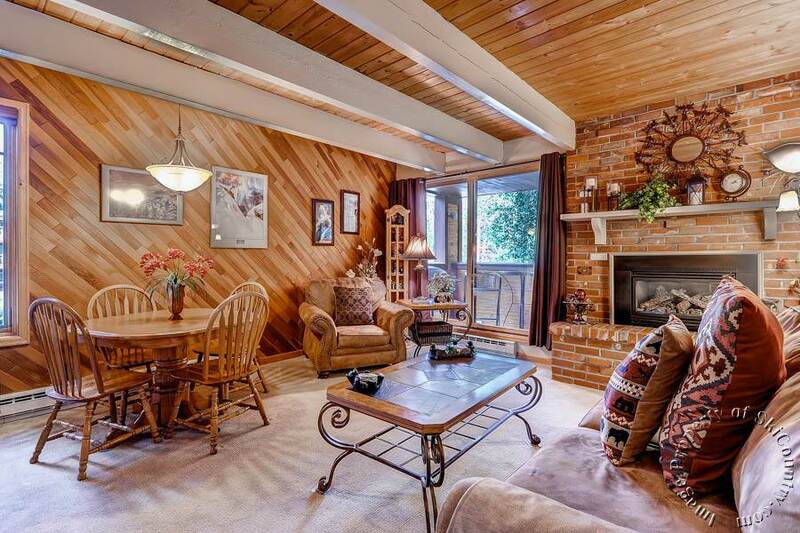 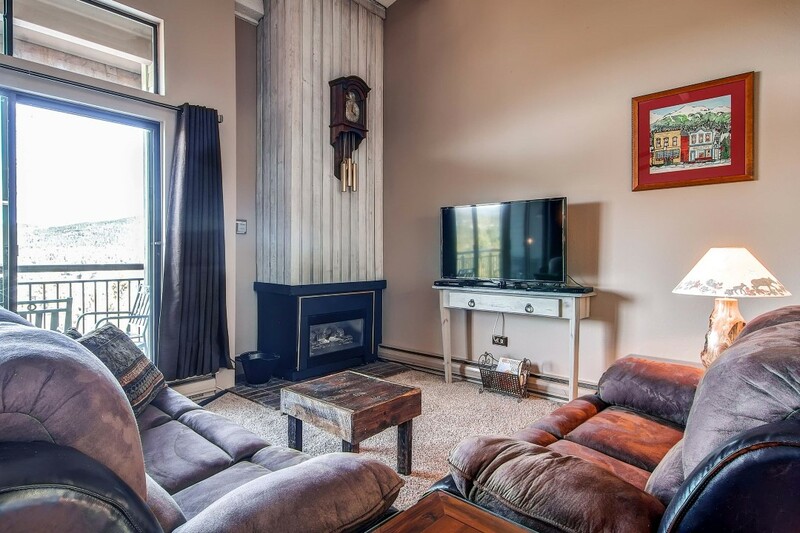 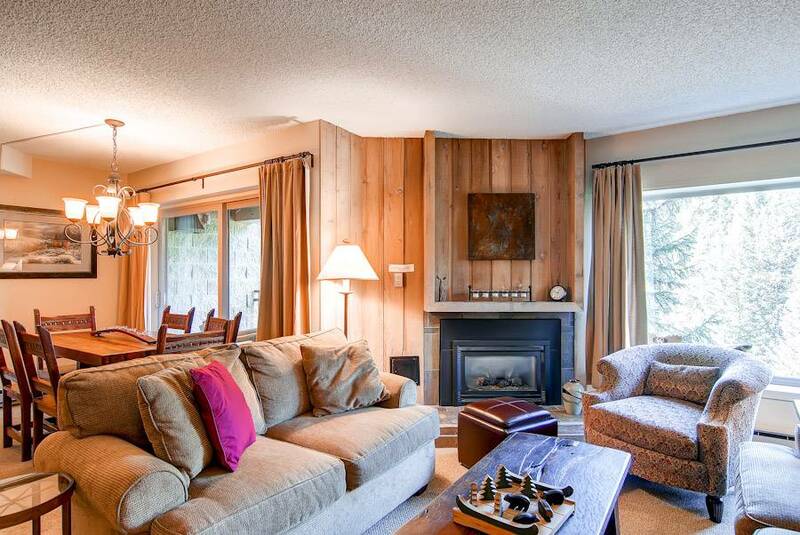 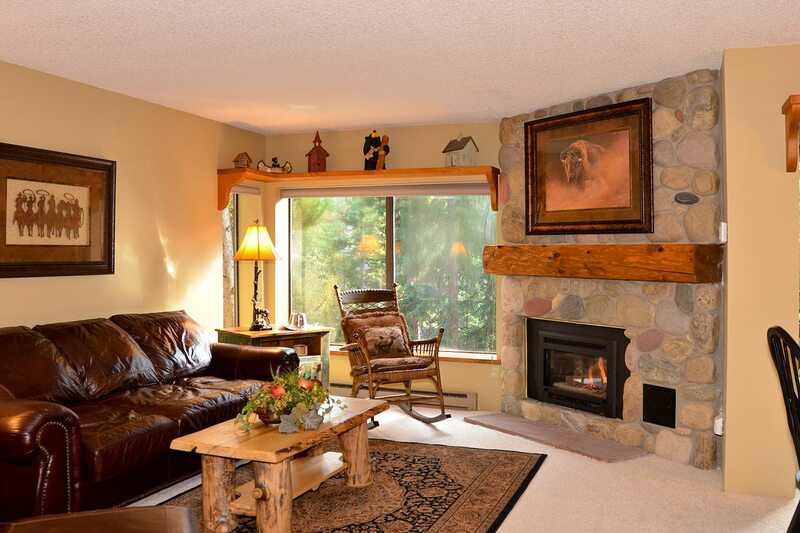 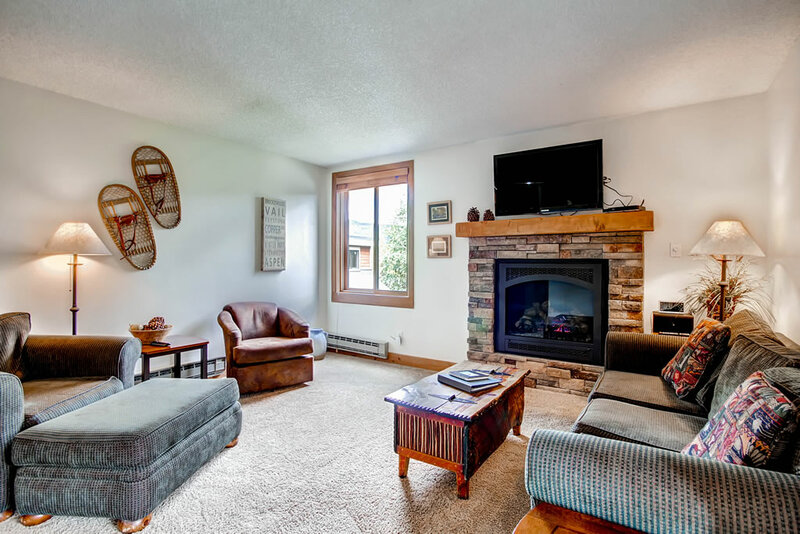 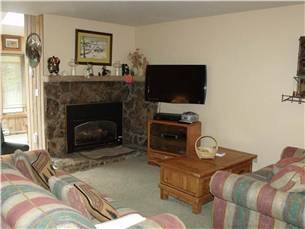 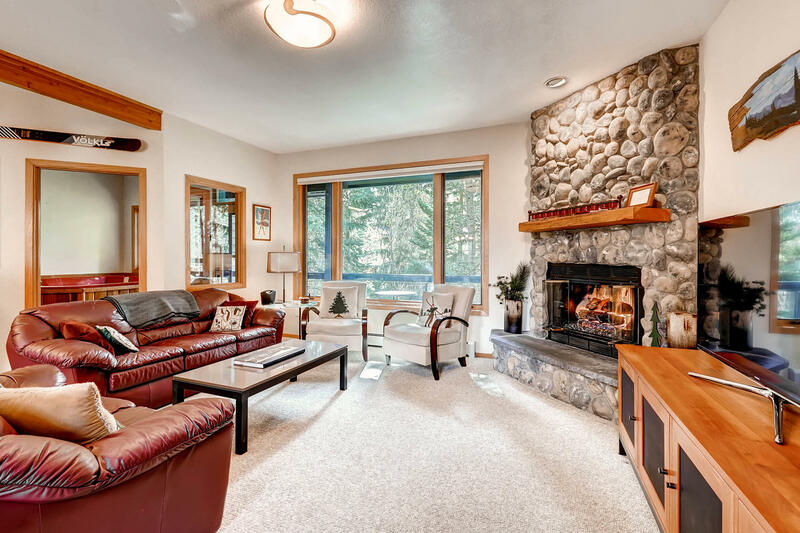 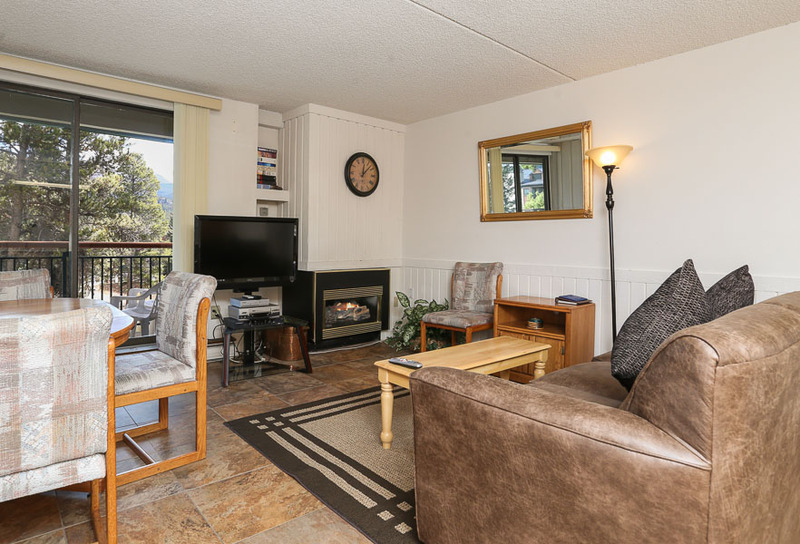 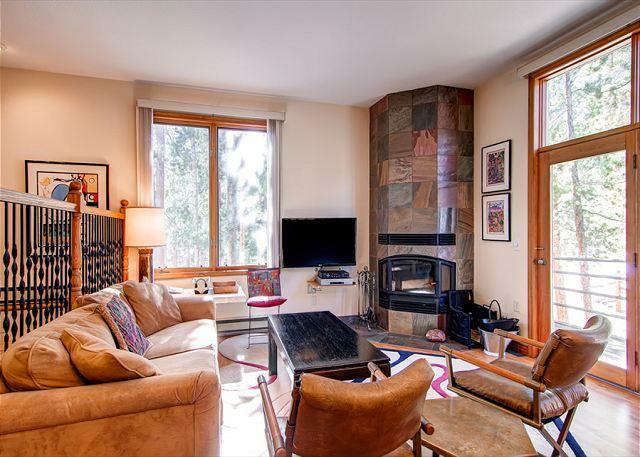 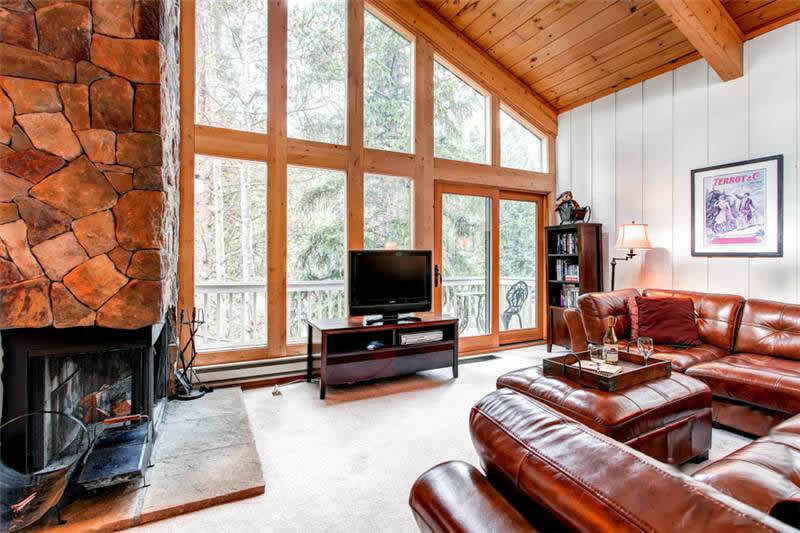 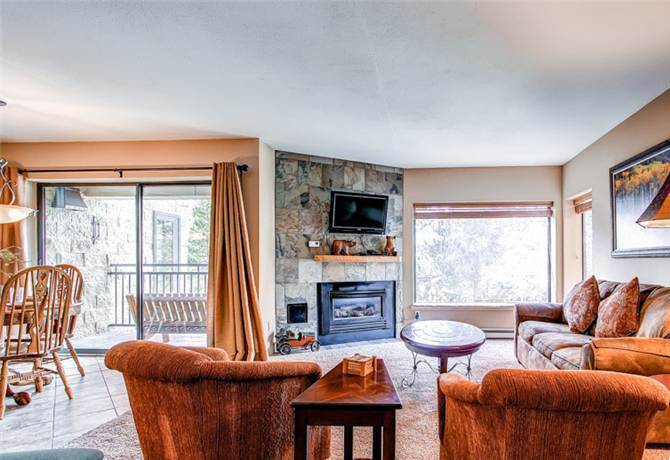 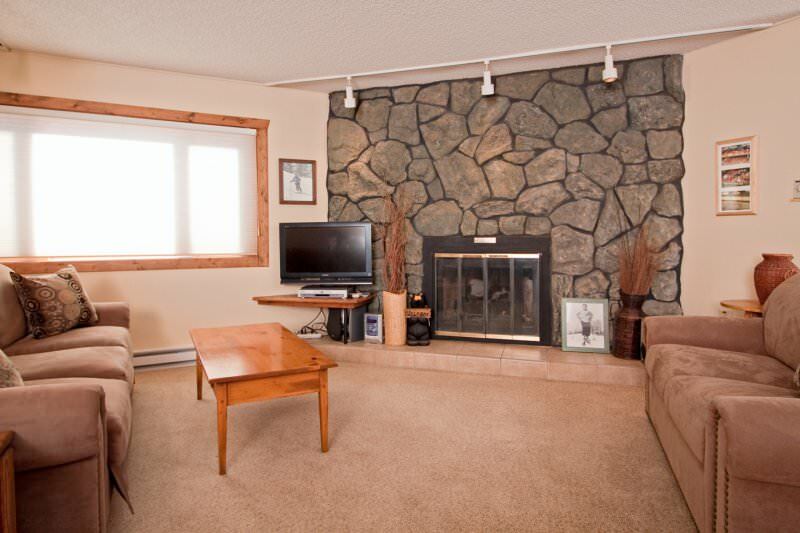 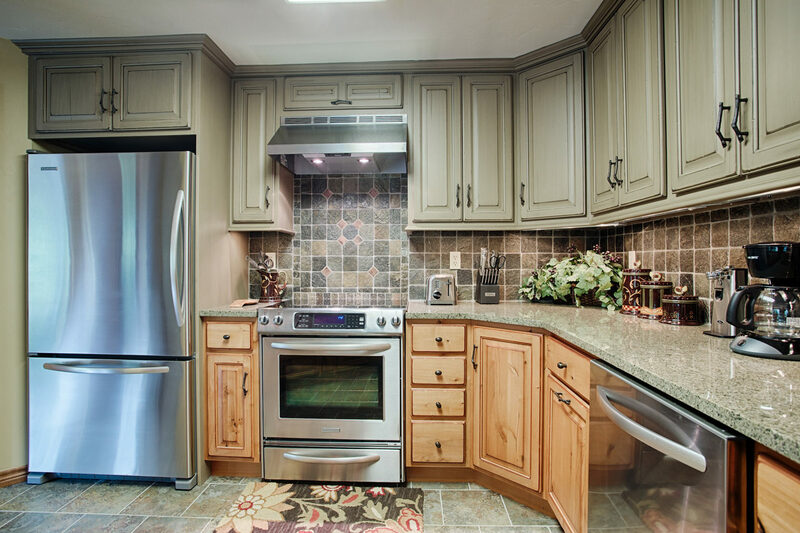 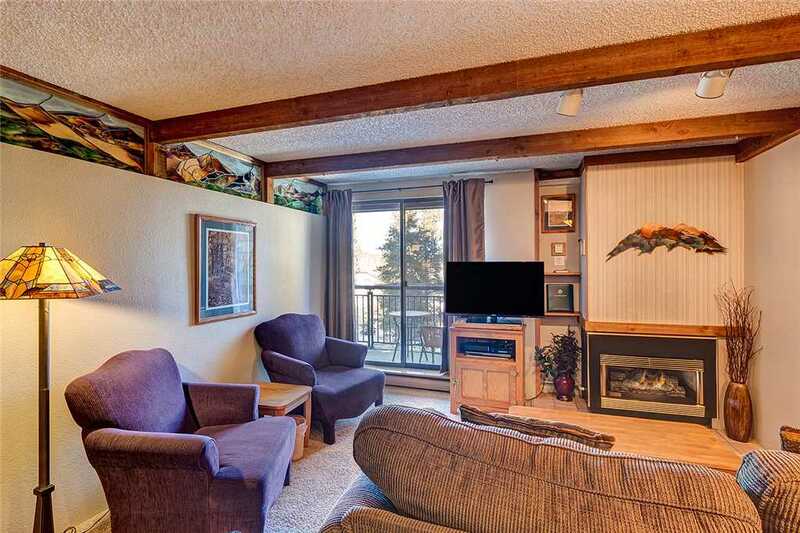 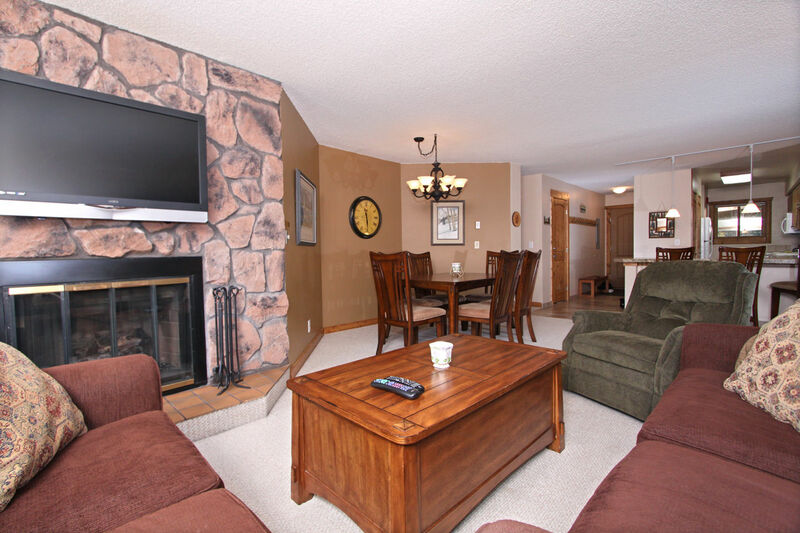 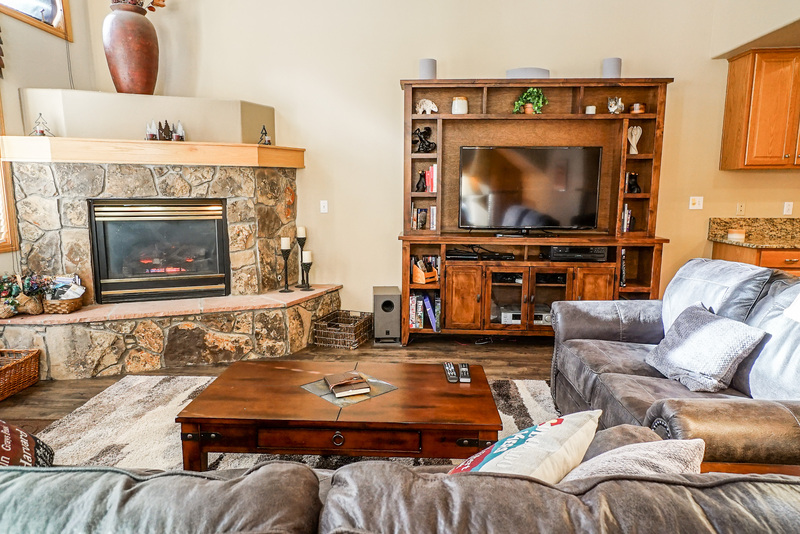 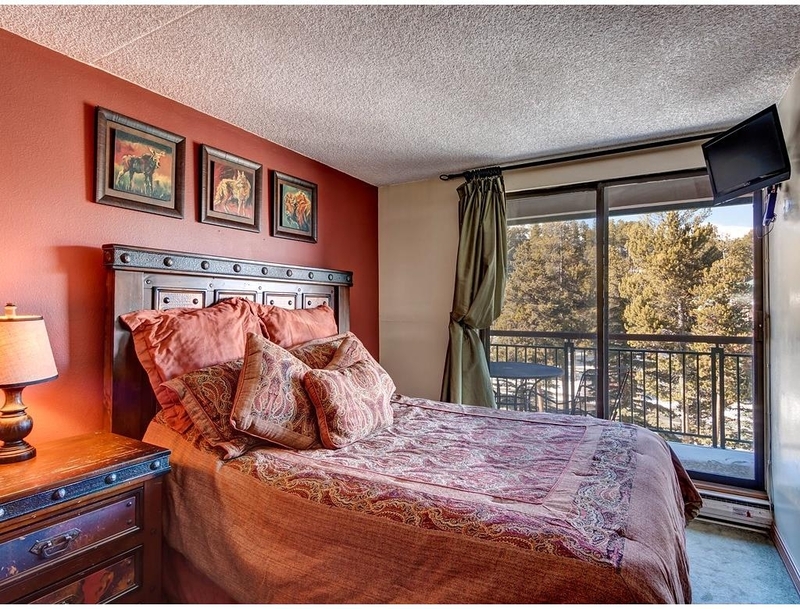 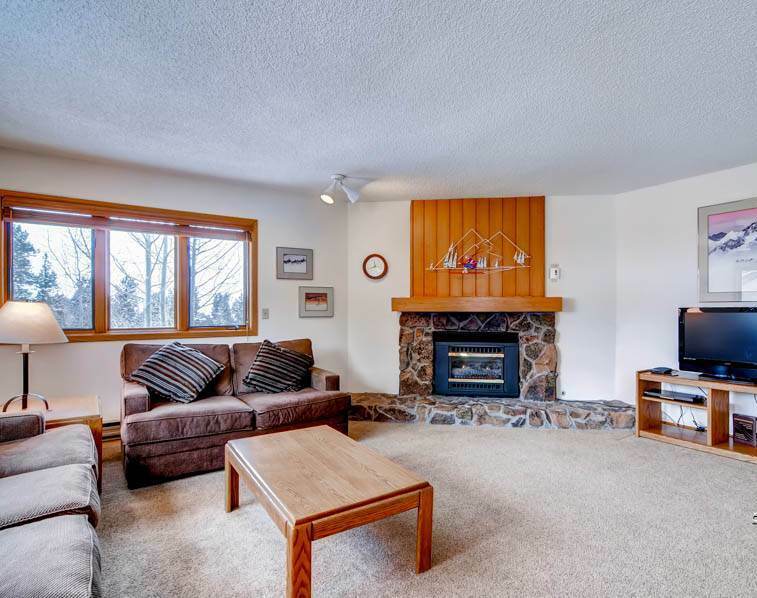 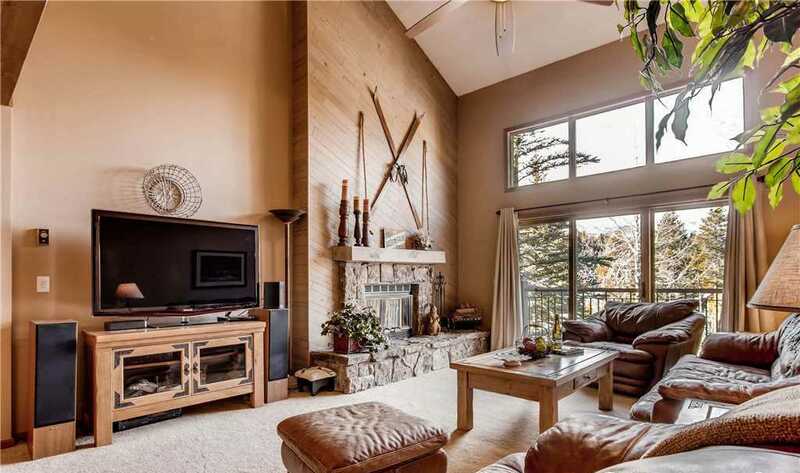 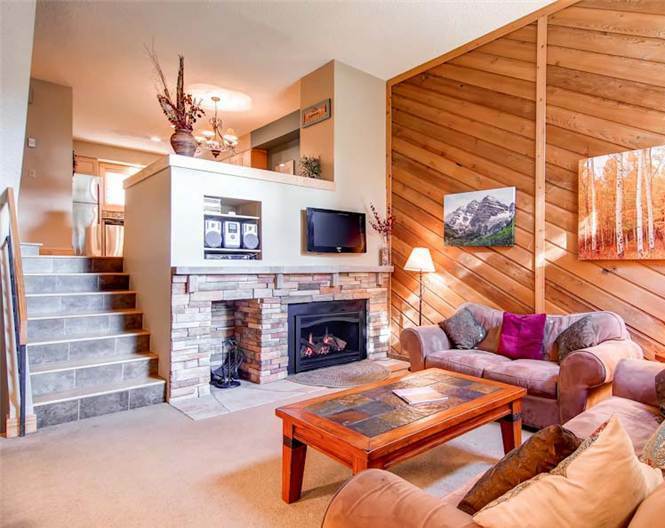 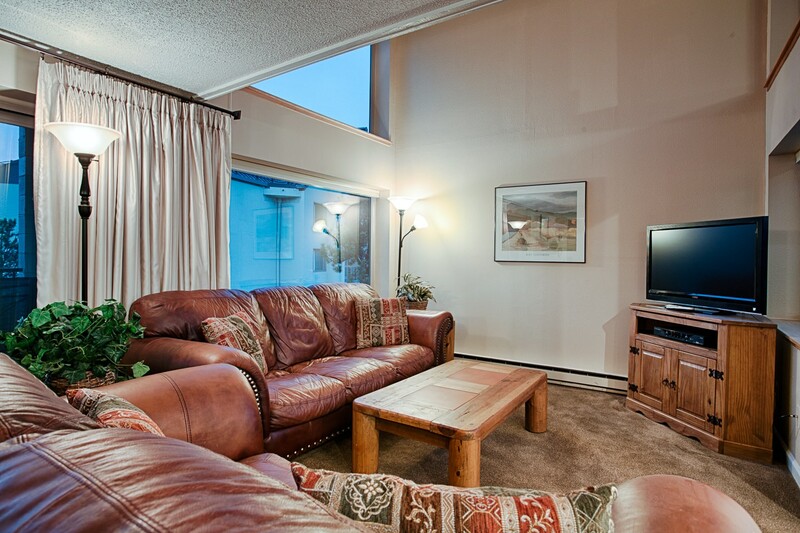 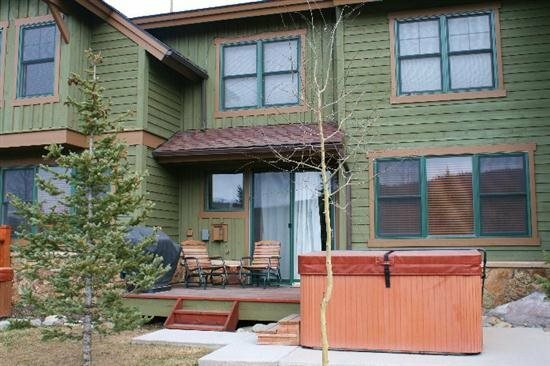 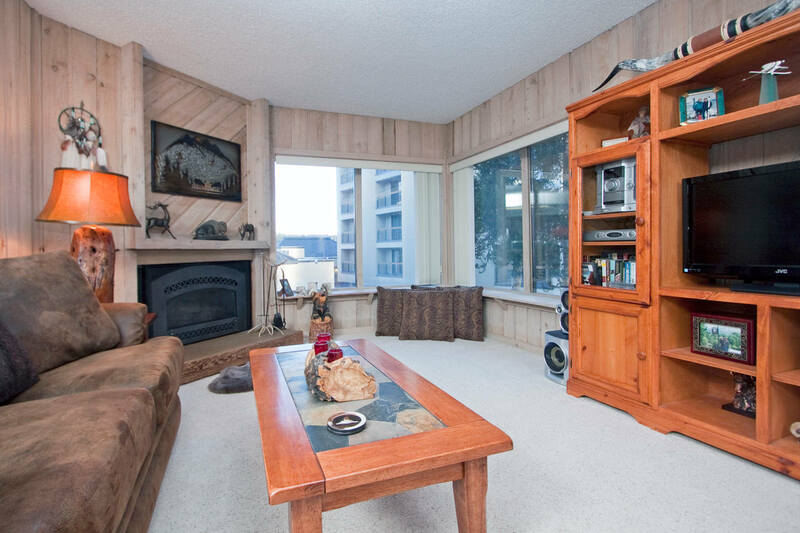 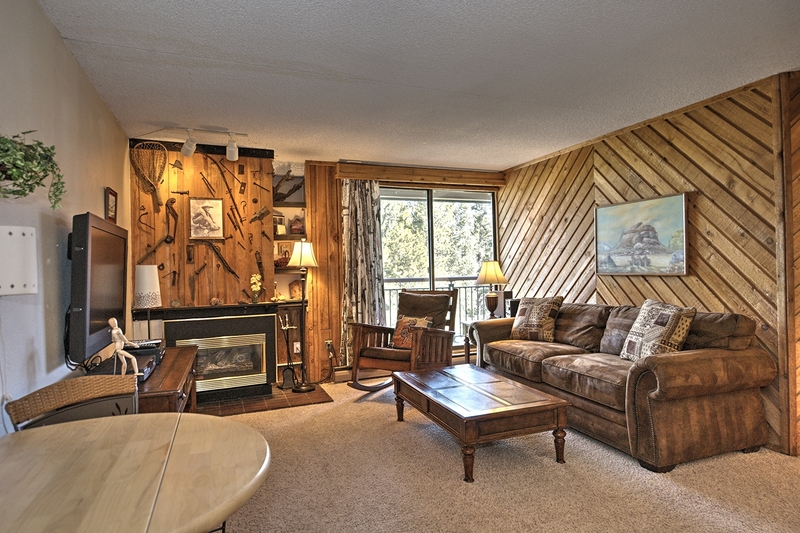 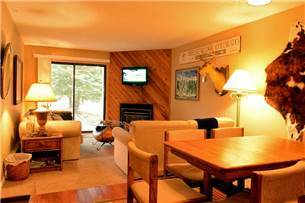 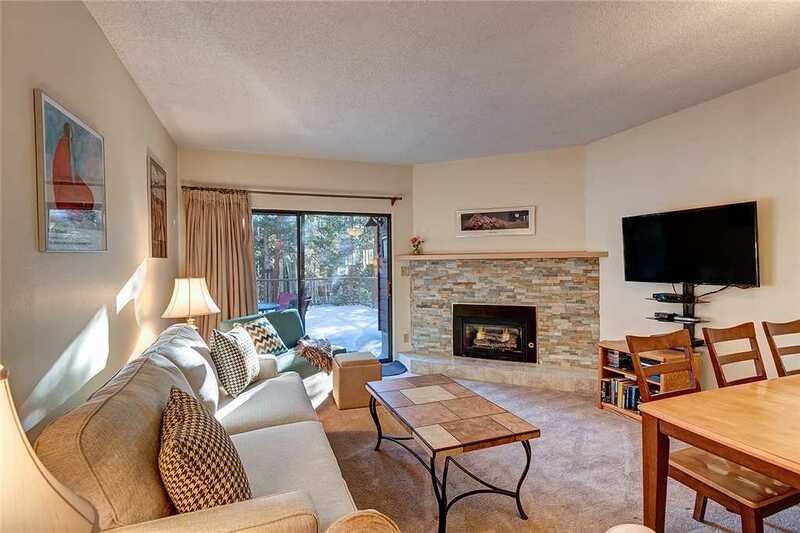 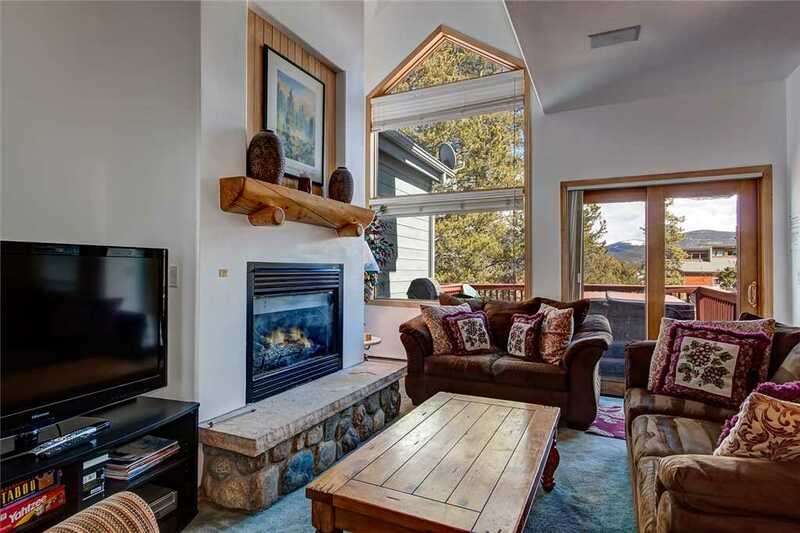 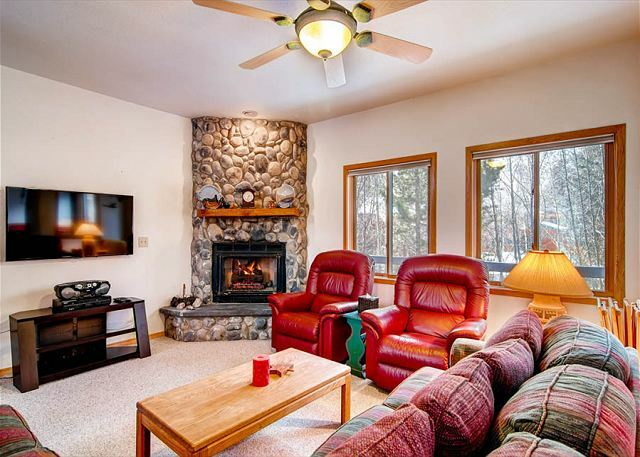 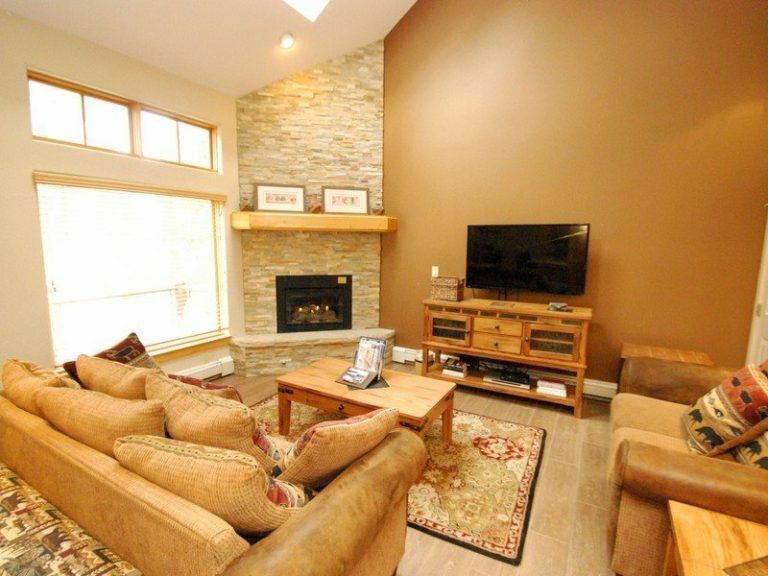 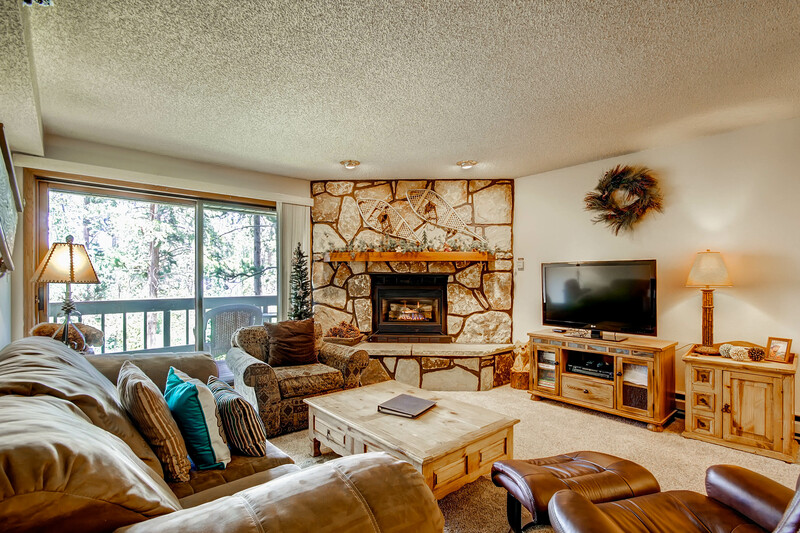 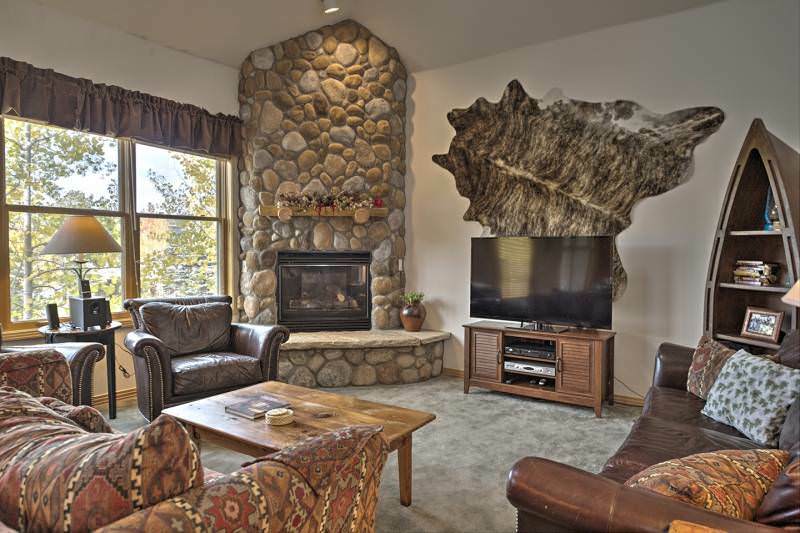 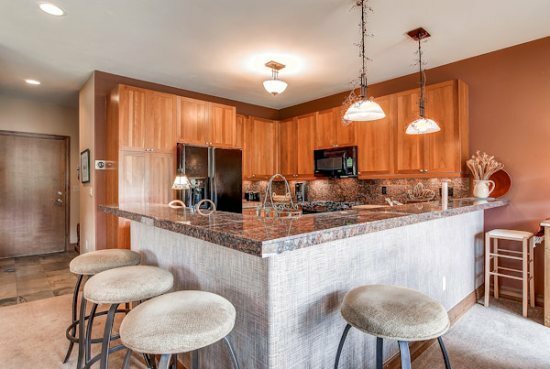 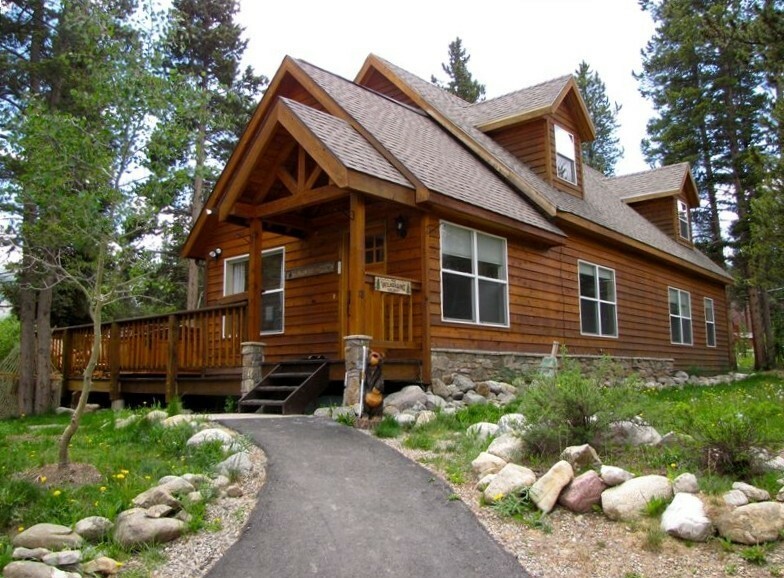 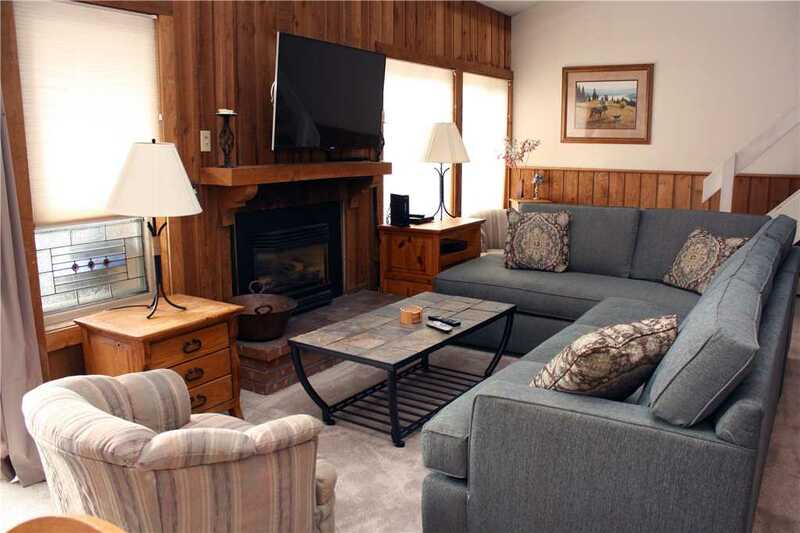 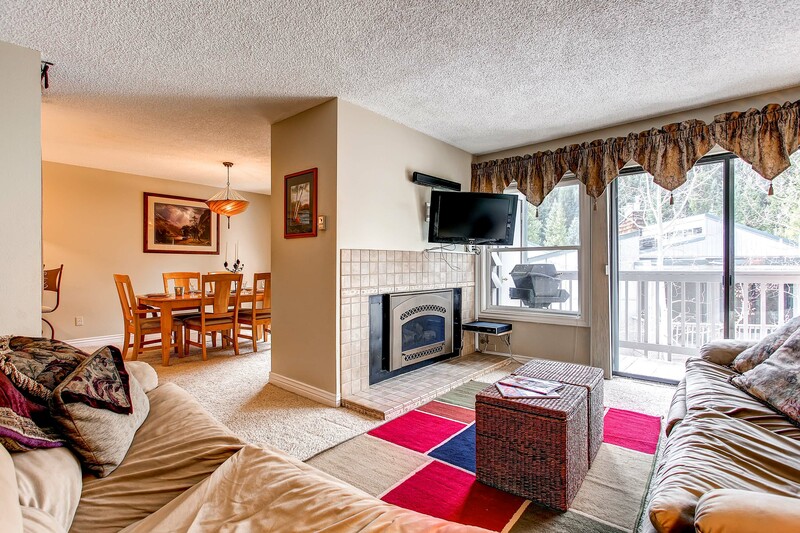 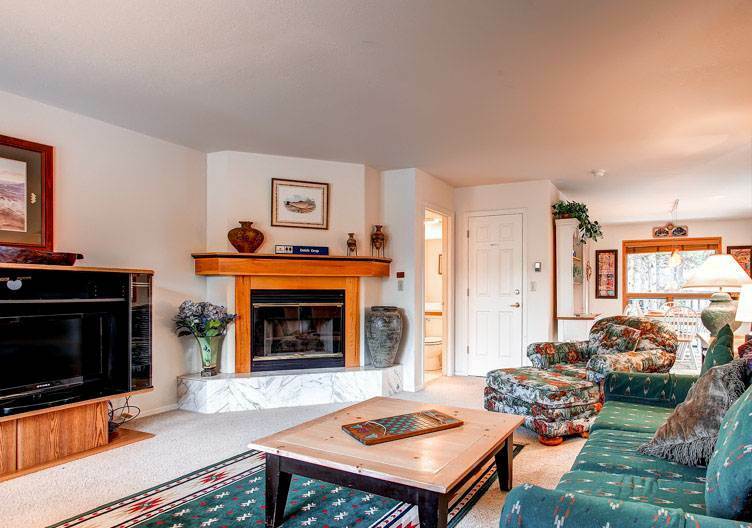 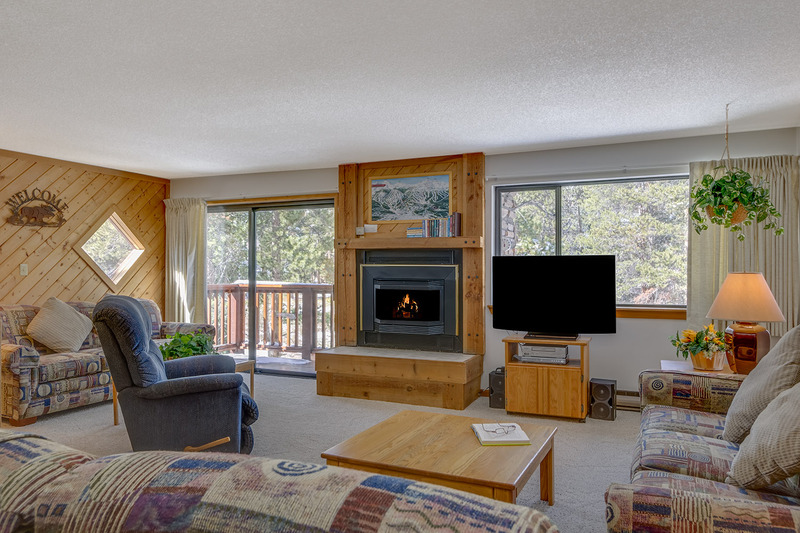 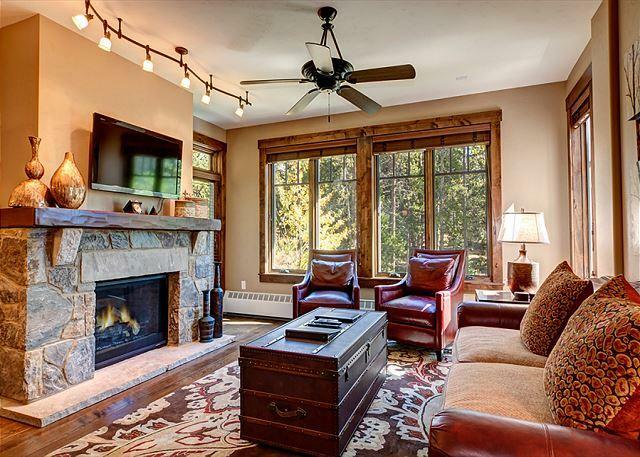 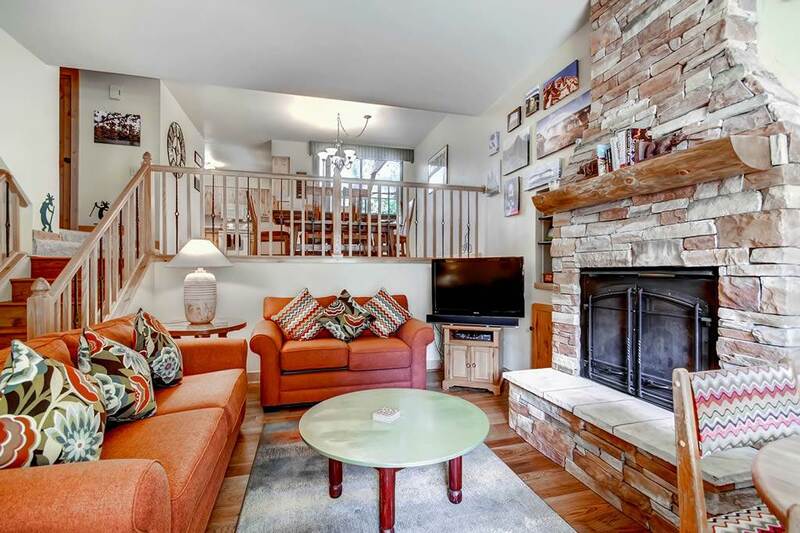 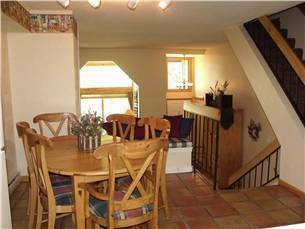 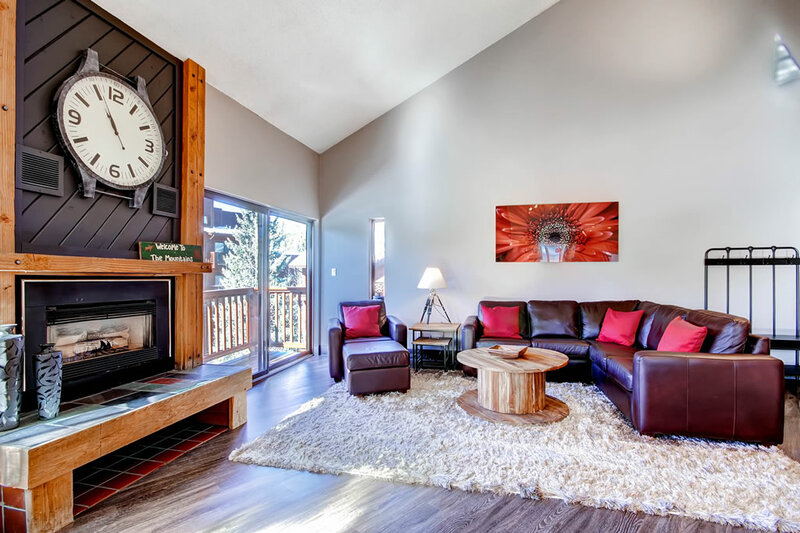 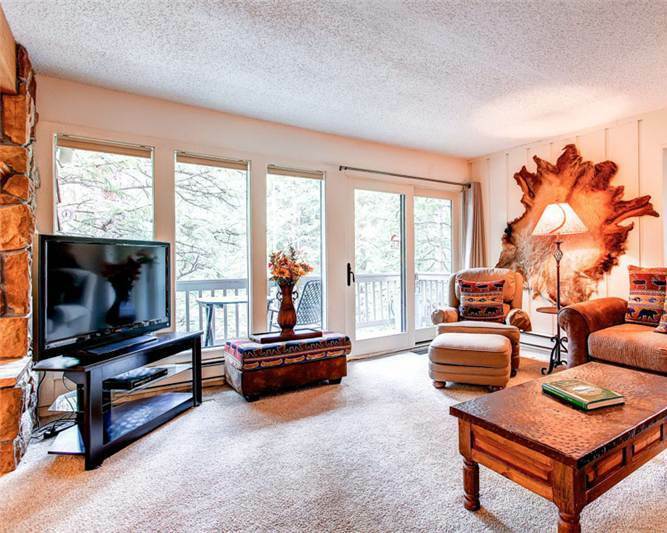 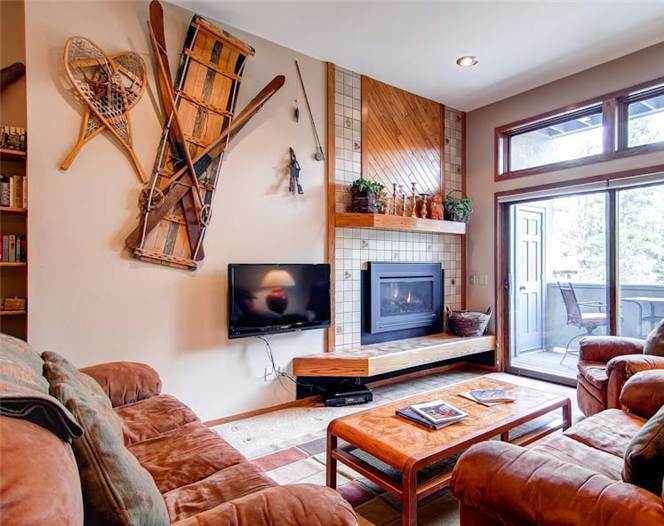 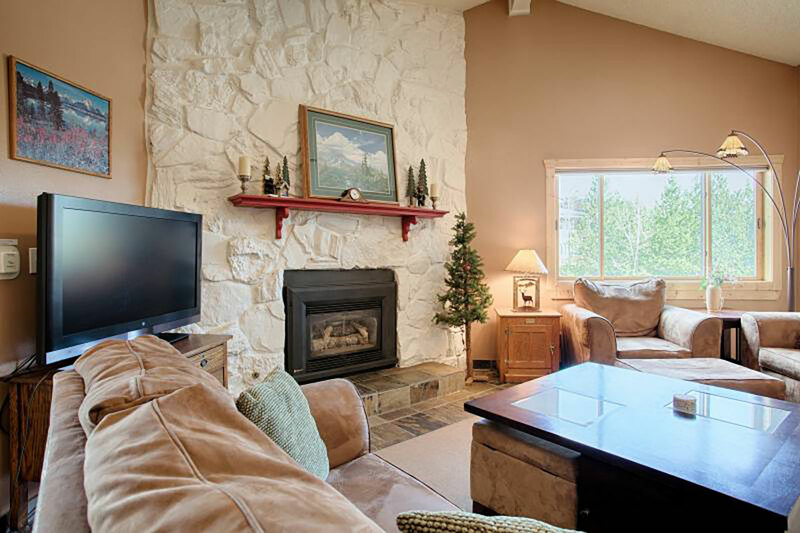 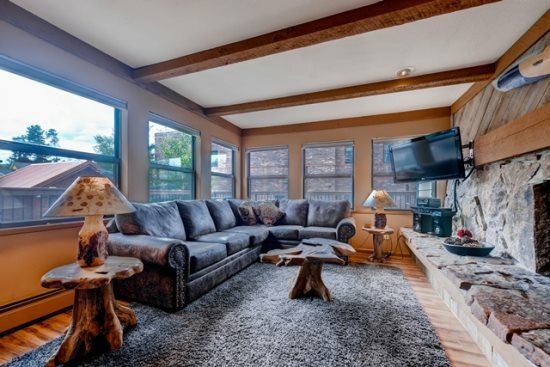 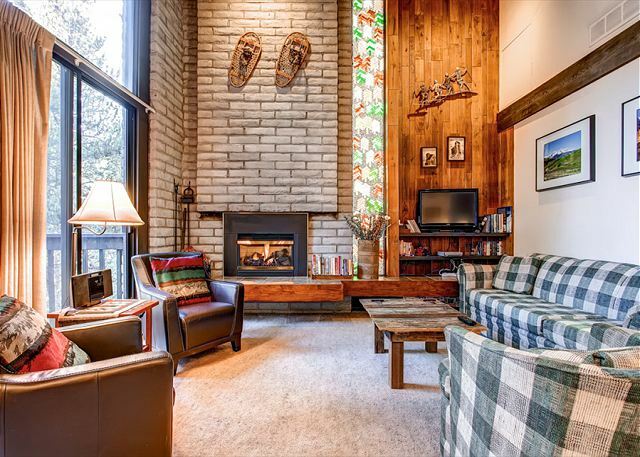 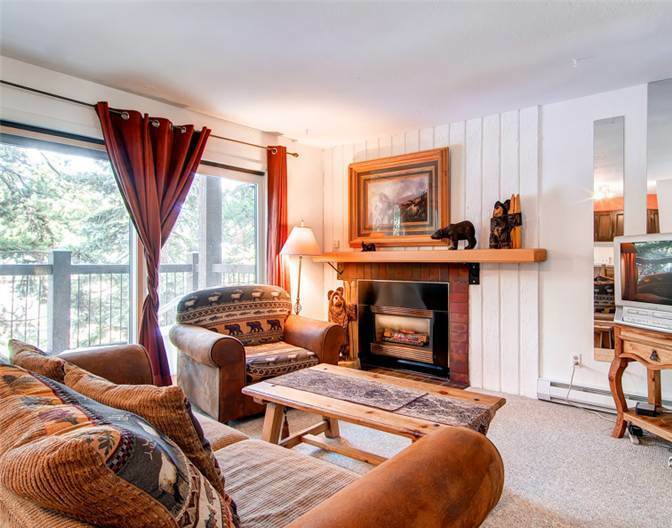 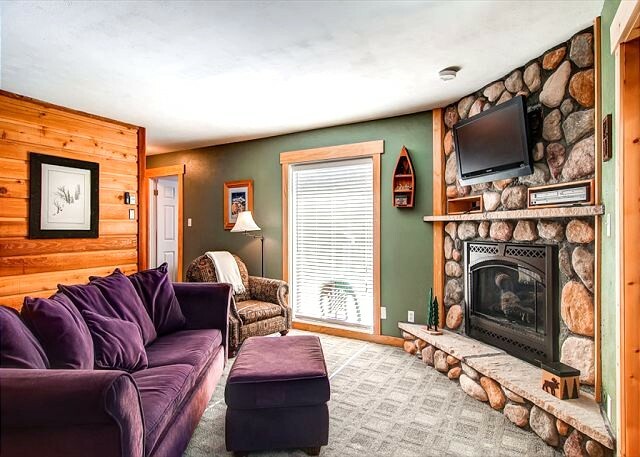 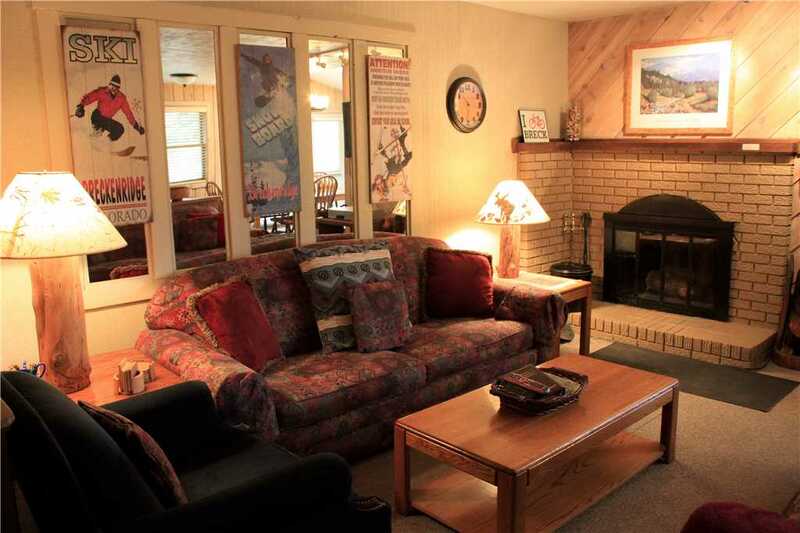 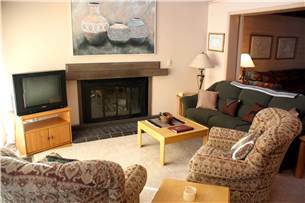 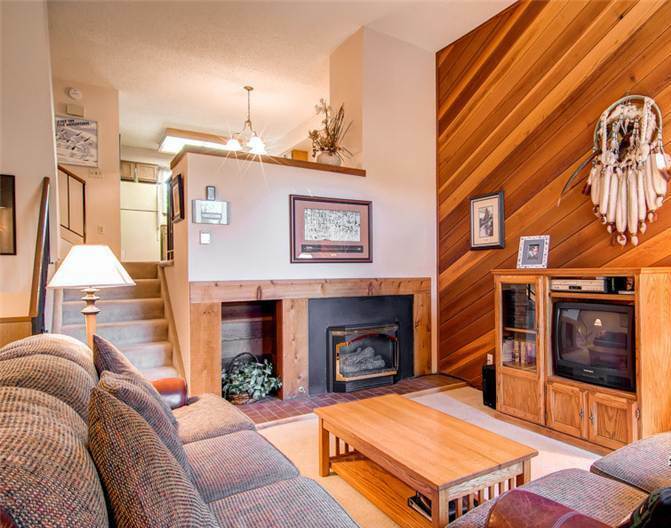 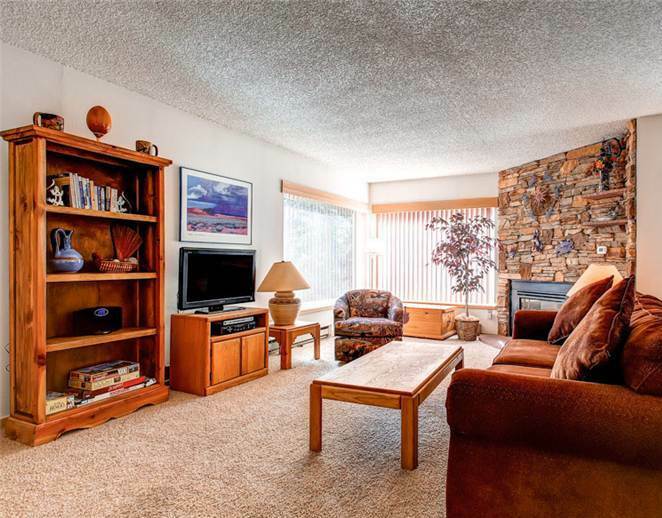 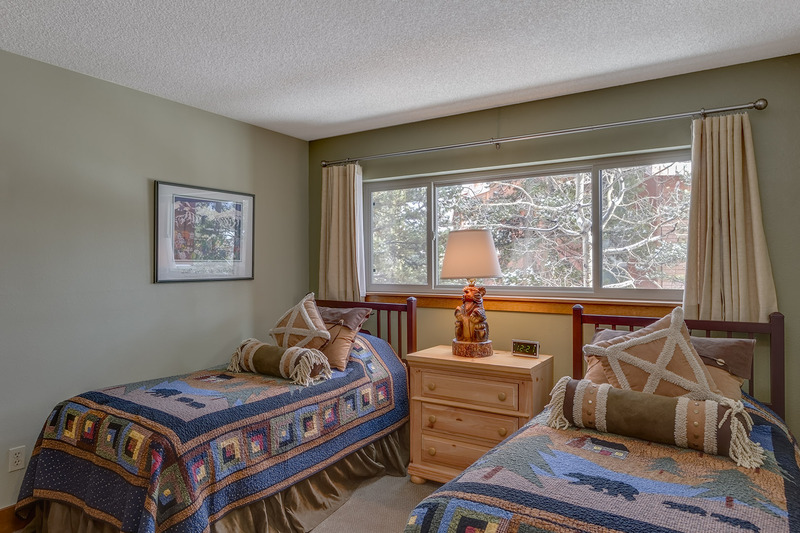 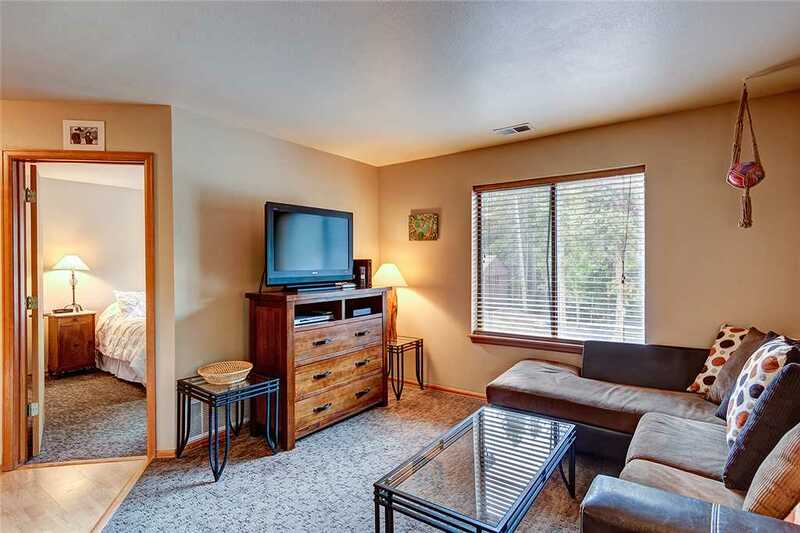 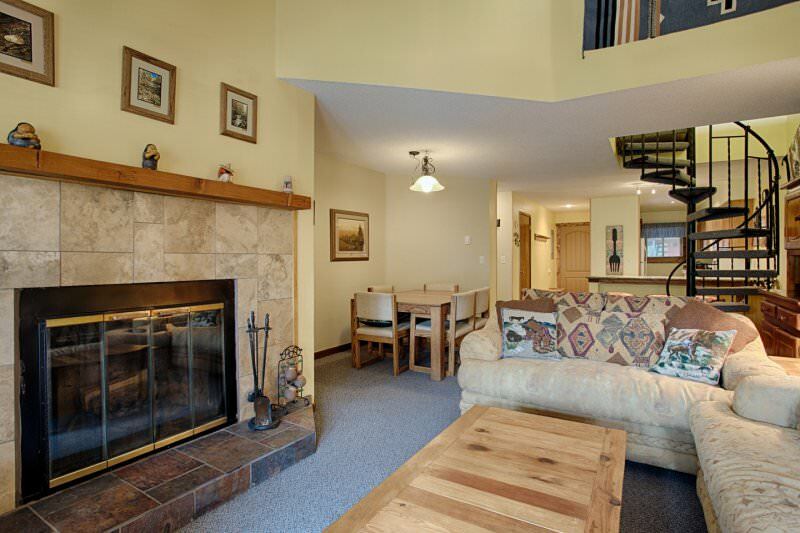 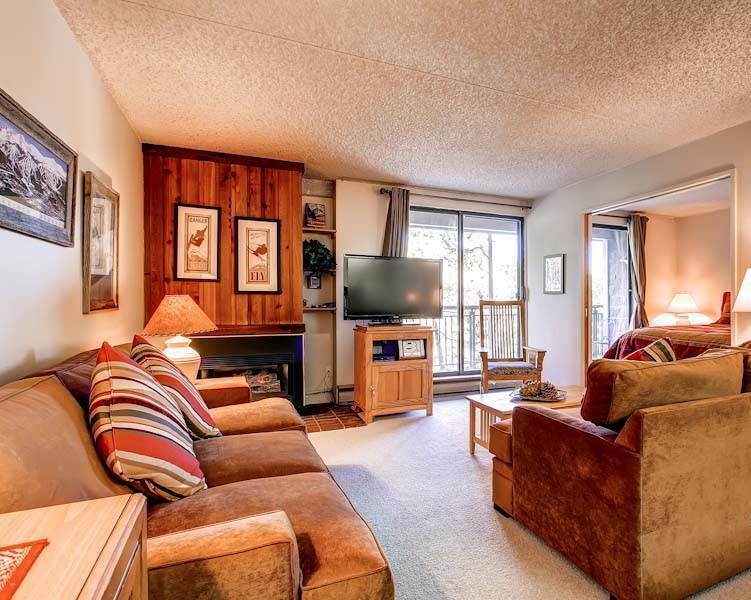 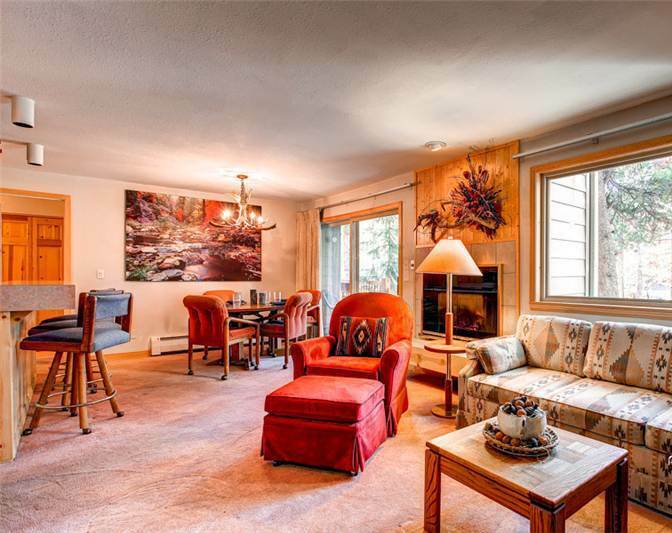 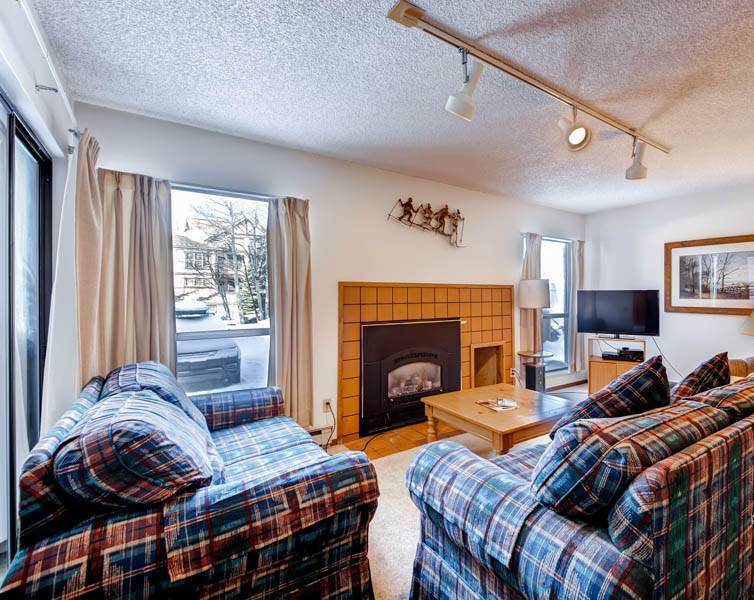 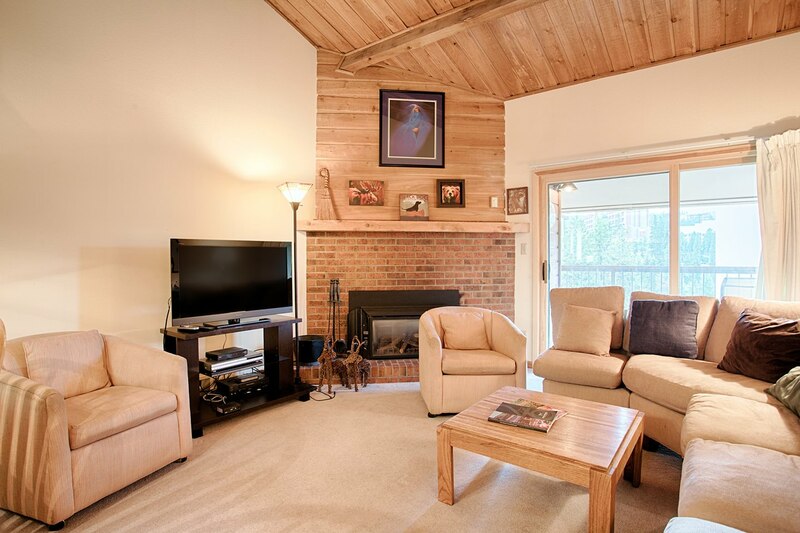 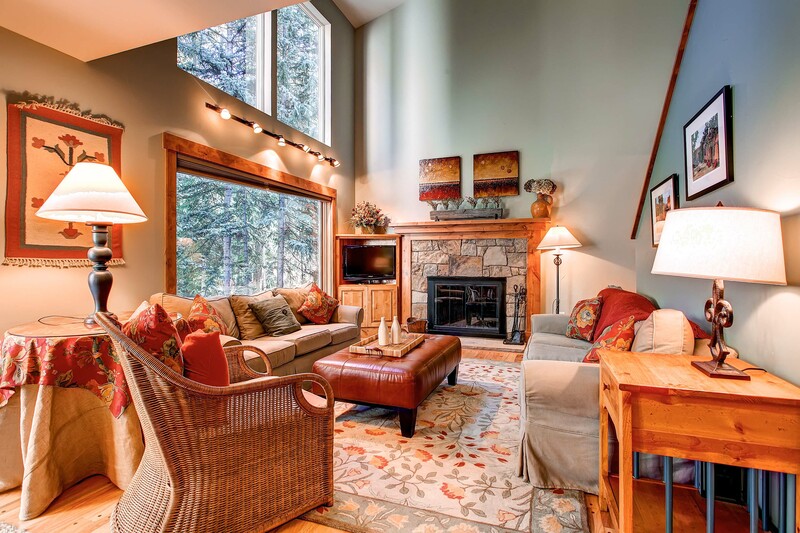 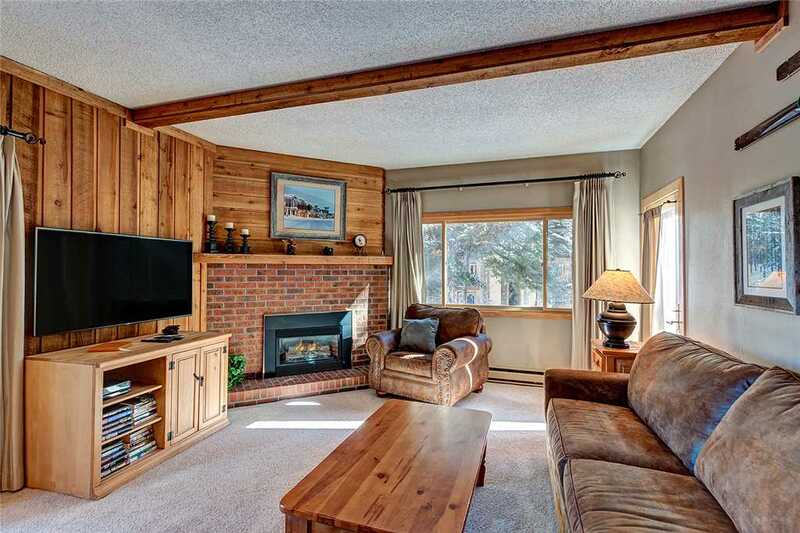 Nestled in a quiet neighborhood, this condo has a cozy mountain feel with a very relaxing enviroment. 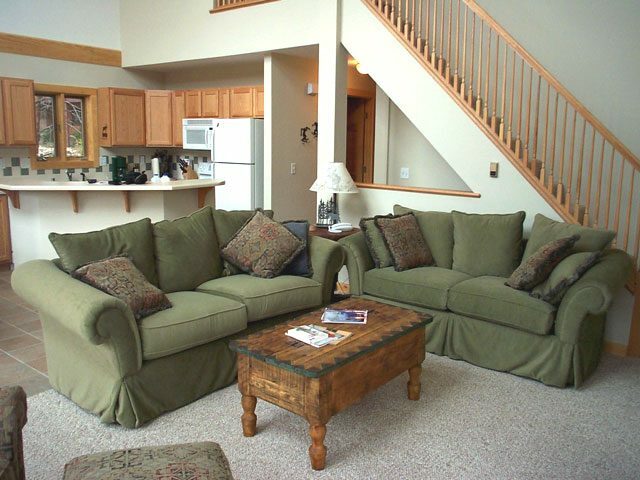 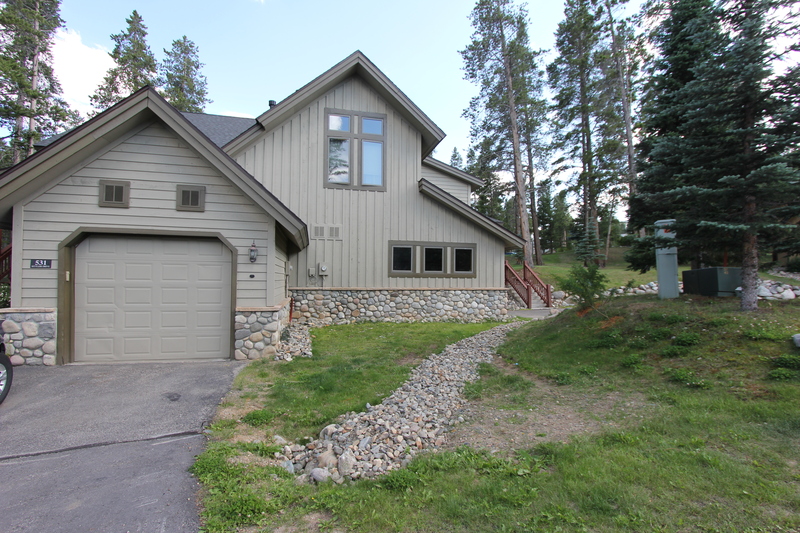 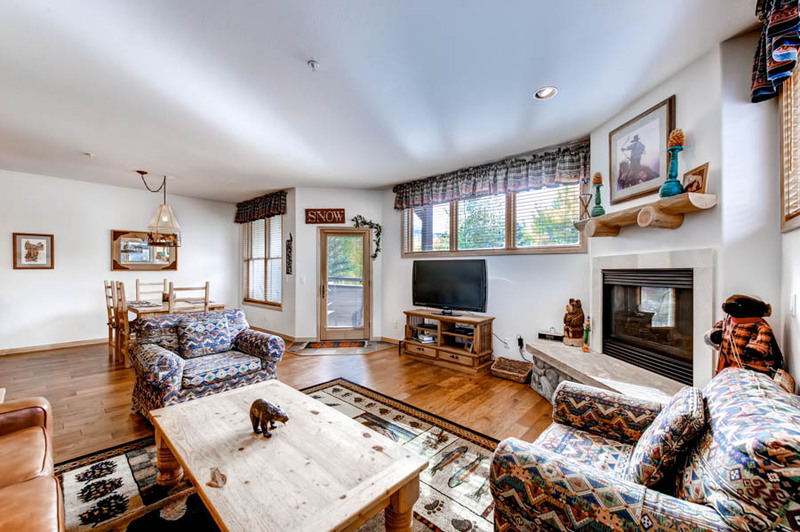 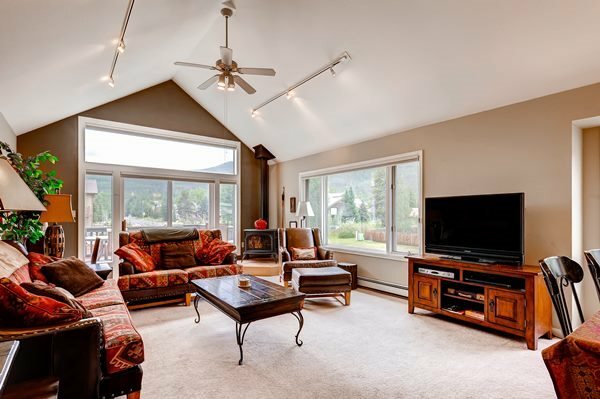 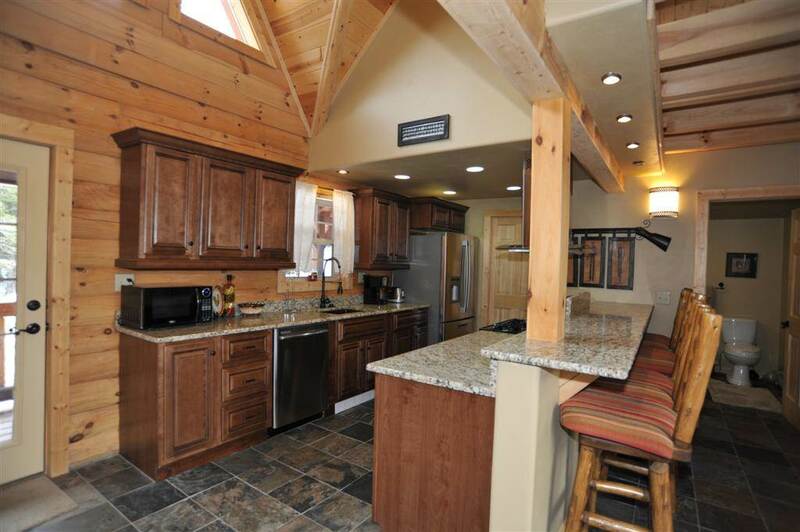 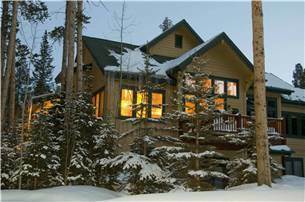 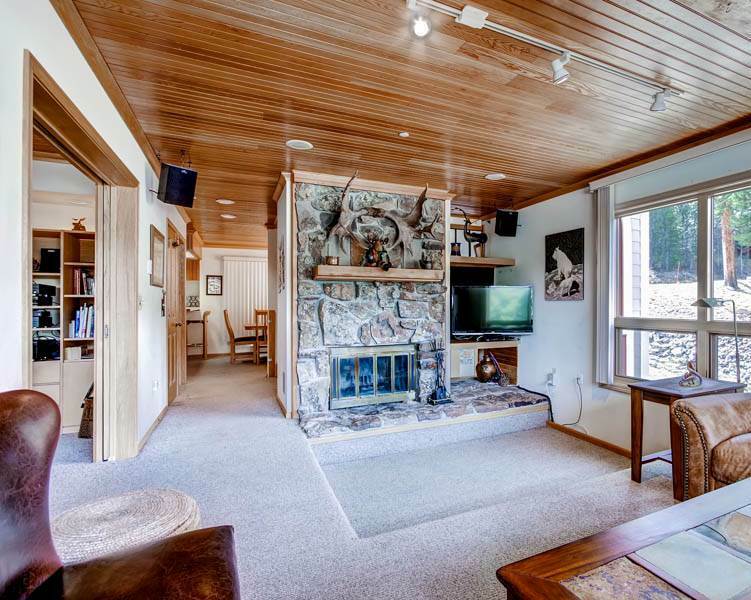 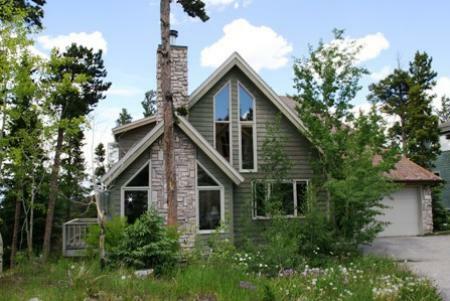 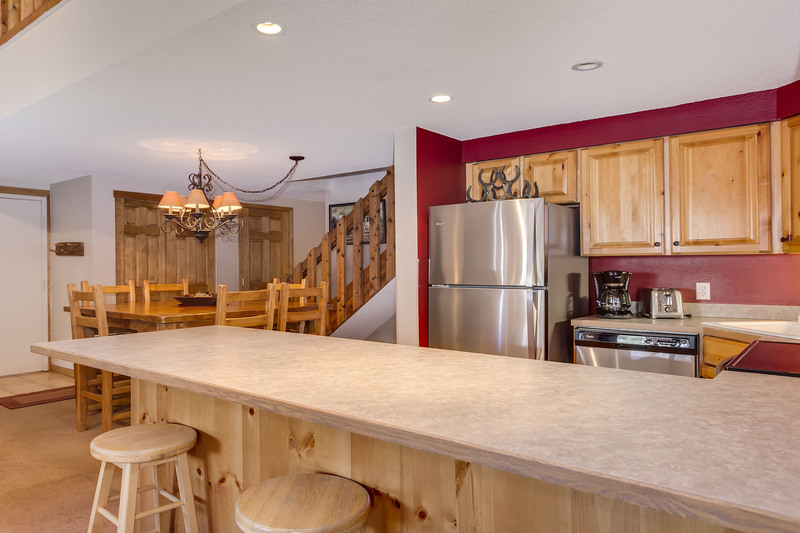 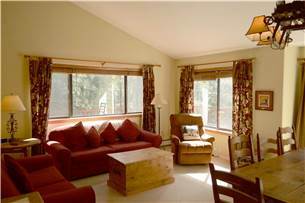 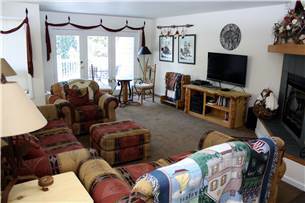 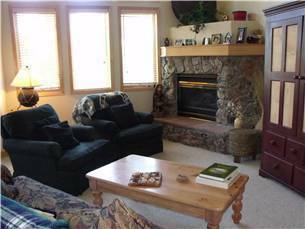 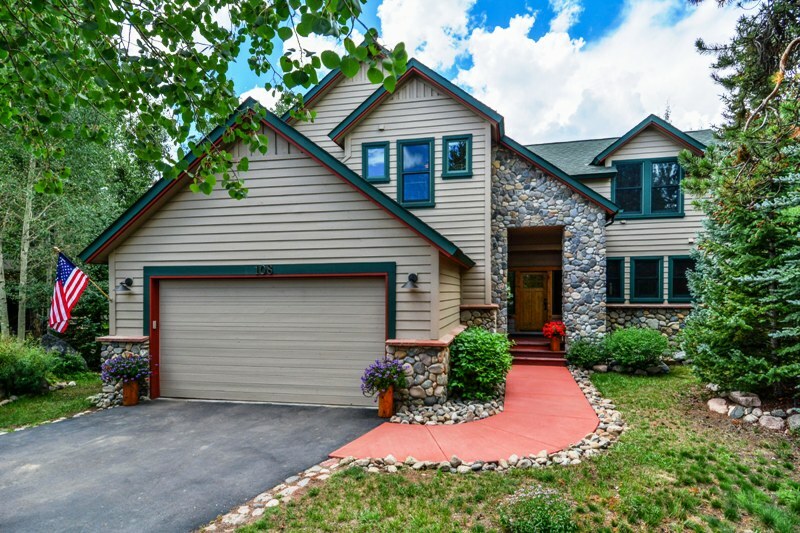 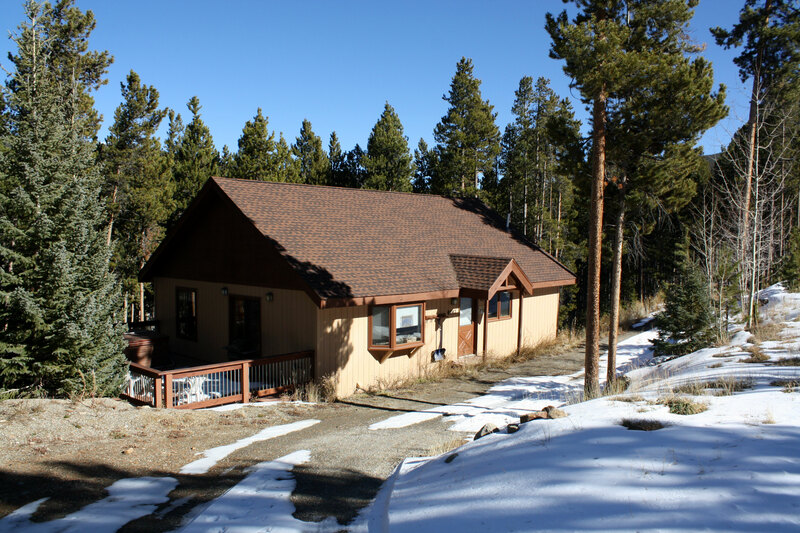 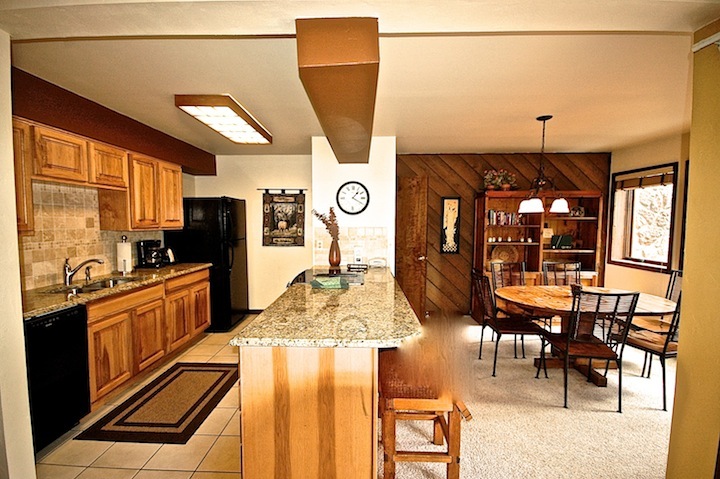 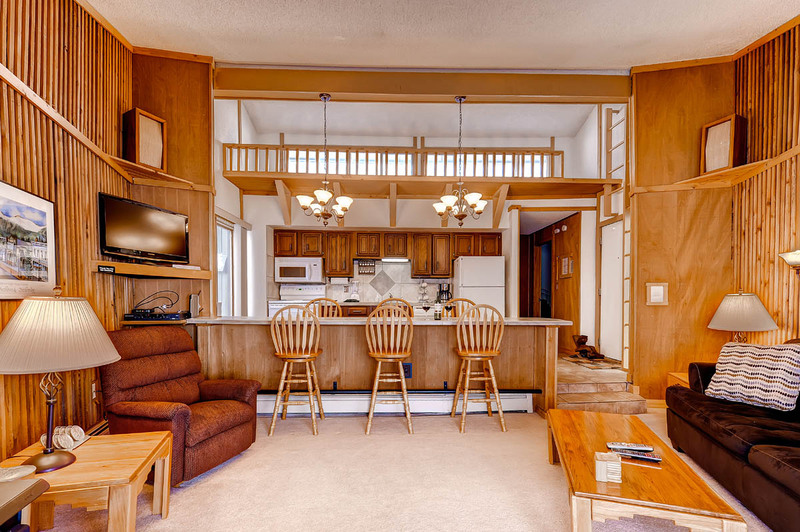 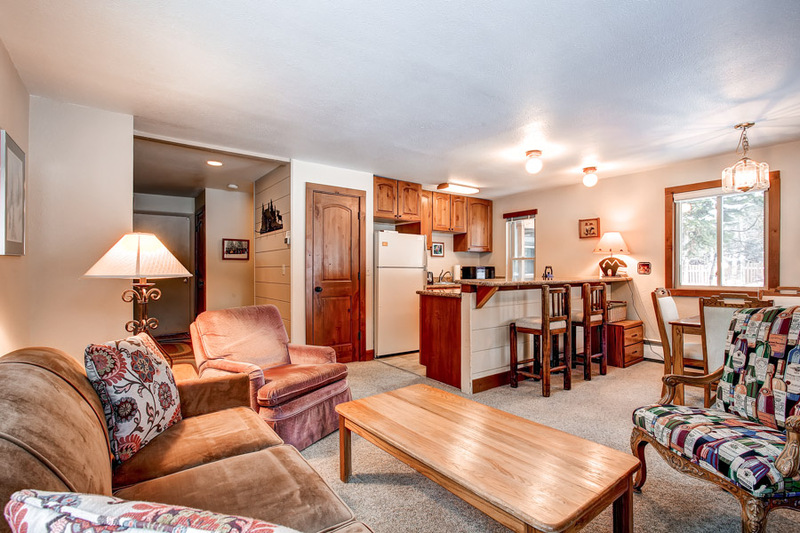 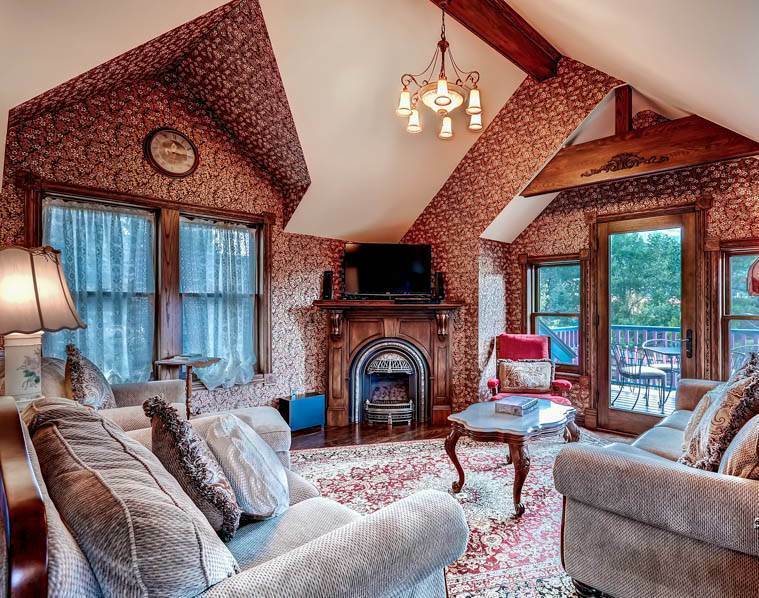 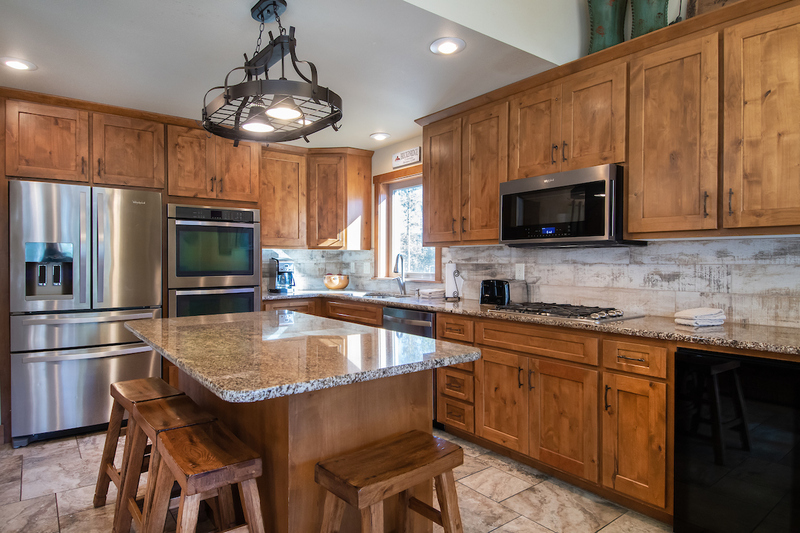 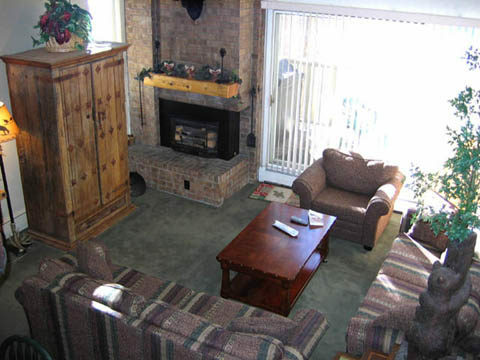 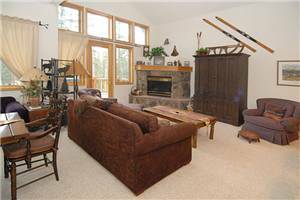 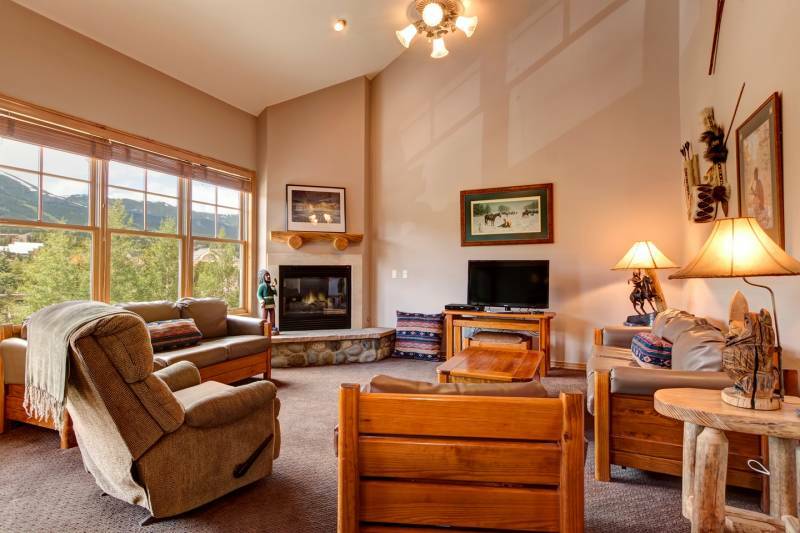 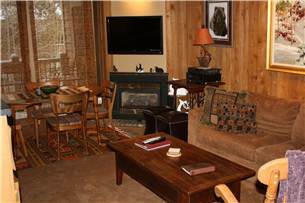 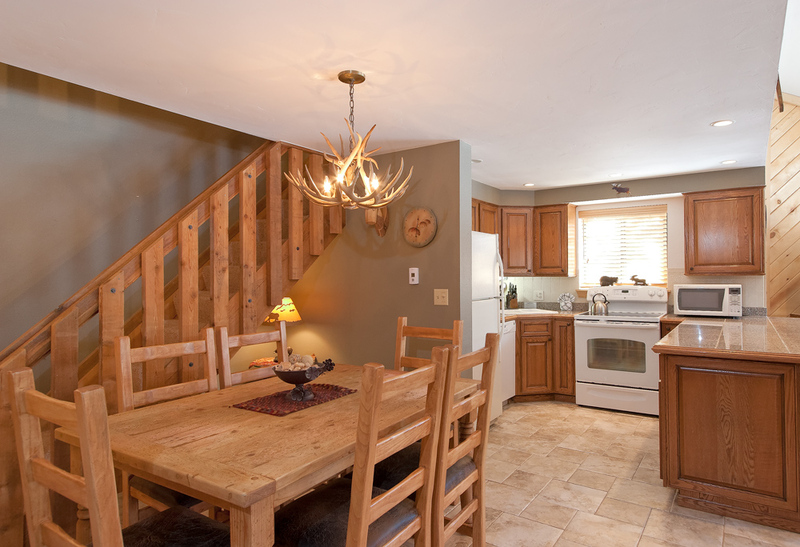 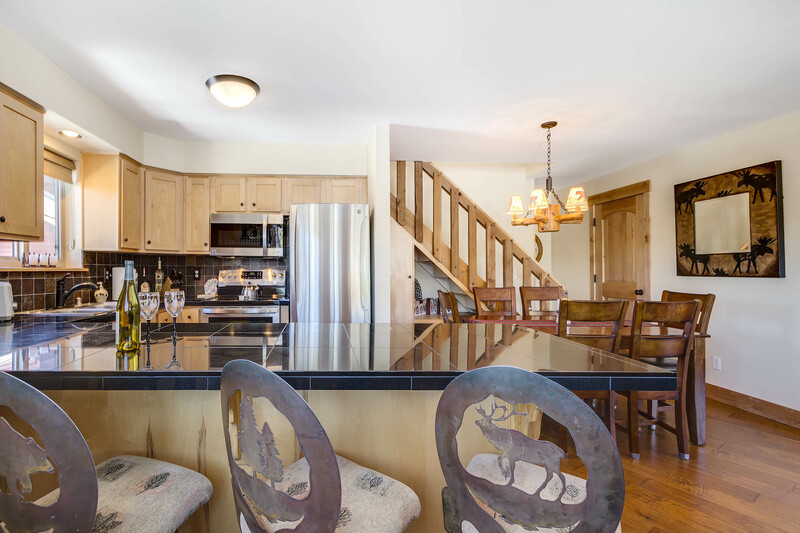 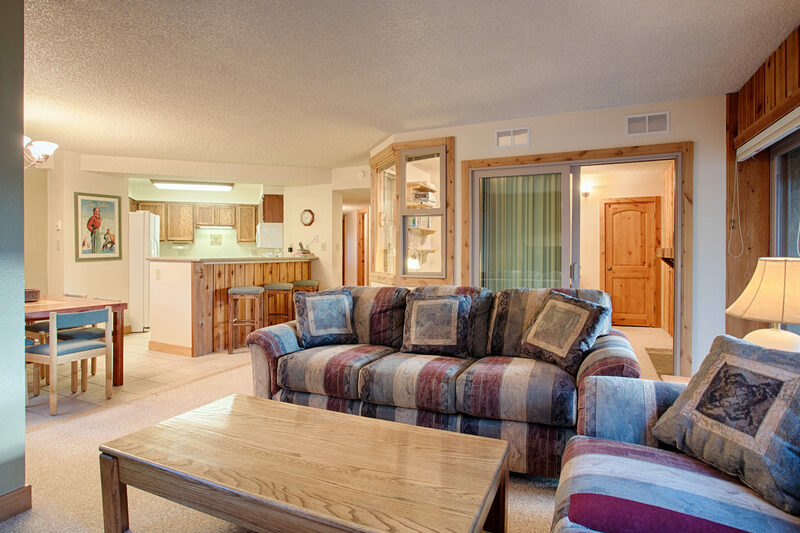 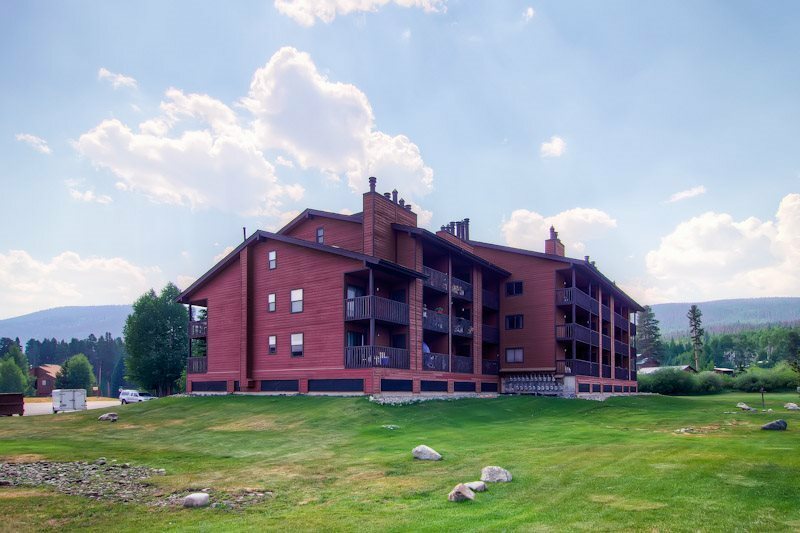 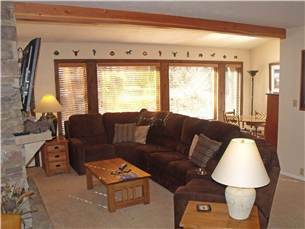 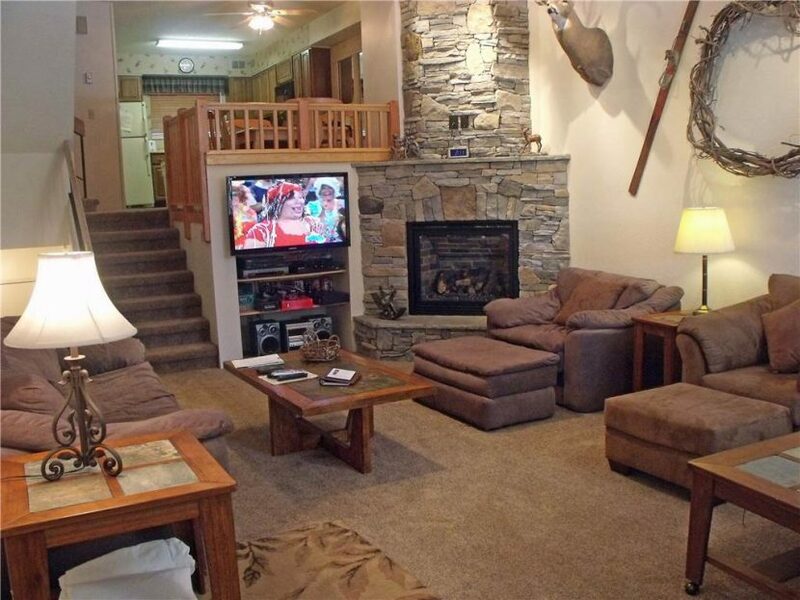 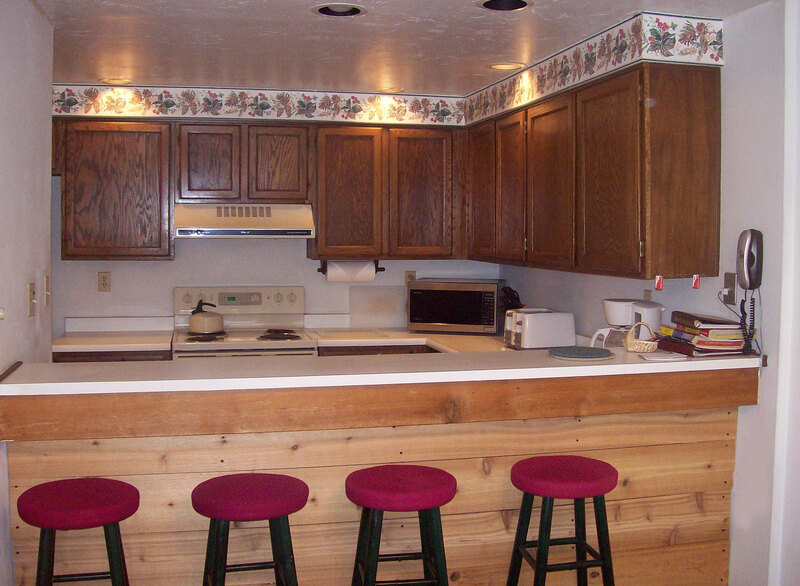 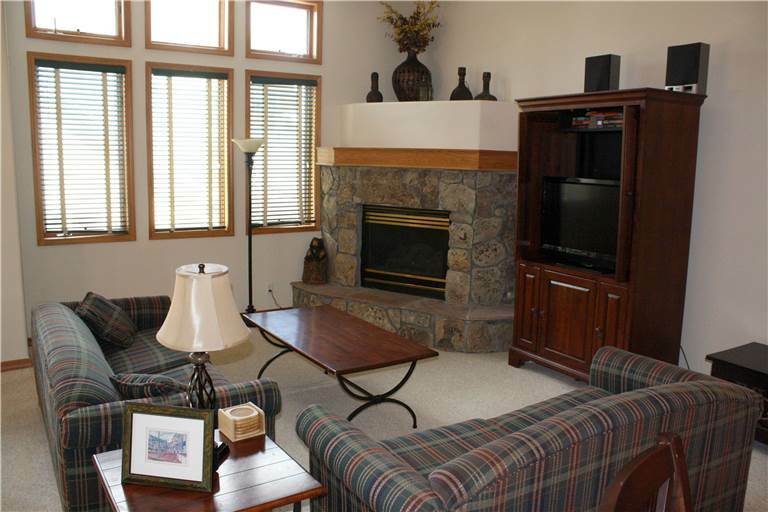 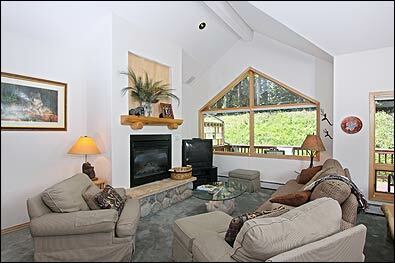 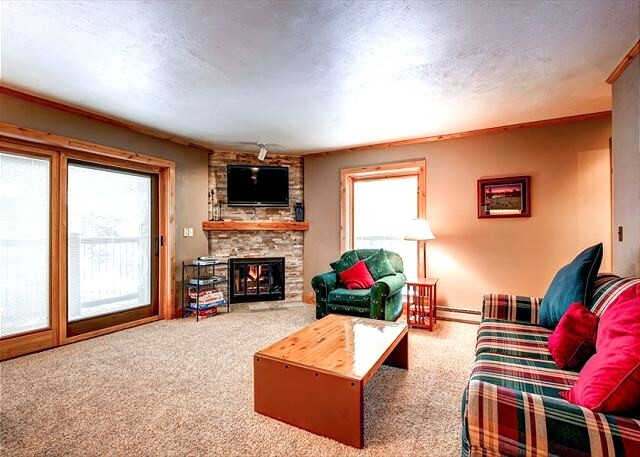 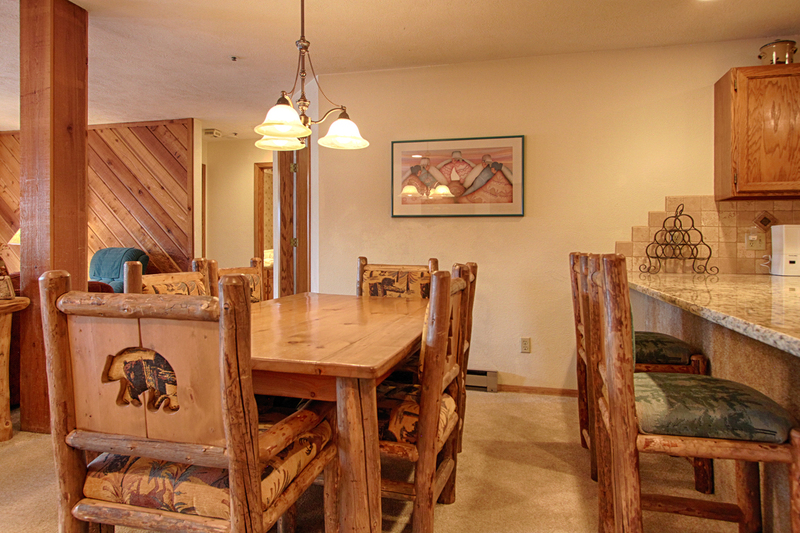 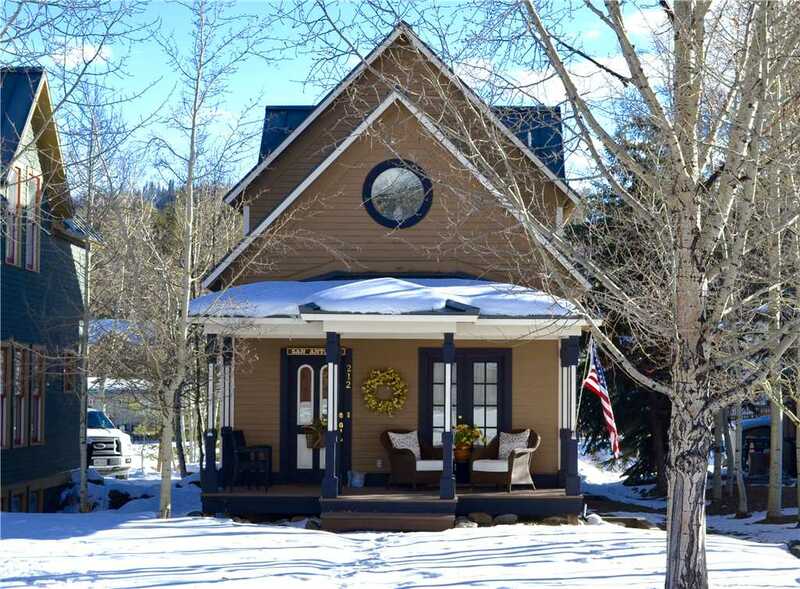 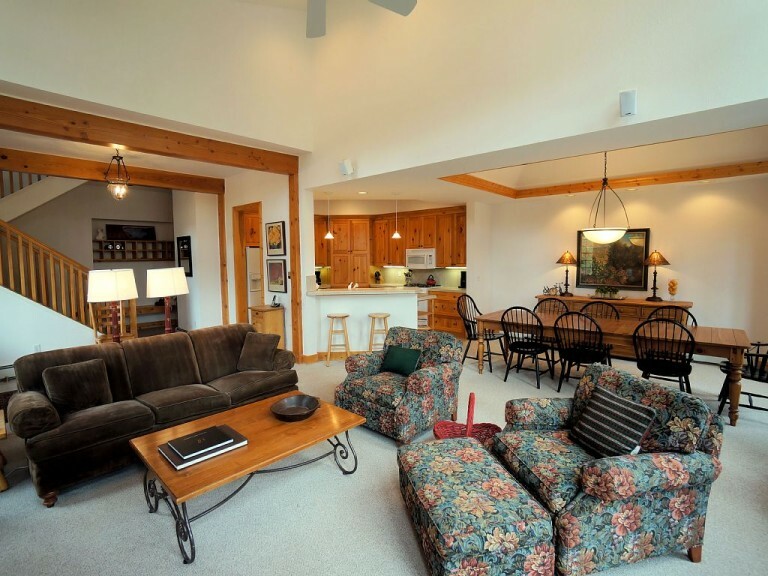 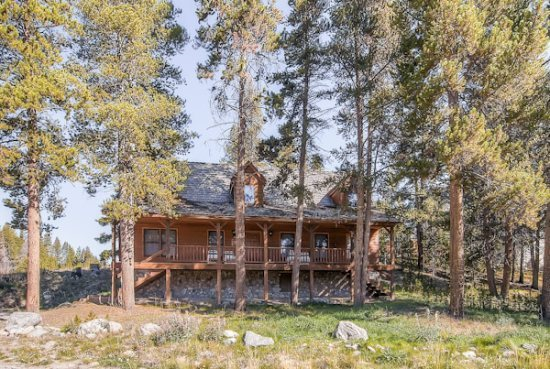 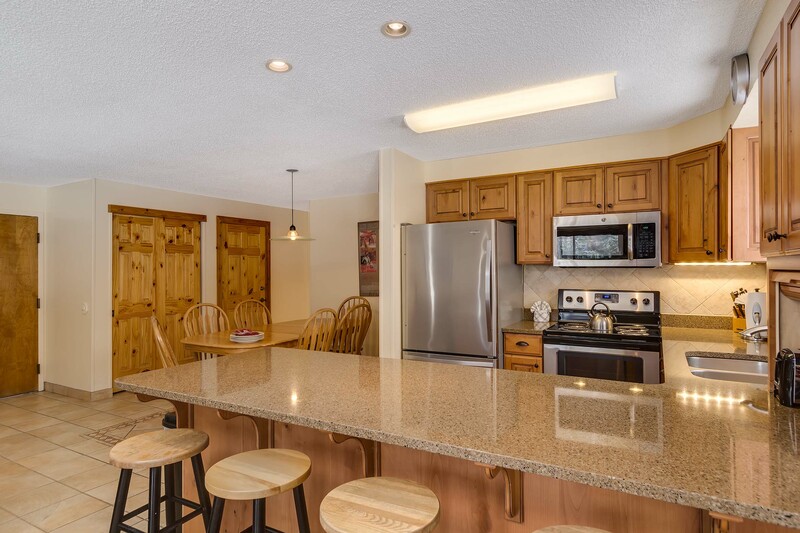 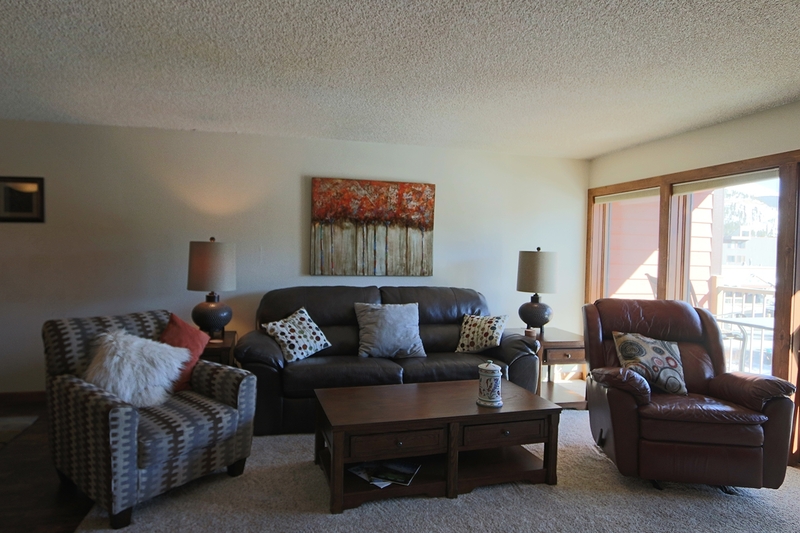 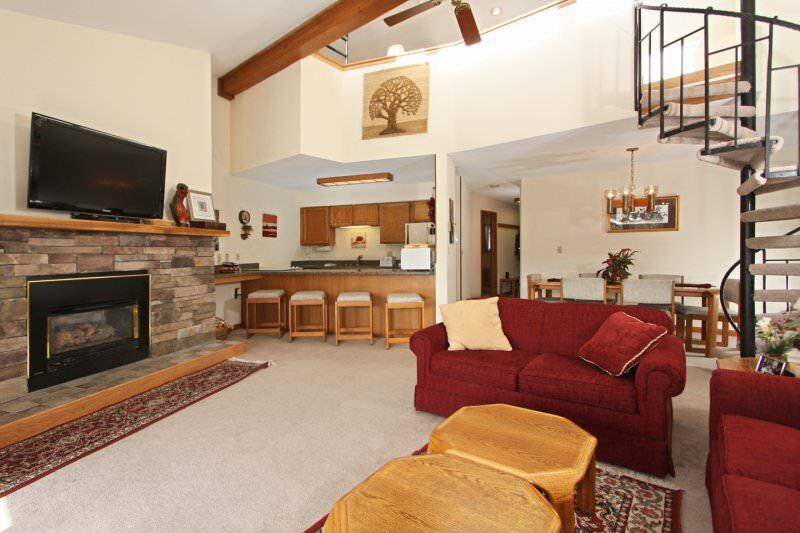 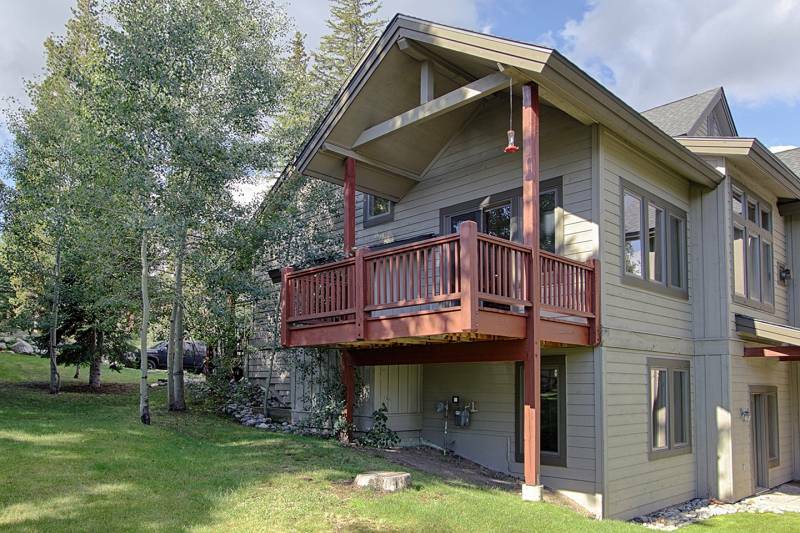 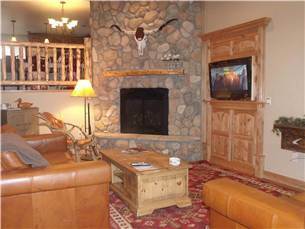 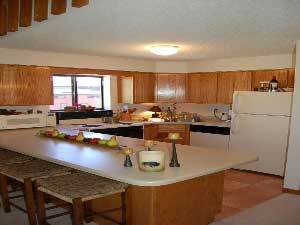 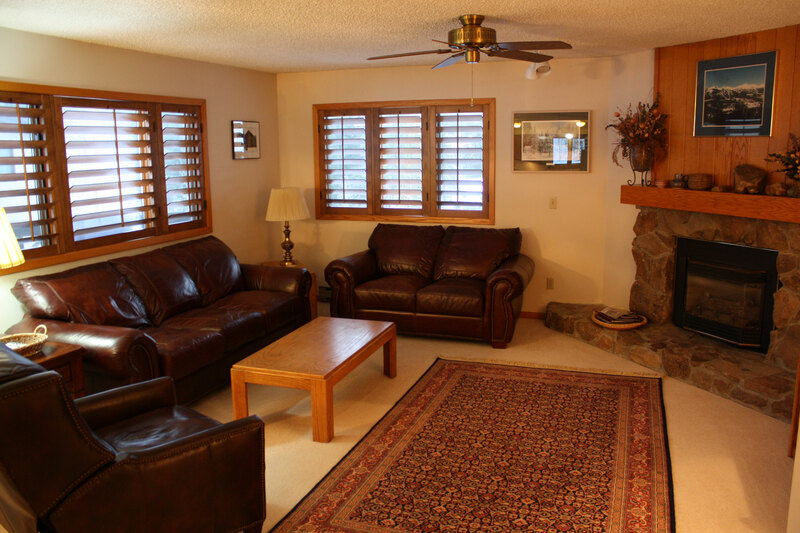 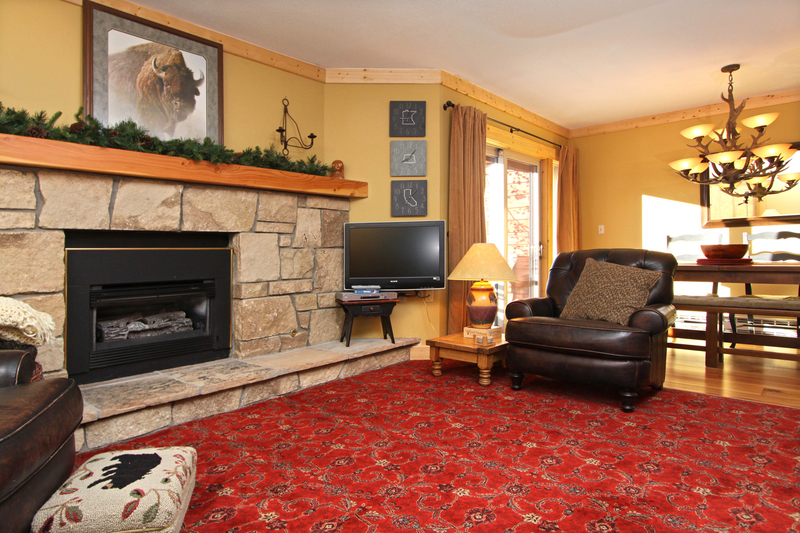 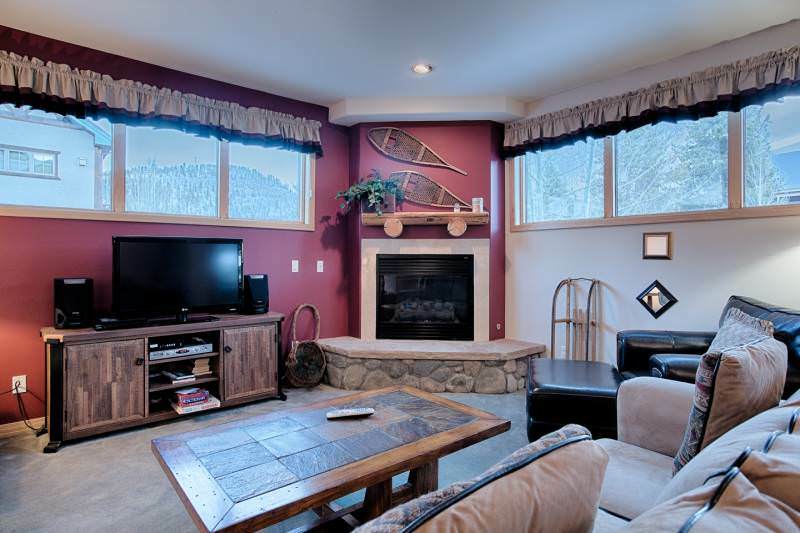 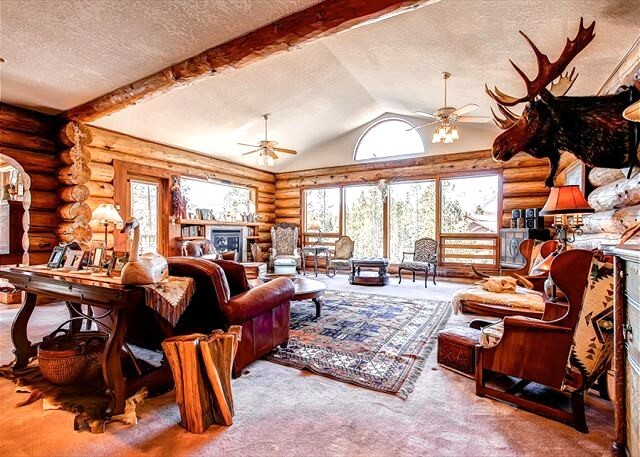 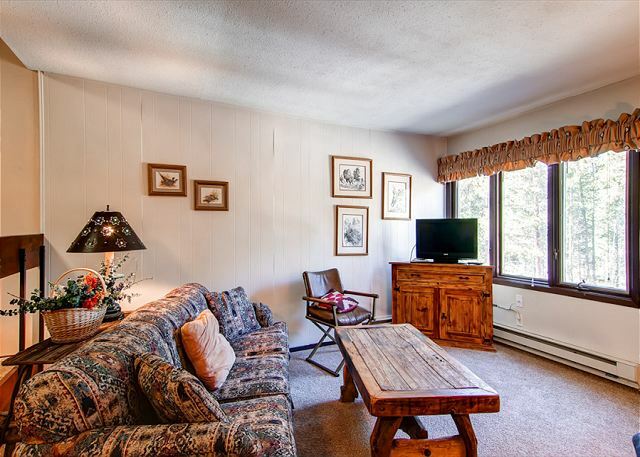 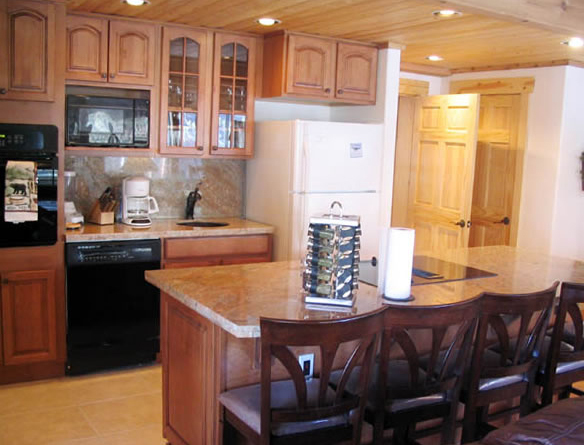 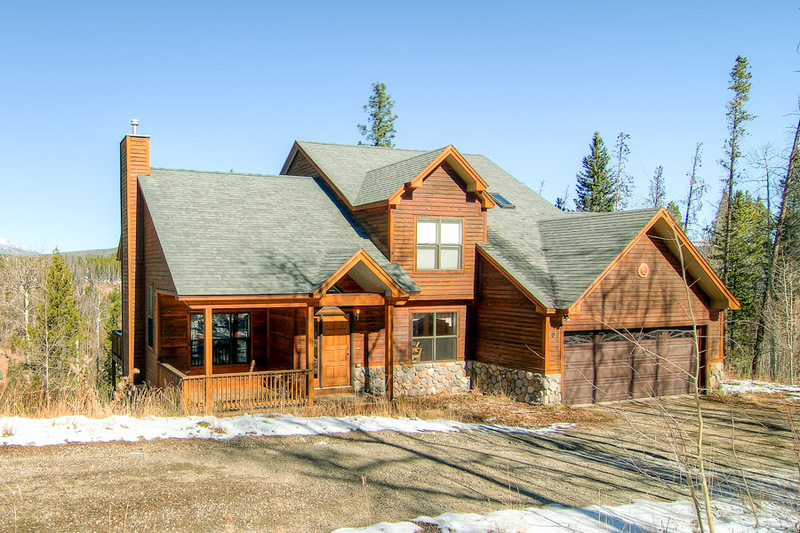 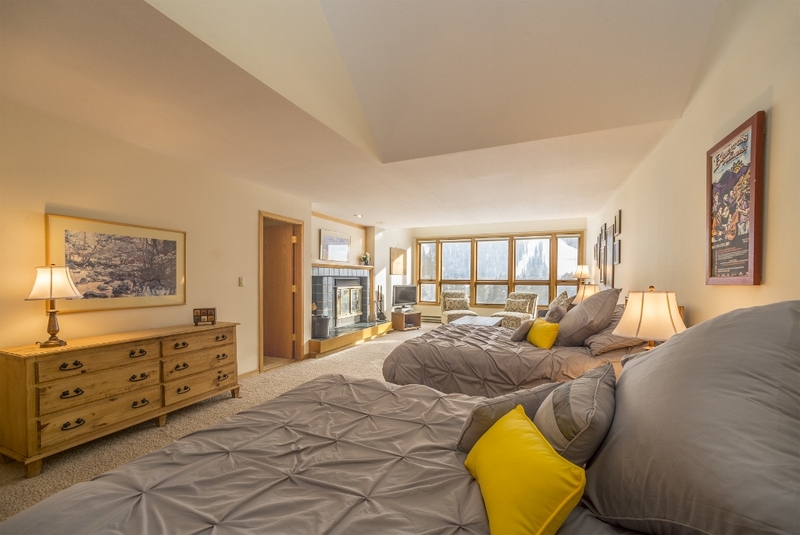 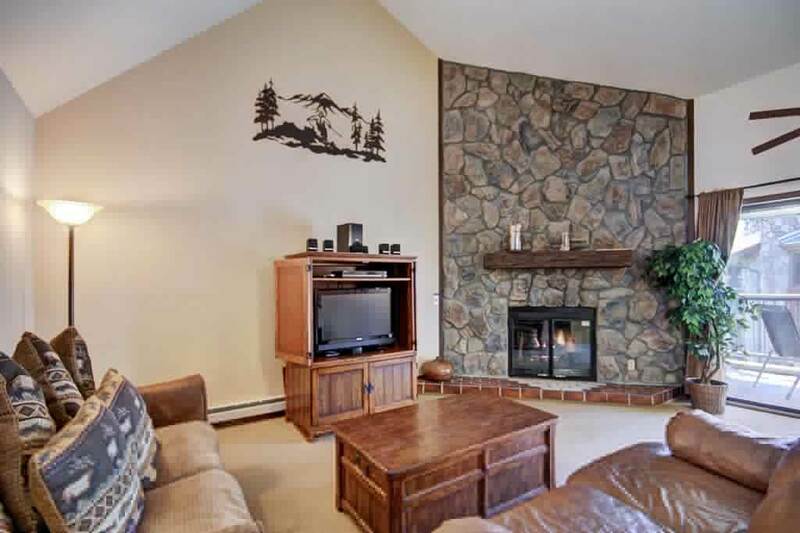 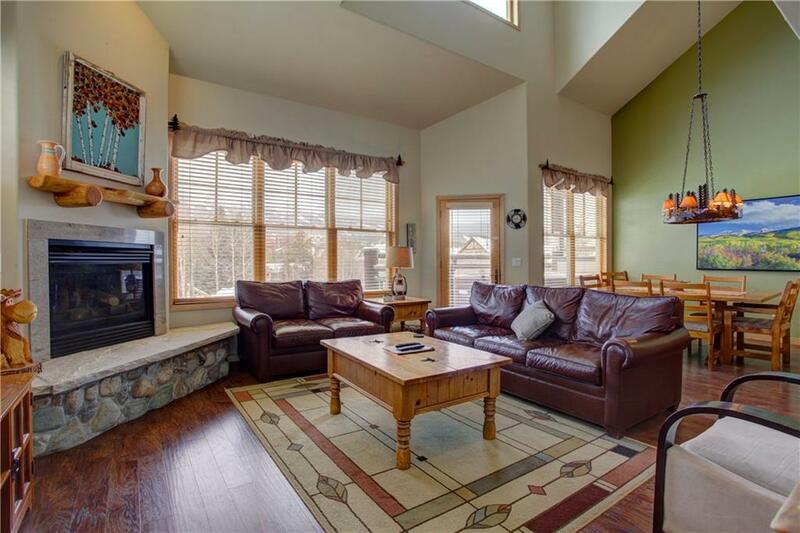 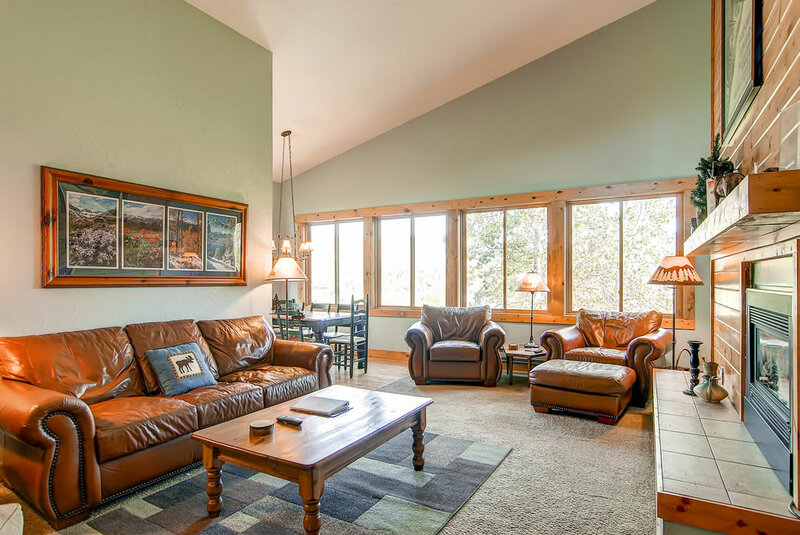 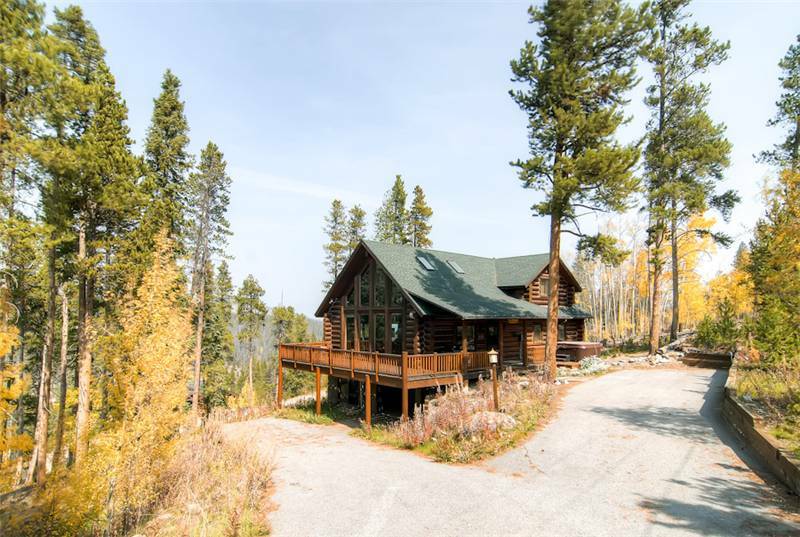 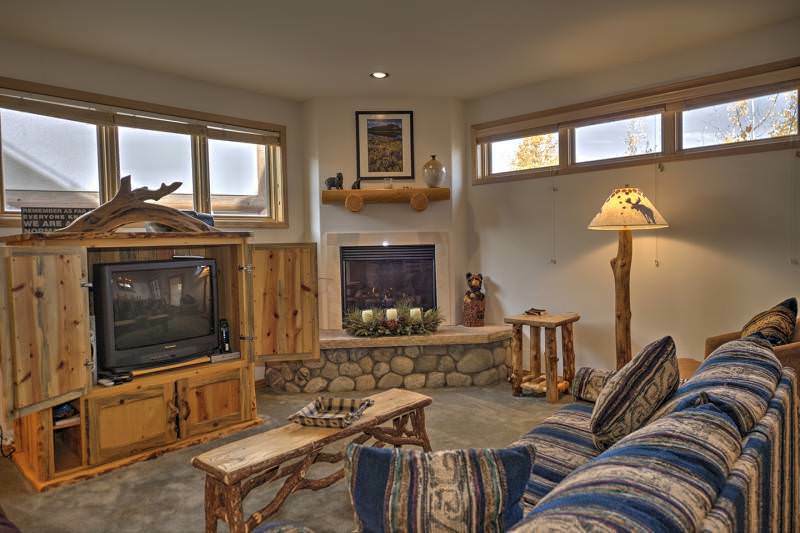 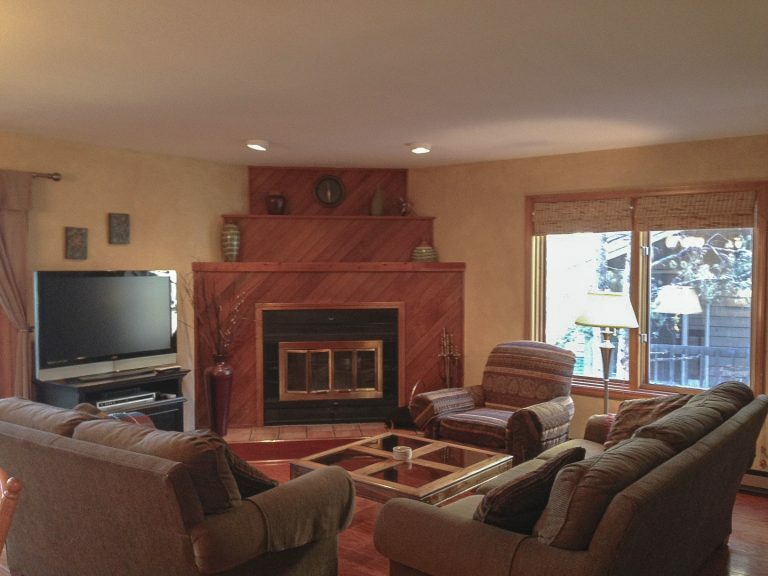 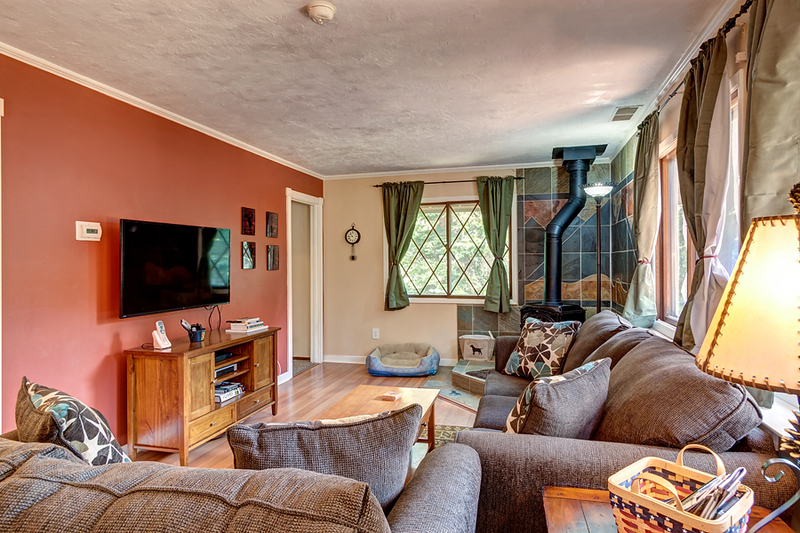 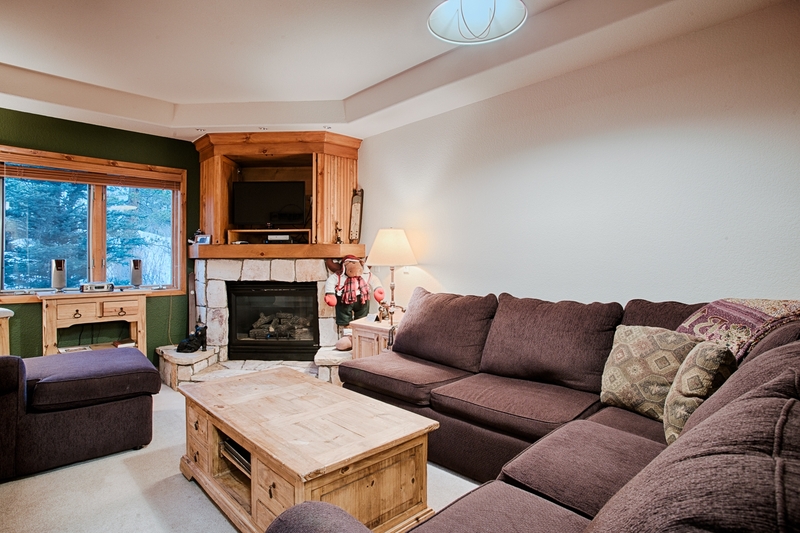 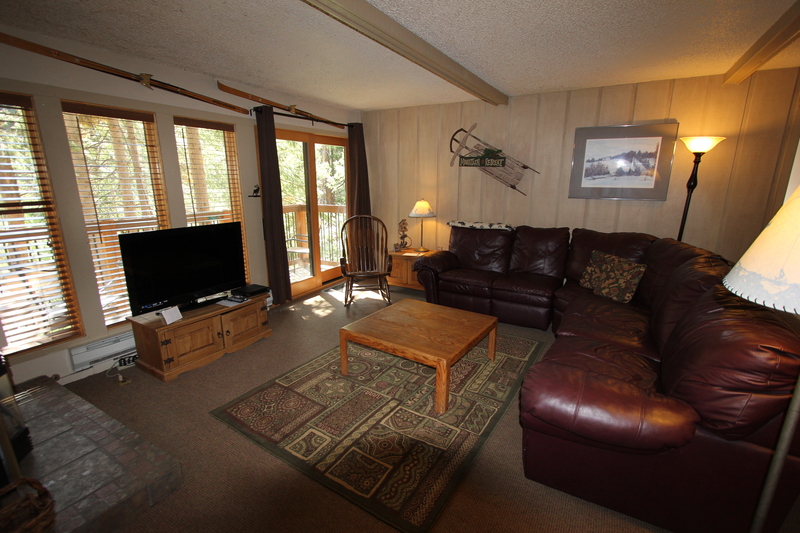 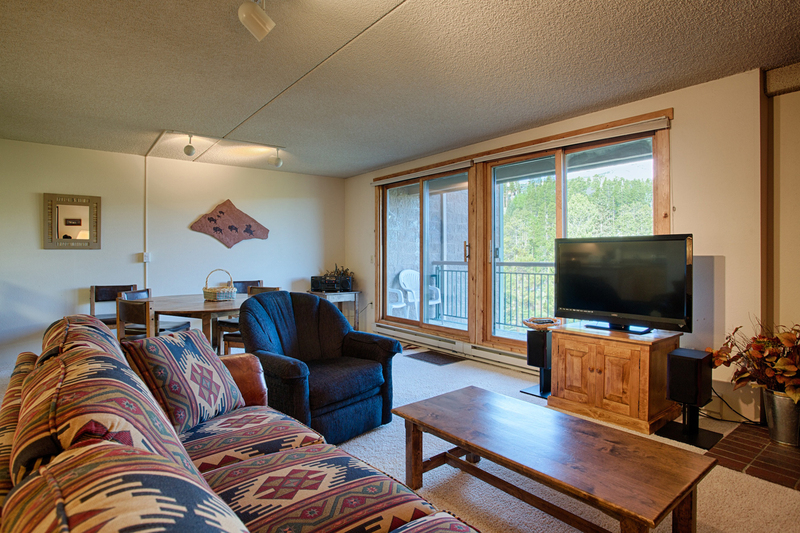 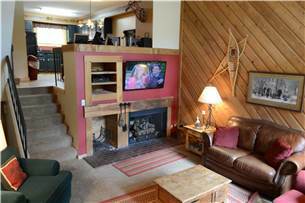 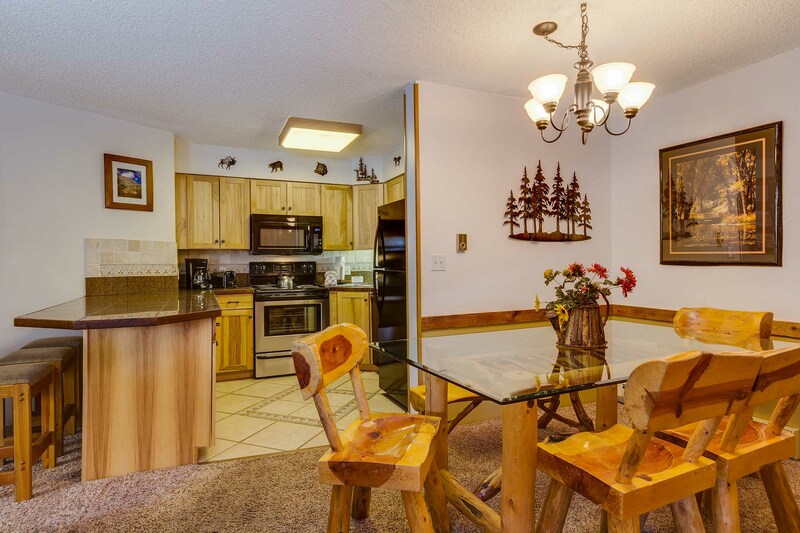 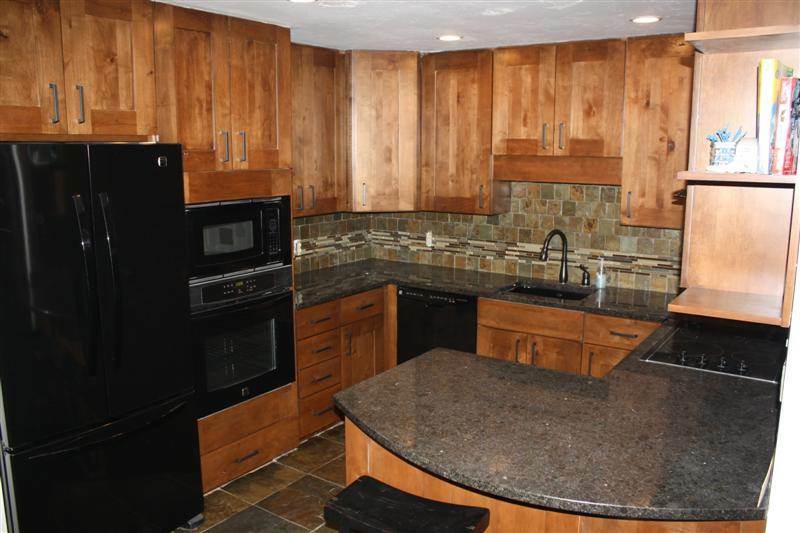 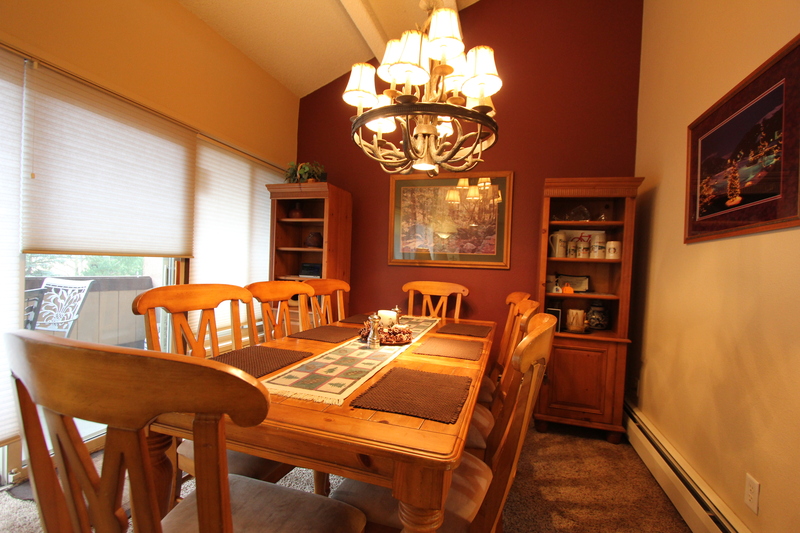 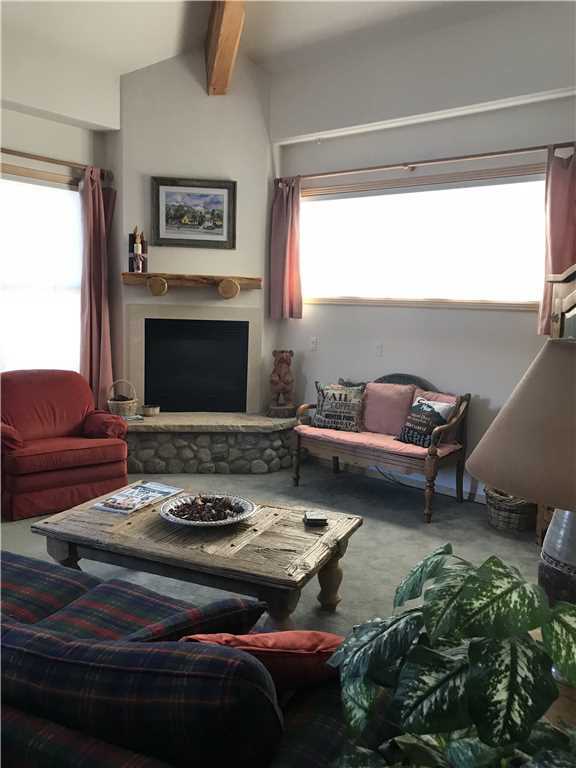 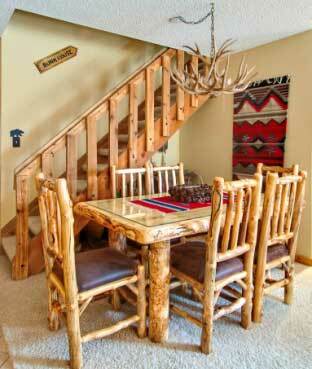 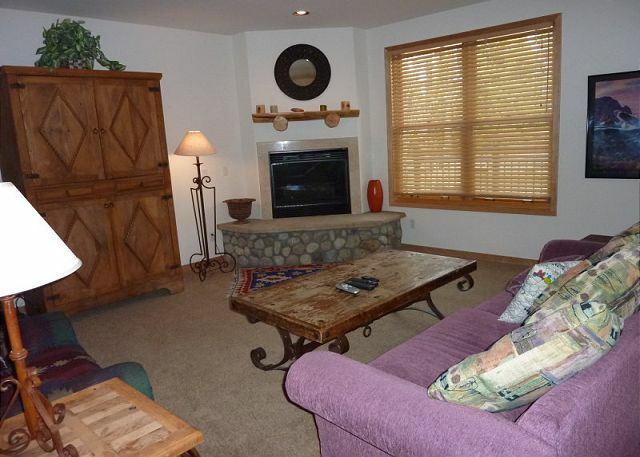 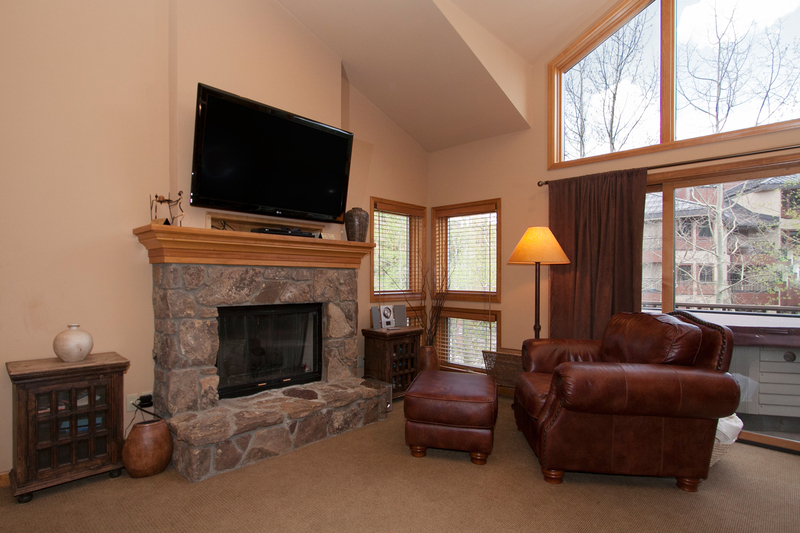 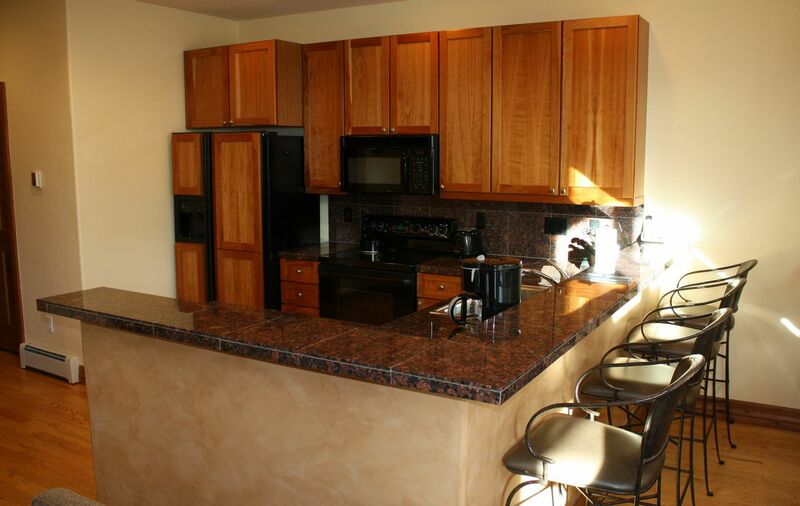 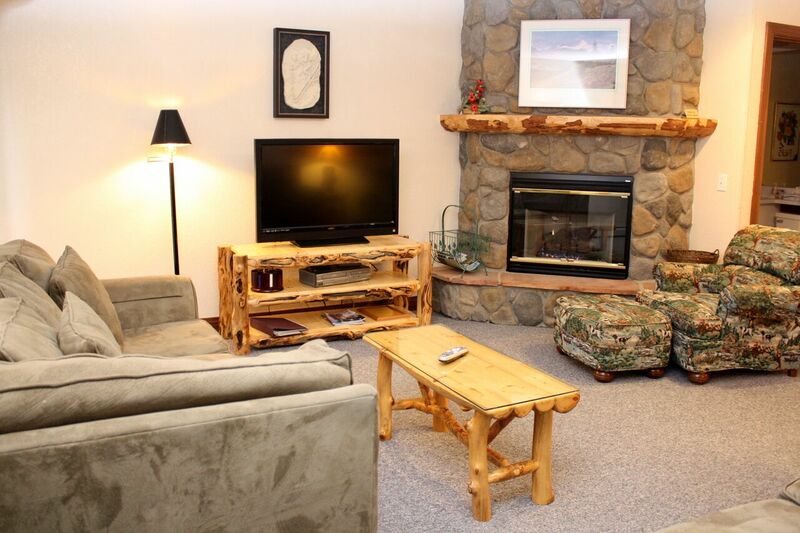 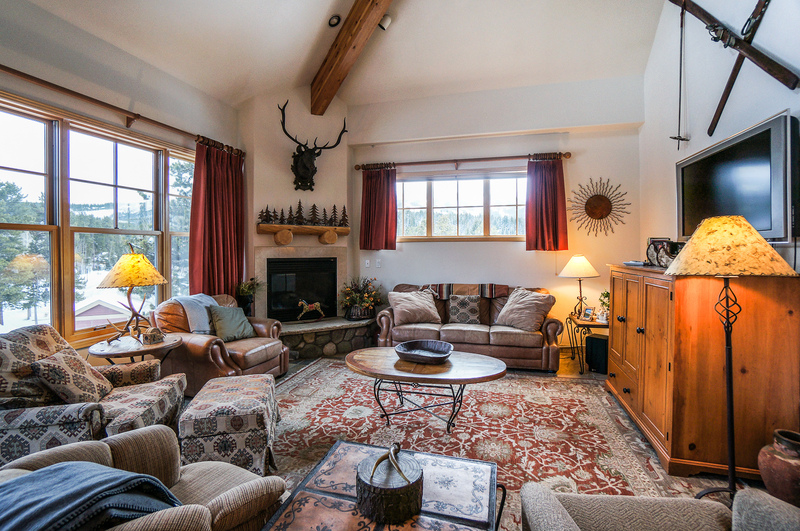 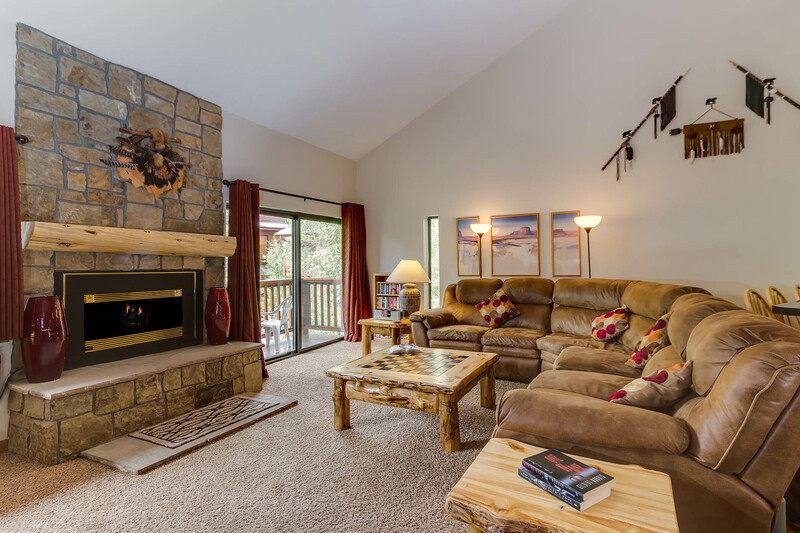 Great views of the mountains from all sides, and just a stones throw away from Ten Mile Creek. 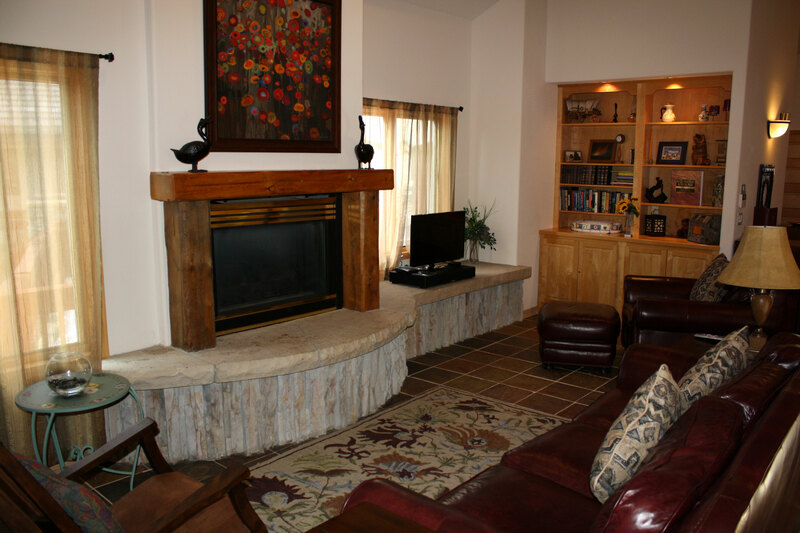 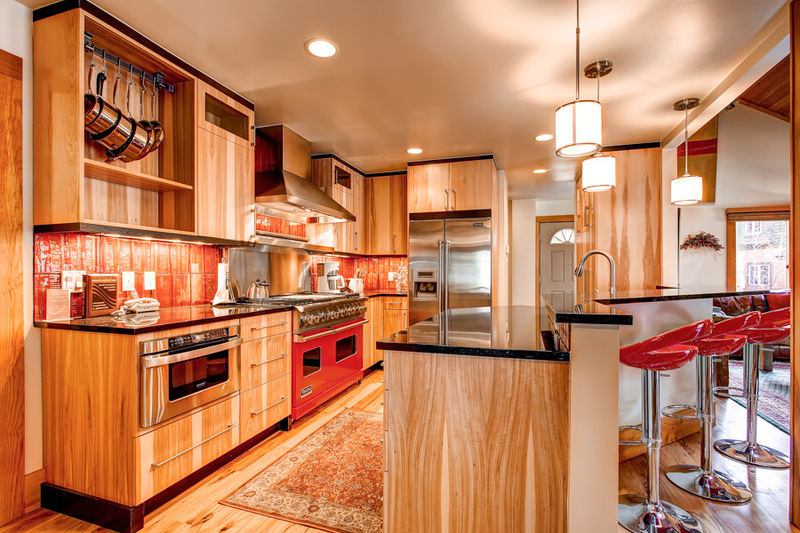 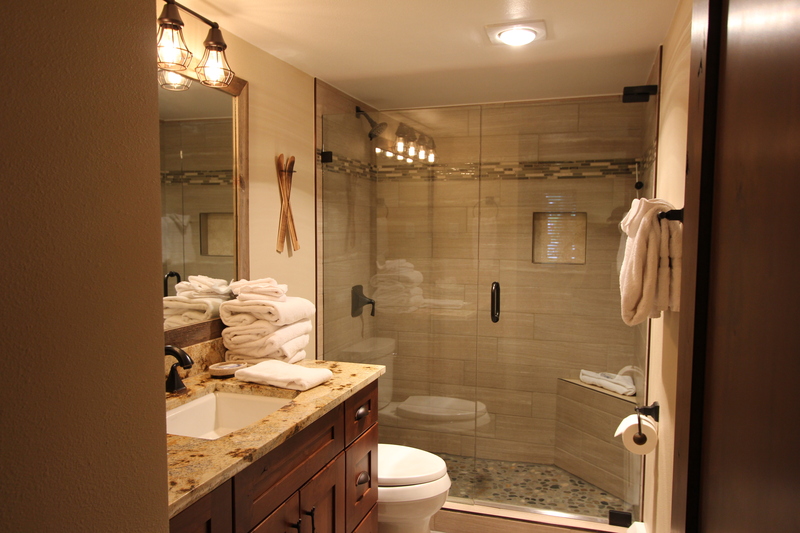 It was built in conformance with ADA accessibility requirements. 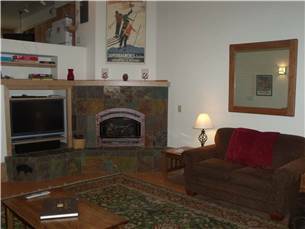 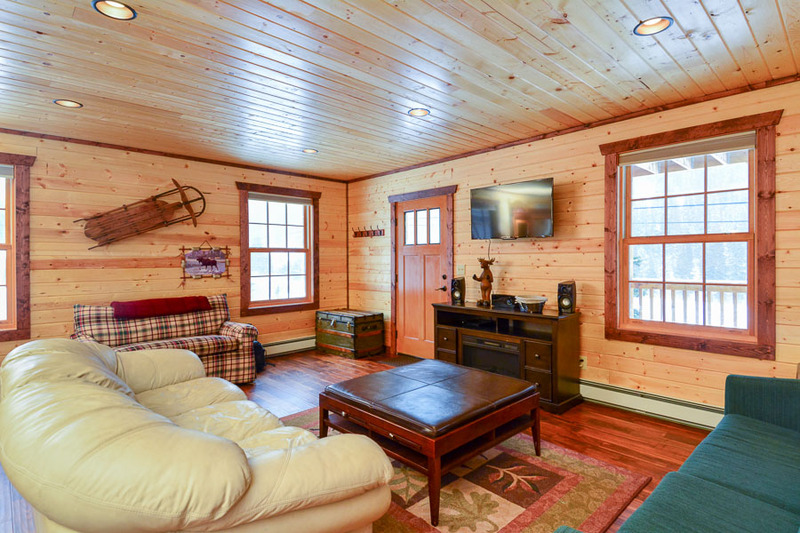 Two large bedrooms (one king and one queen), with two full bathrooms, and a pull-out queen sofa sleeper in the living room sleeps 6 adults. 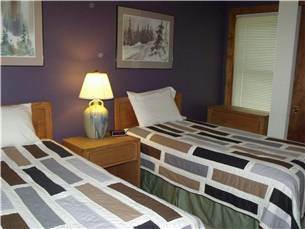 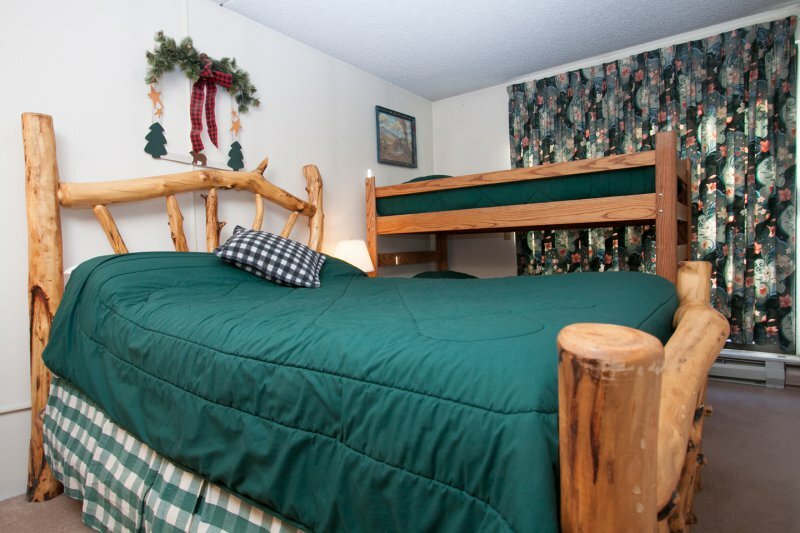 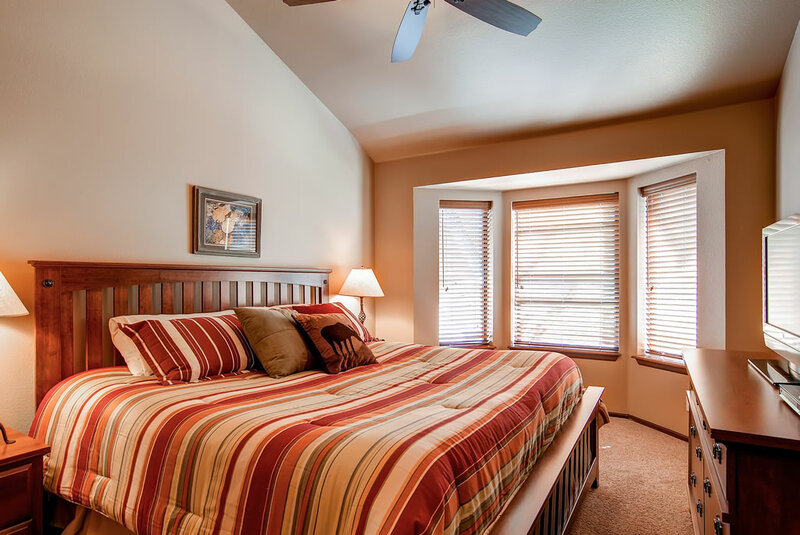 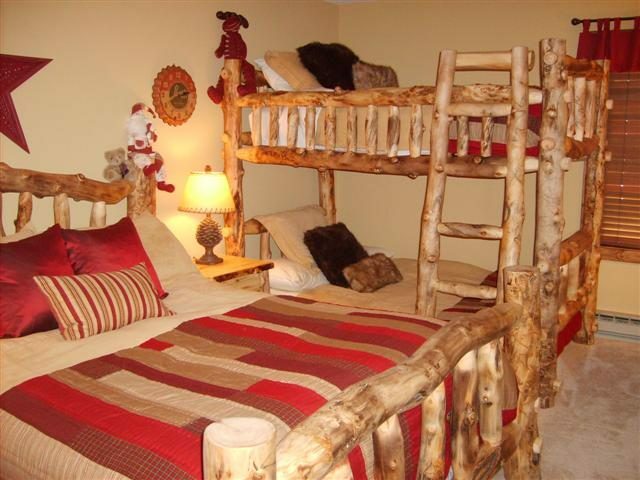 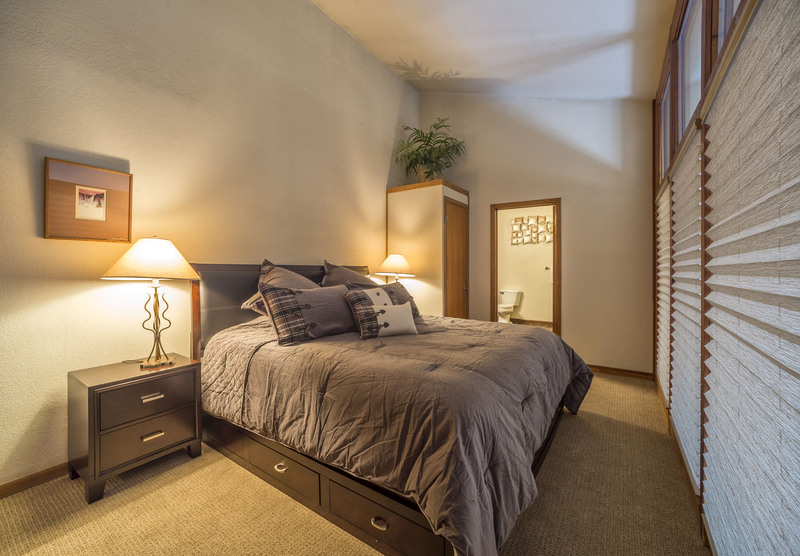 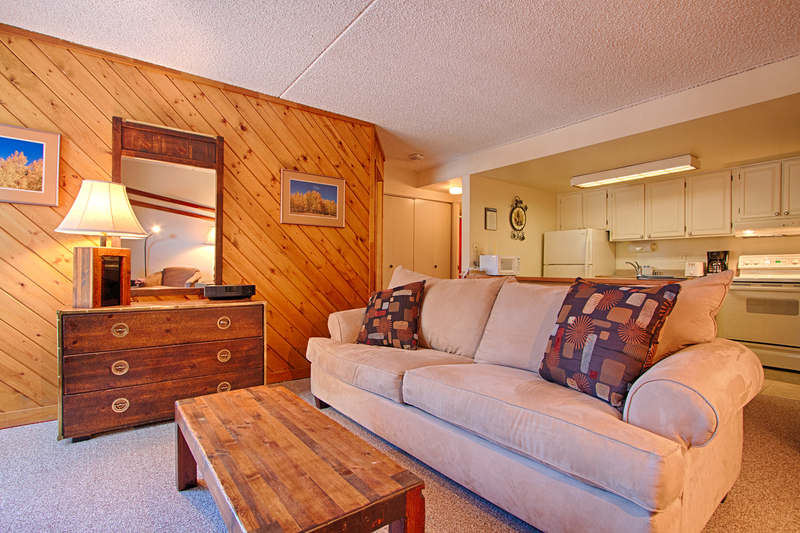 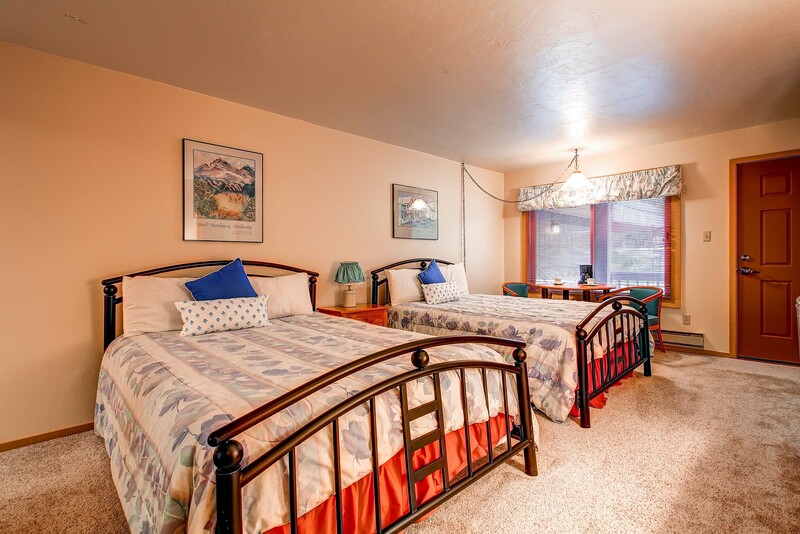 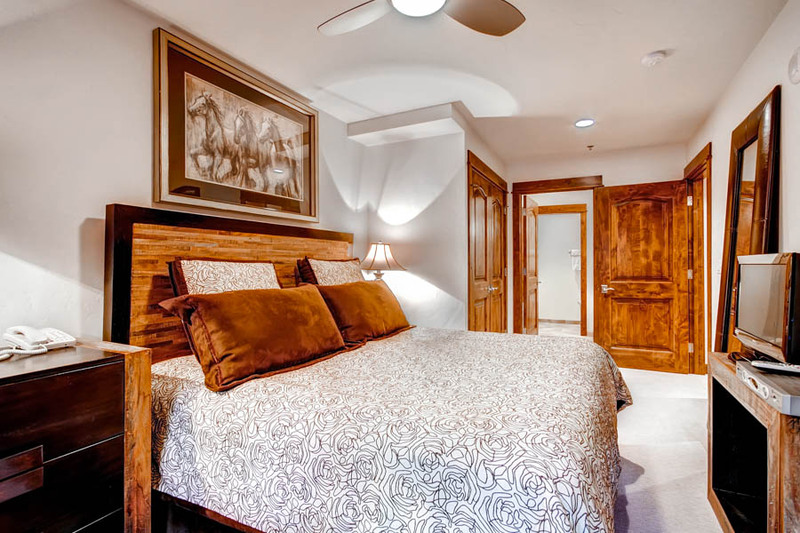 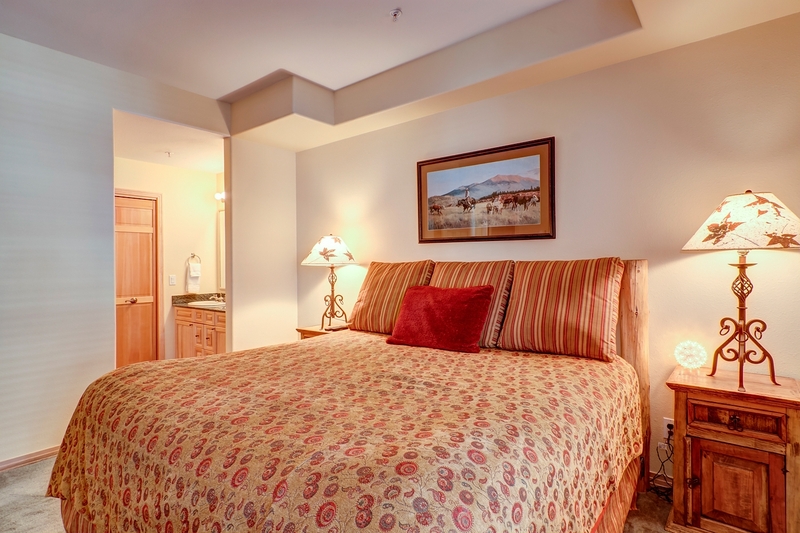 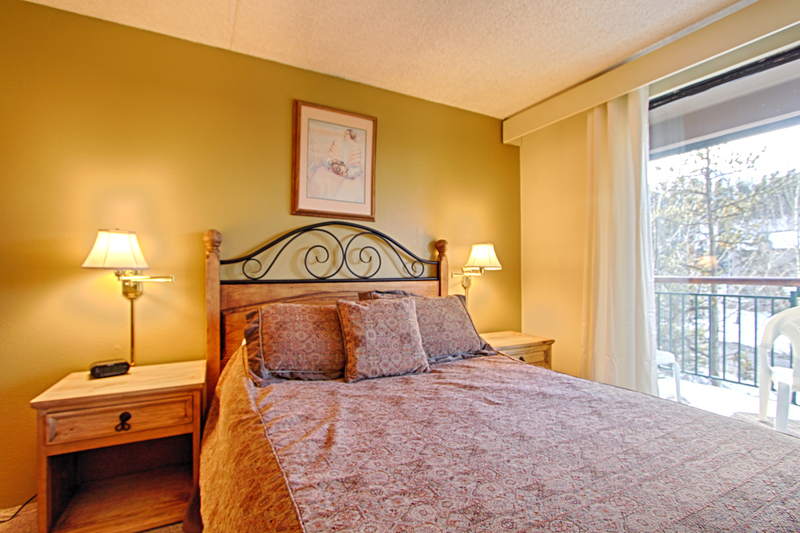 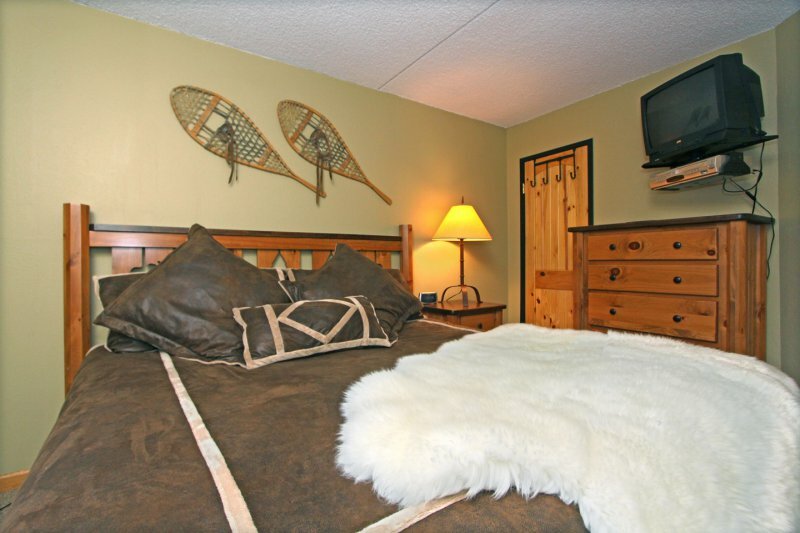 All rooms have cable television w/ movie channels, ceiling fans, privacy blinds, and extremely comfortable beds. 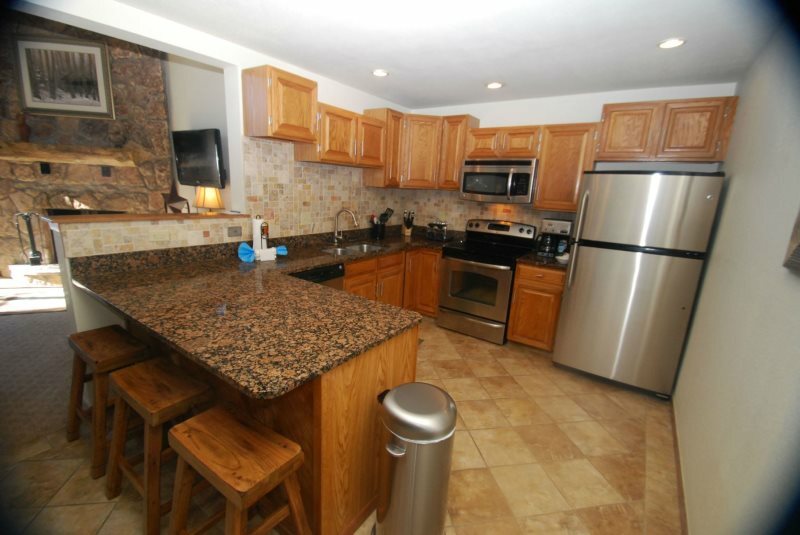 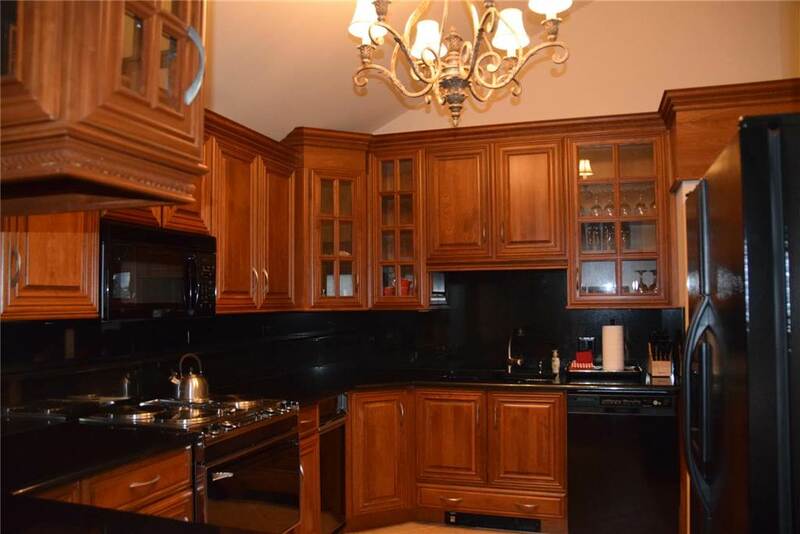 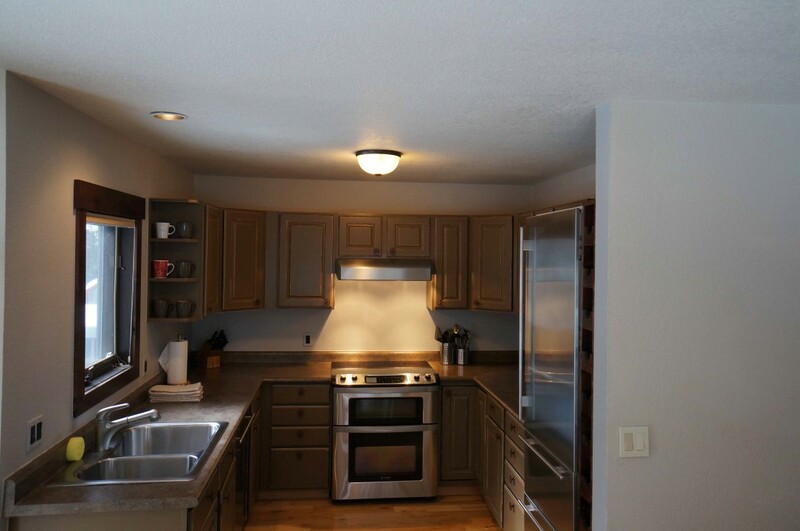 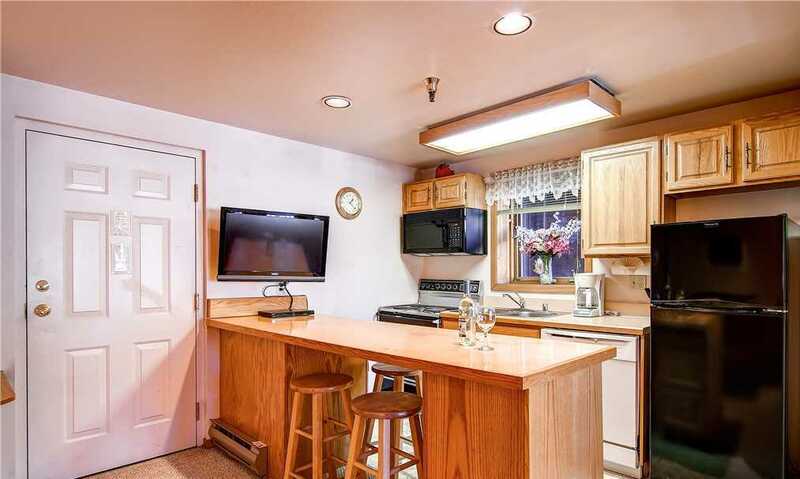 Large kitchen, gas fireplace, CD player, board games, cards, poker chips, books, movies, stereo, DVD/VHS, high speed internet, ice maker, radiant floor hearing, granite countertops, expandable dining table, tile/carpet flooring, tons of kitchen utensils, coffee maker, crock pot, and lots of closet space. 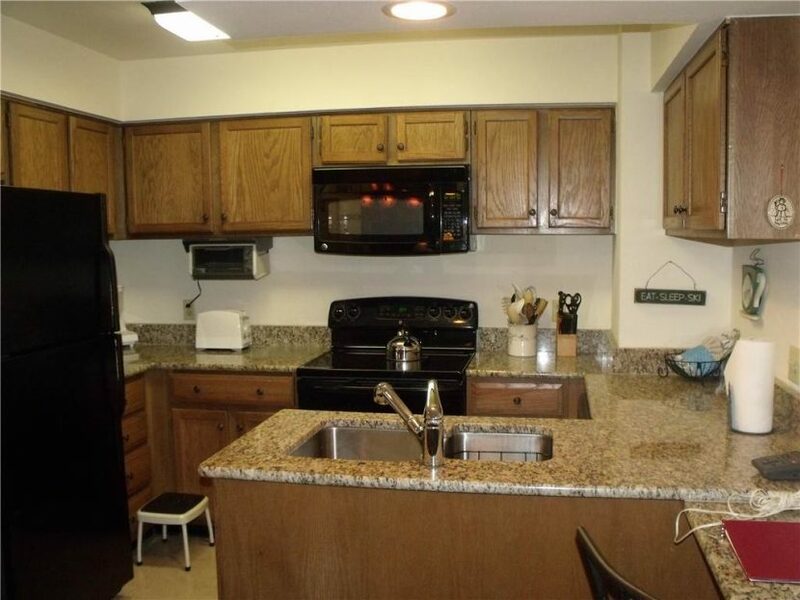 Two reserved parking spaces with plenty of additional and oversized parking next door at the retail plaza. 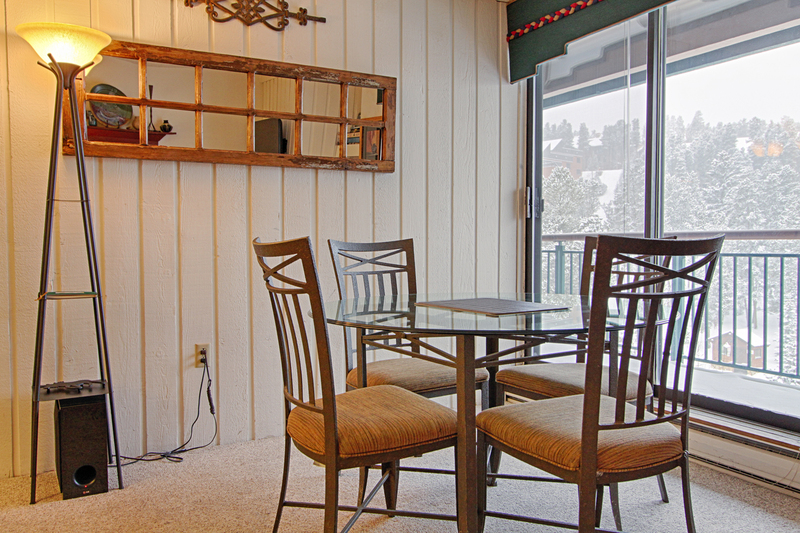 Great location…truly at the heart of it all. 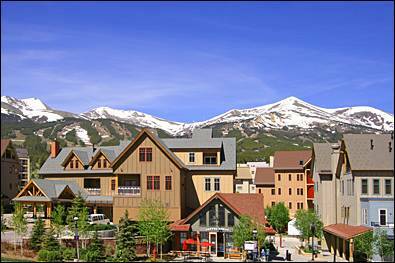 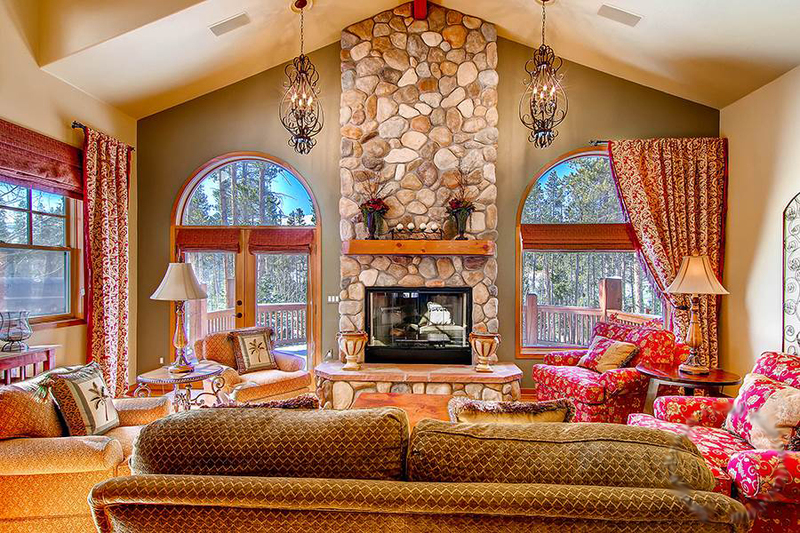 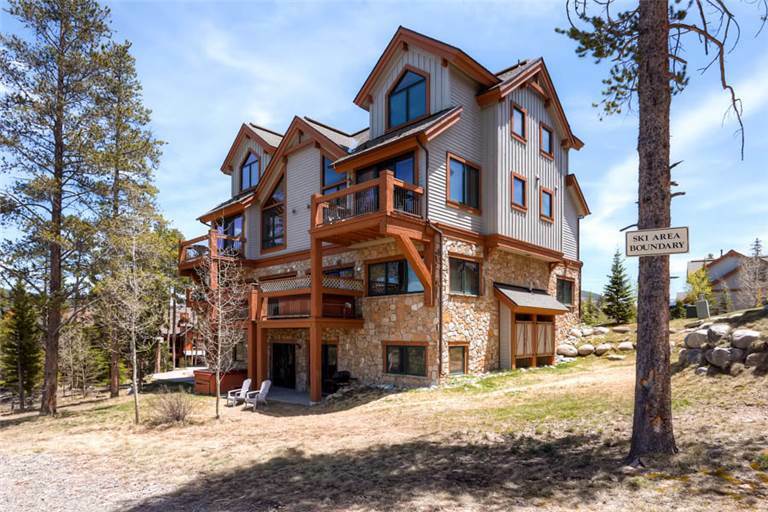 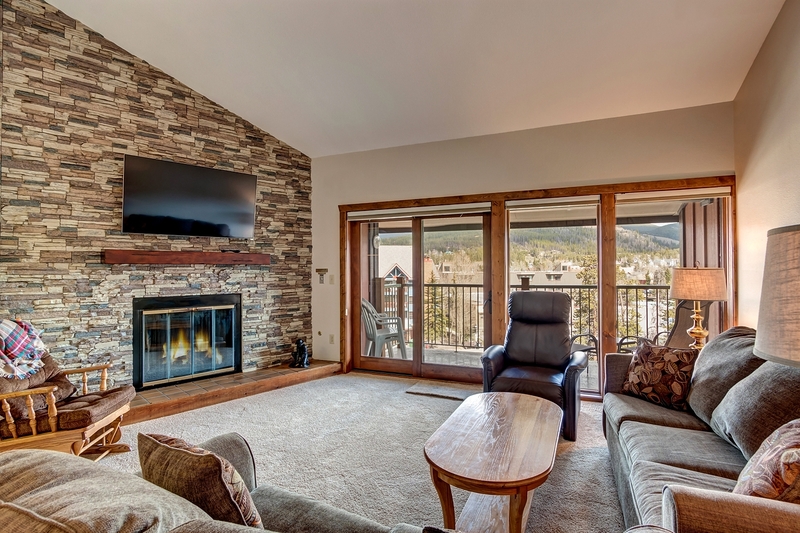 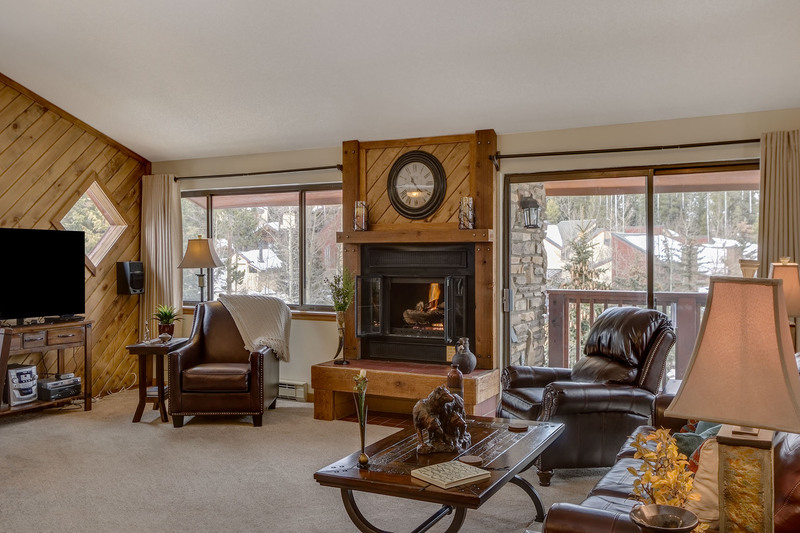 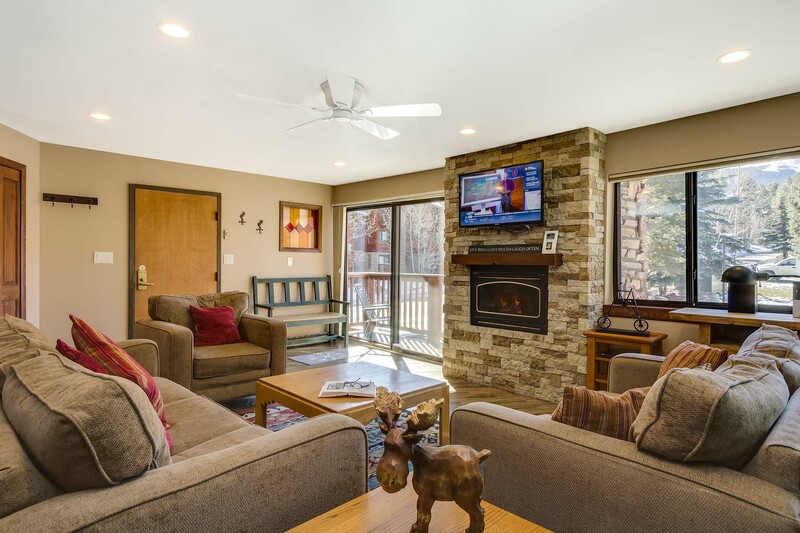 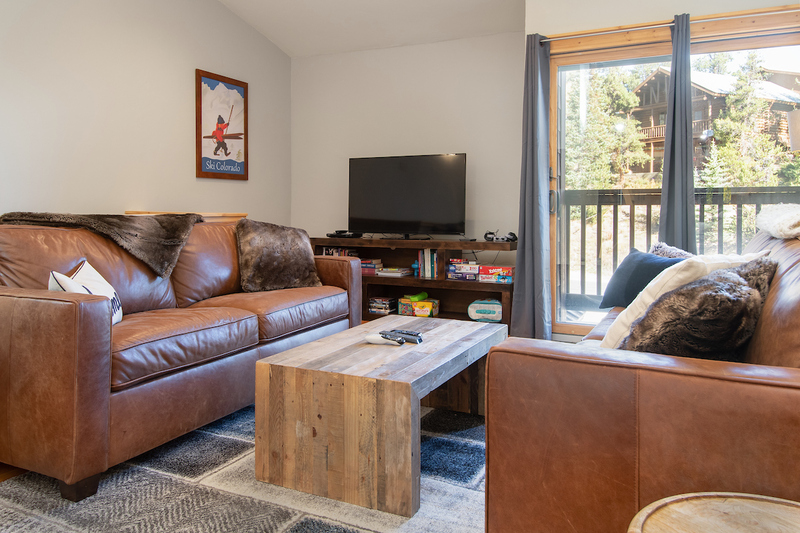 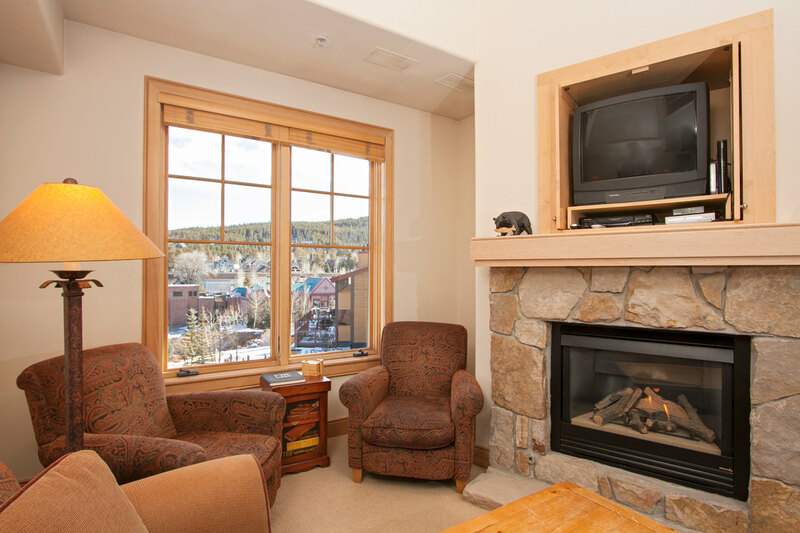 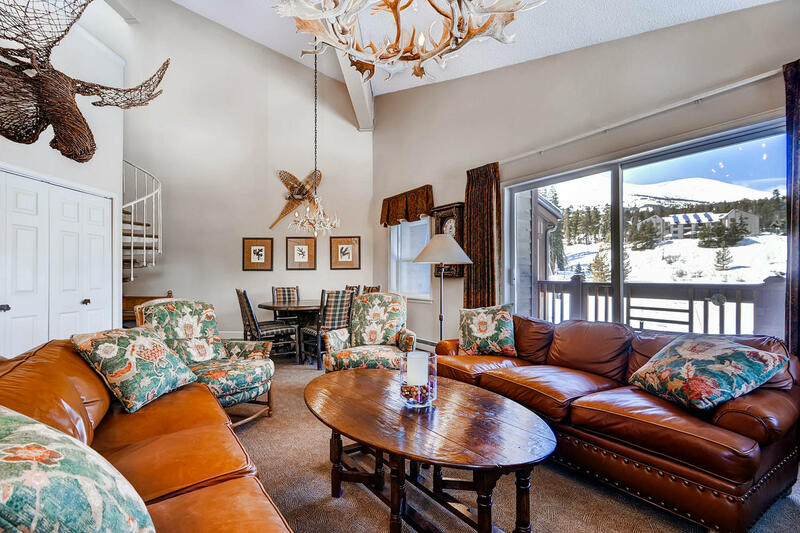 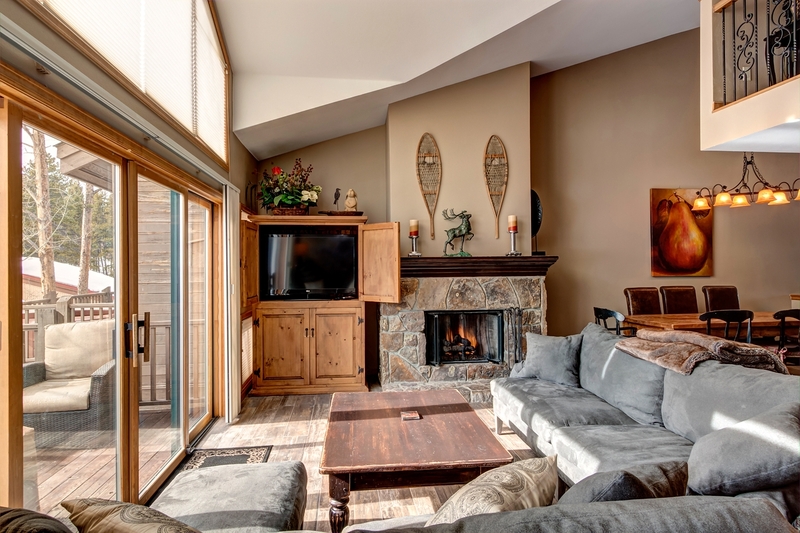 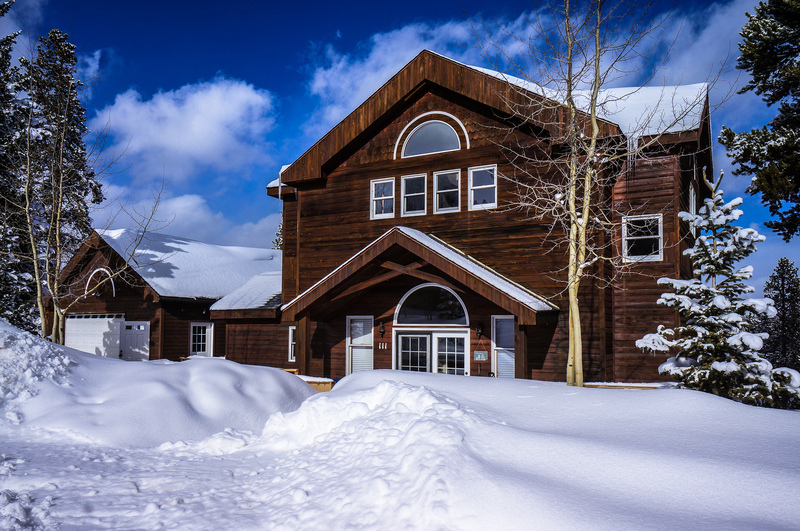 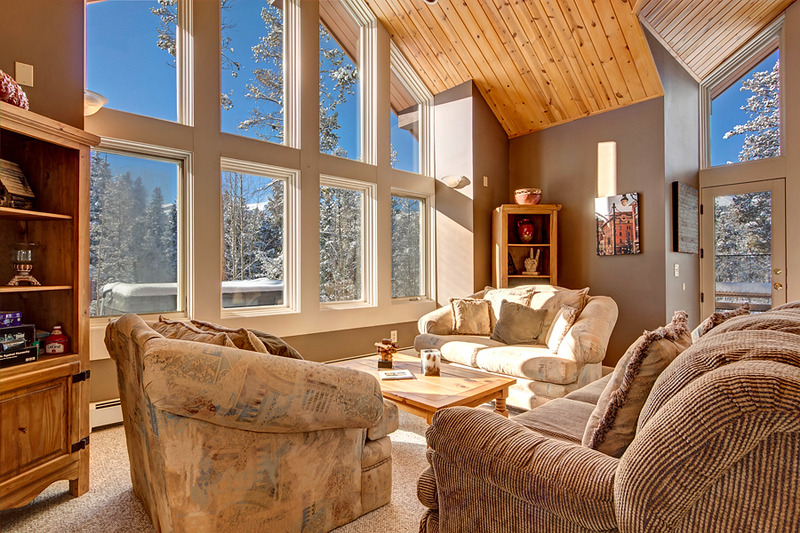 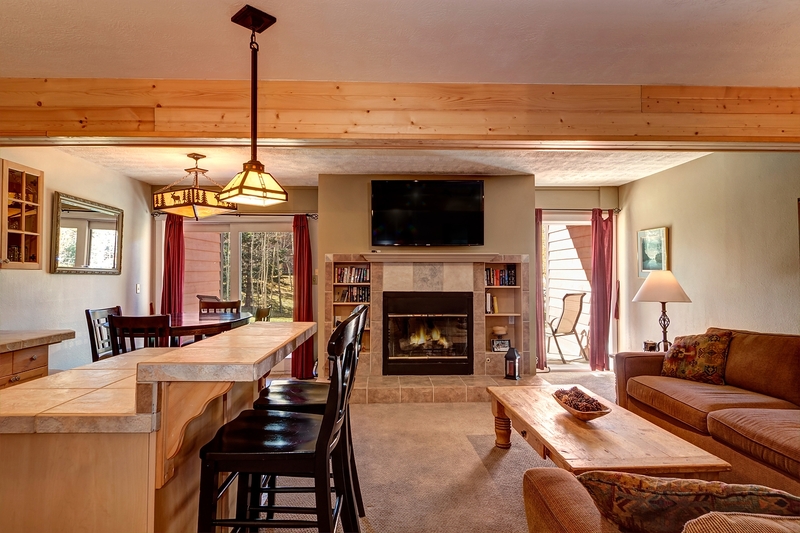 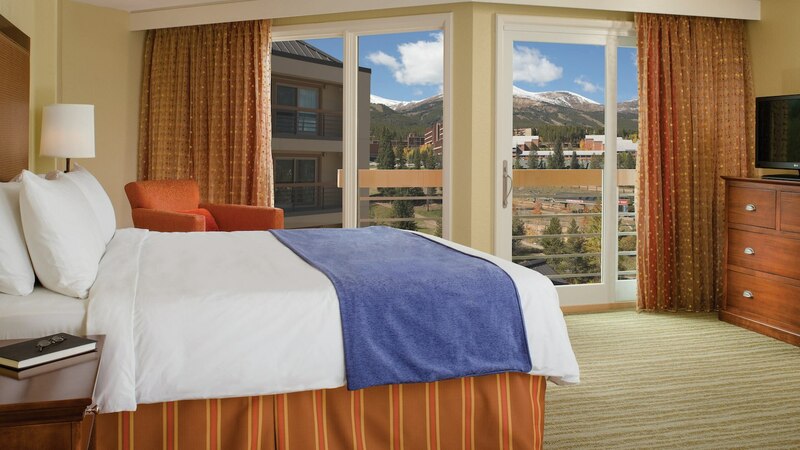 Ski shuttle and free bus transportation within walking distance, and six breathtaking resorts all within a short drive; Copper-5 min, Breck-15 min, Keystone-15 min, Vail- 30 min, and Beaver Creek-40 min.